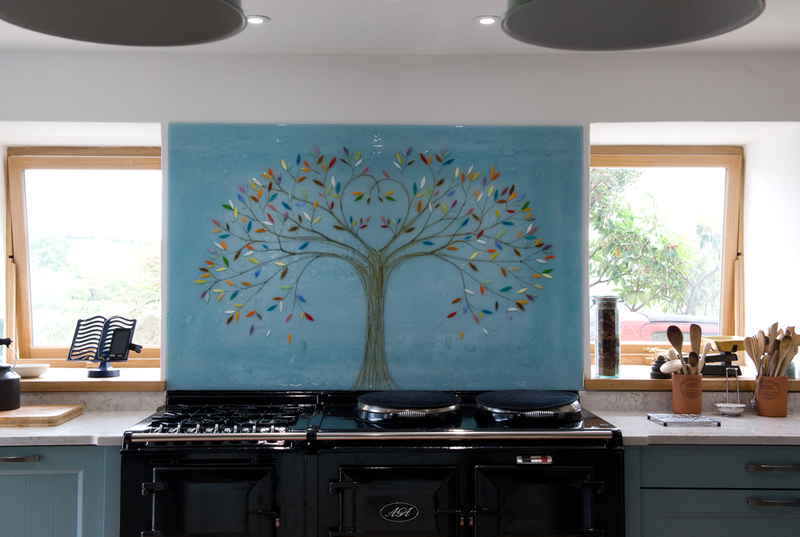 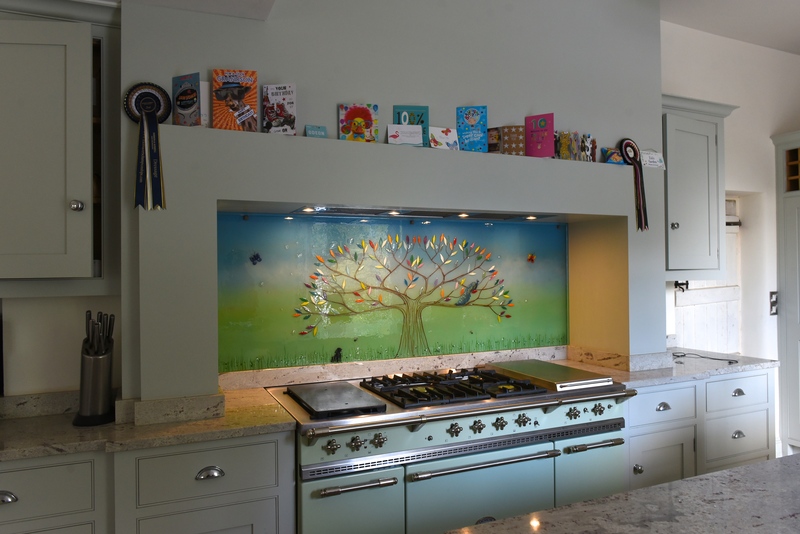 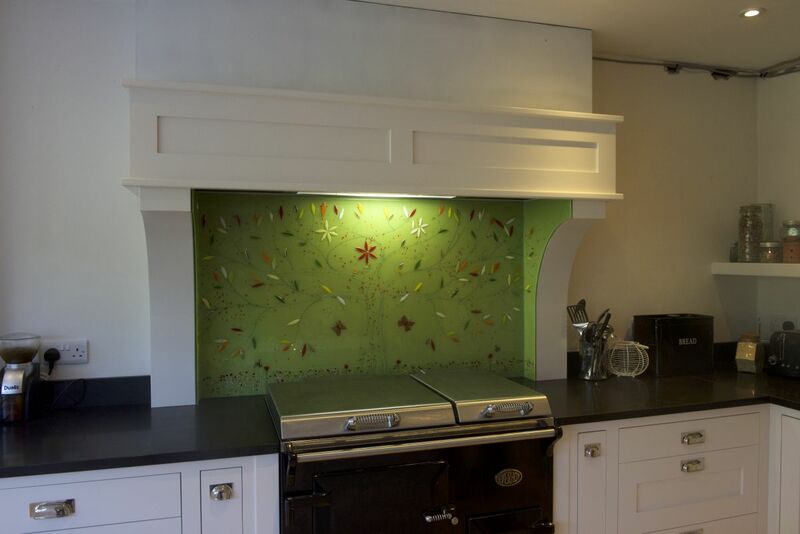 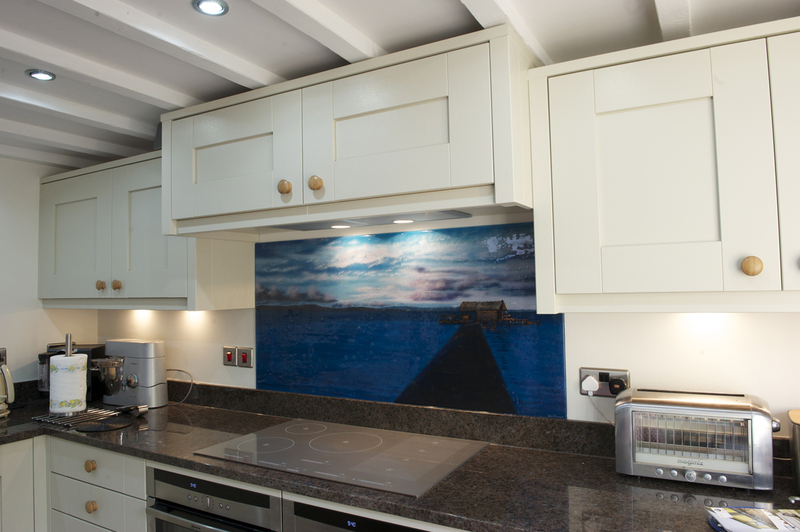 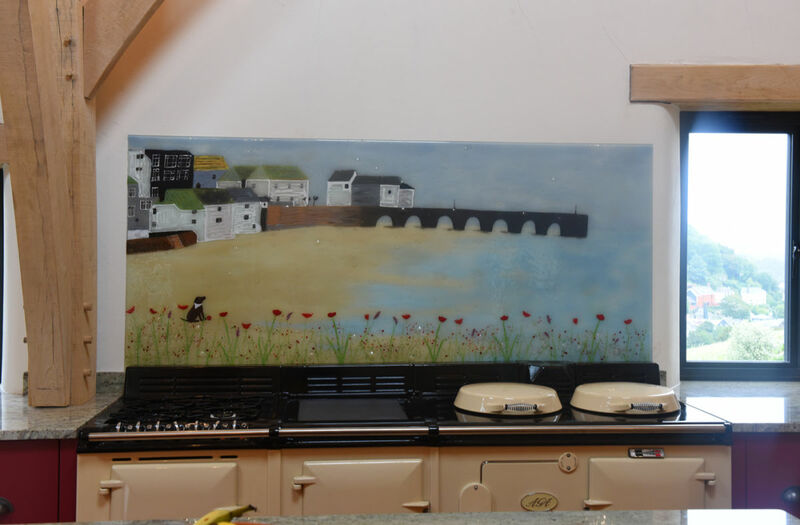 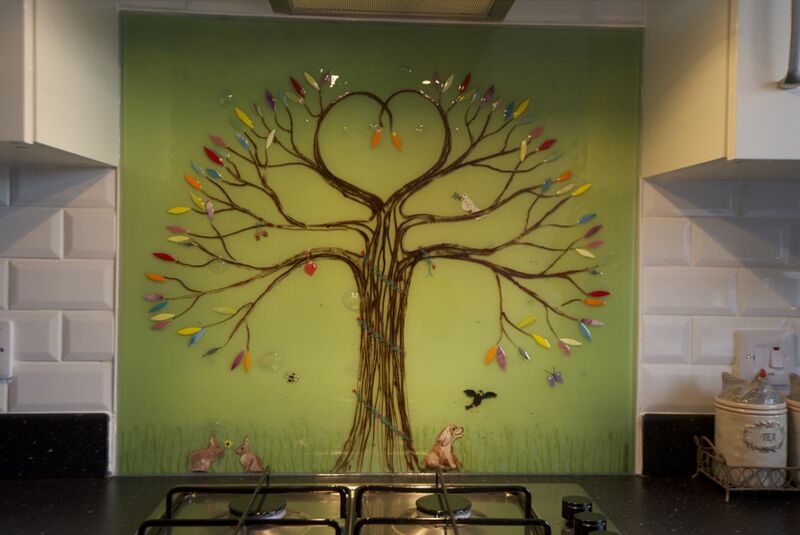 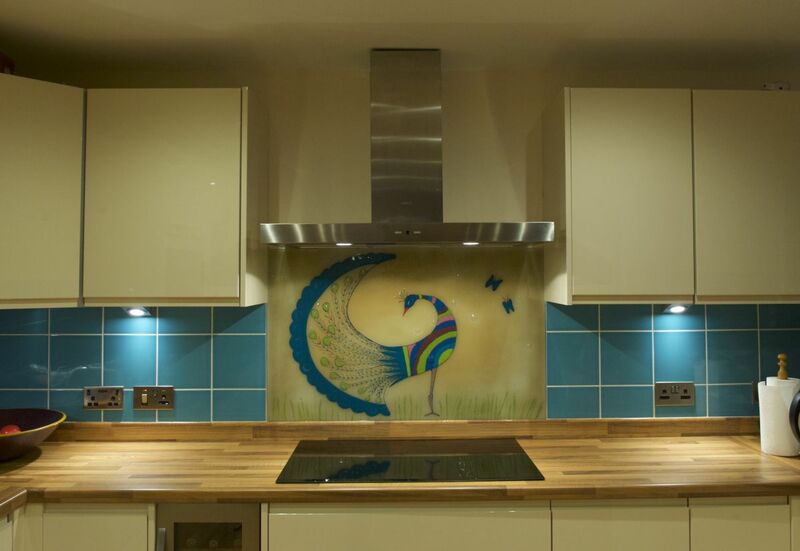 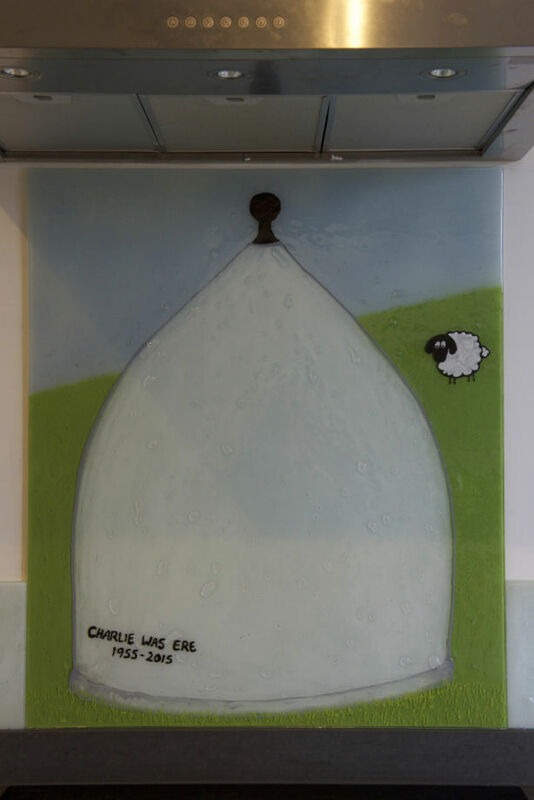 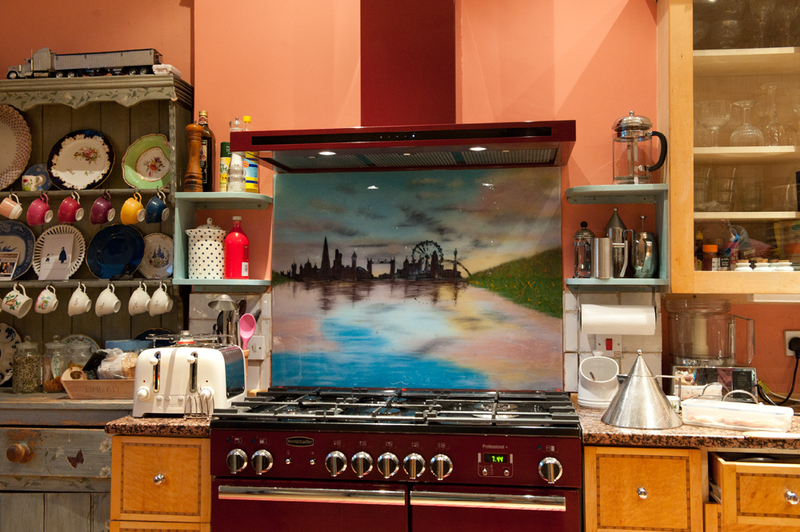 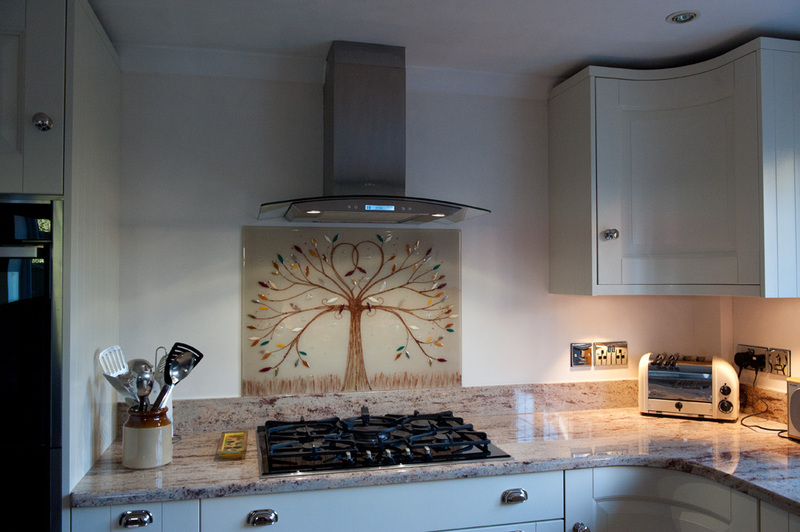 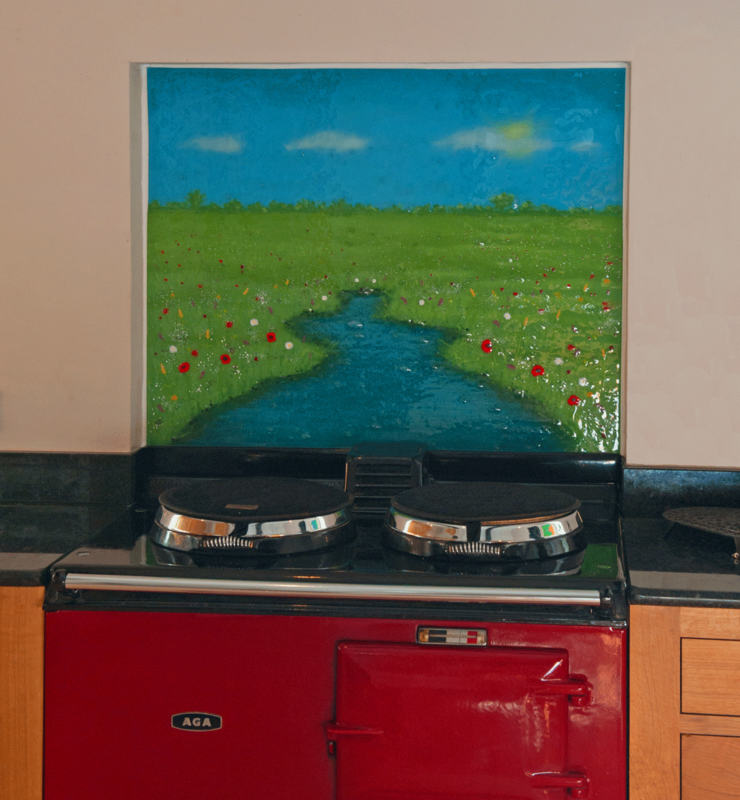 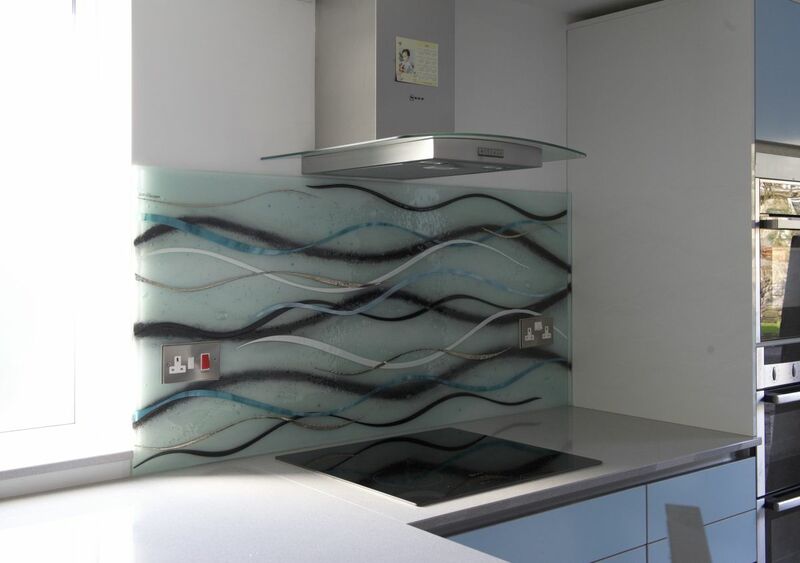 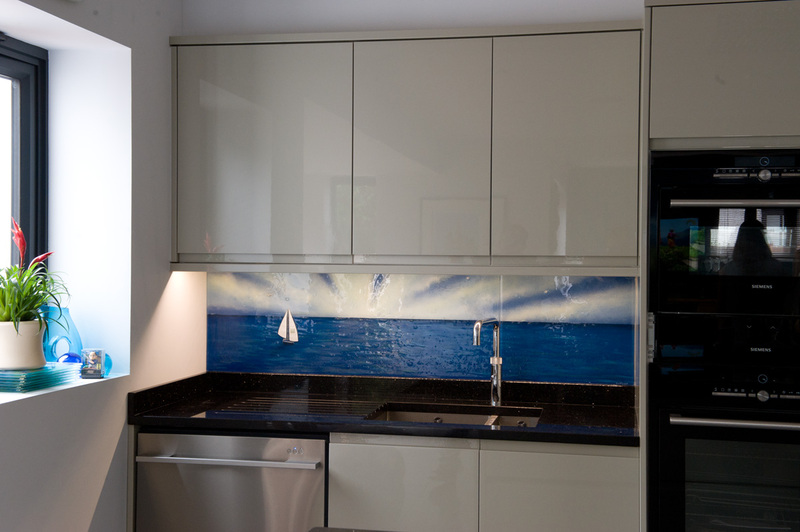 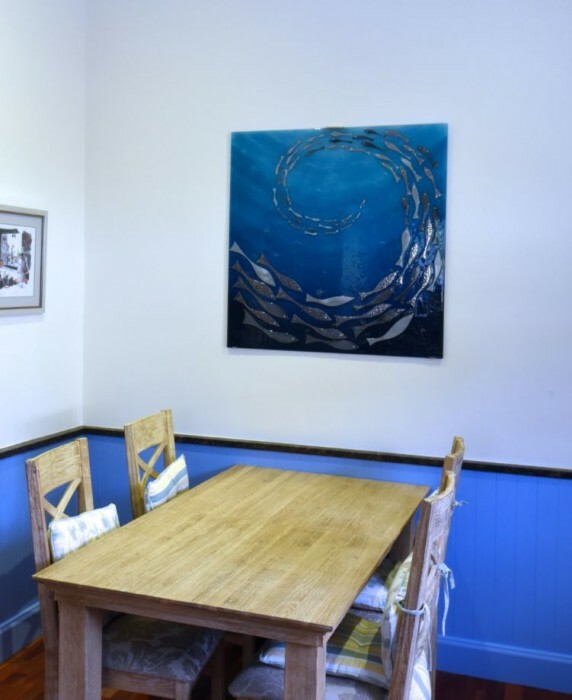 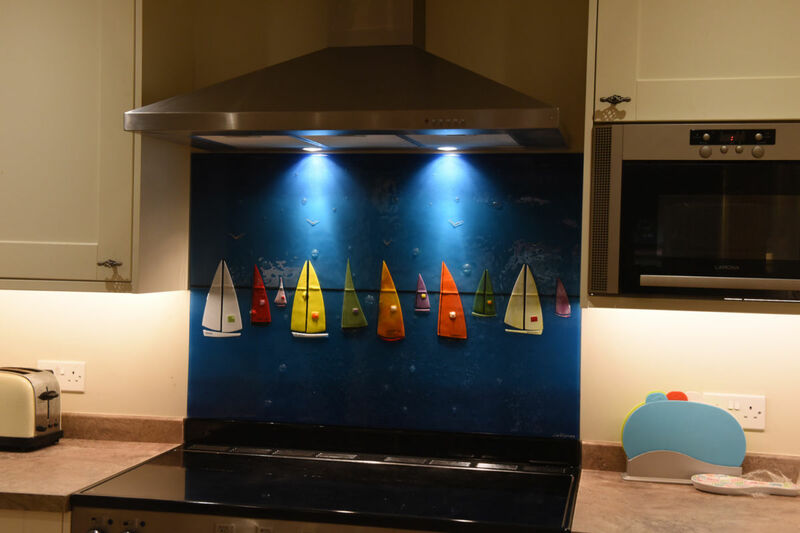 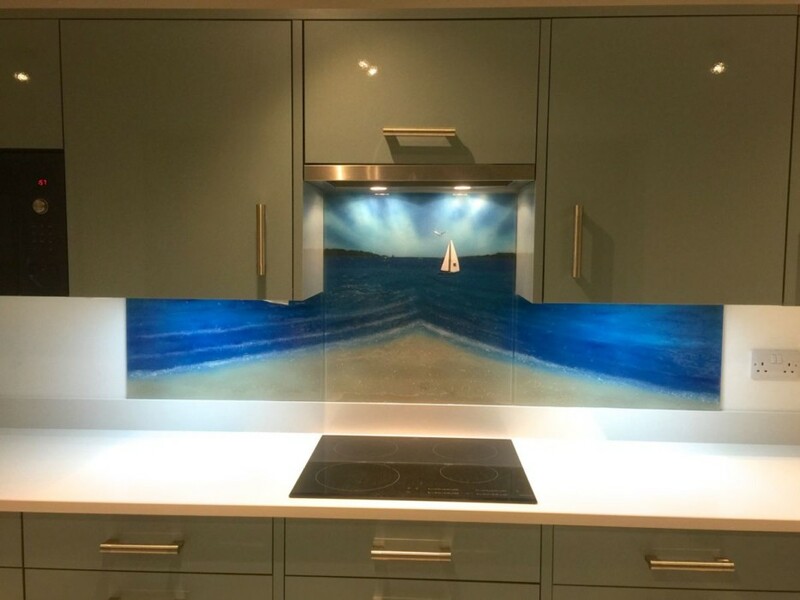 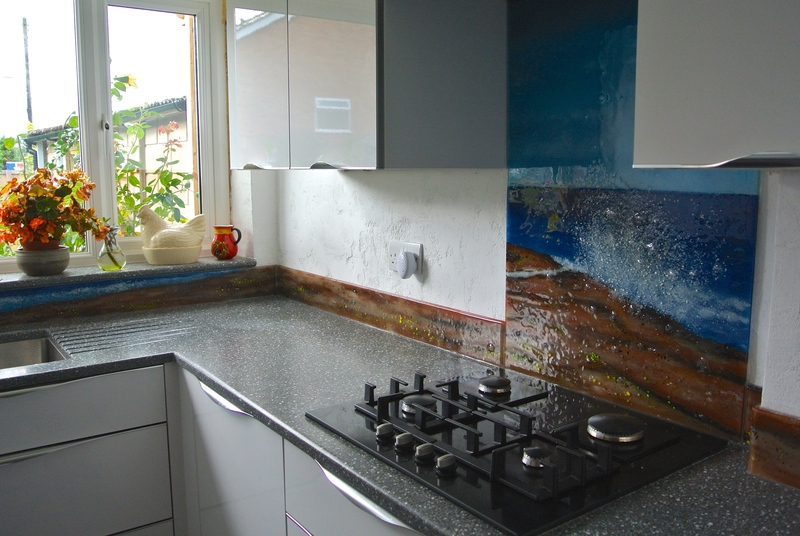 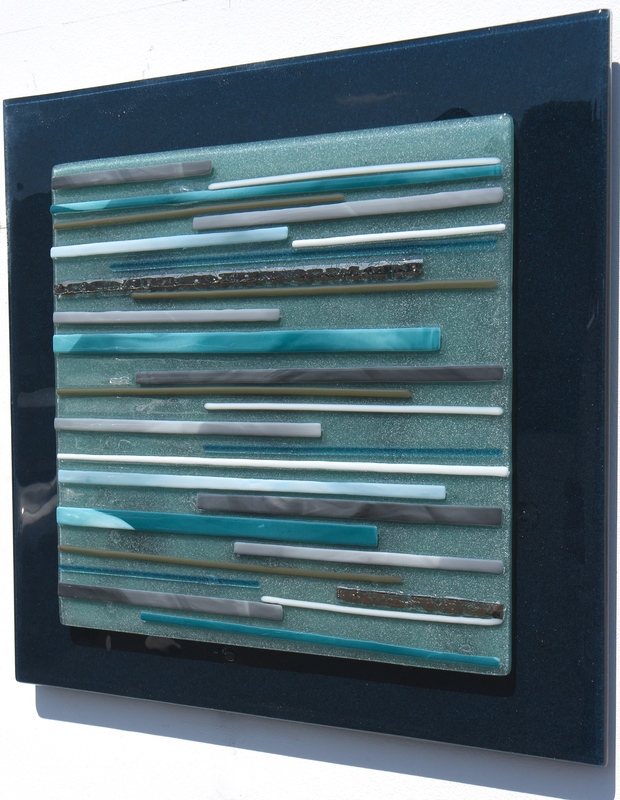 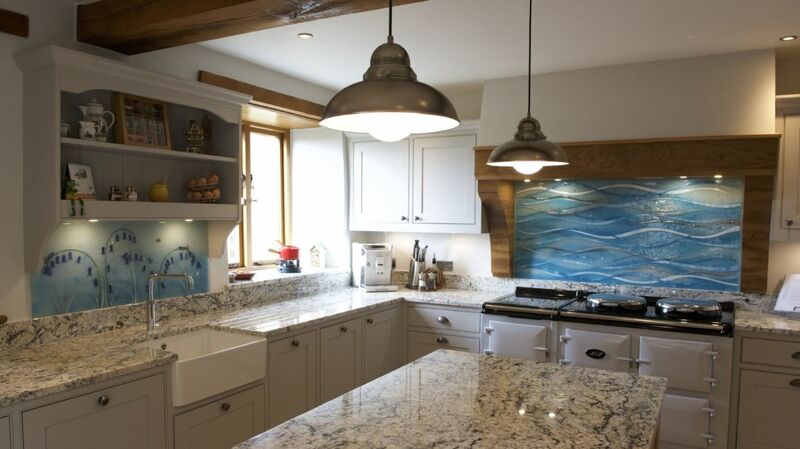 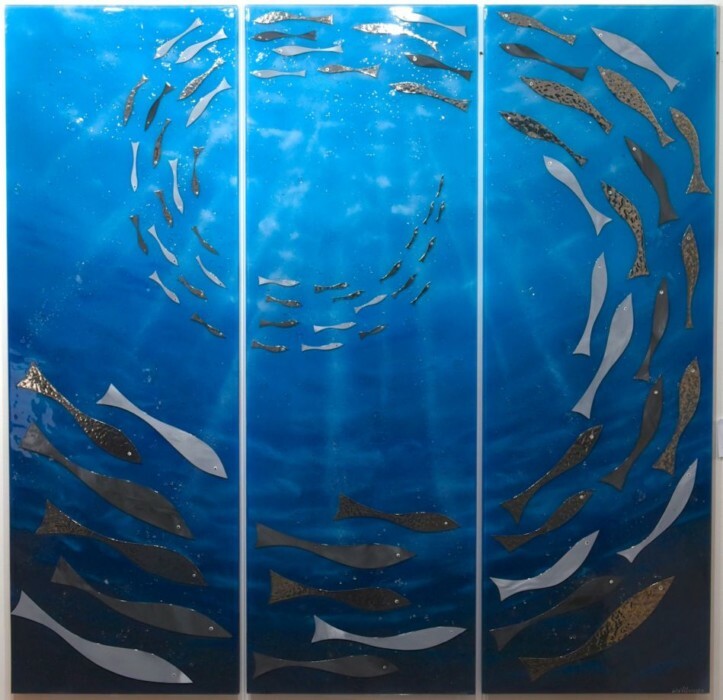 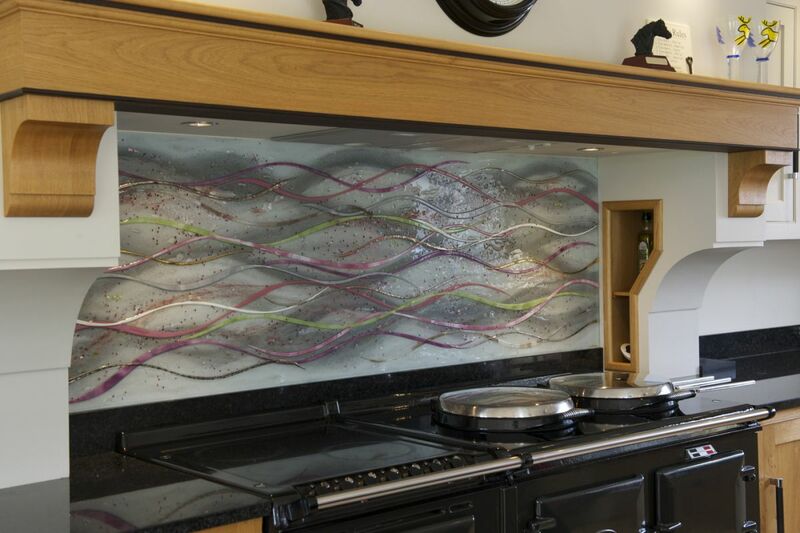 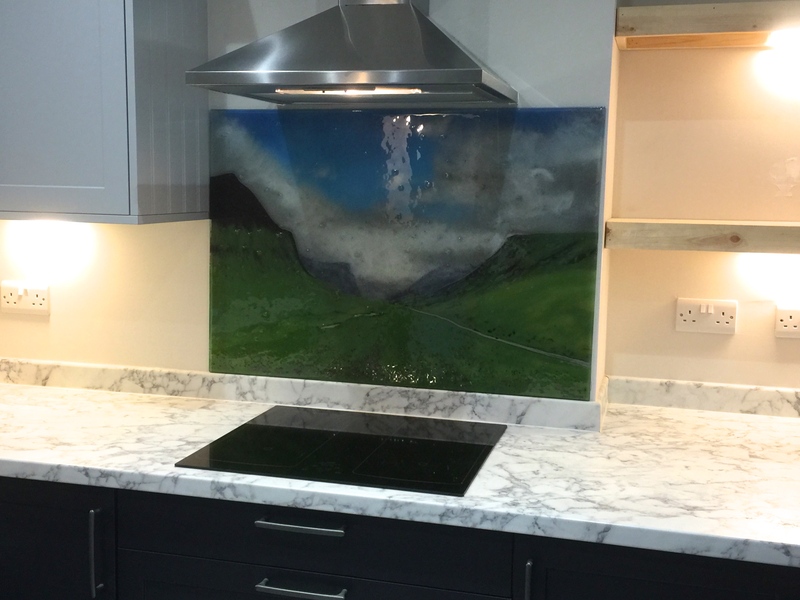 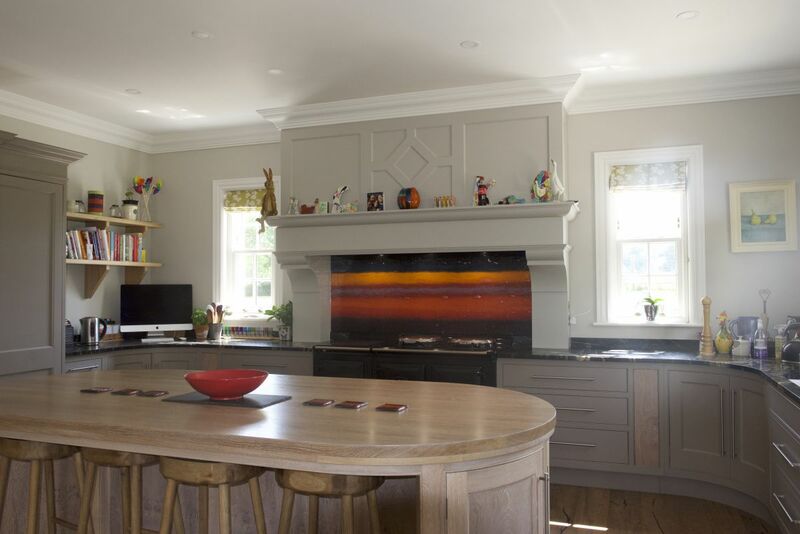 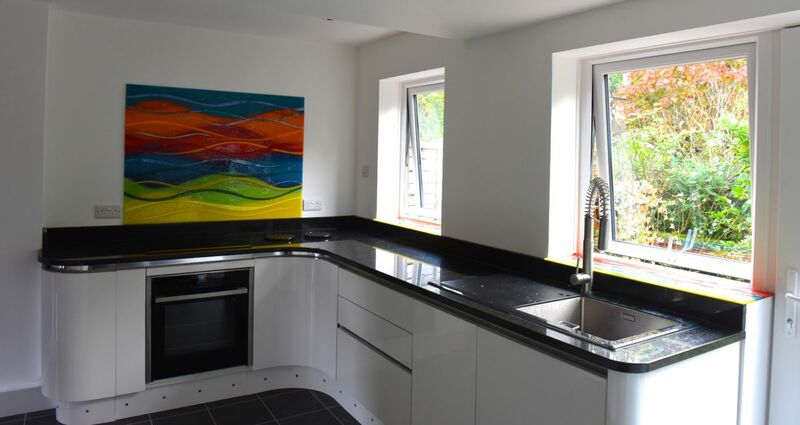 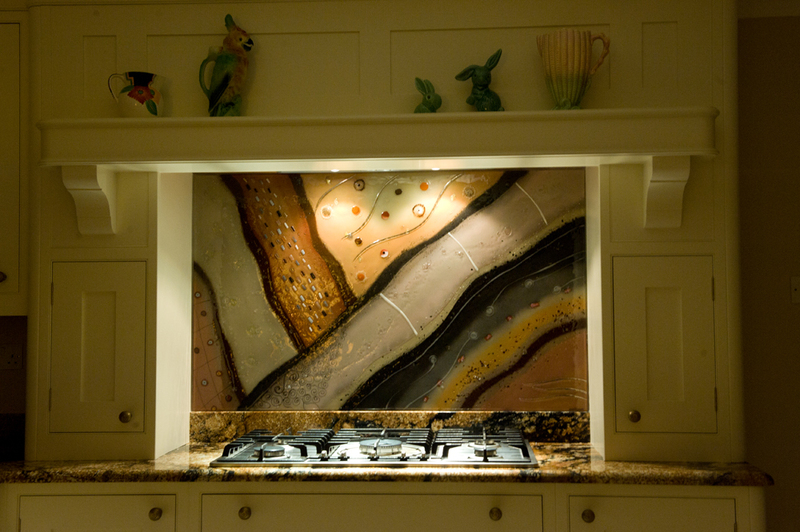 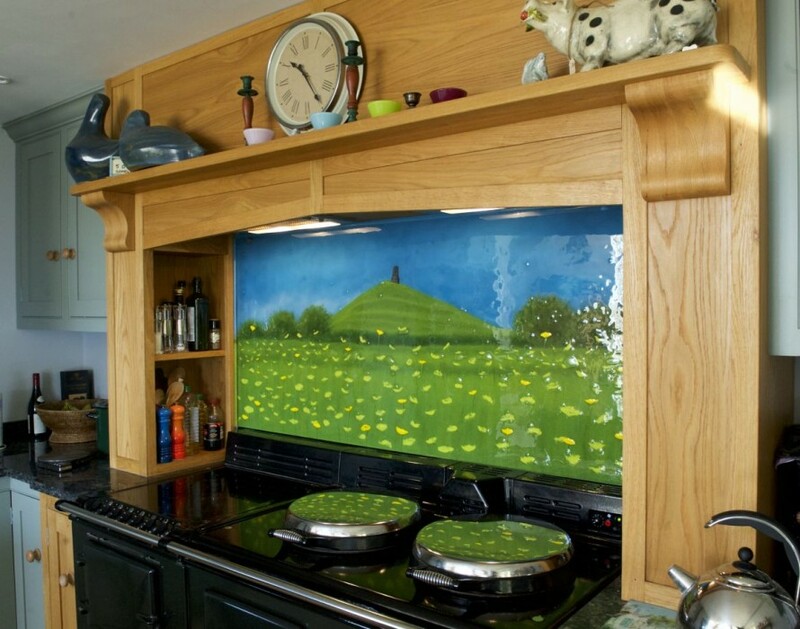 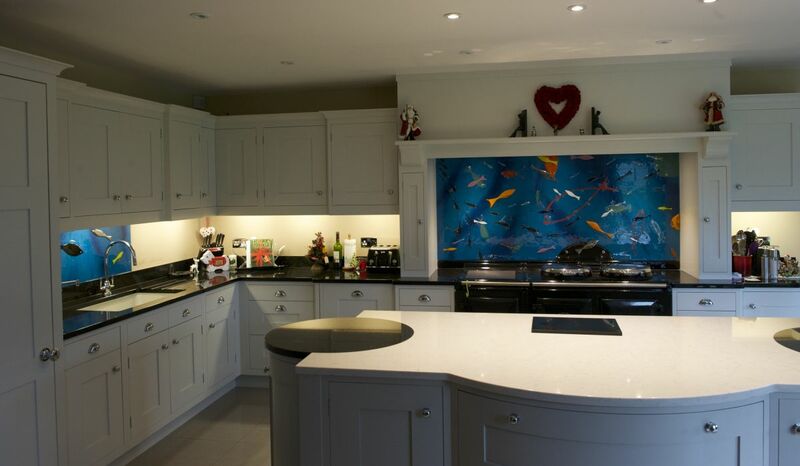 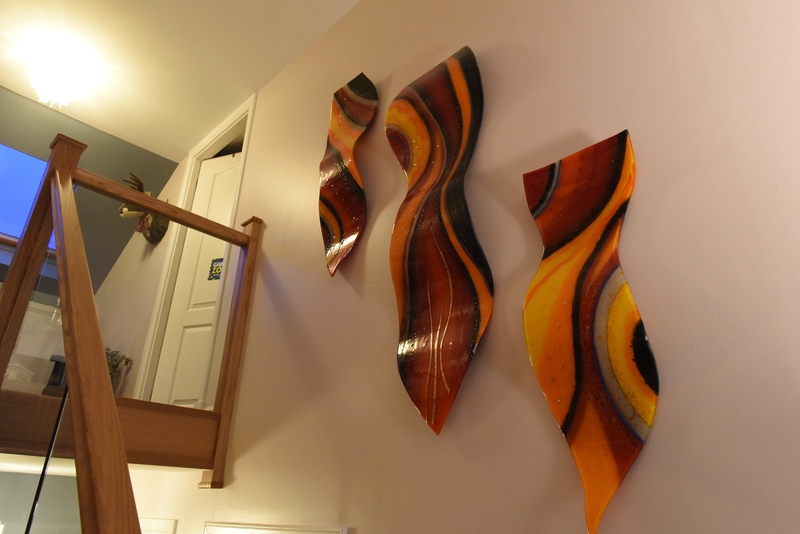 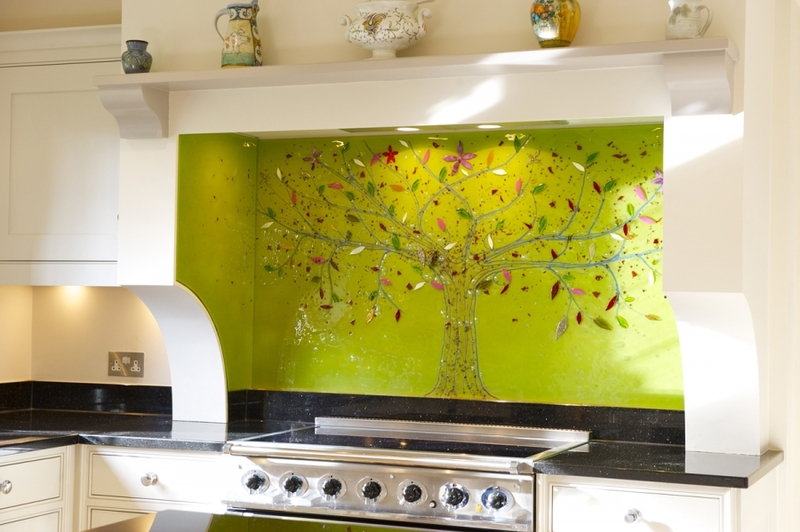 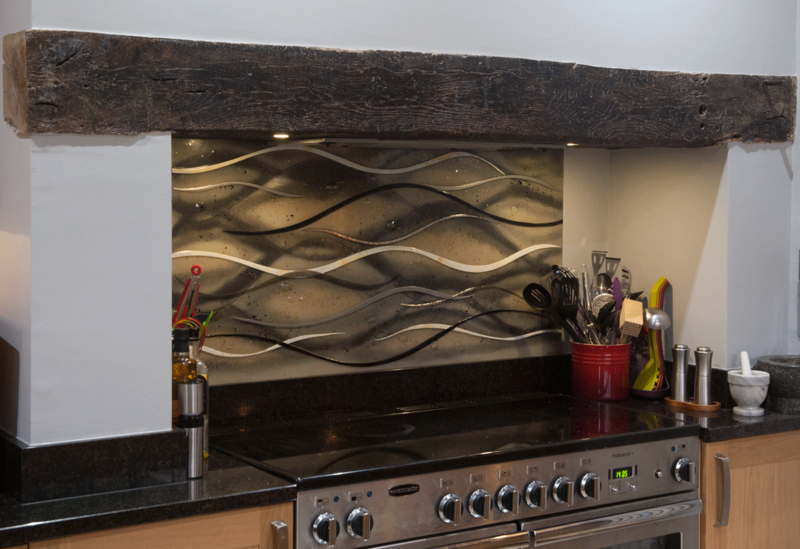 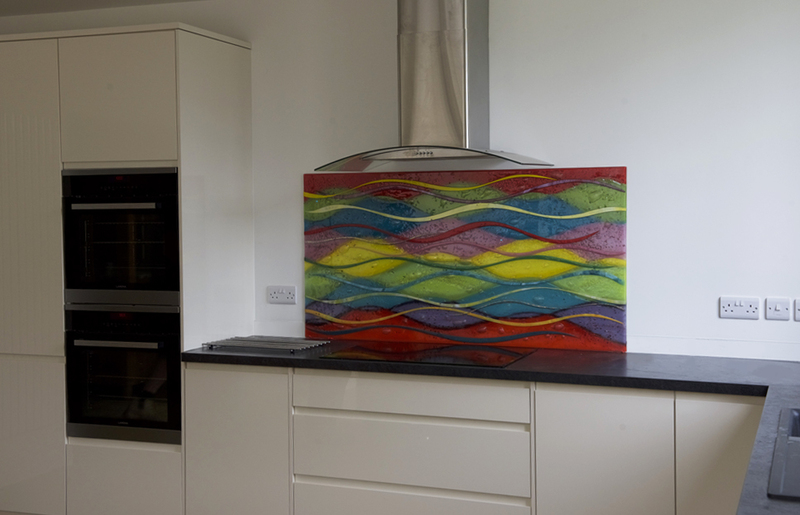 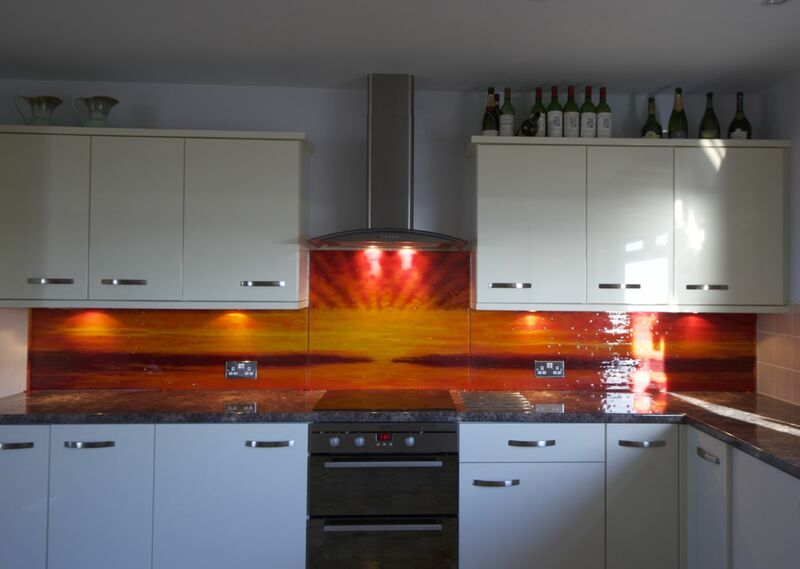 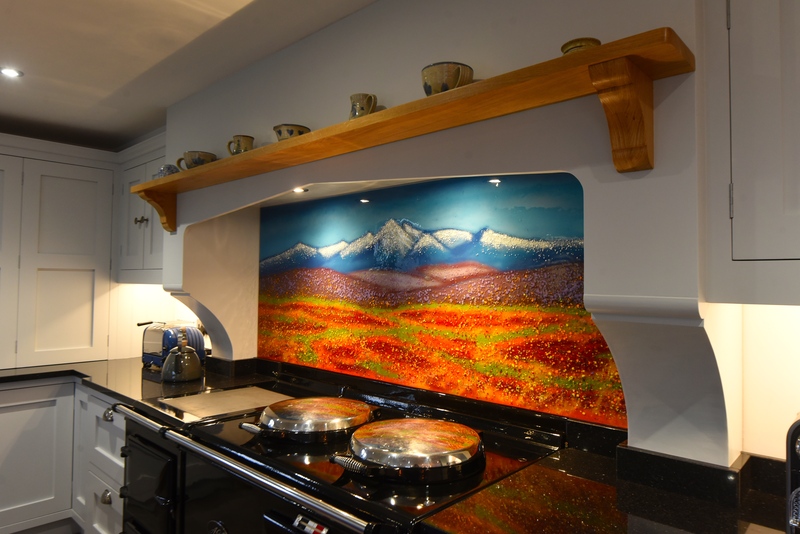 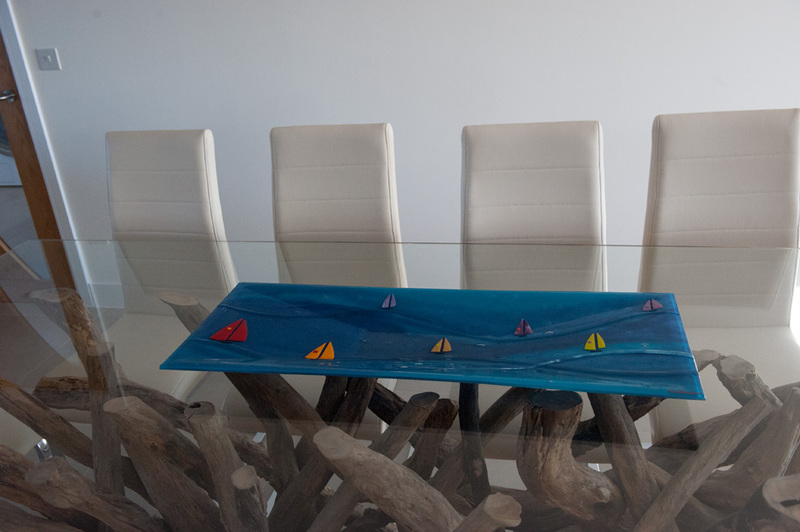 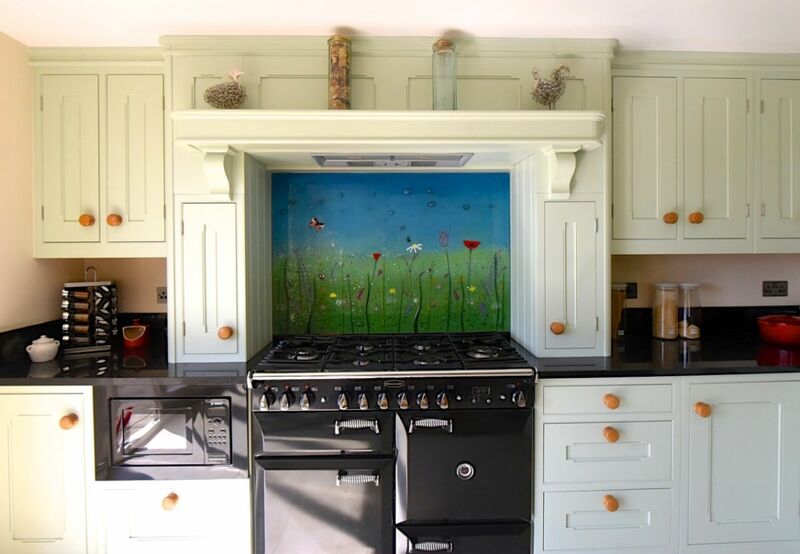 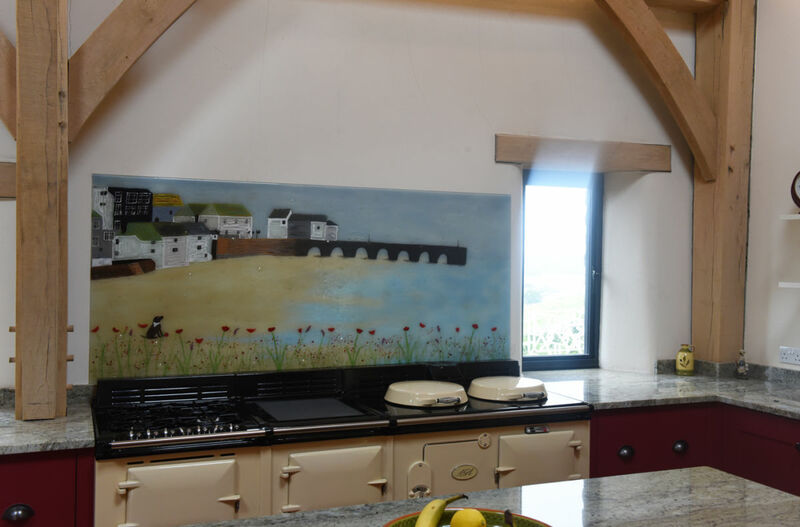 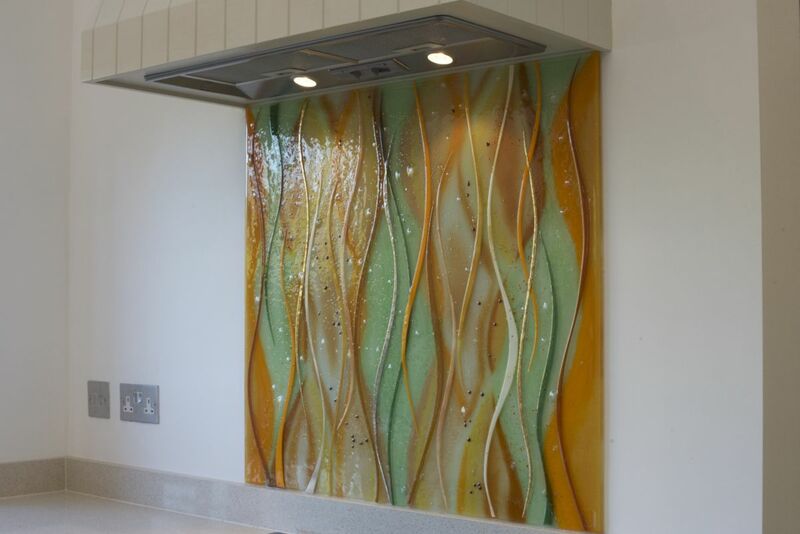 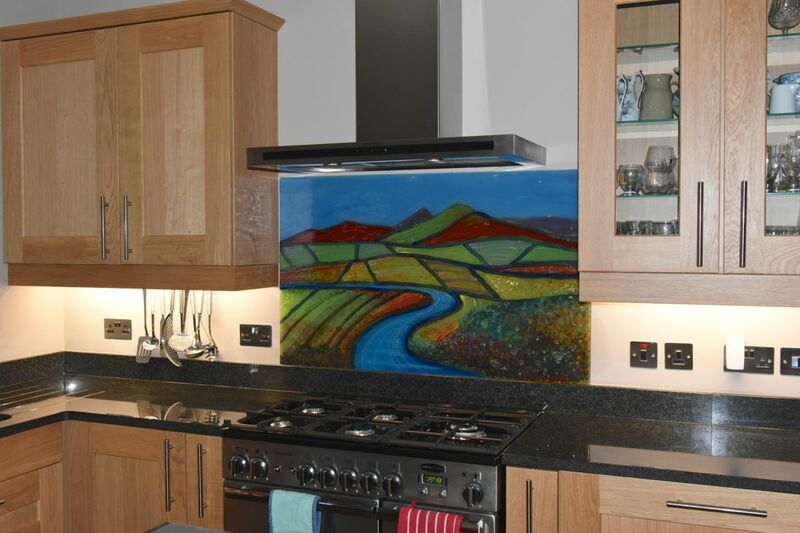 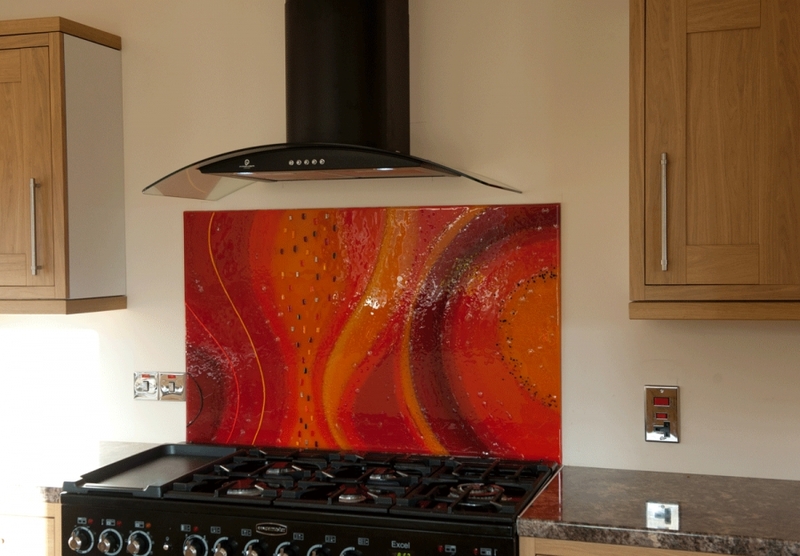 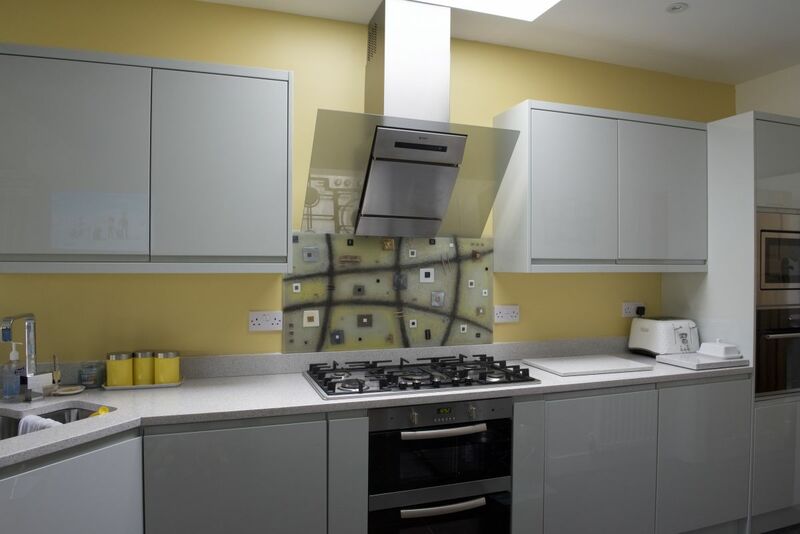 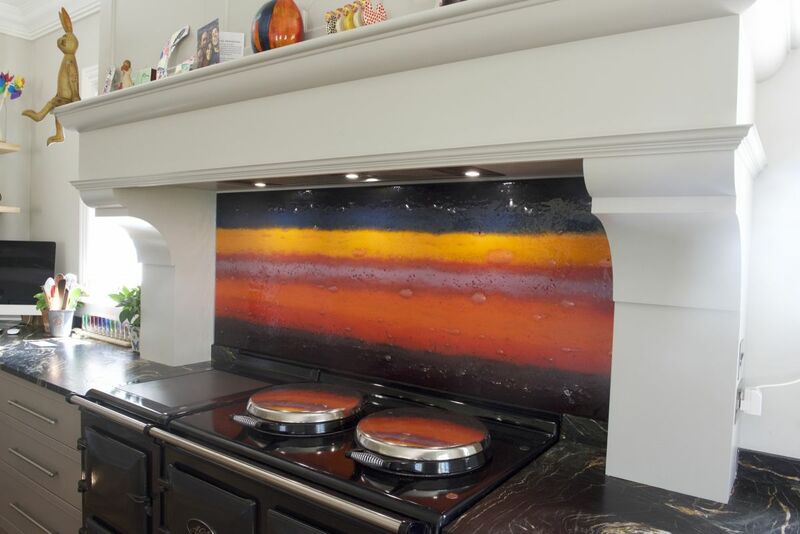 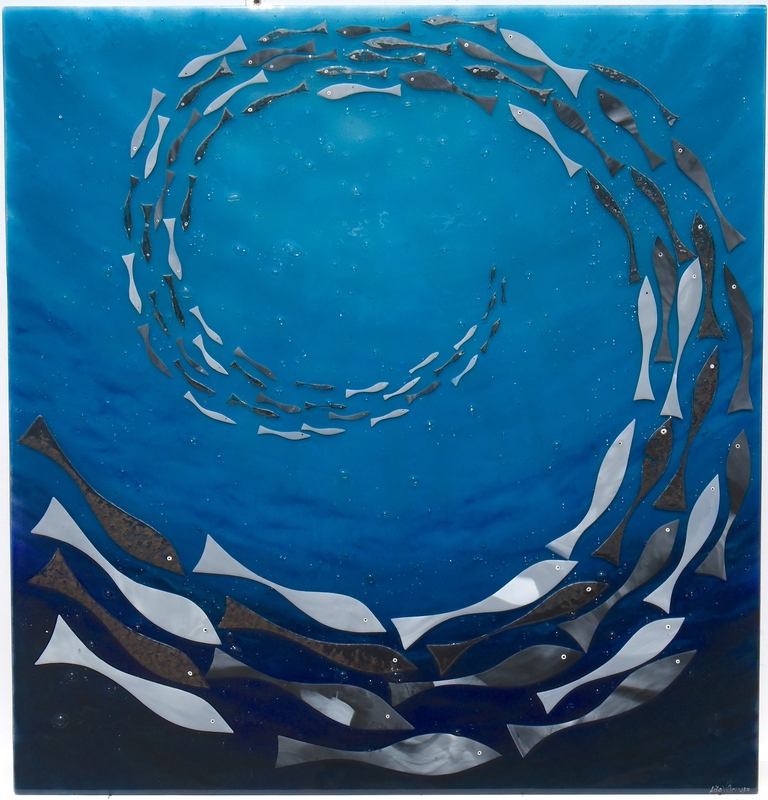 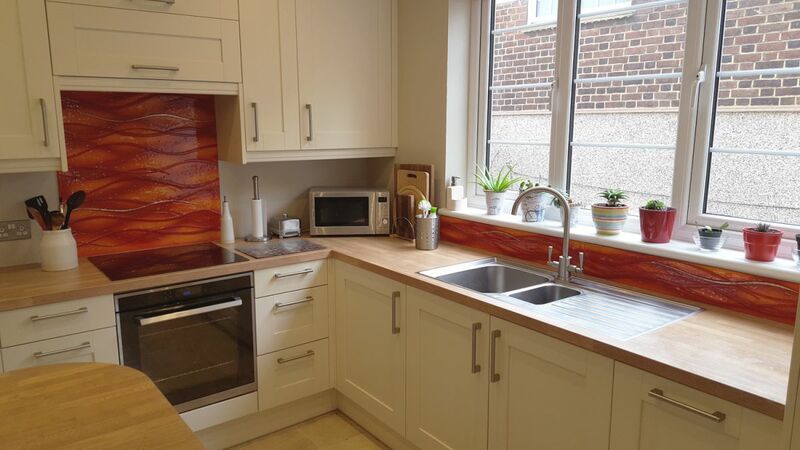 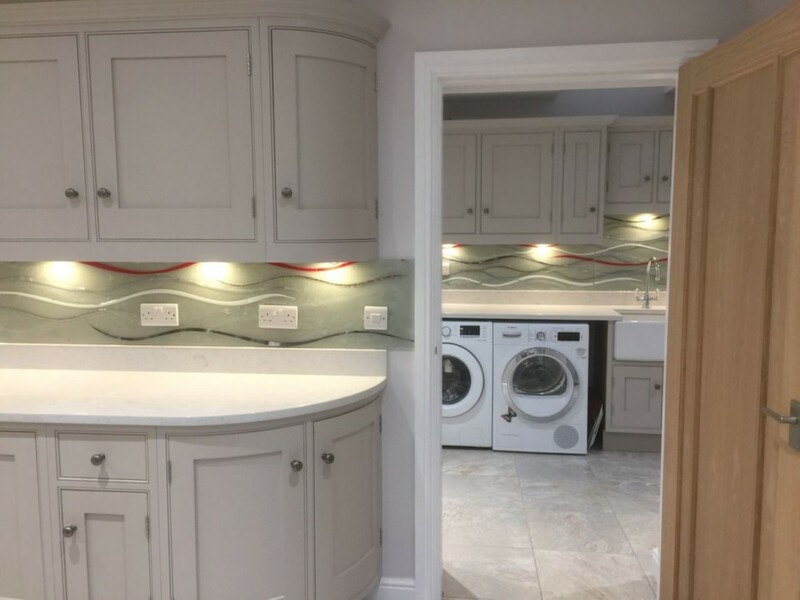 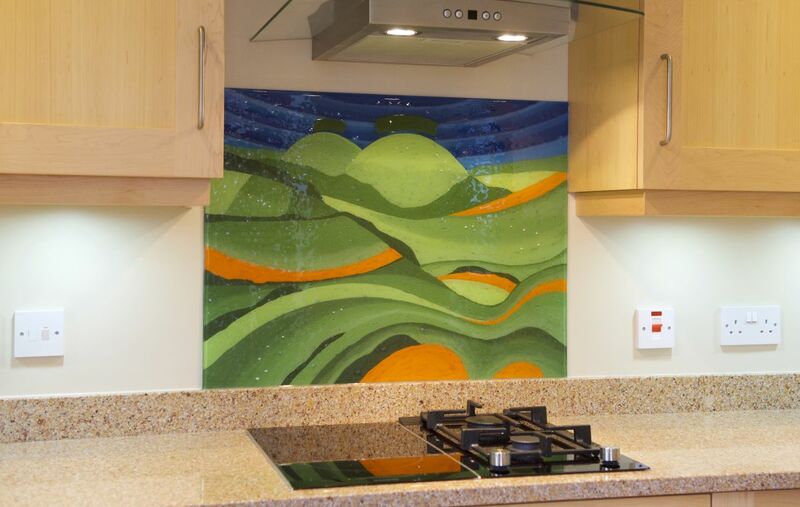 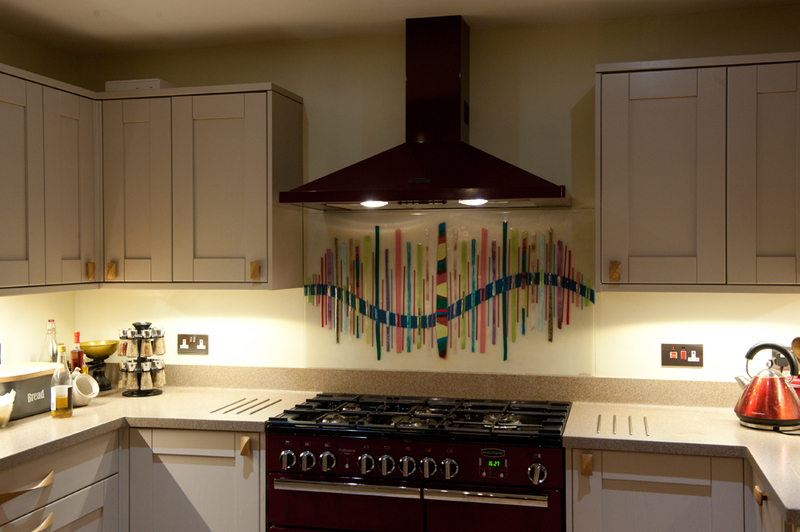 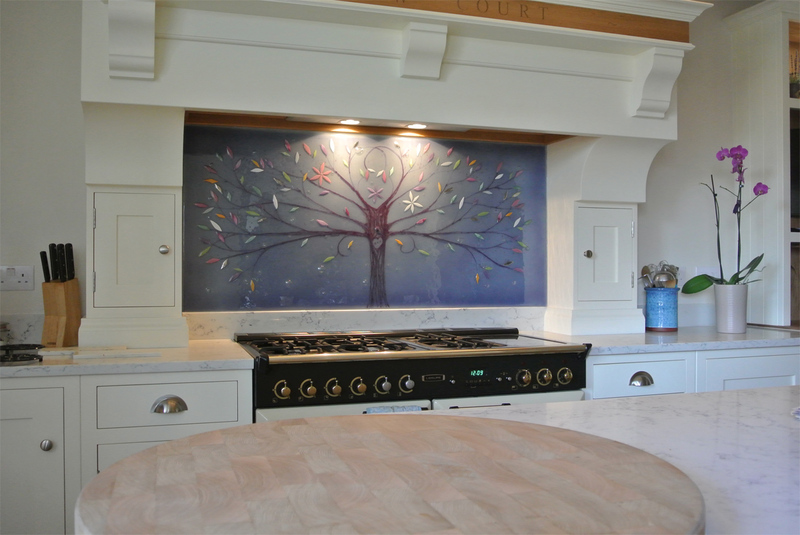 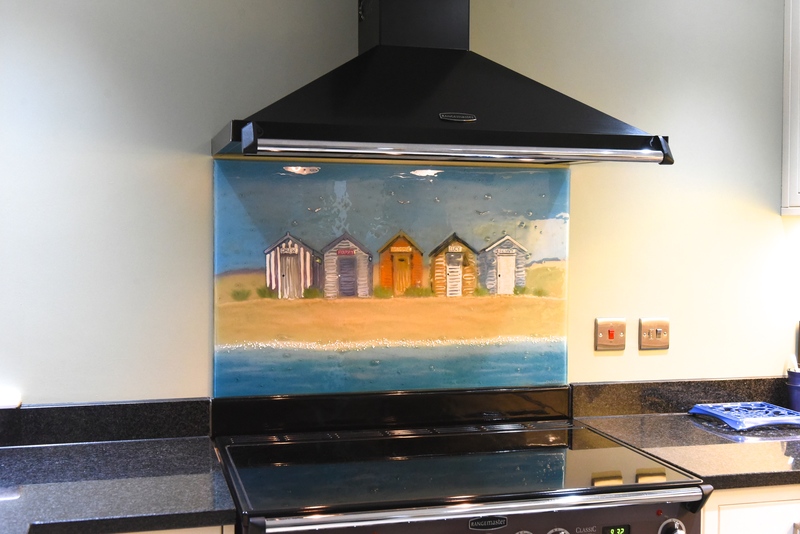 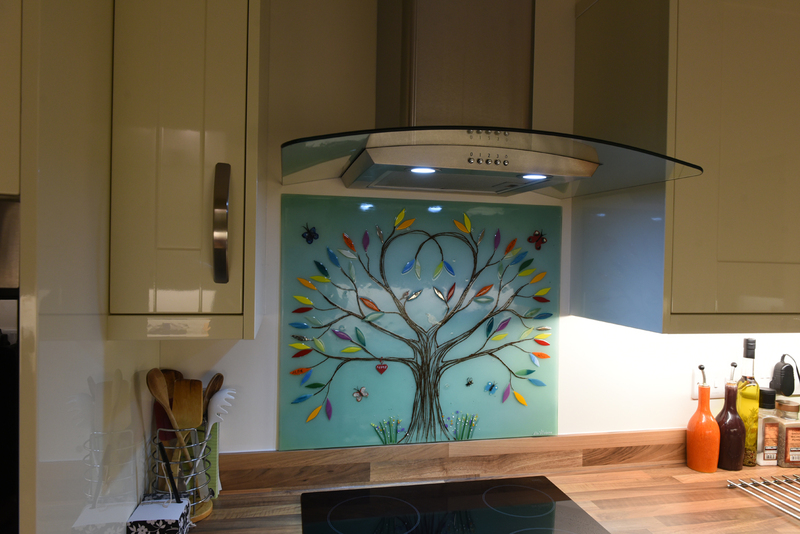 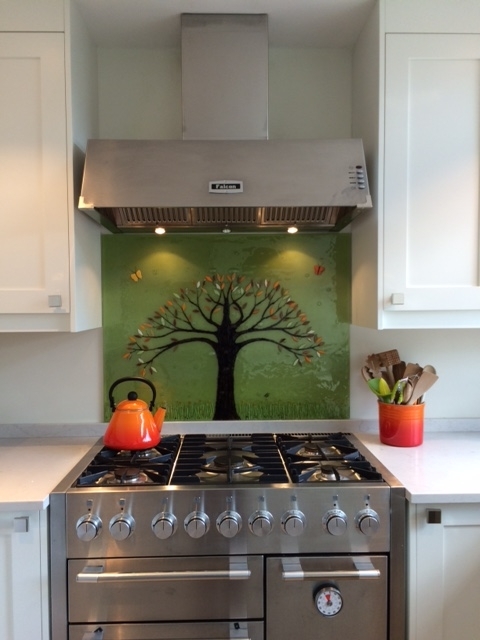 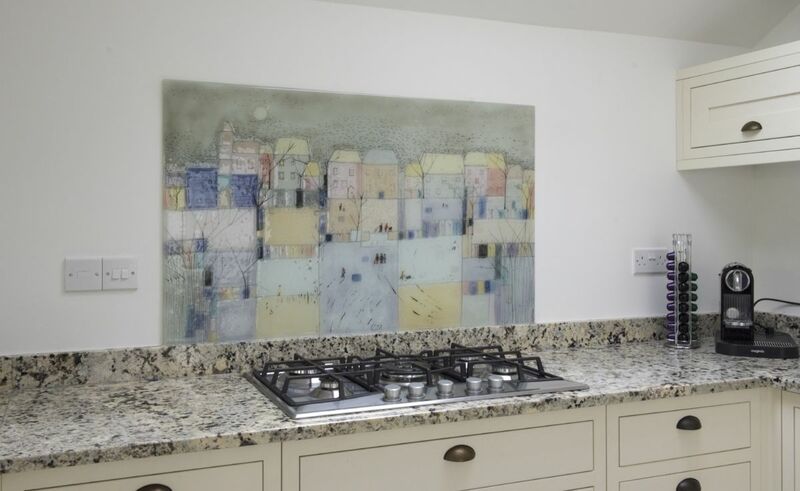 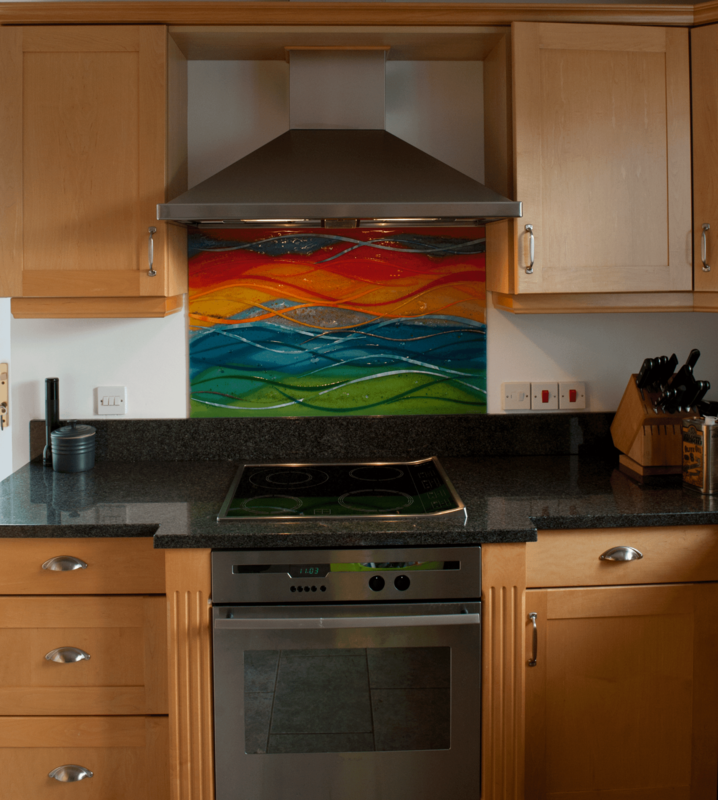 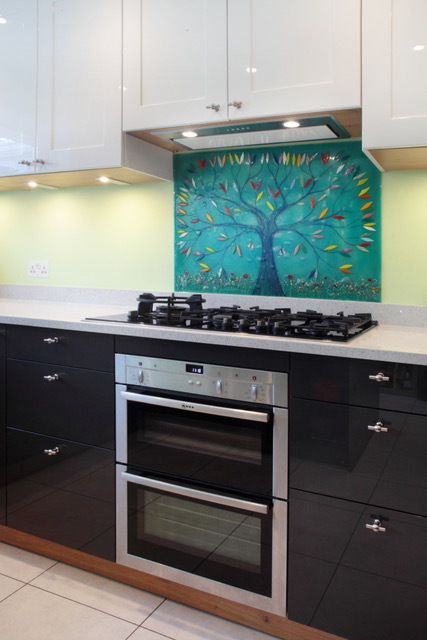 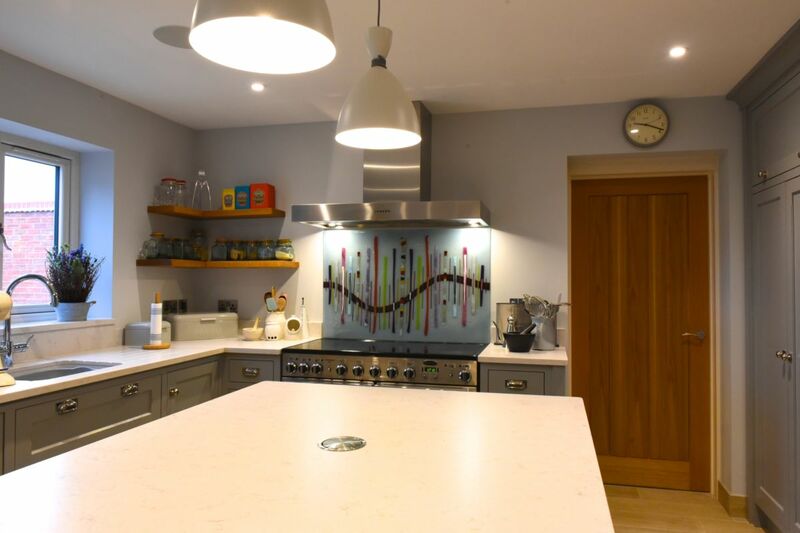 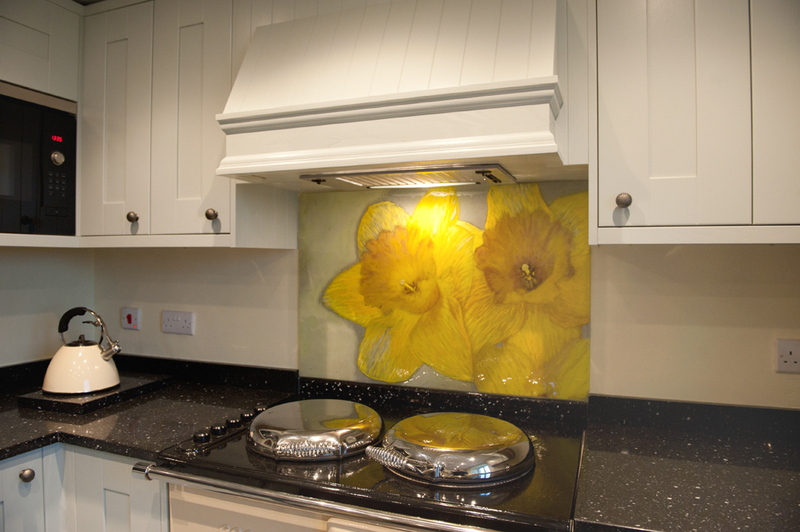 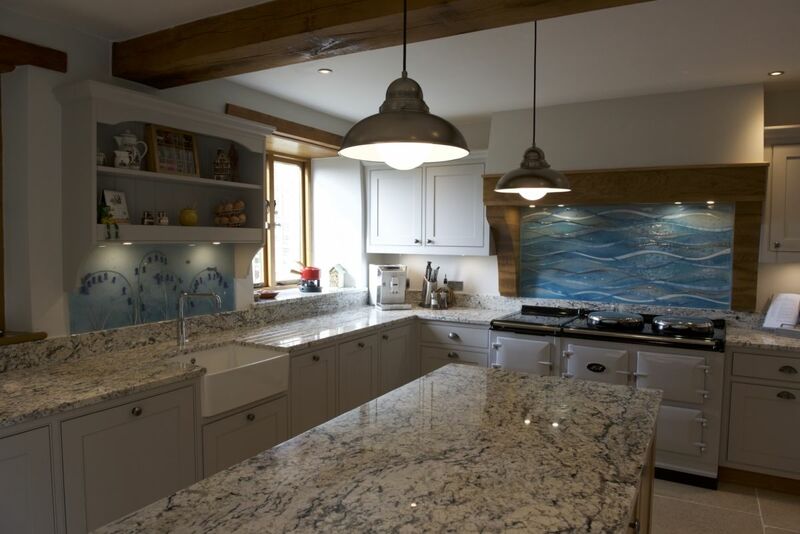 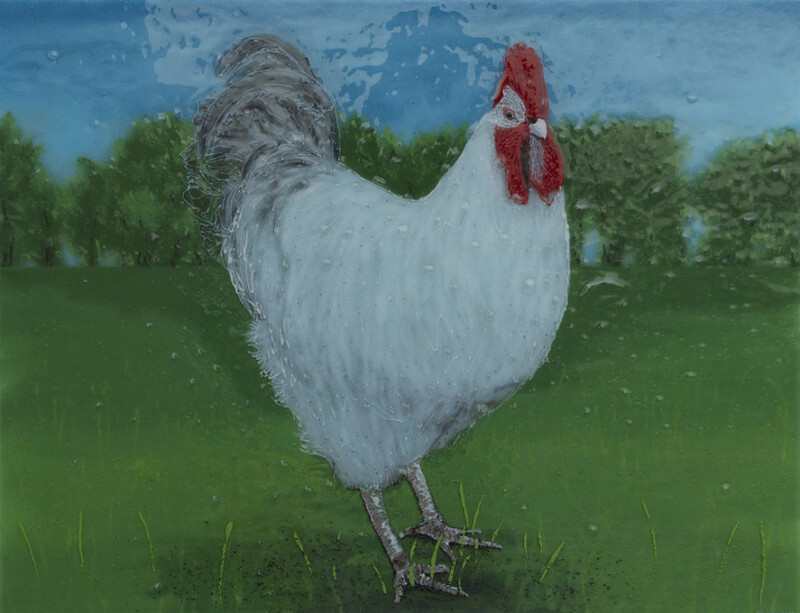 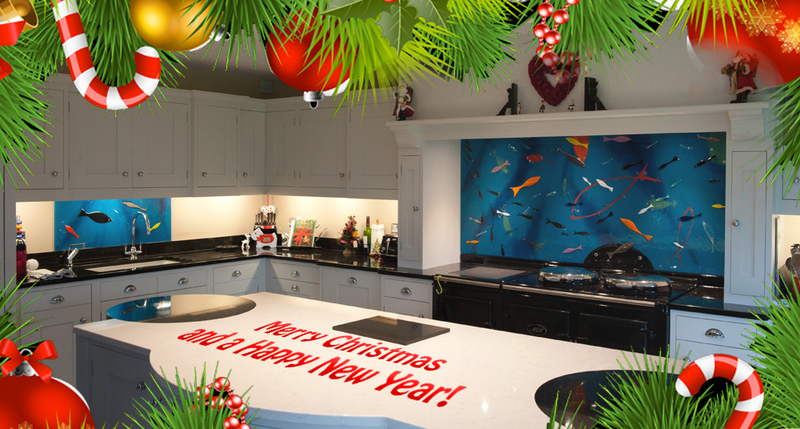 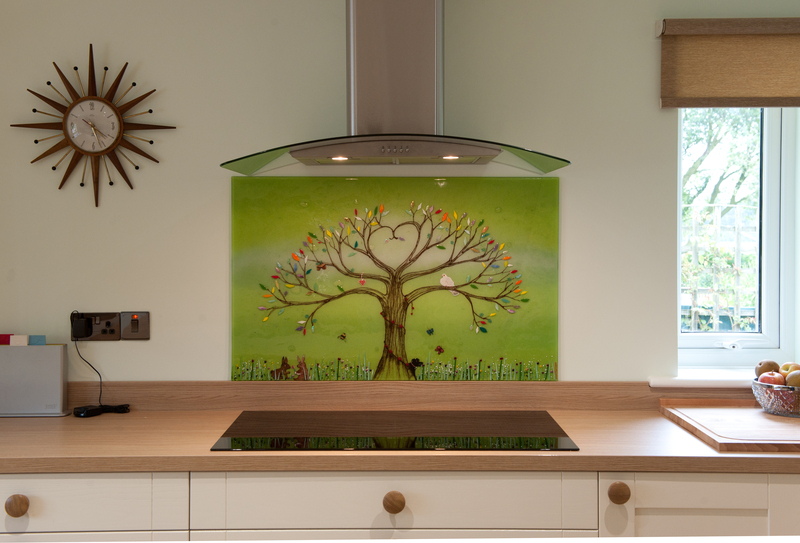 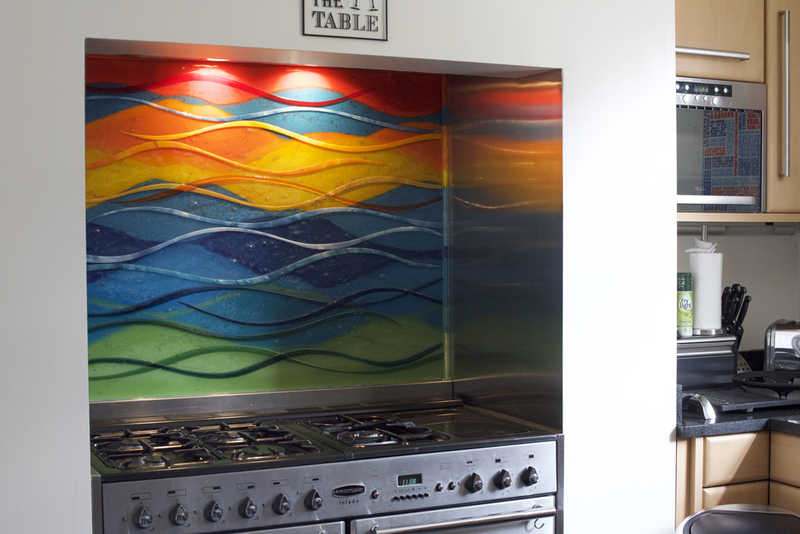 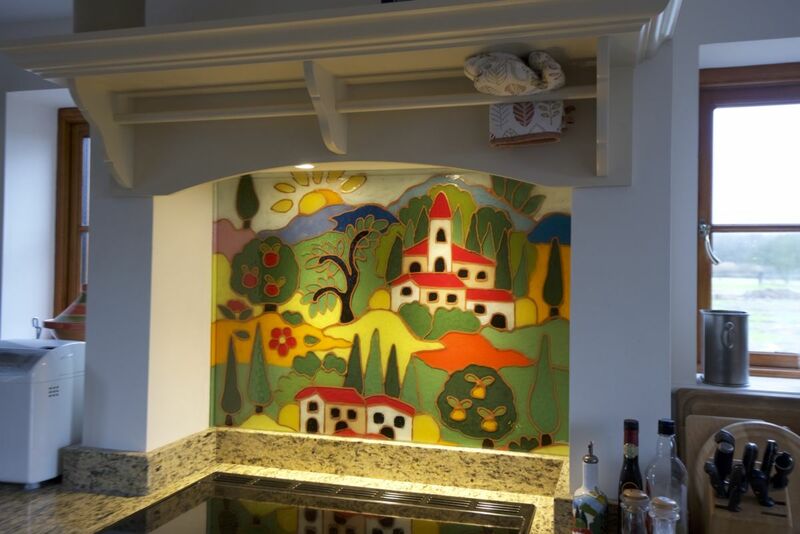 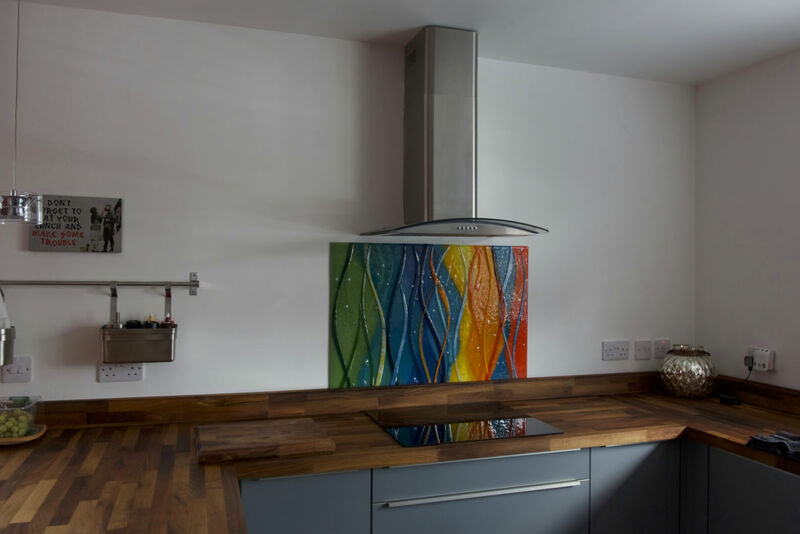 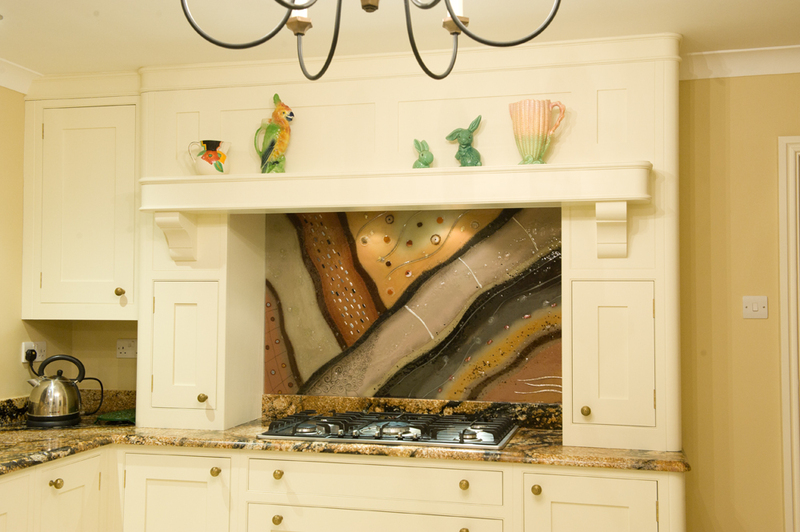 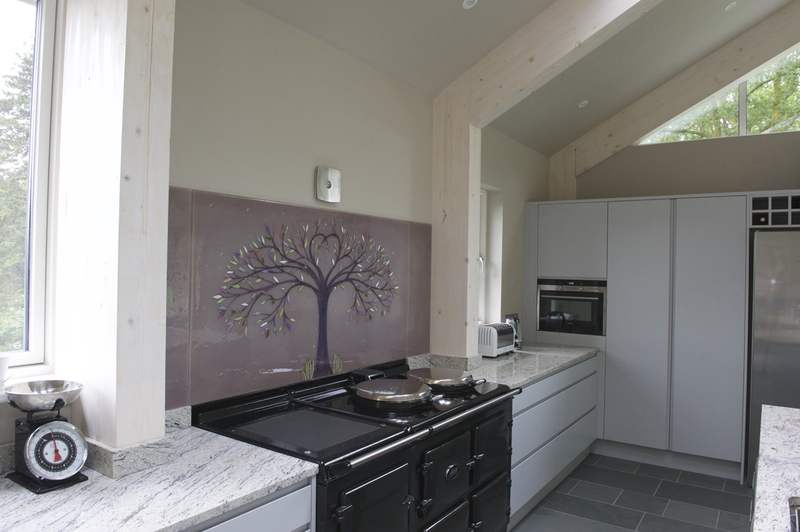 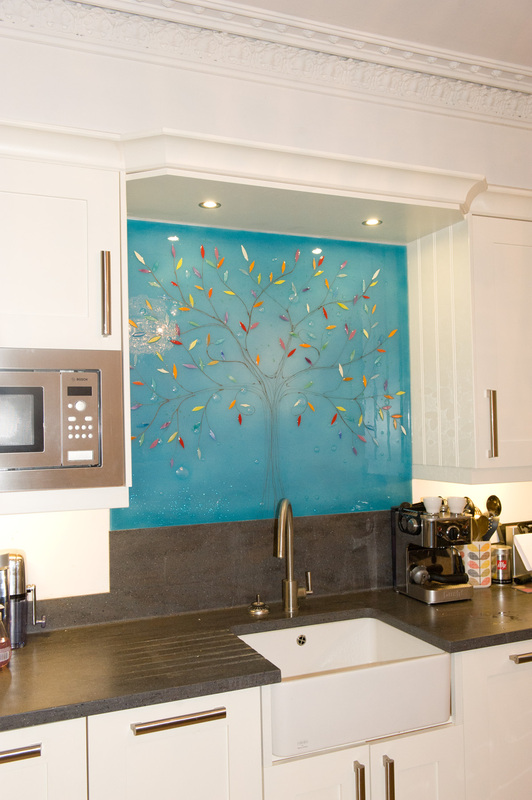 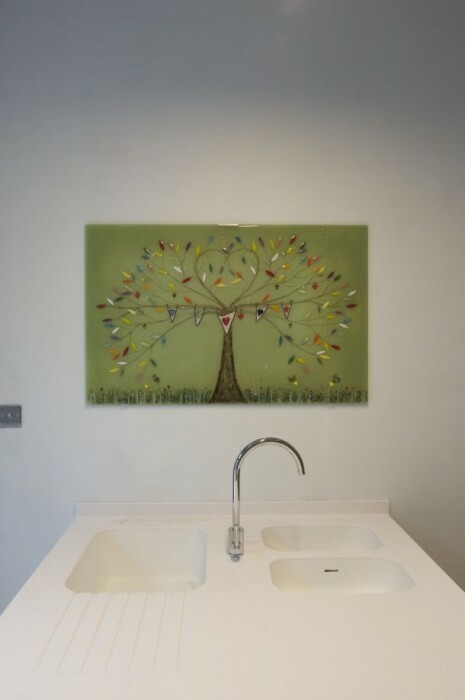 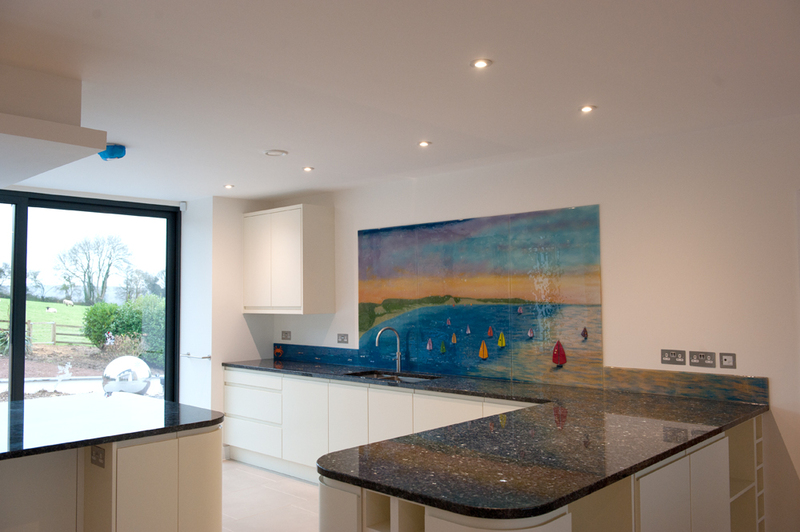 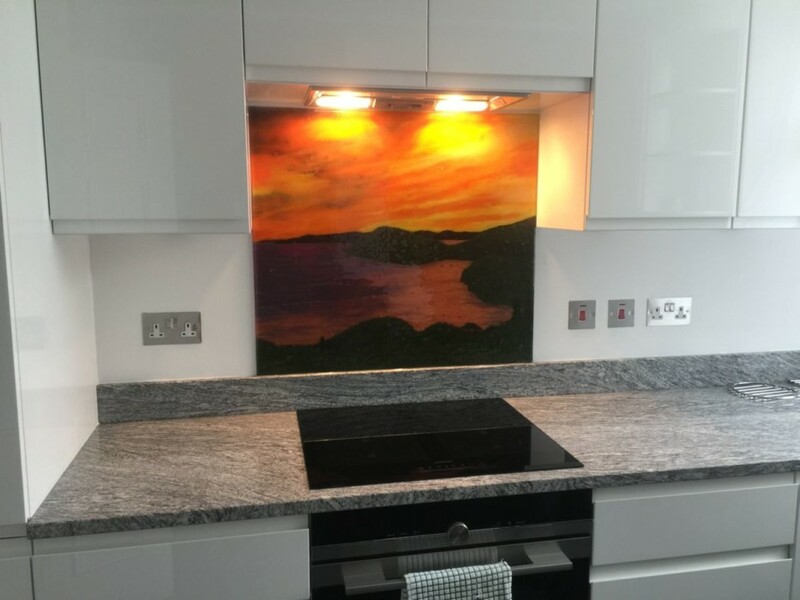 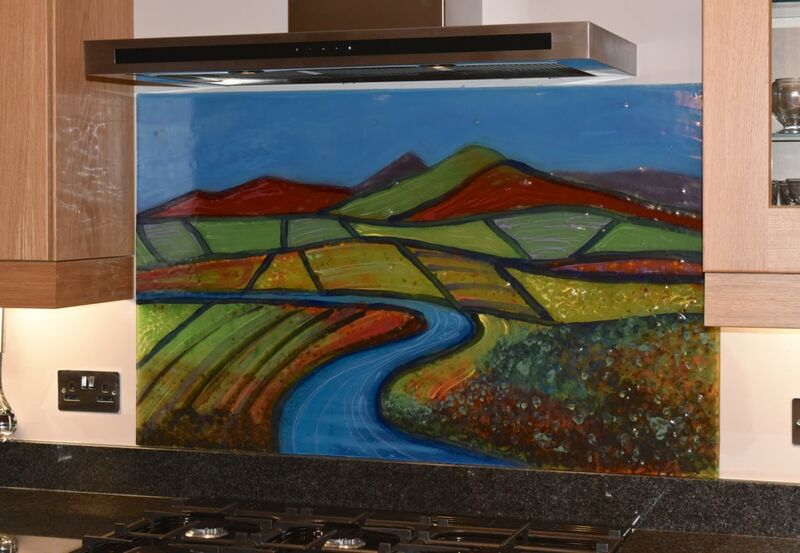 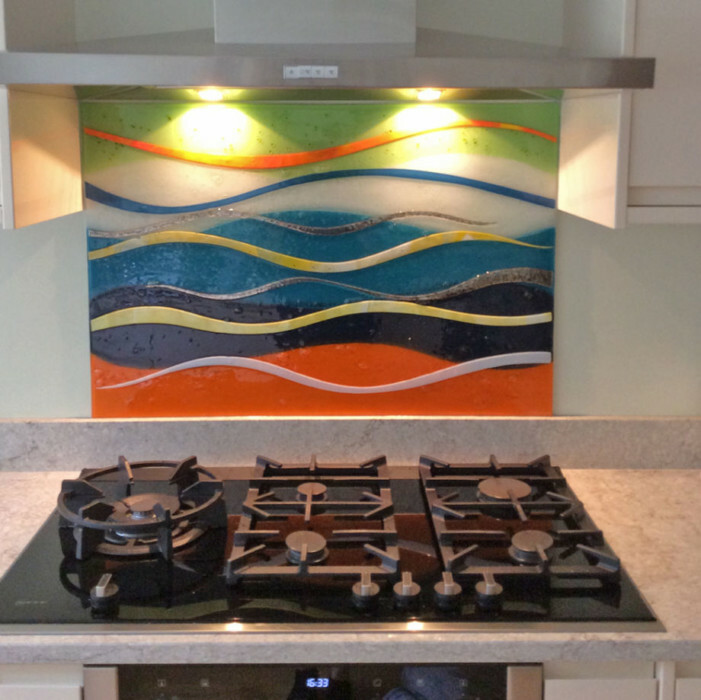 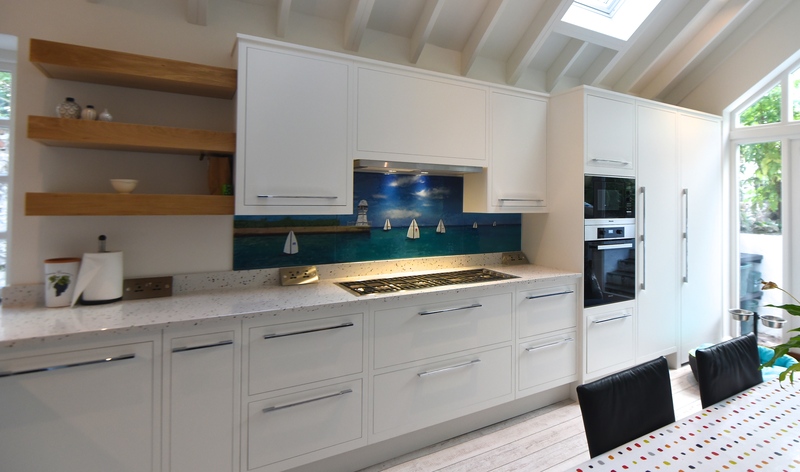 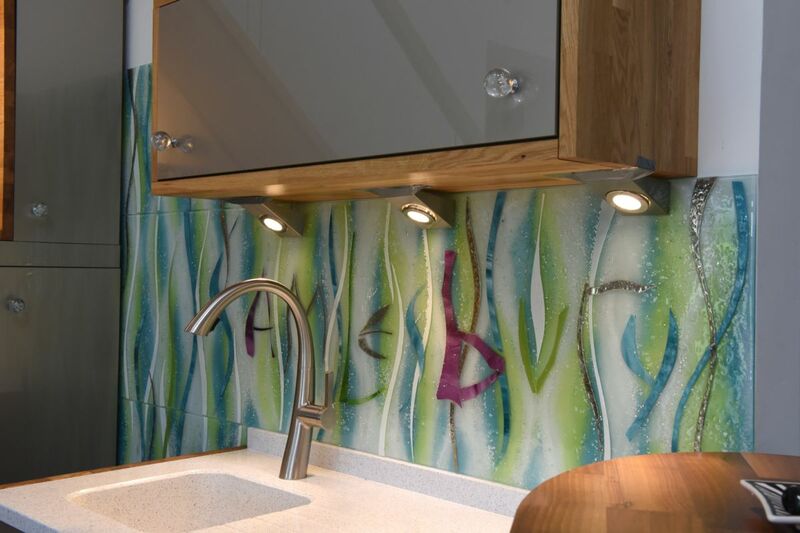 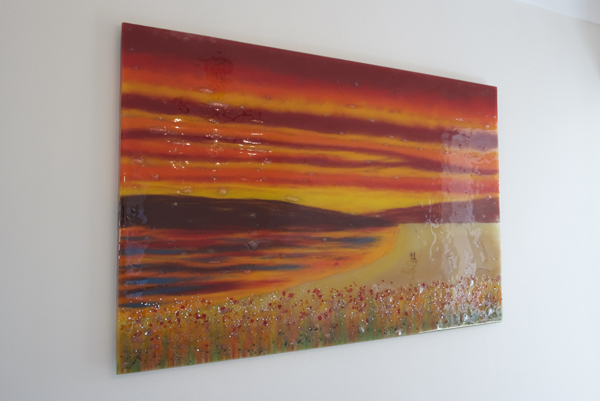 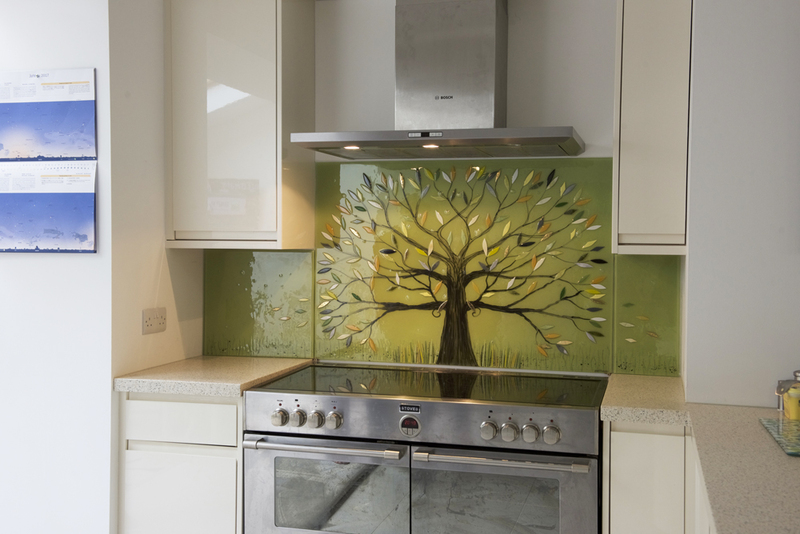 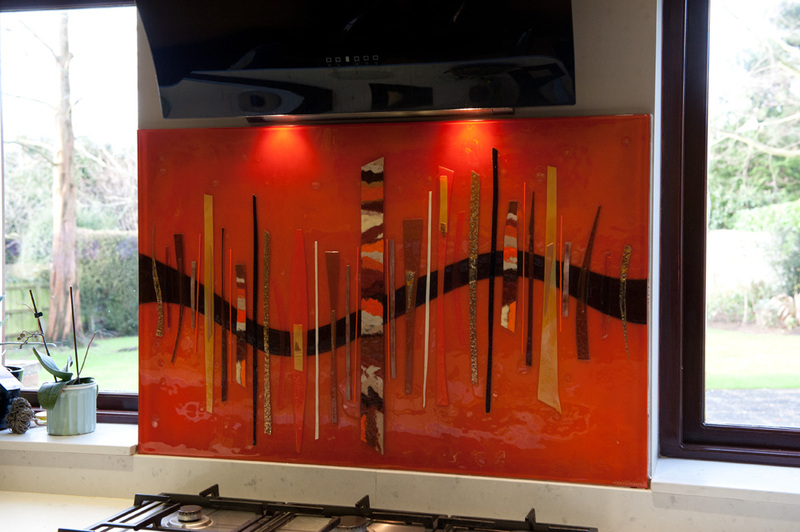 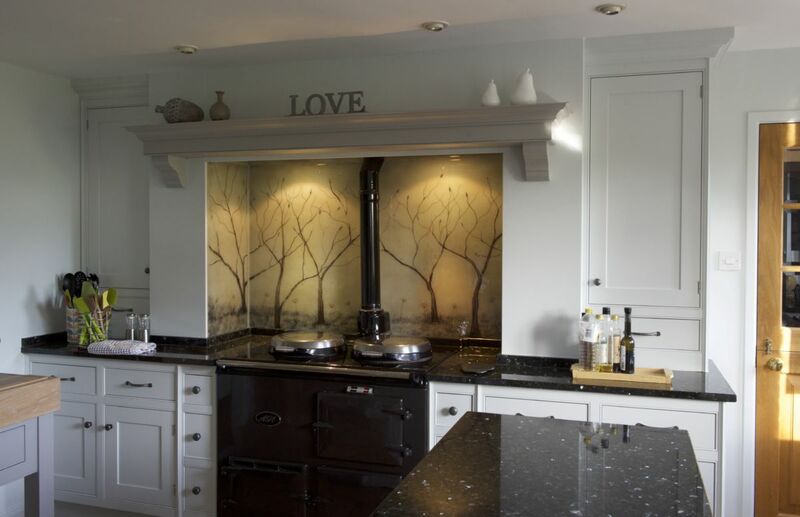 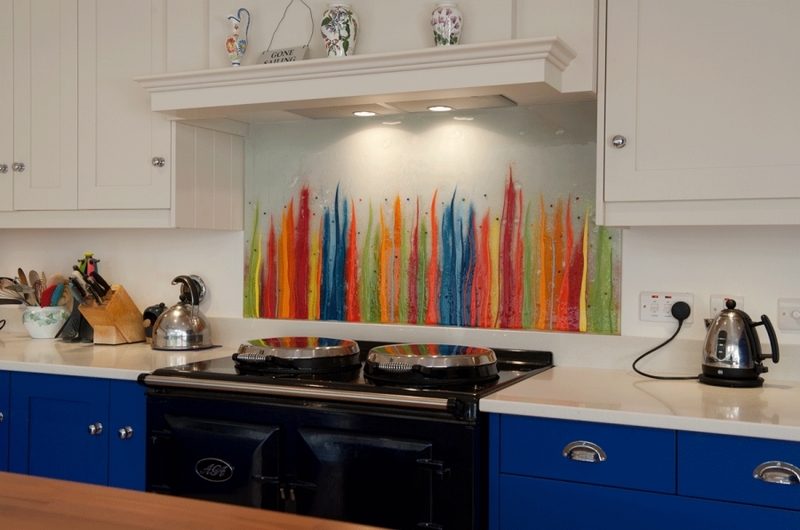 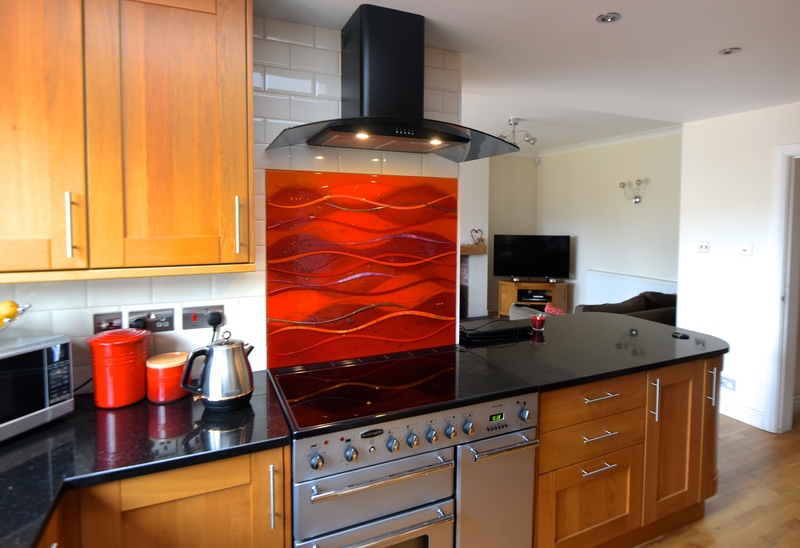 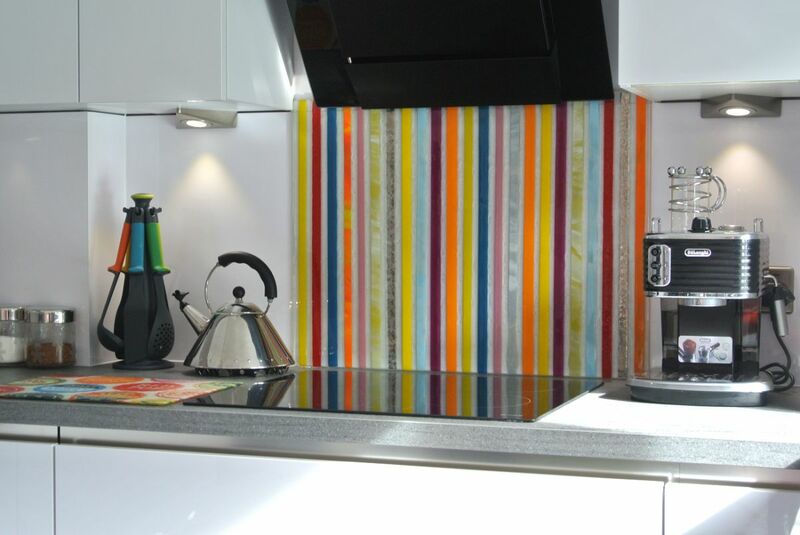 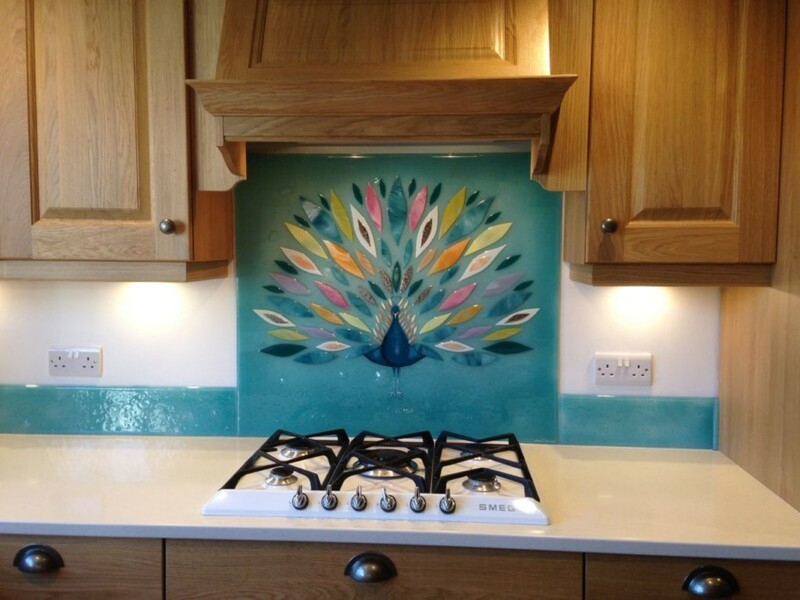 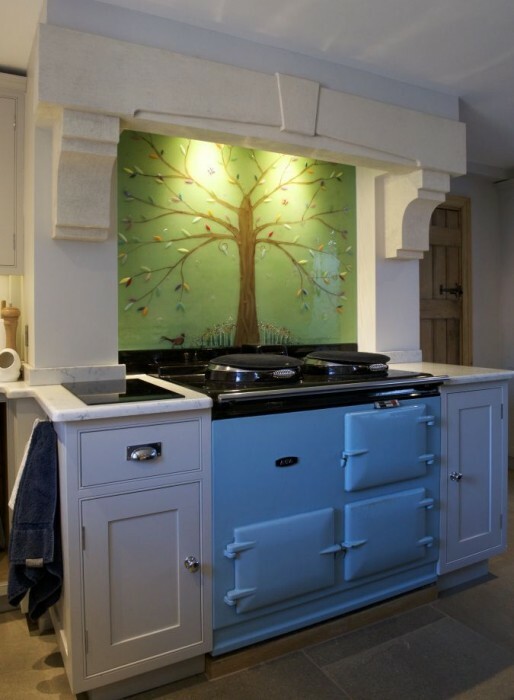 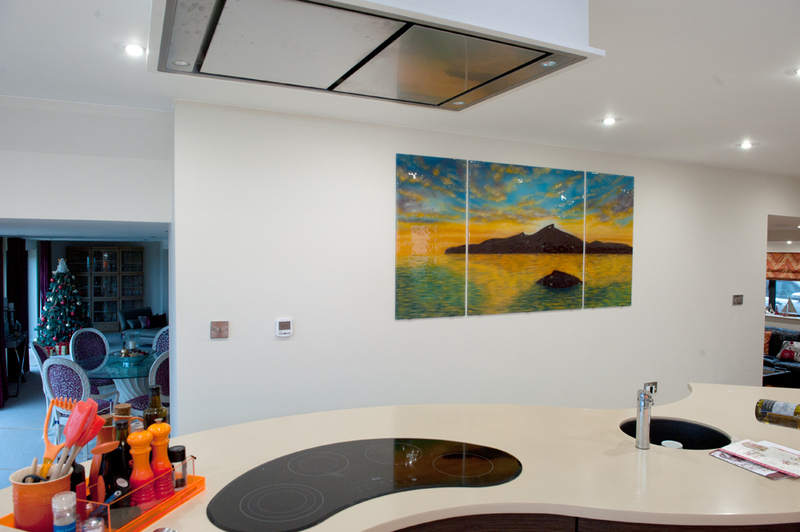 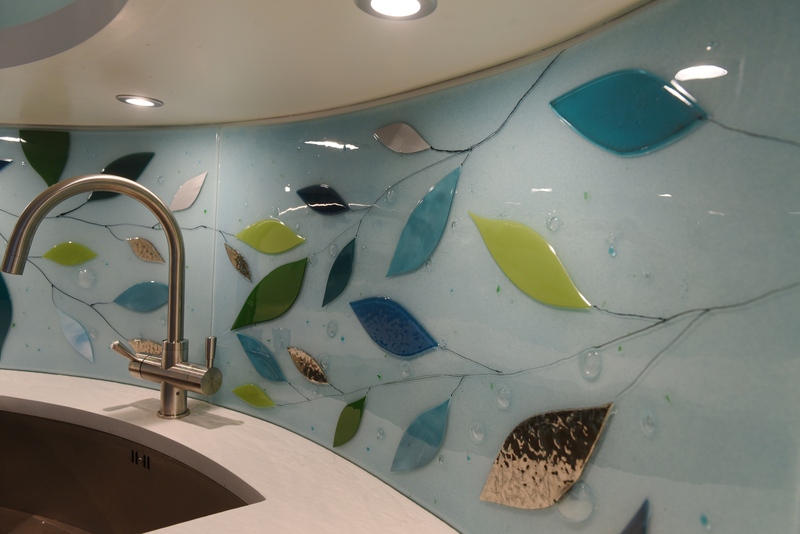 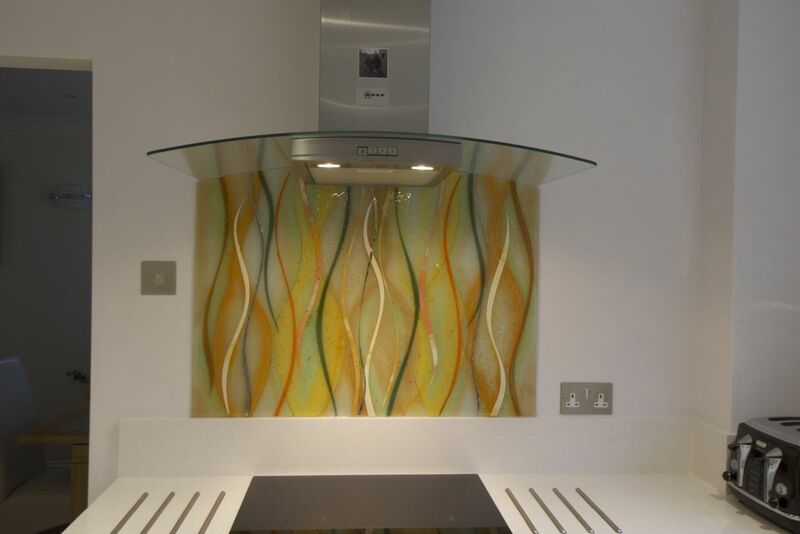 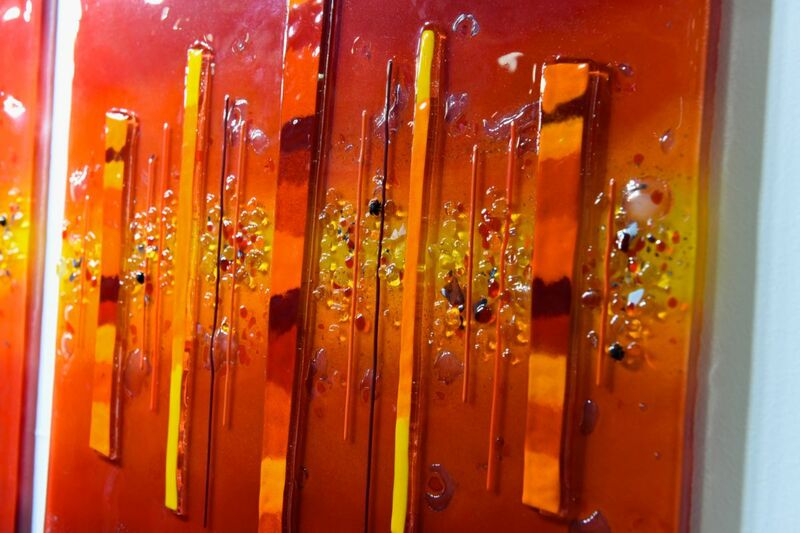 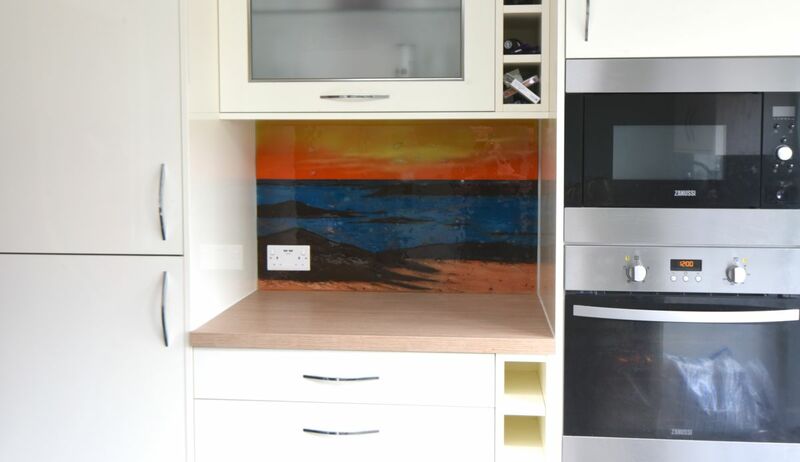 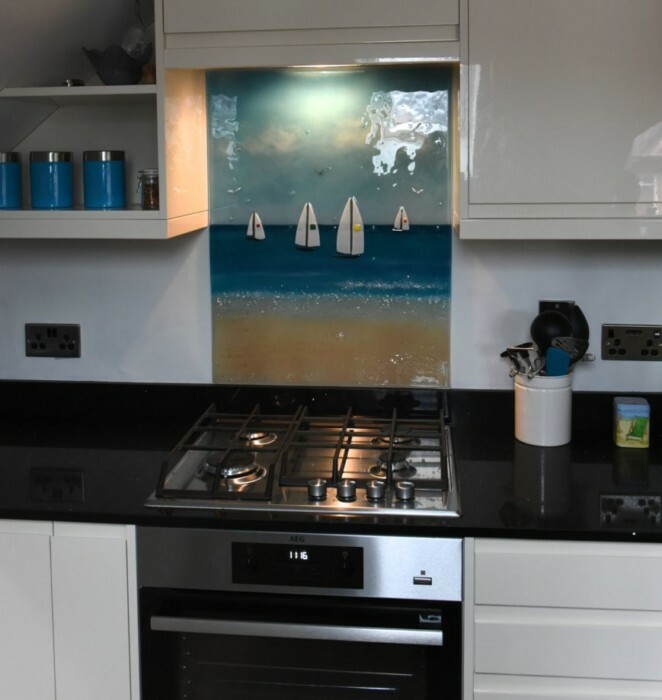 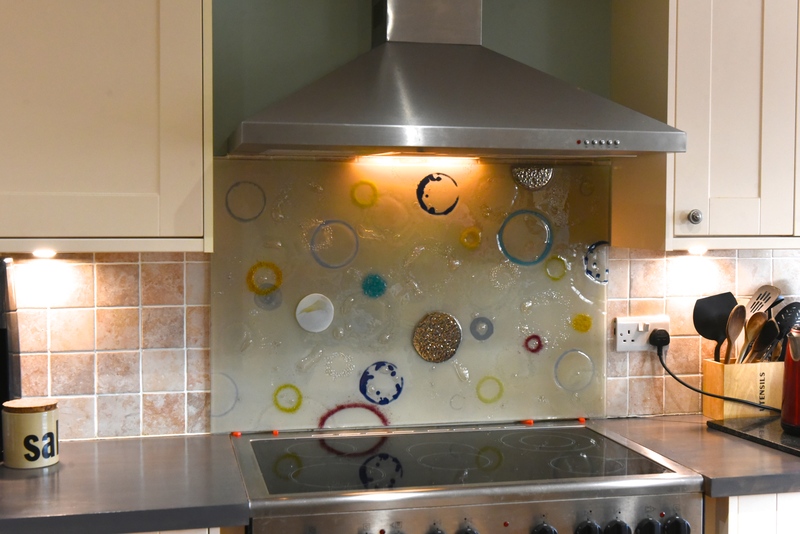 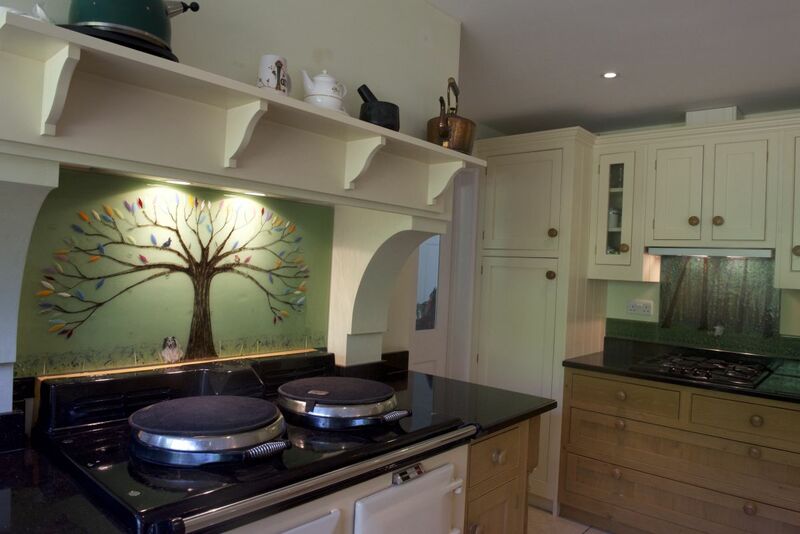 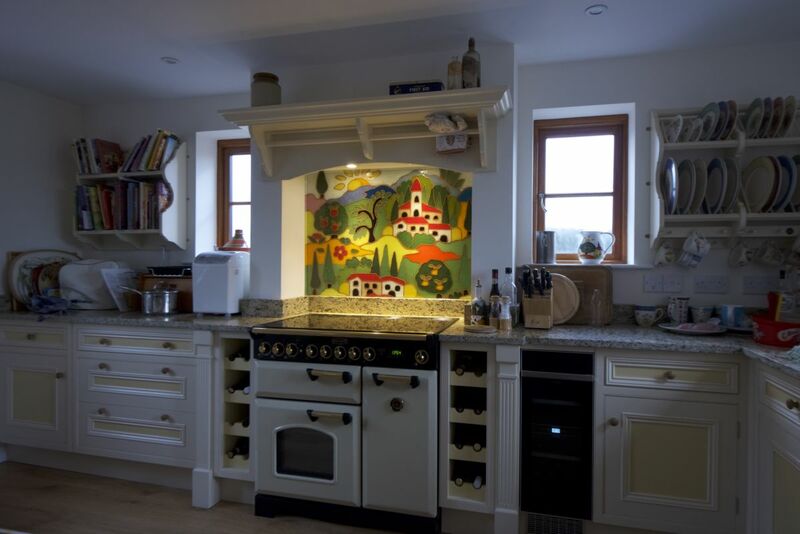 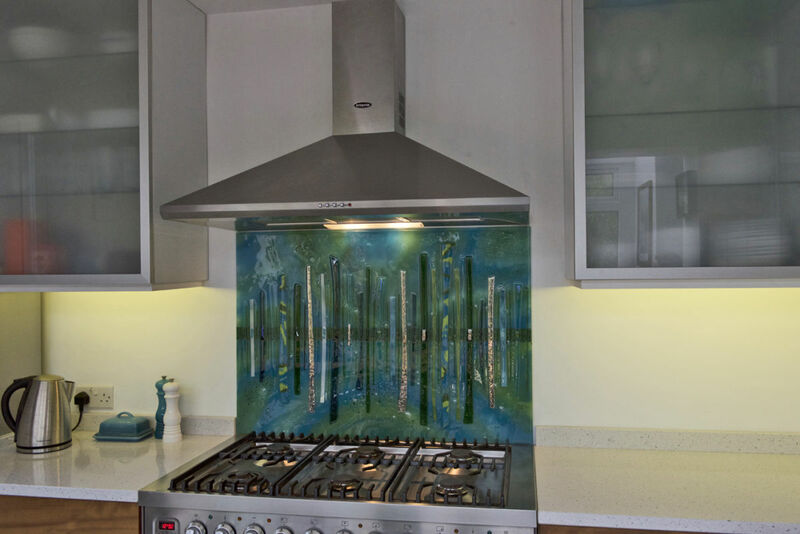 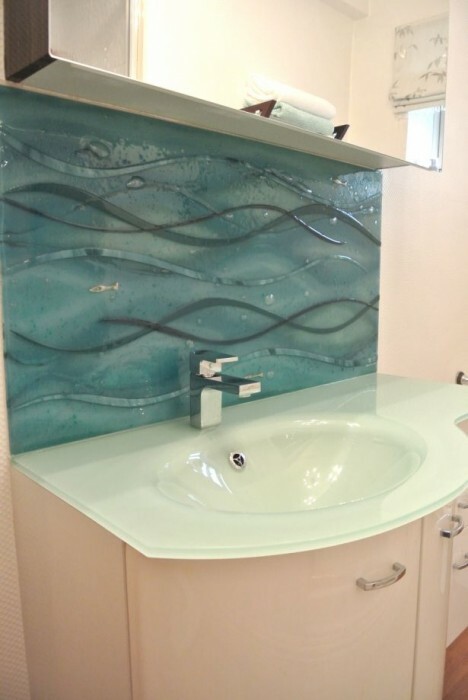 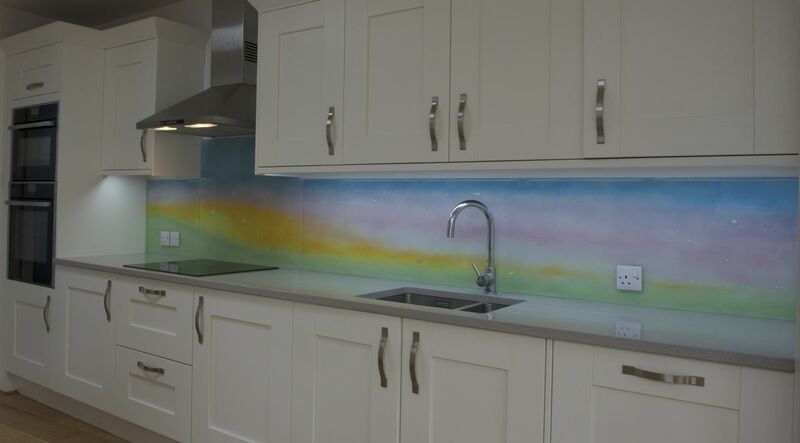 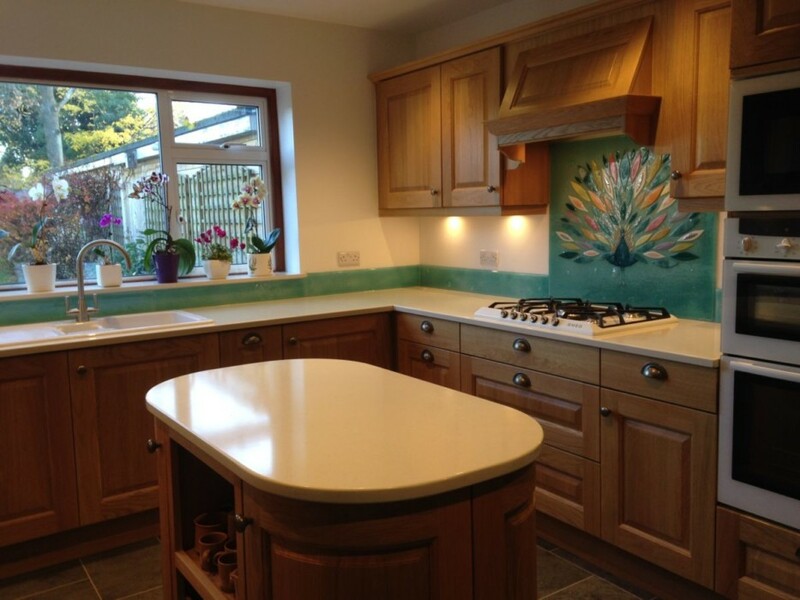 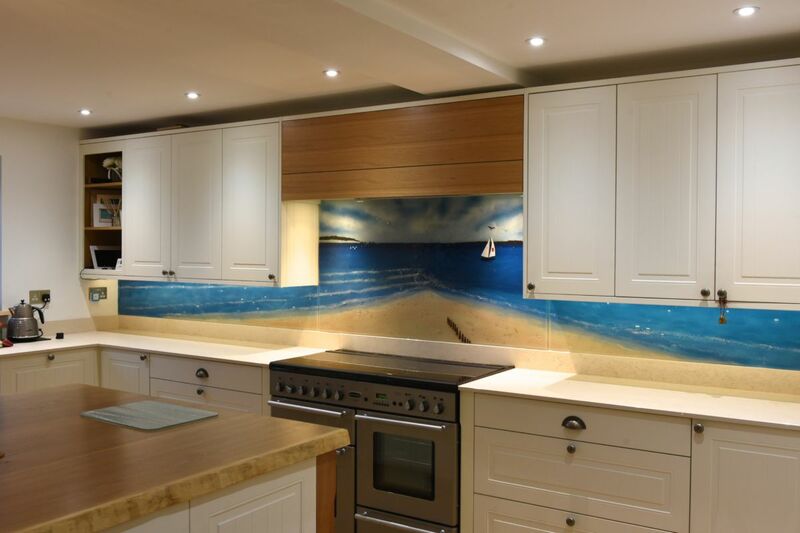 This incredible splashback was created for a customer of ours in Grampound, Cornwall. 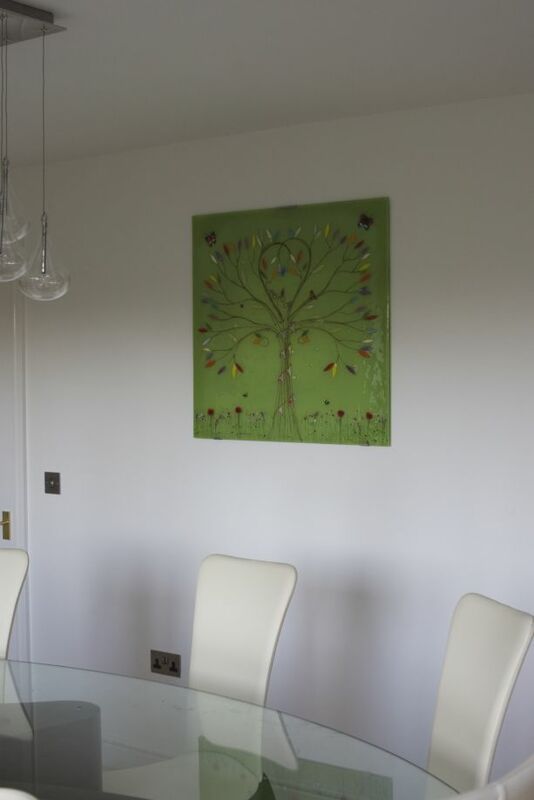 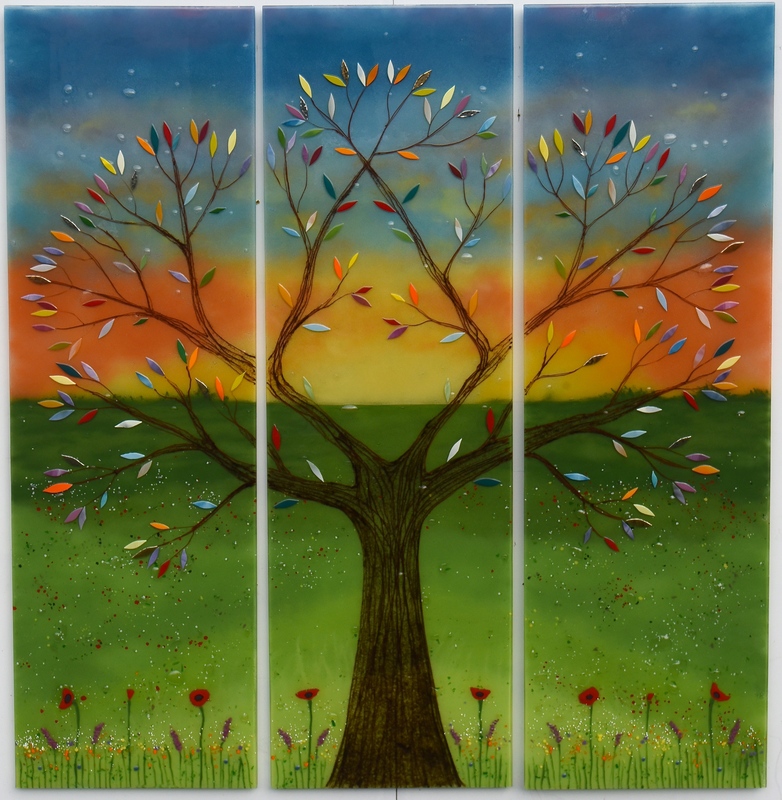 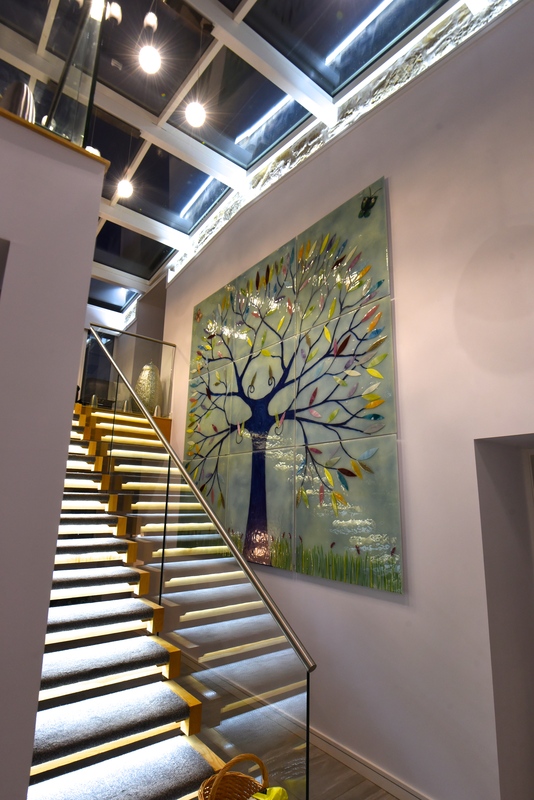 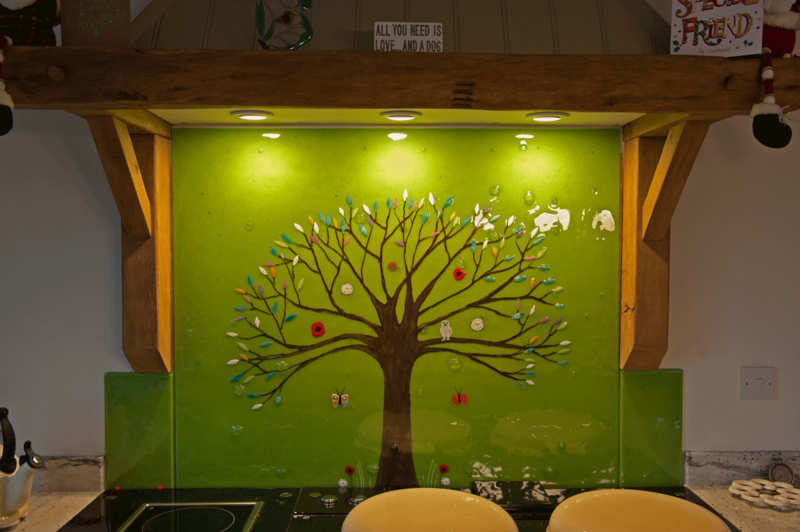 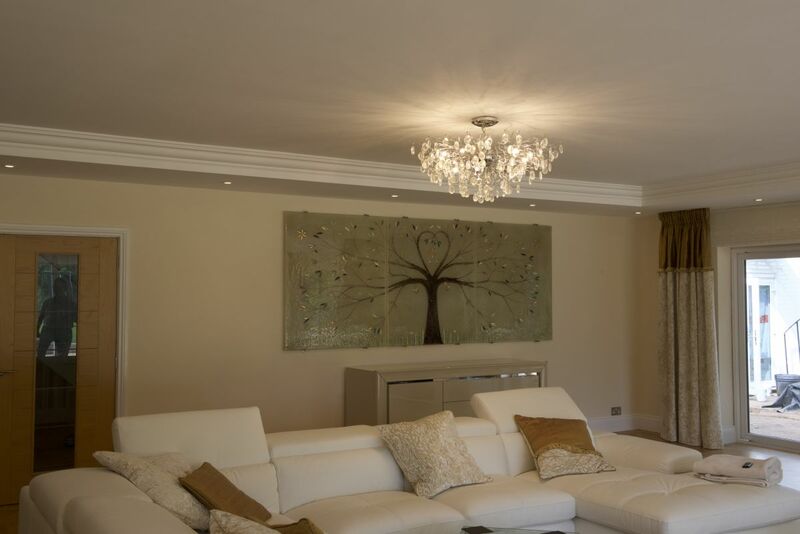 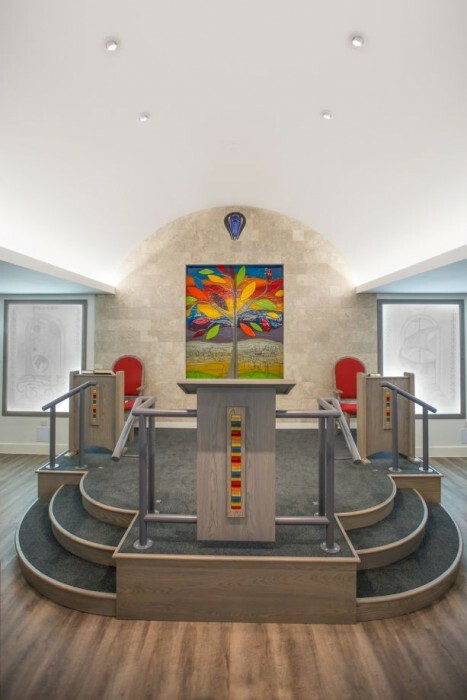 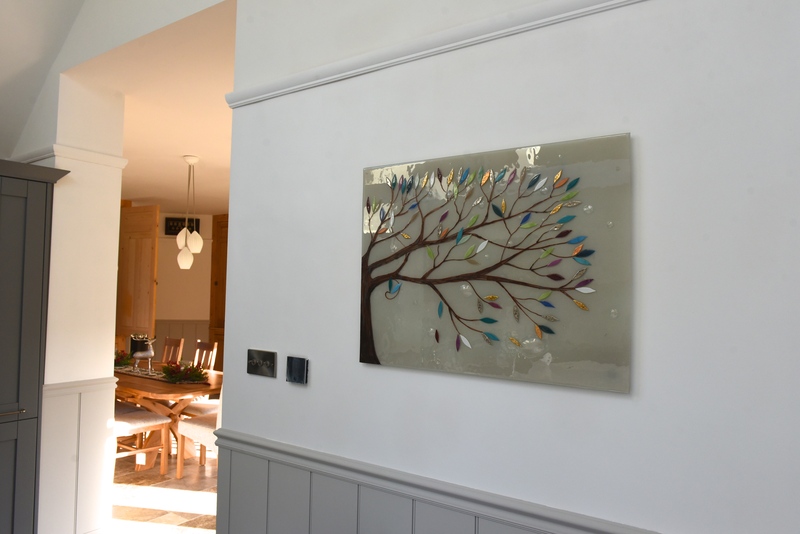 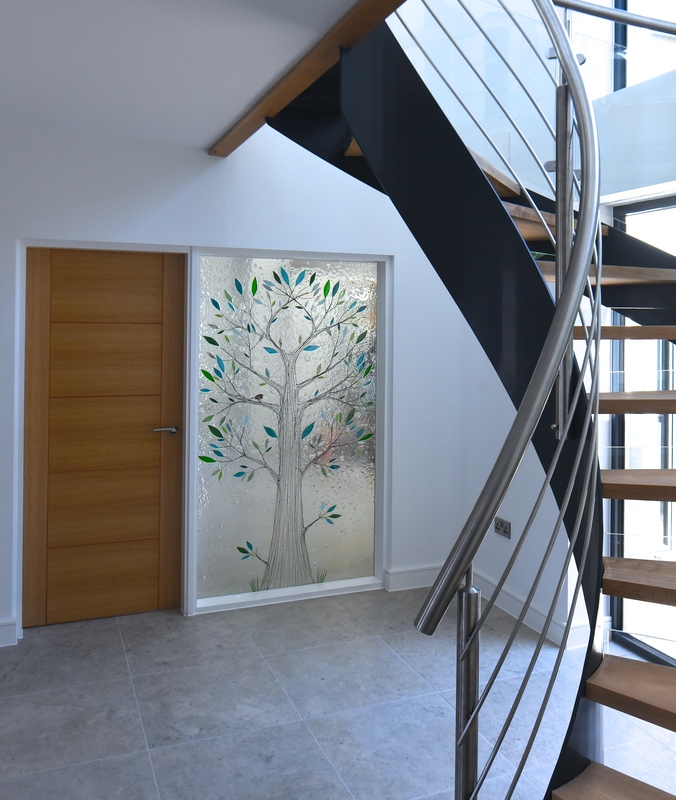 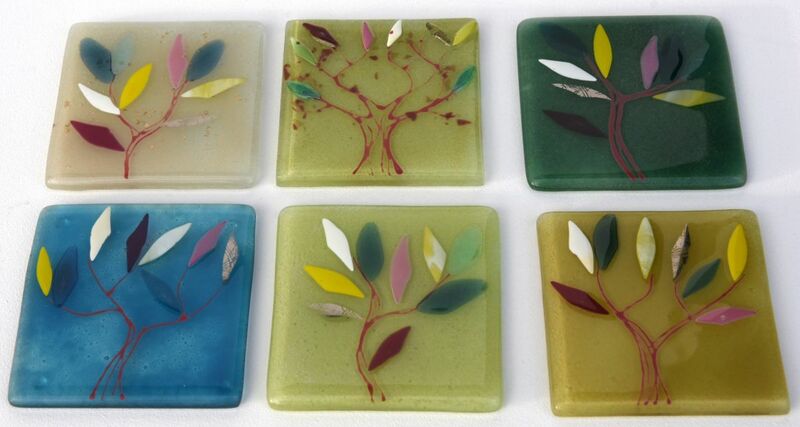 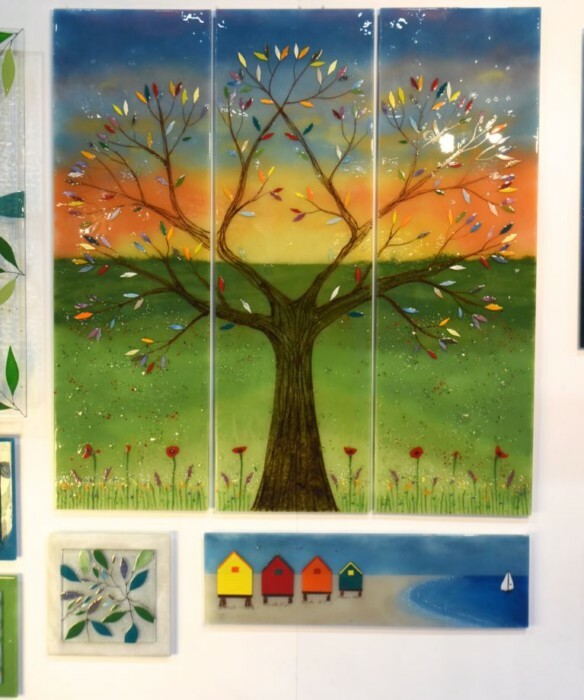 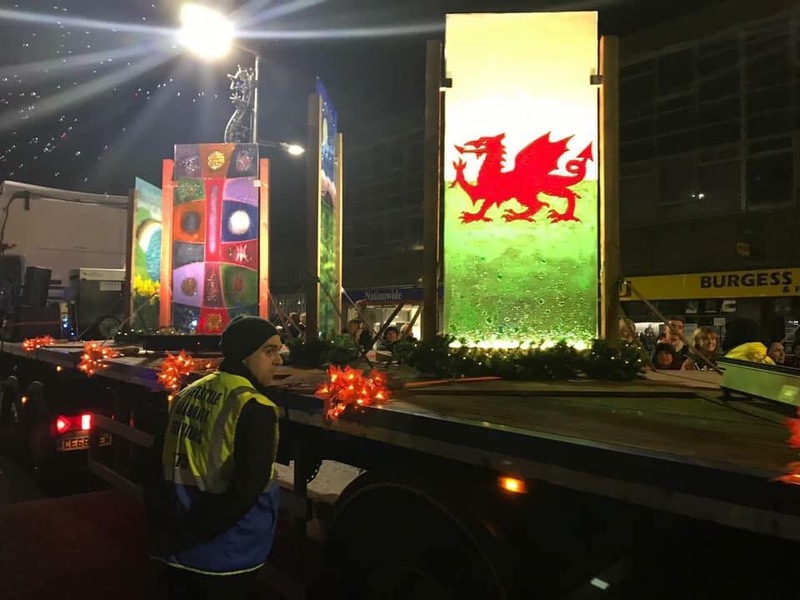 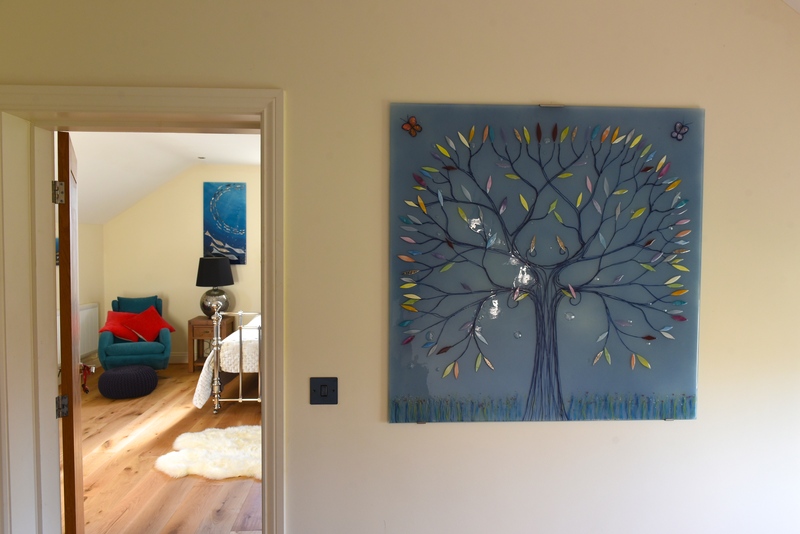 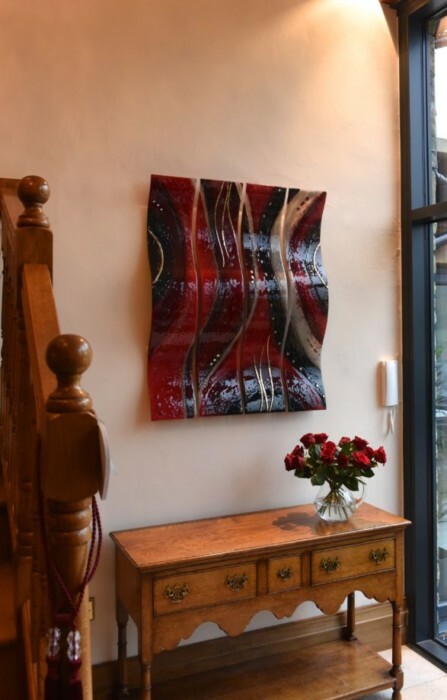 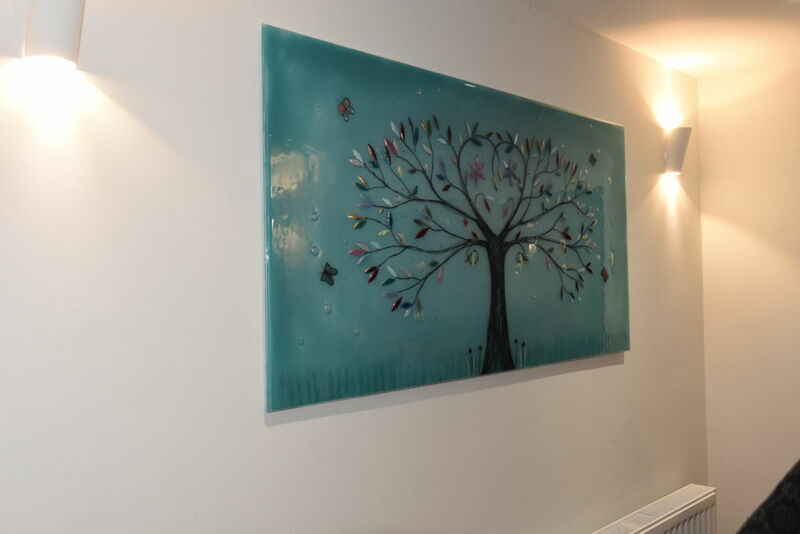 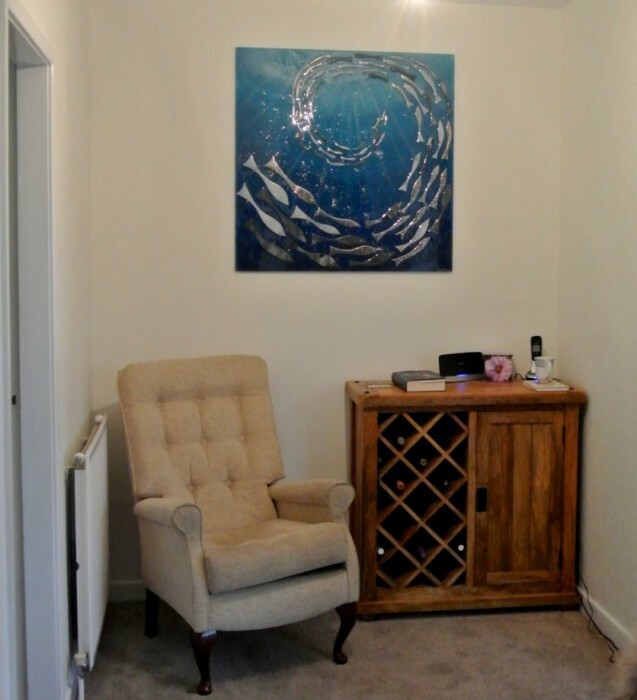 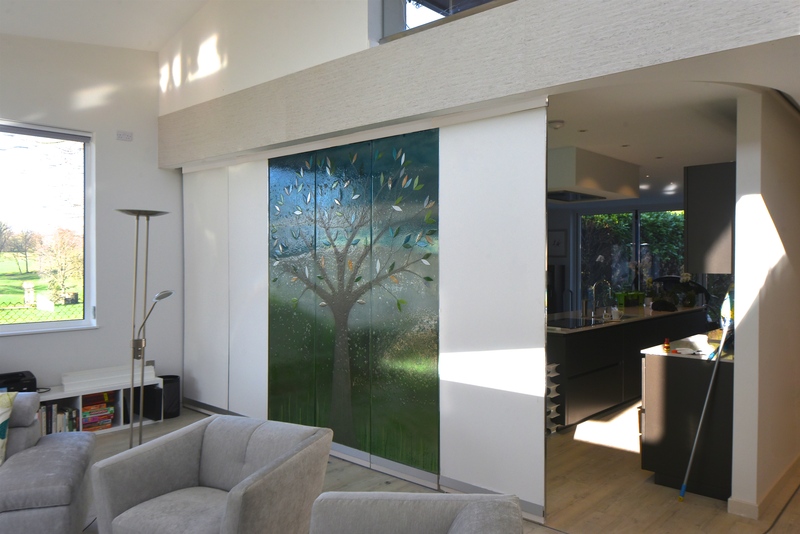 It’s an absolutely stunning example of a Tree of Life, which regular readers of our blog are sure to be very familiar with at this point, but it’s also the perfect piece to showcase how our glass can be sized to snugly fit any space you have in mind. 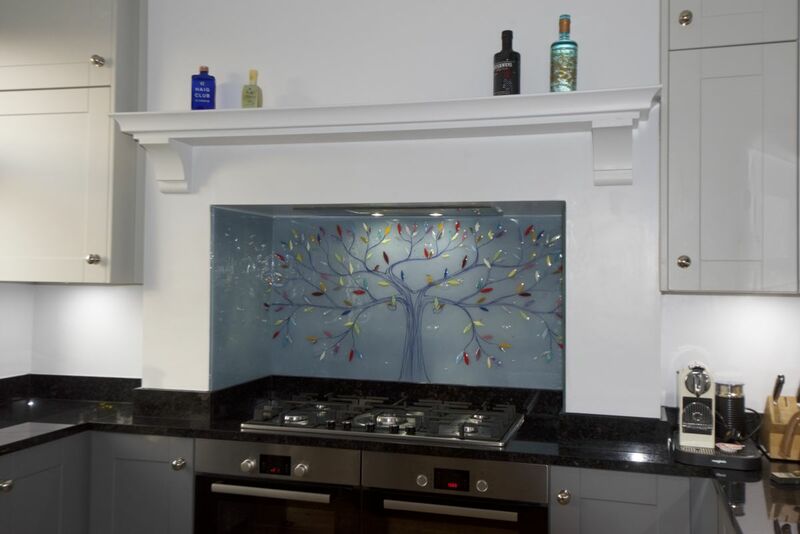 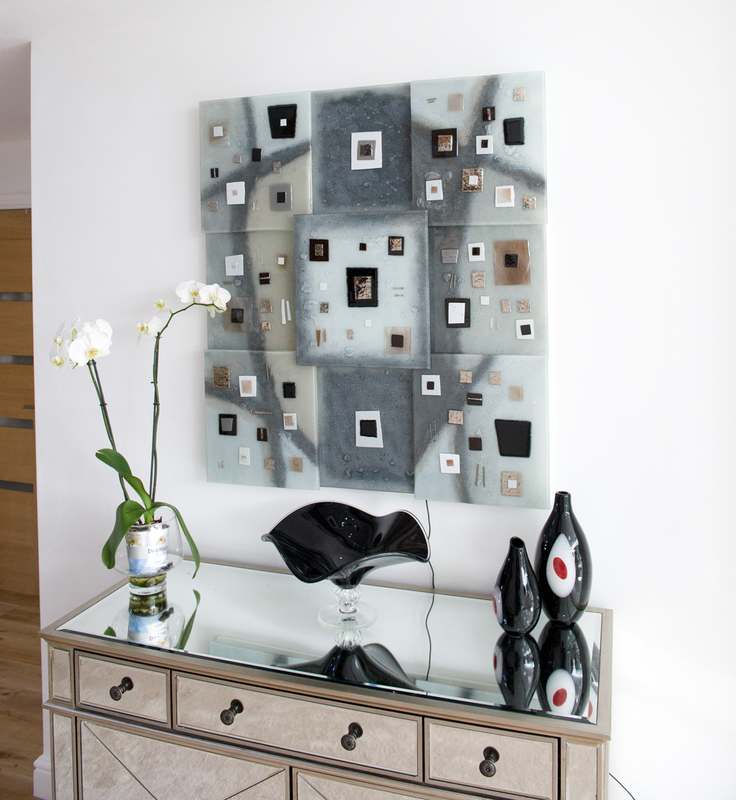 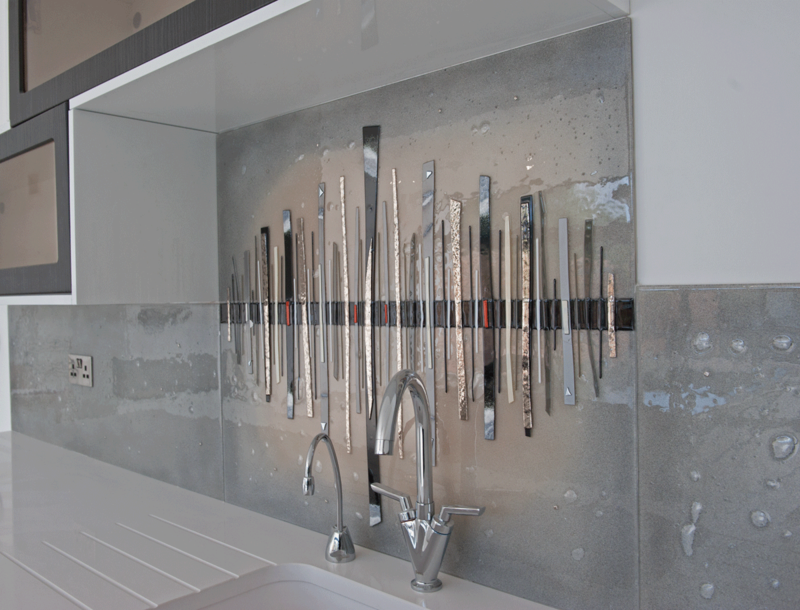 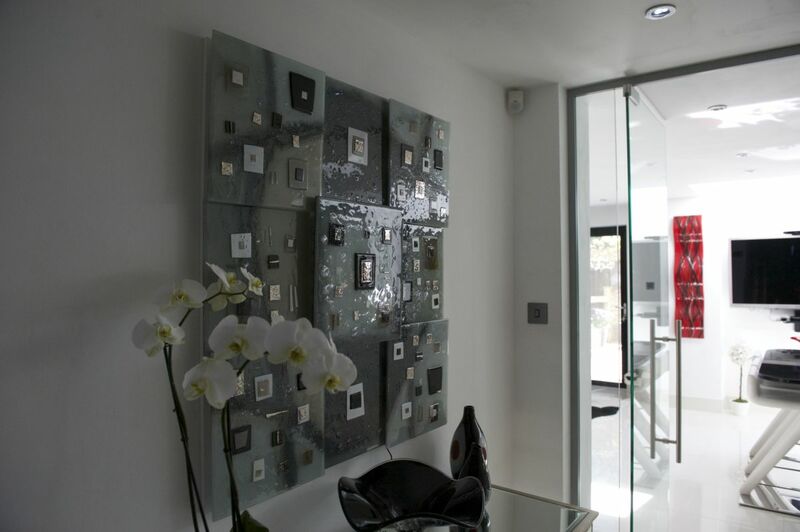 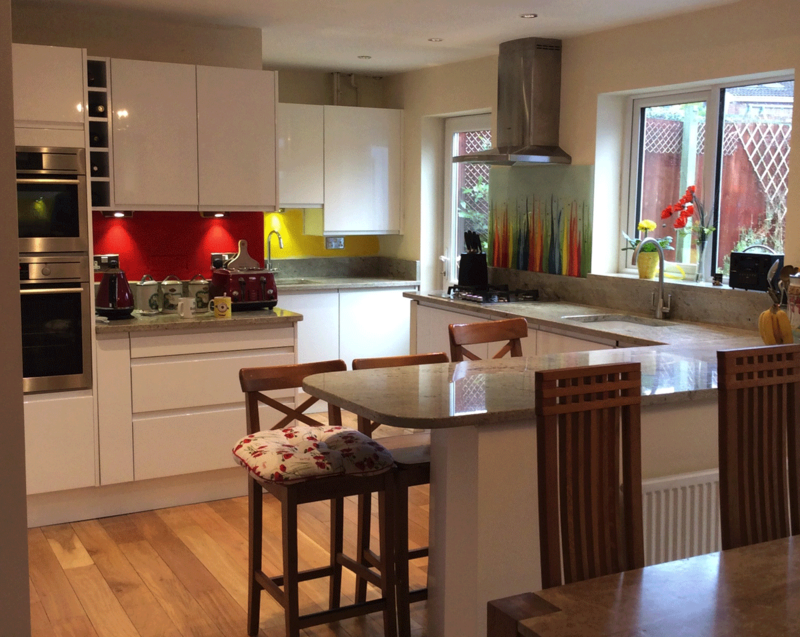 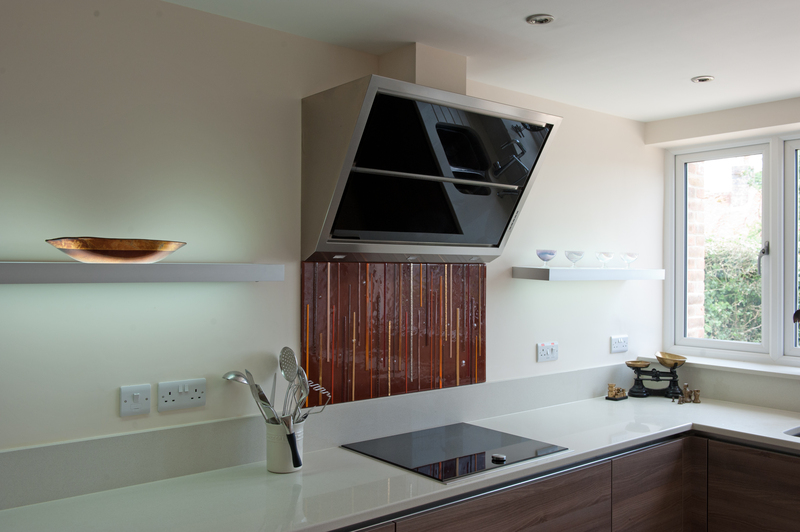 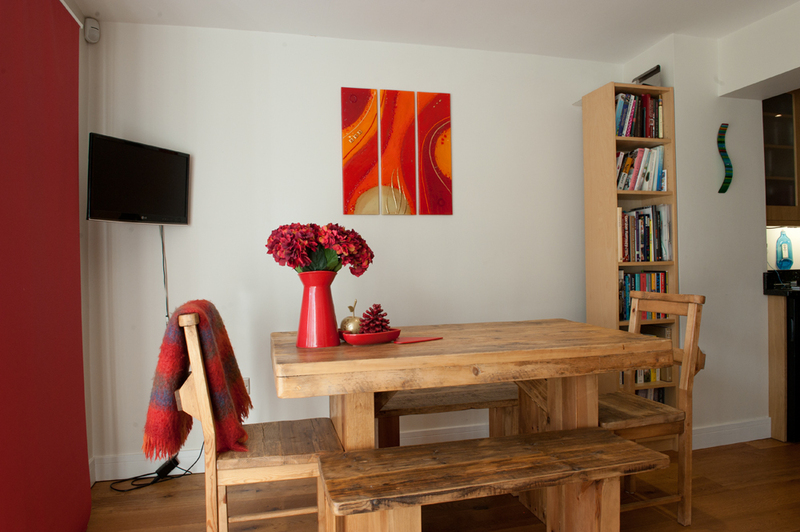 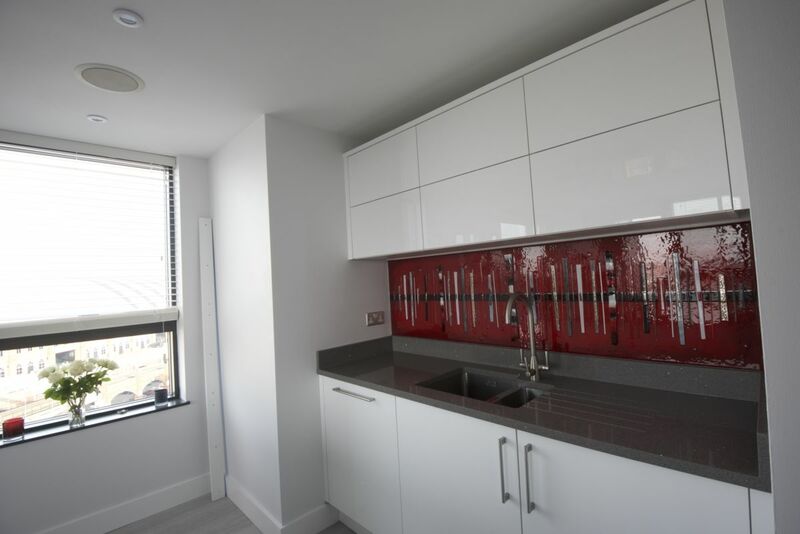 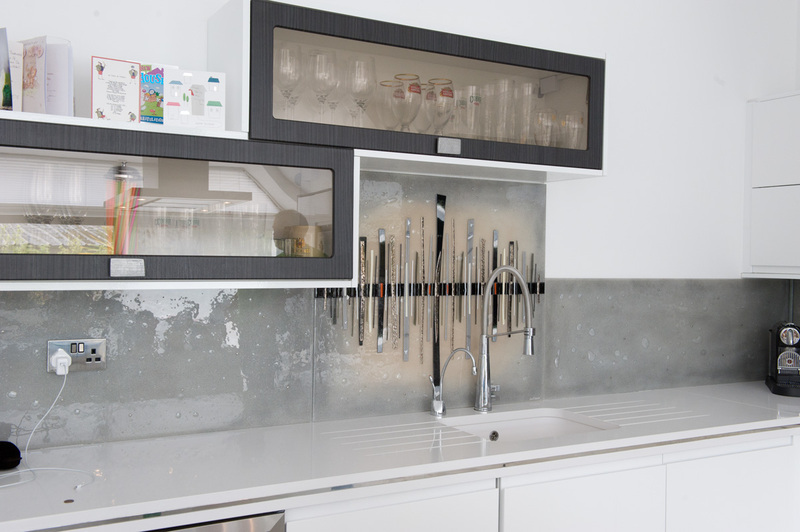 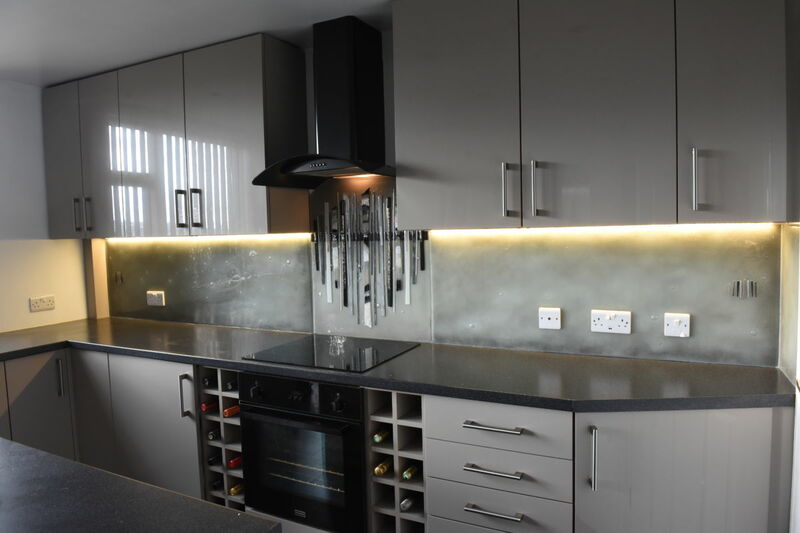 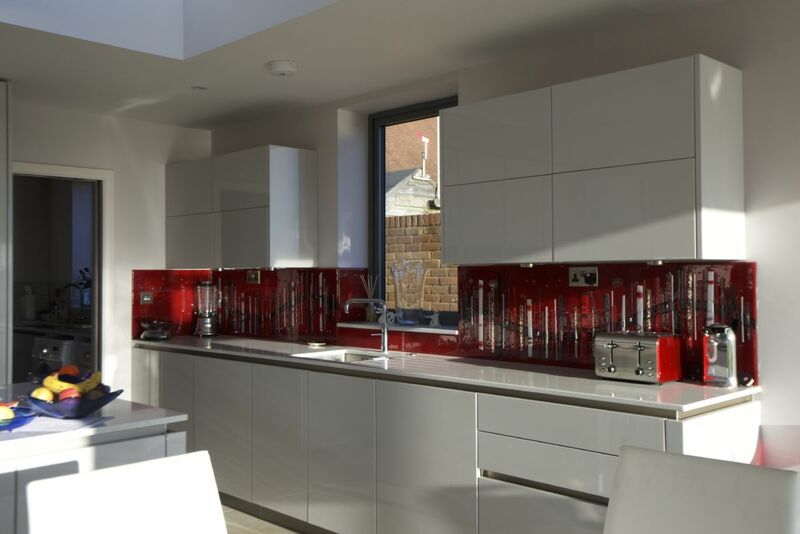 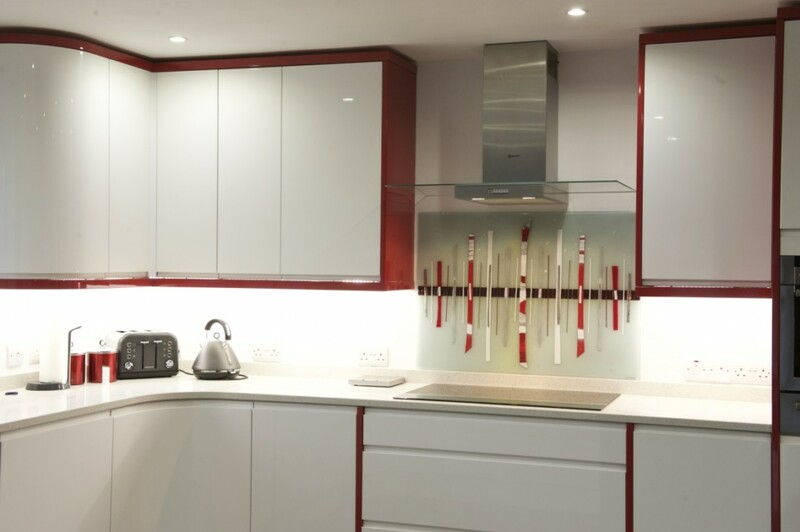 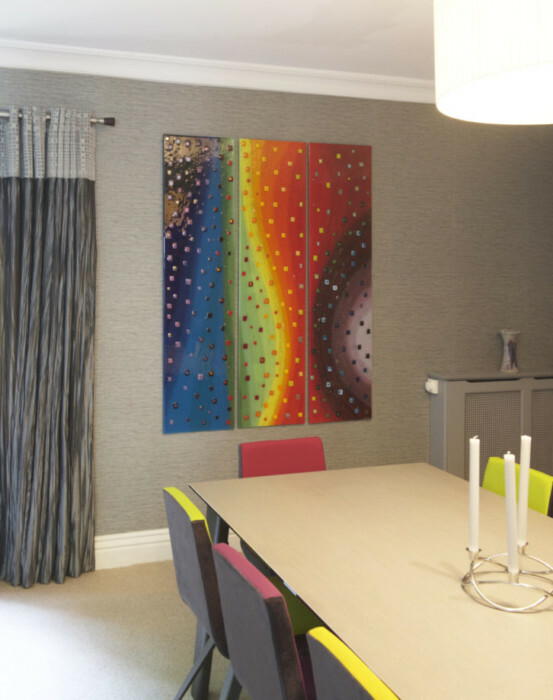 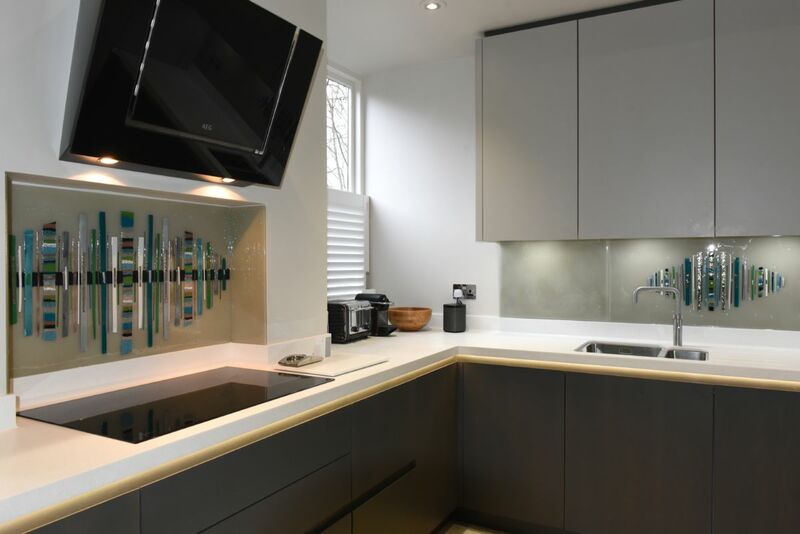 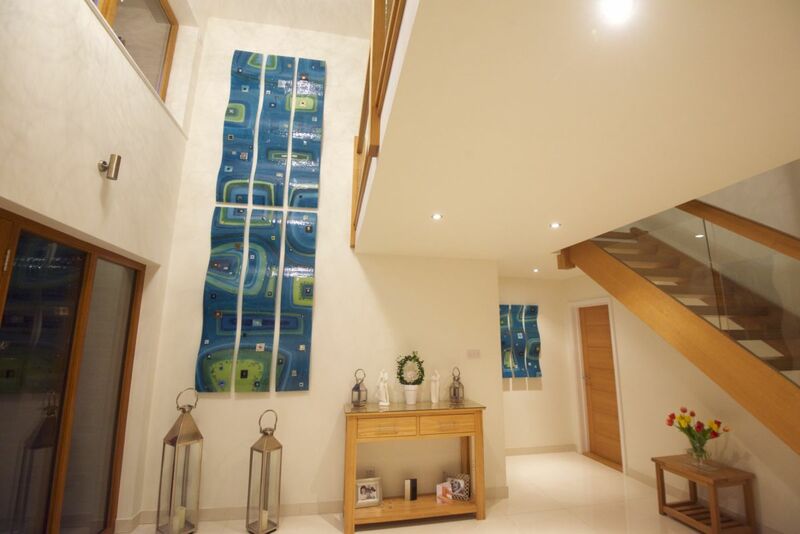 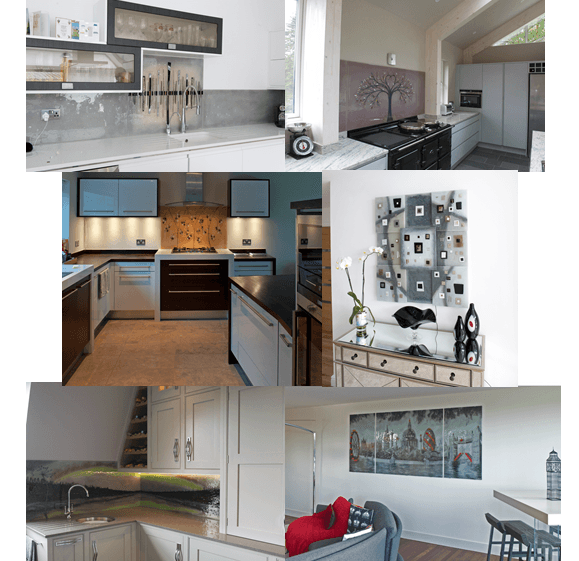 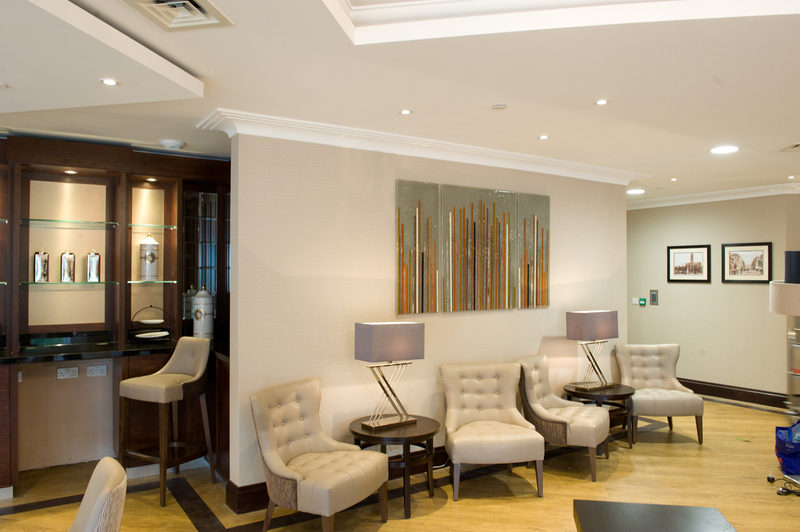 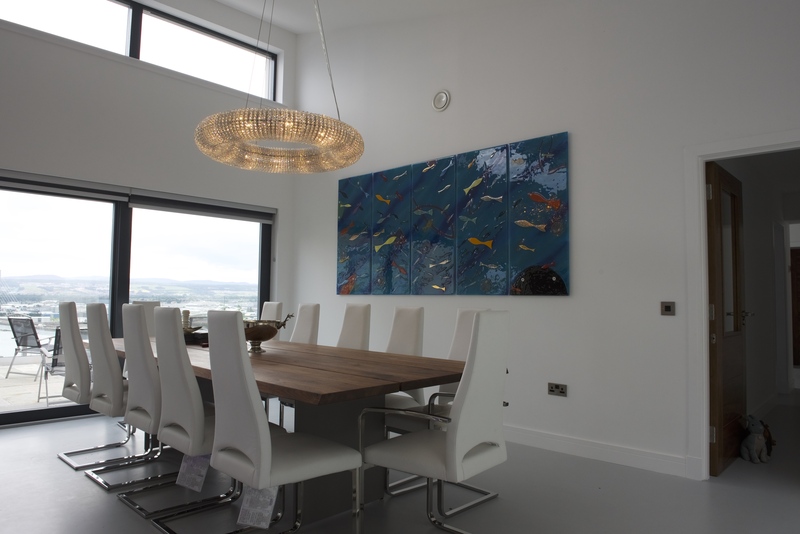 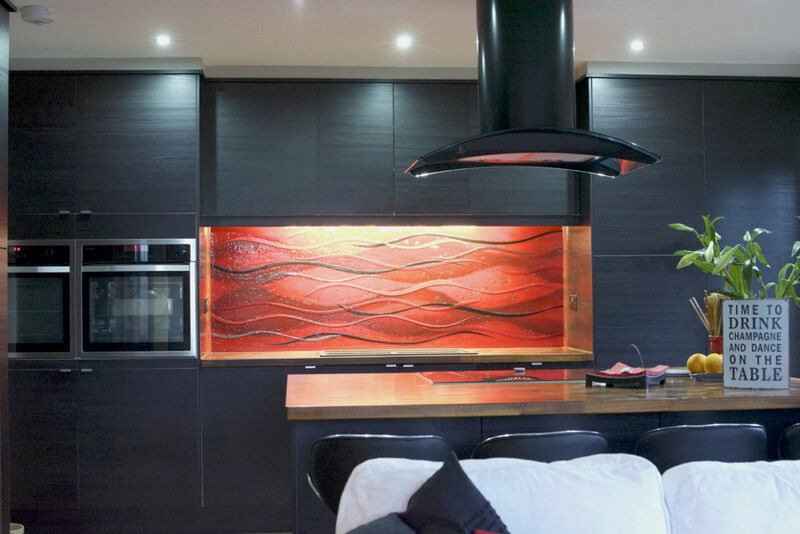 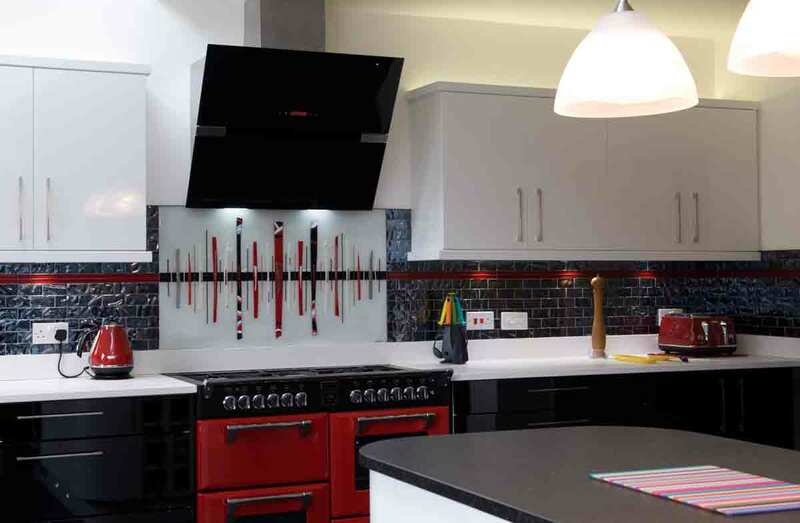 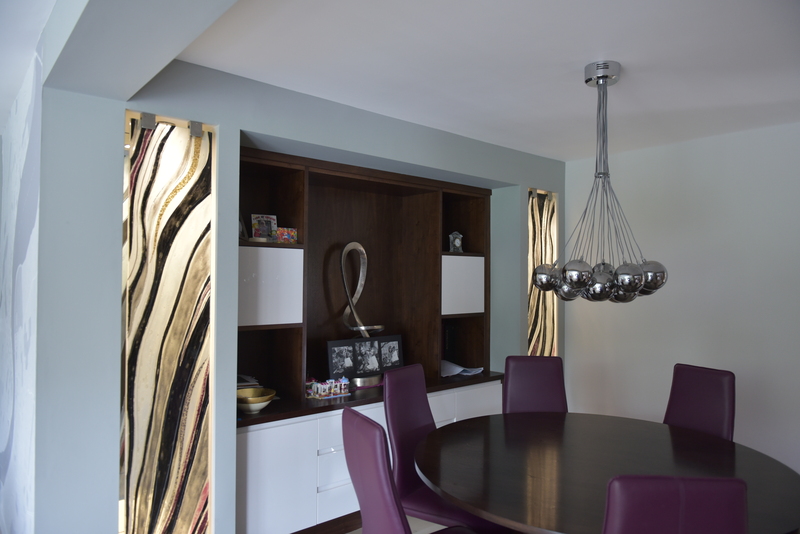 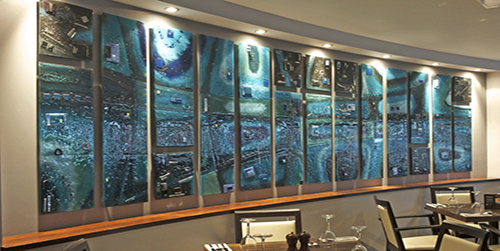 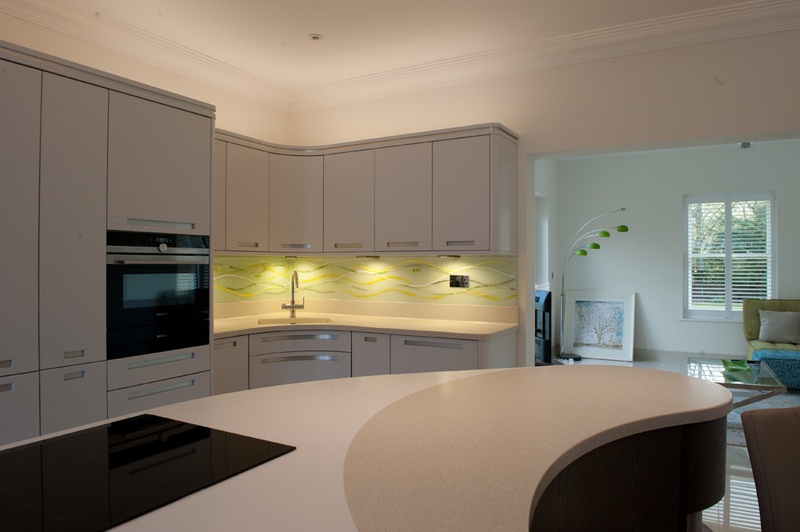 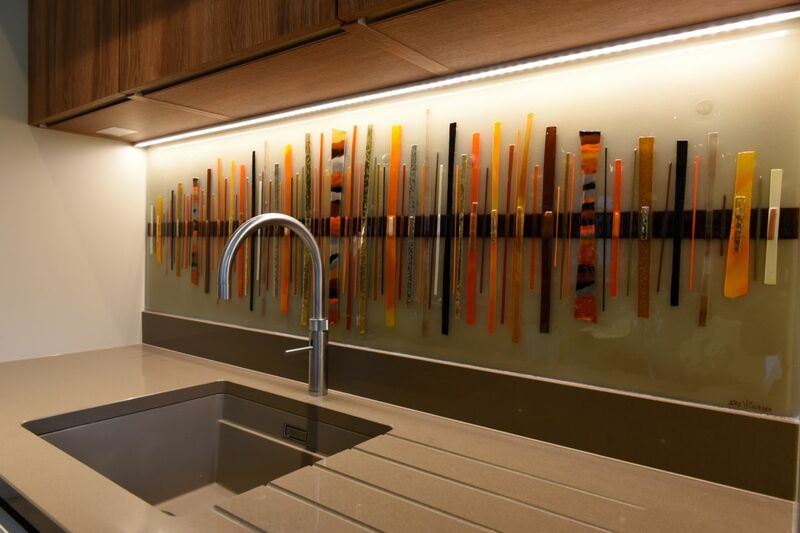 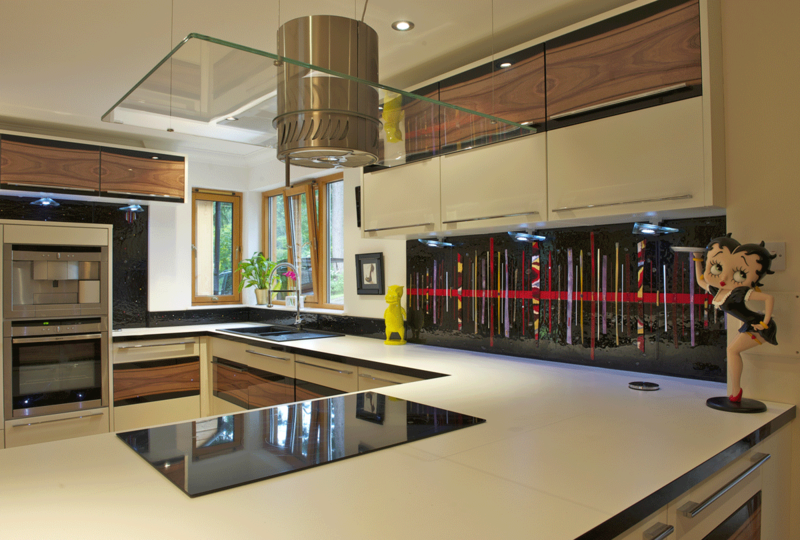 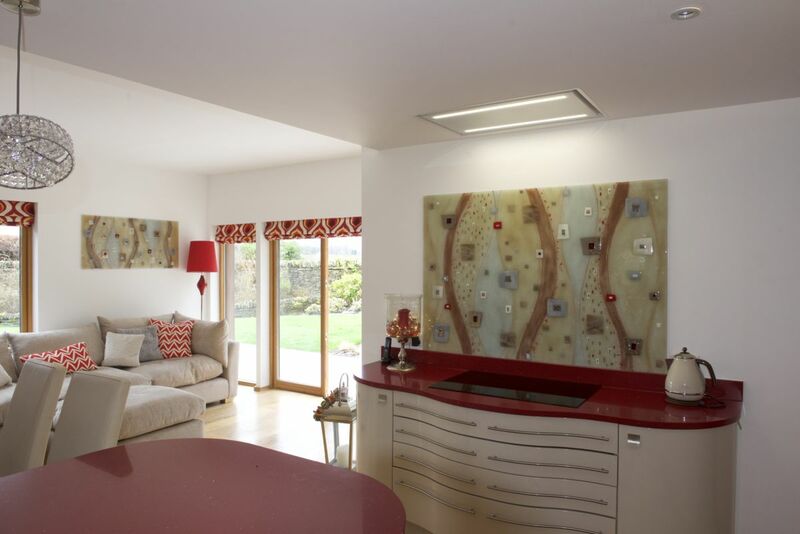 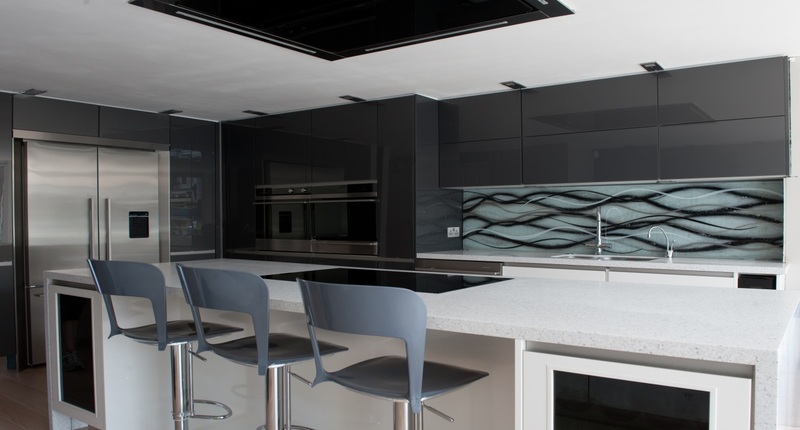 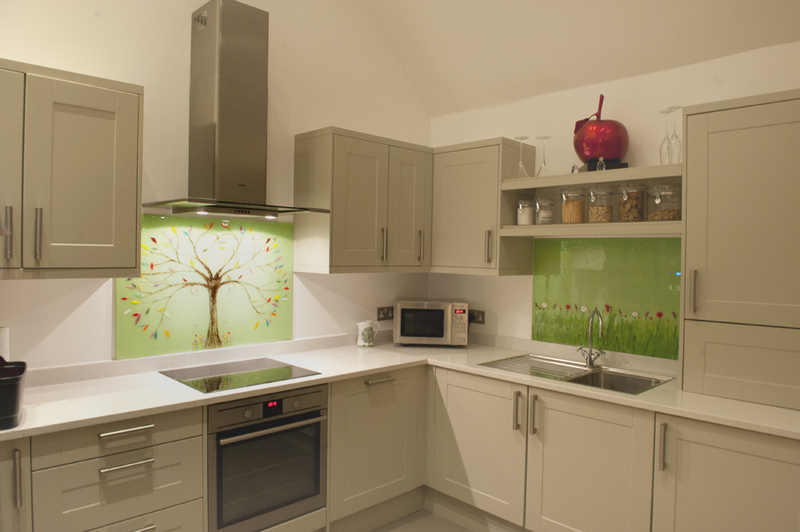 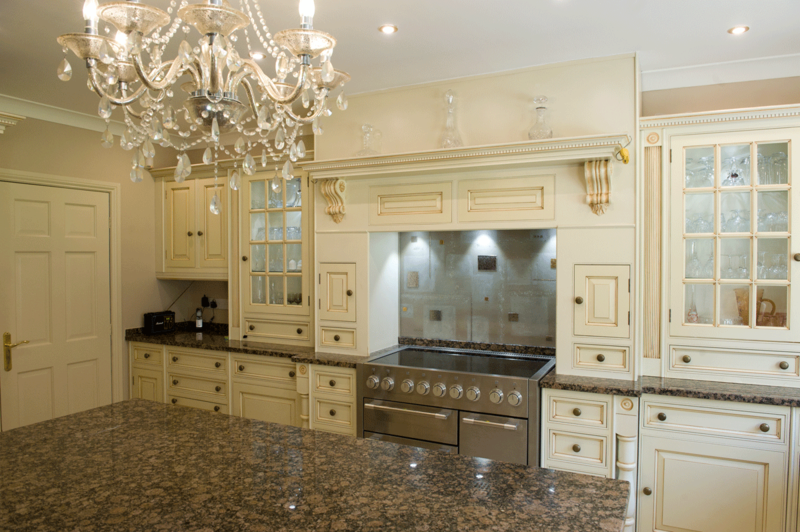 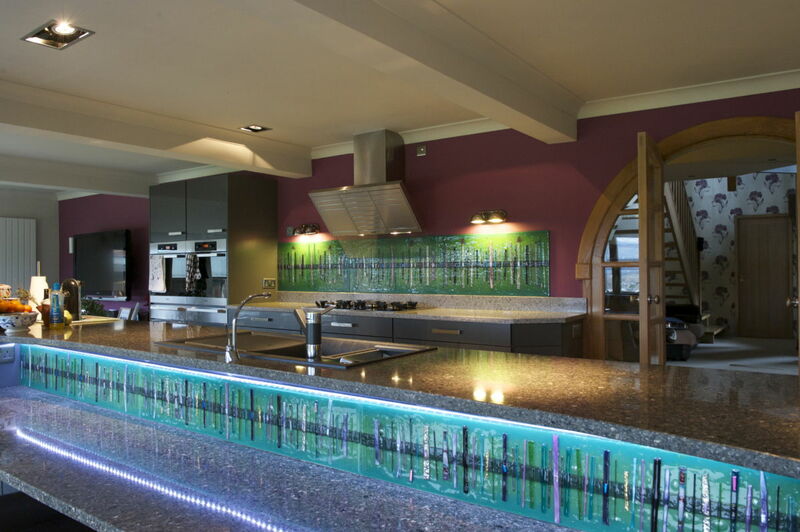 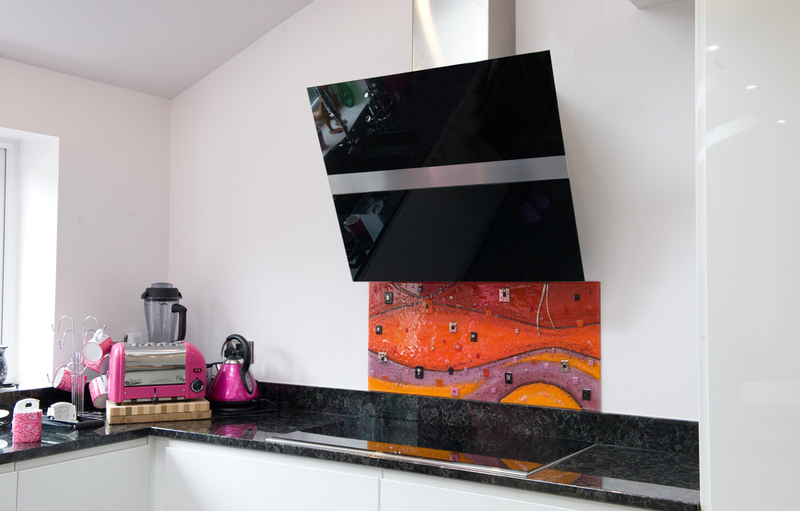 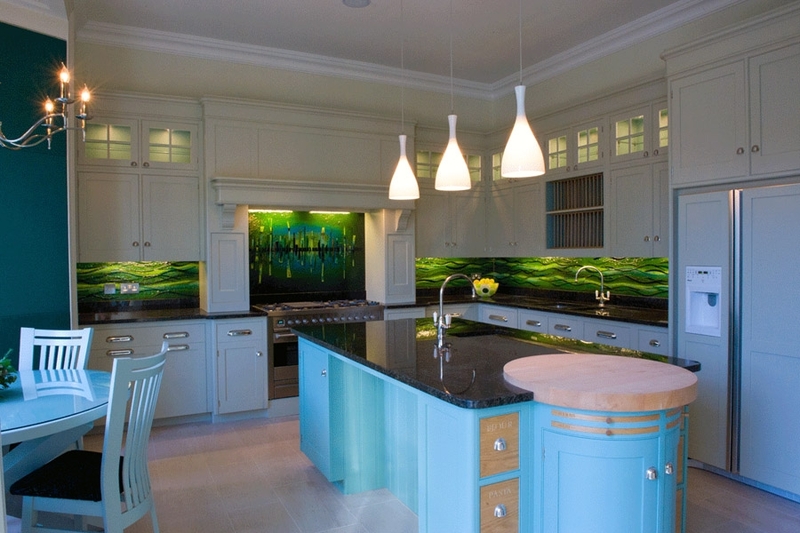 If you’re thinking of getting your own bespoke glass splashbacks, this should be a good read for you. 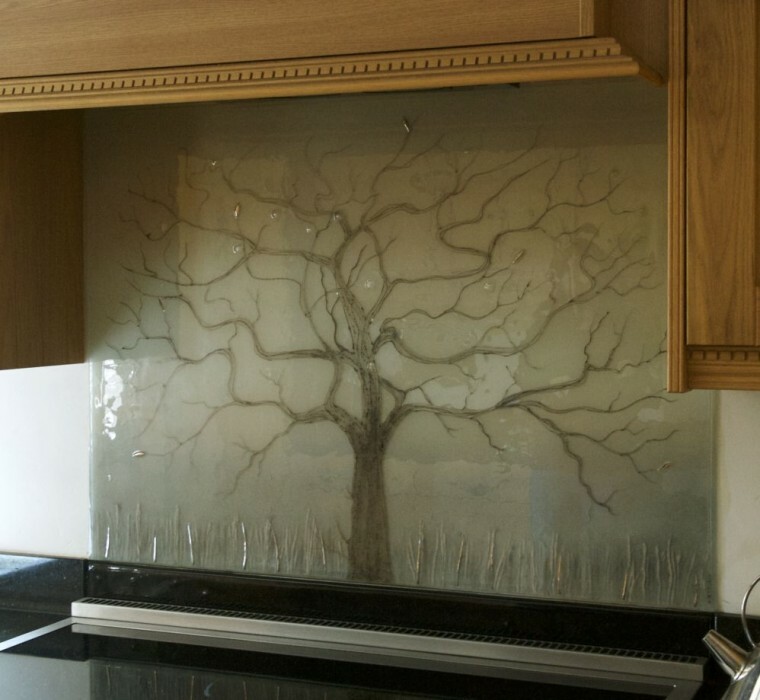 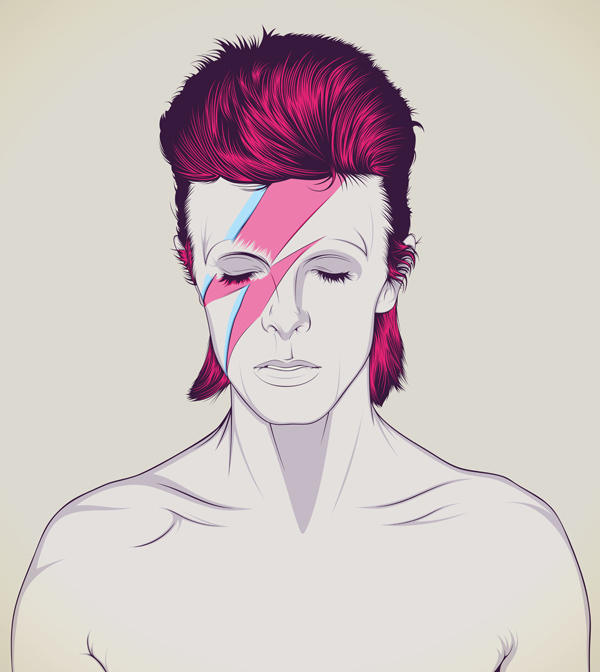 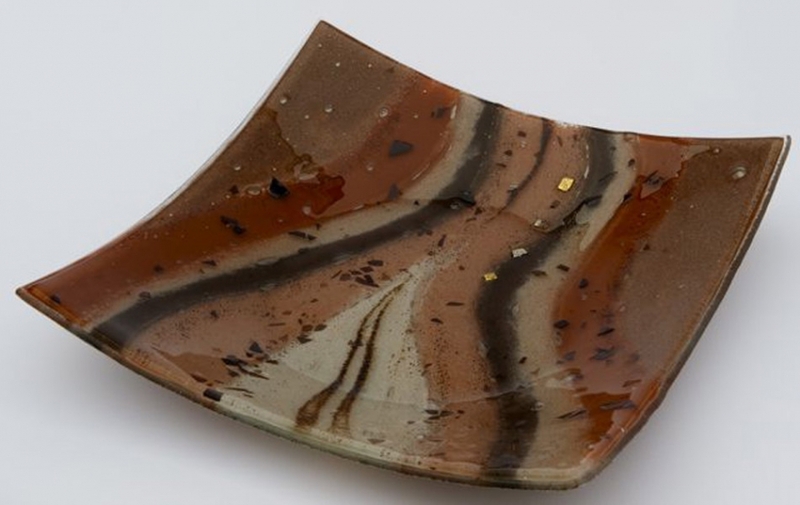 We can’t not talk about the beautiful design on this piece, however. 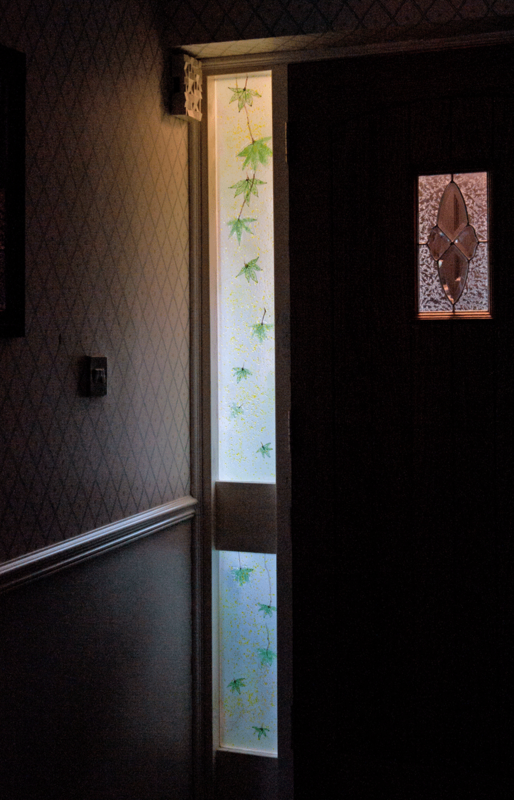 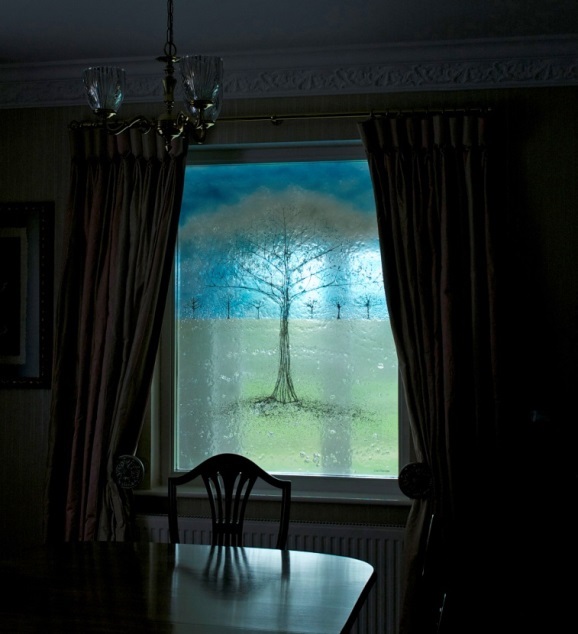 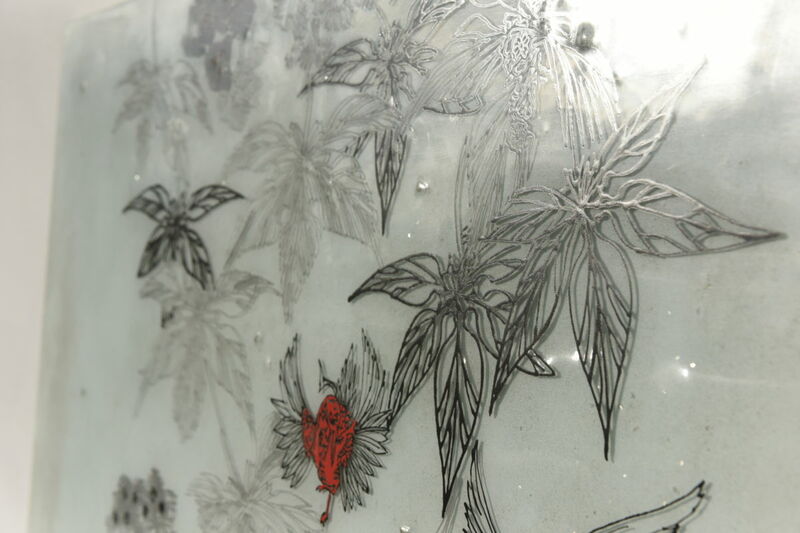 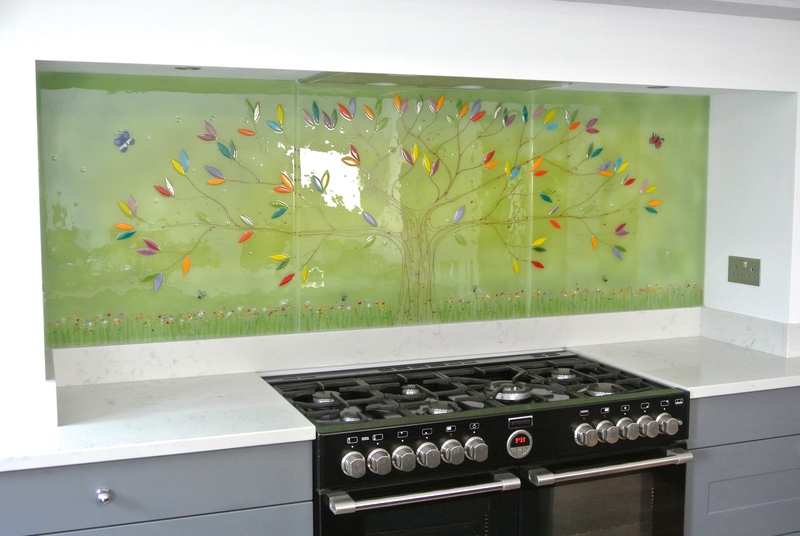 The long branches stretch out across the panel, touching the edges of the glass with delicate leaves. 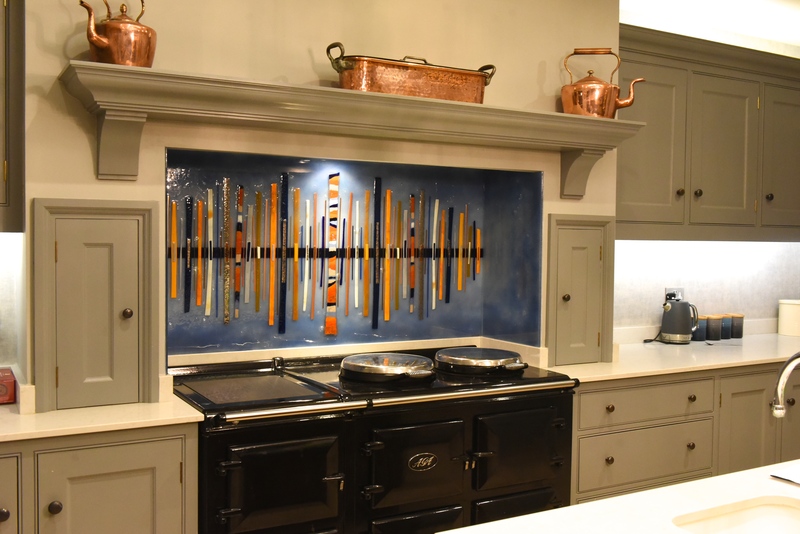 Small matching motifs sit on either side, completing the look of the piece and creating a strong theme which extend to the entire kitchen as a whole. 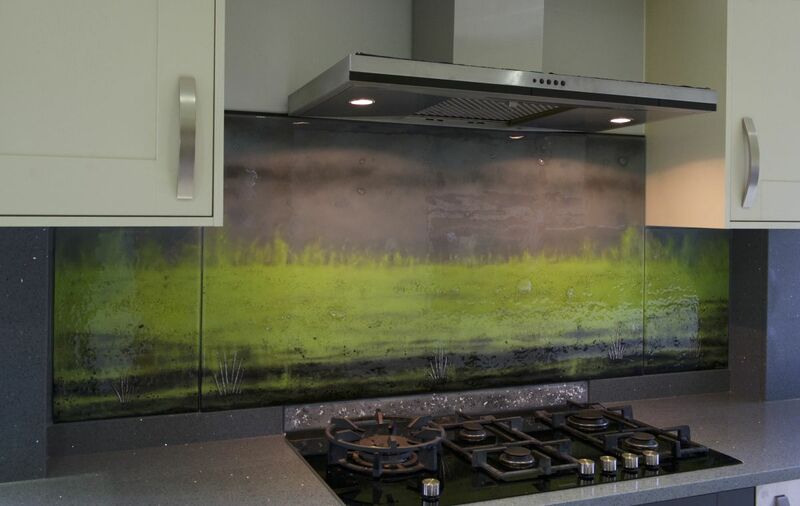 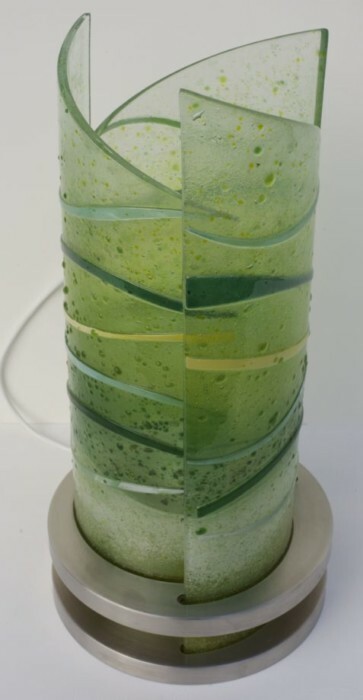 A line of lush grass fills the bottom, sitting just above the counter on a gorgeous green gradient background. 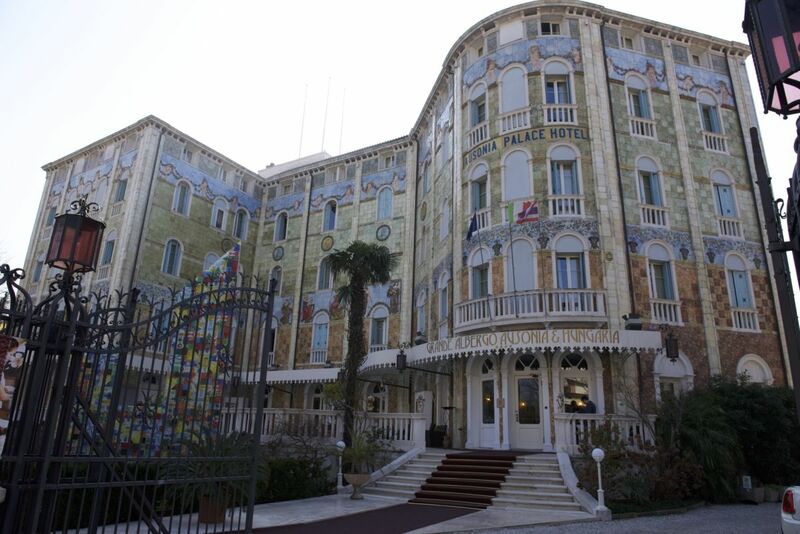 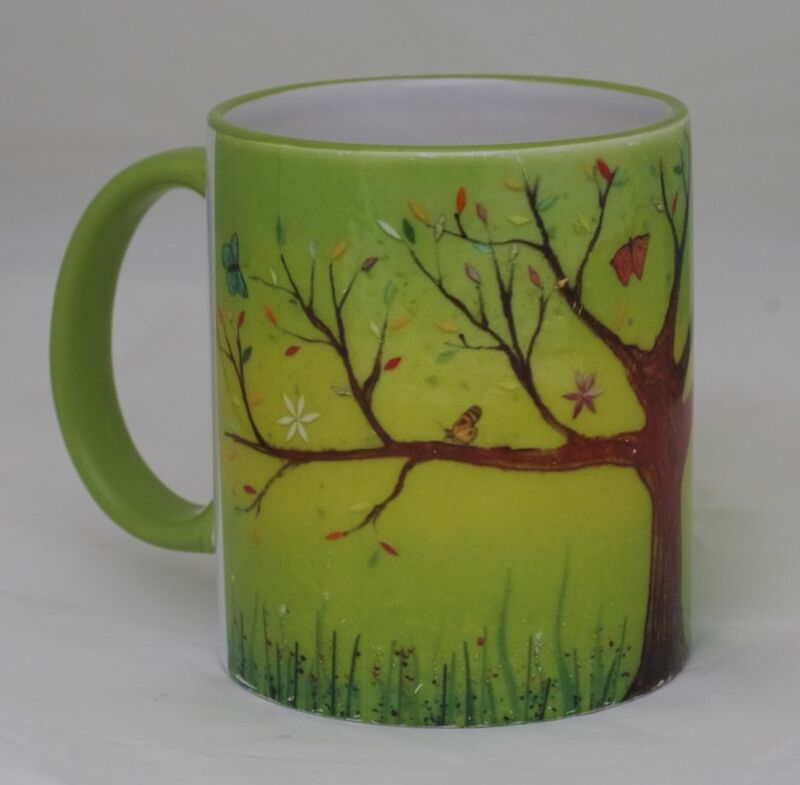 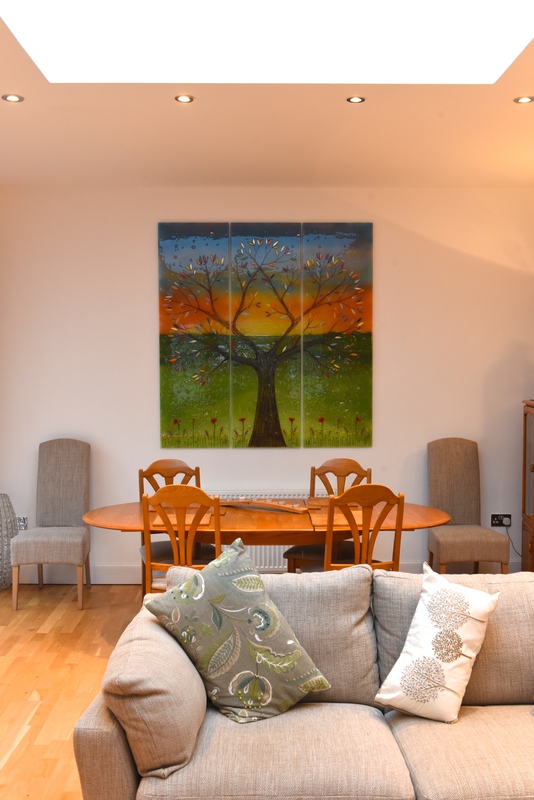 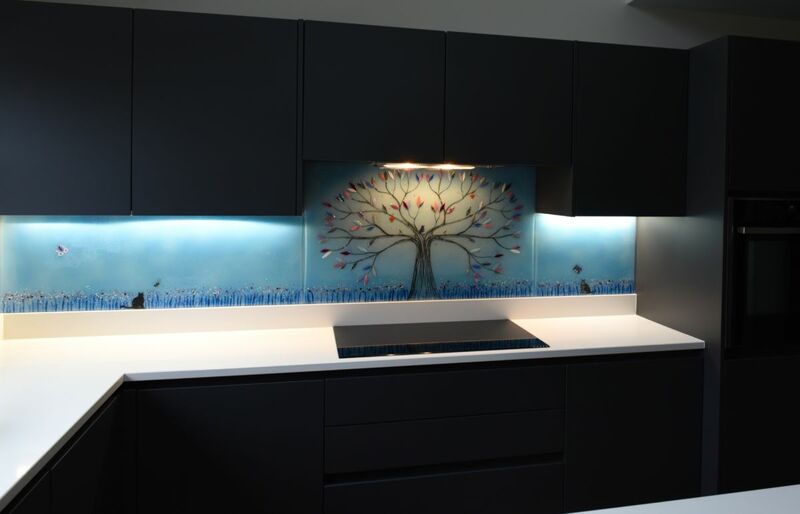 You should easily be able to see the dark trunk, brought to life by skilful artwork, which helps the colourful leaves to pop and stand out even more. 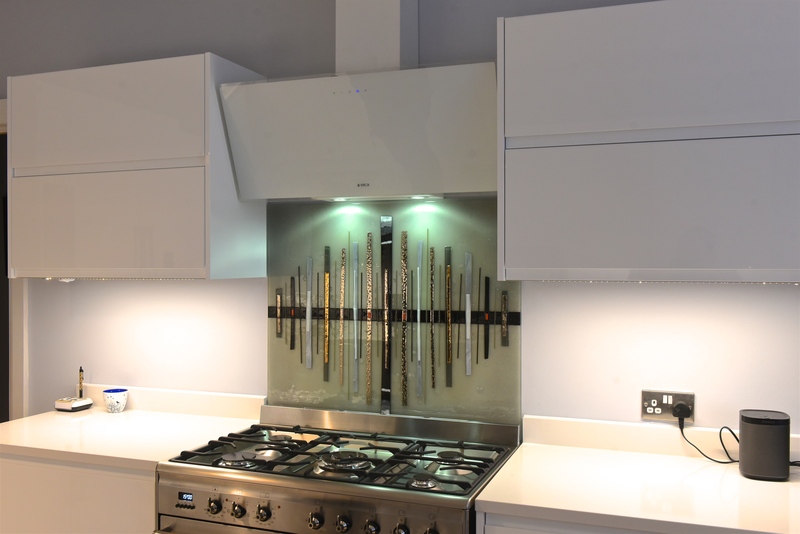 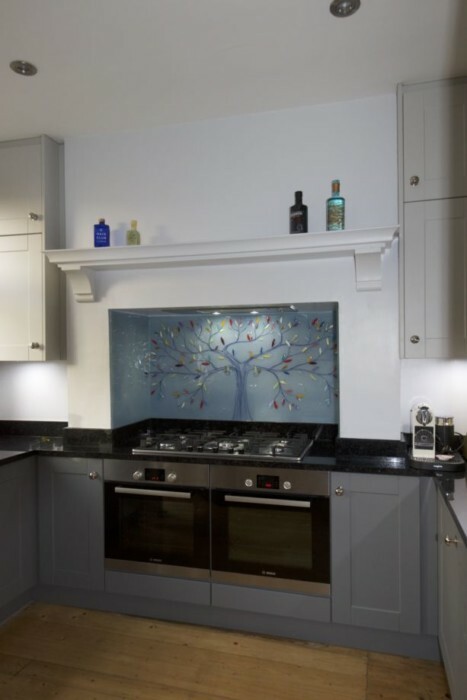 When you then factor in the lighting from the extractor fans and the framing of the cabinets around the piece itself, this is one of our most inviting bespoke glass splashbacks to date. 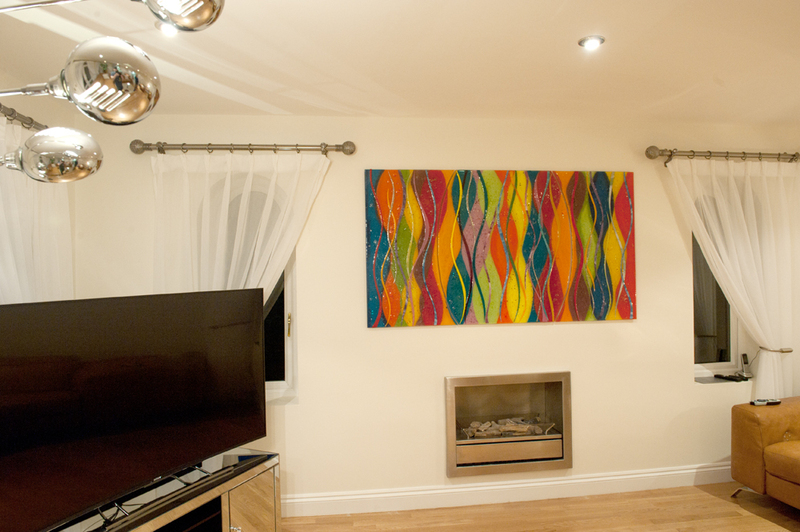 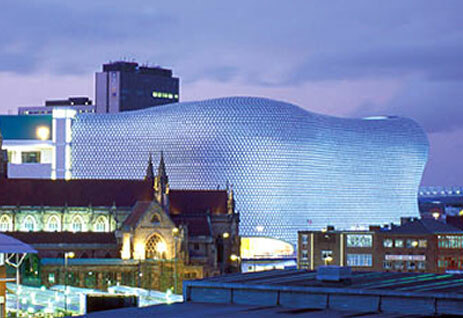 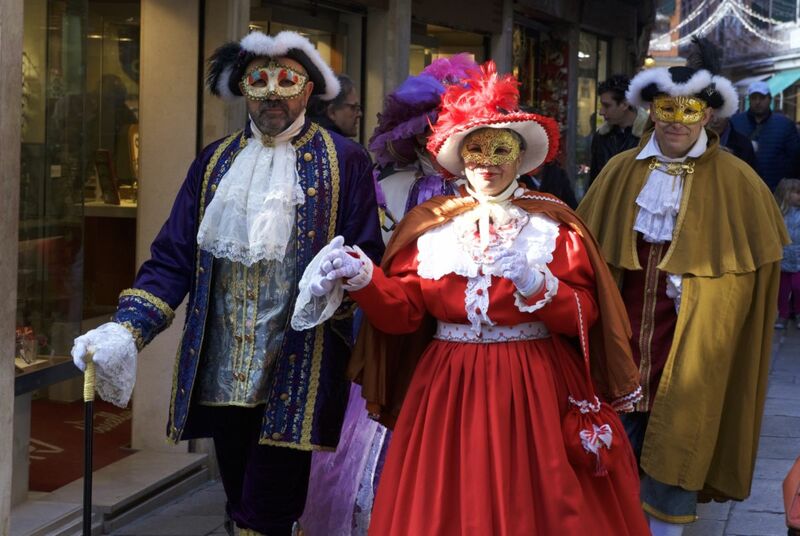 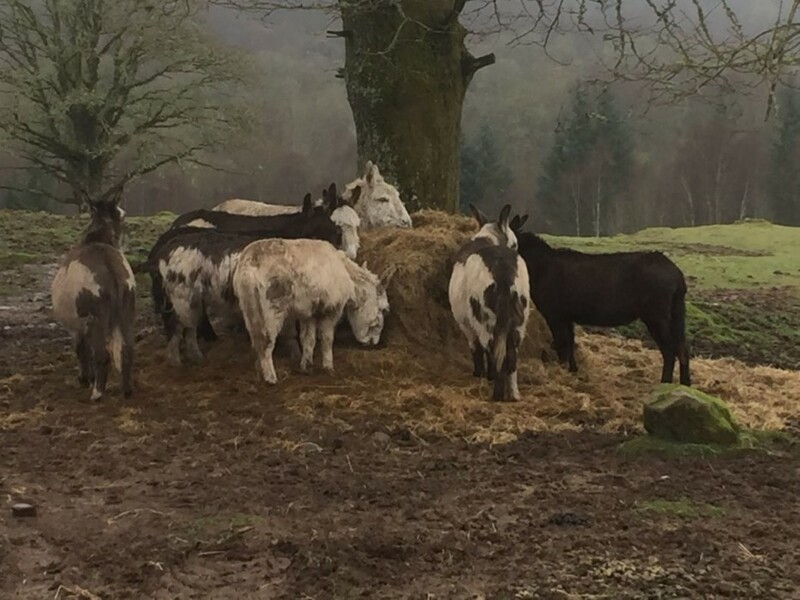 It’s definitely going to be turning heads and attracting all the right kinds of attention! 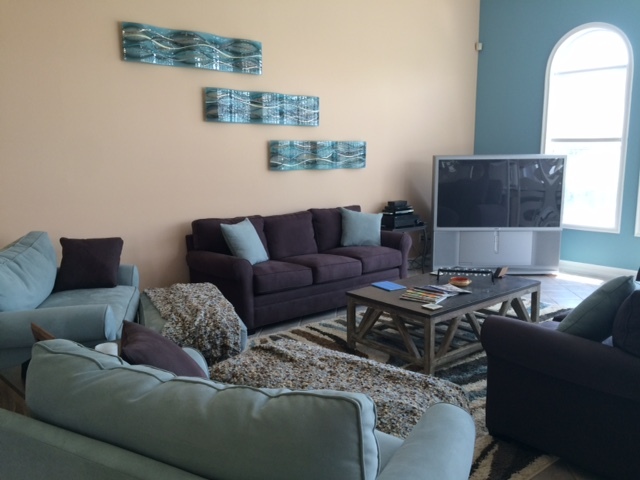 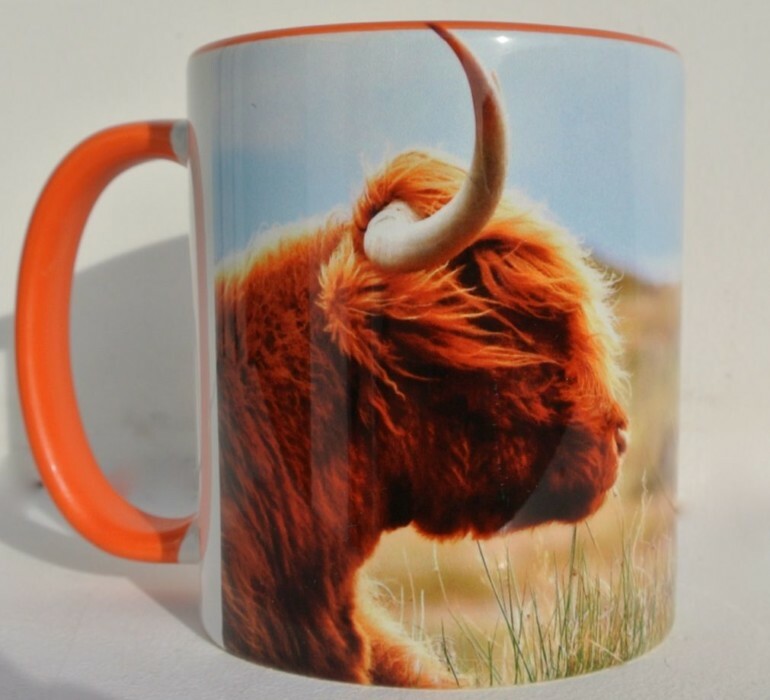 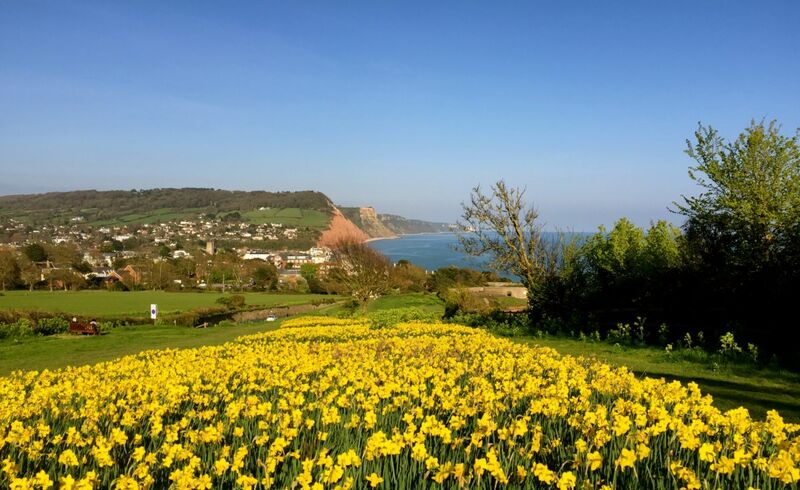 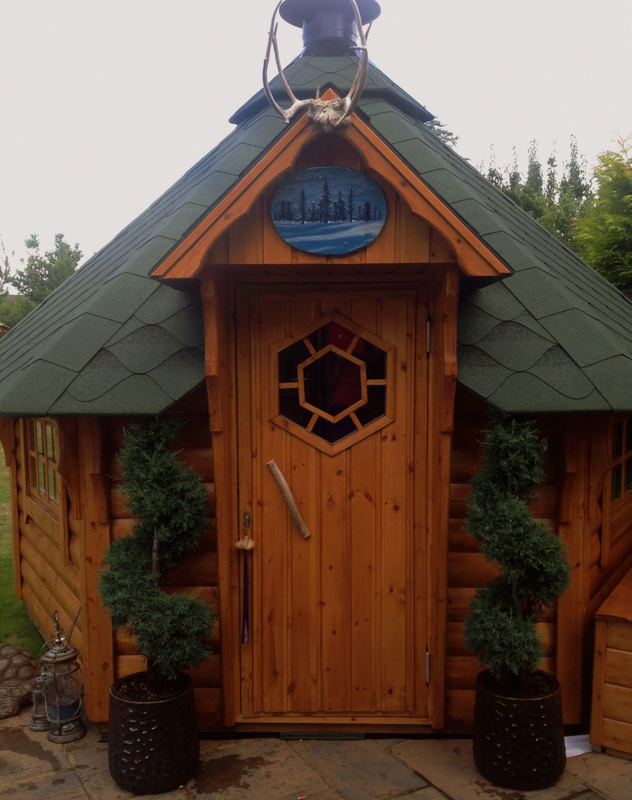 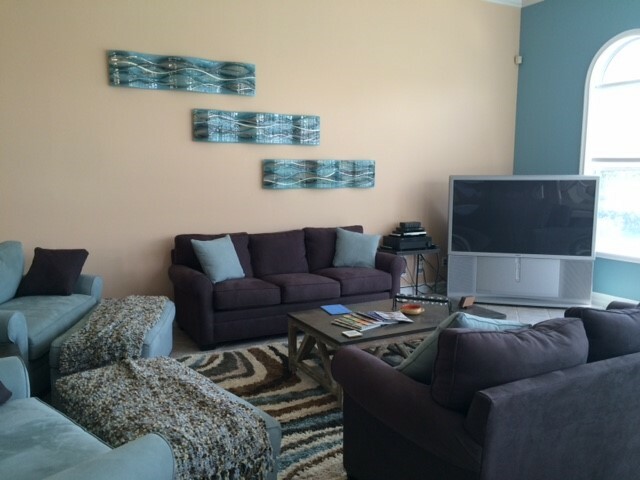 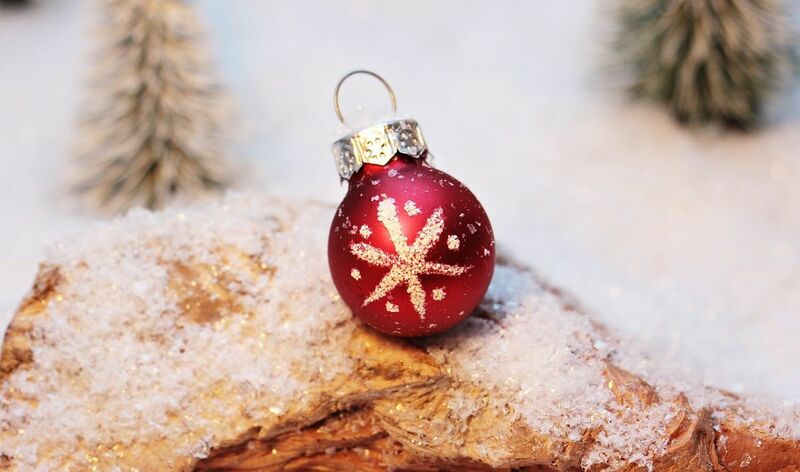 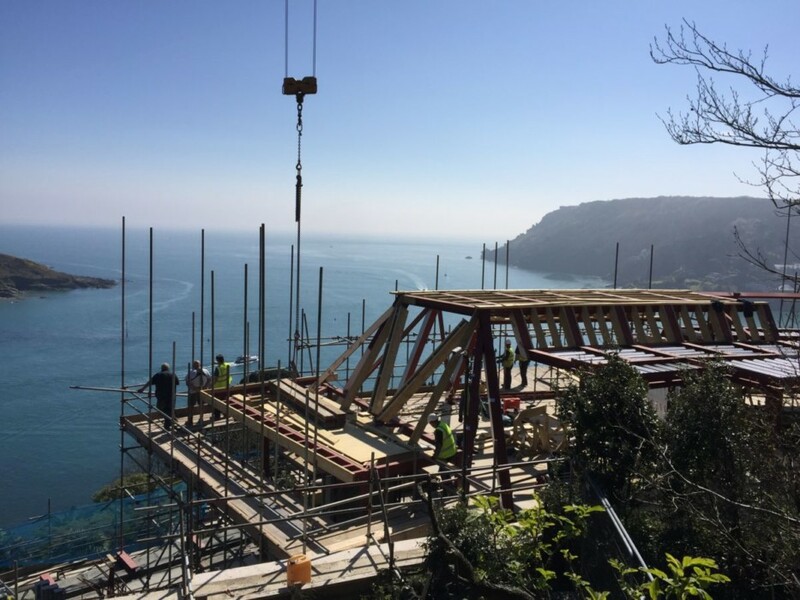 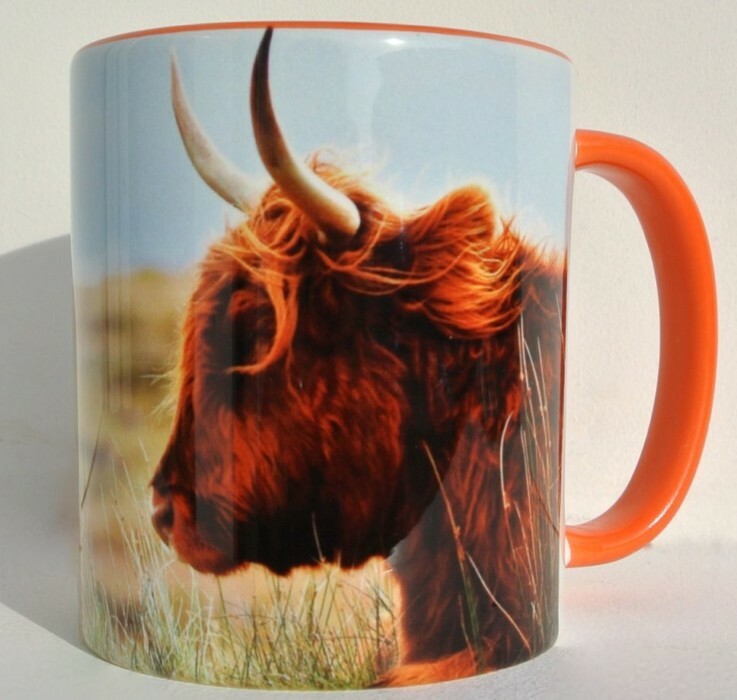 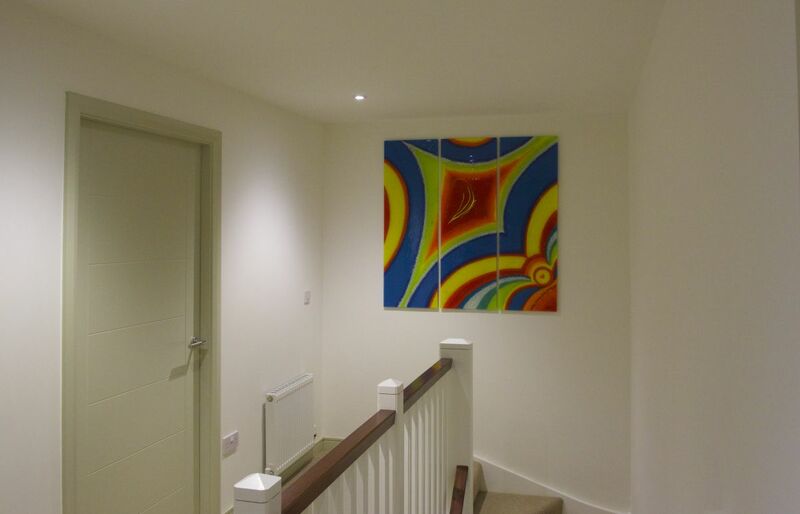 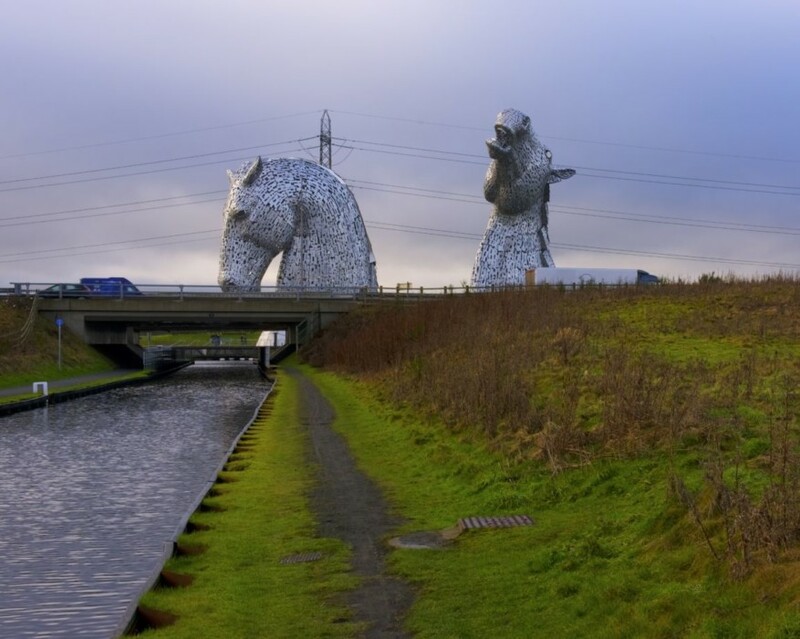 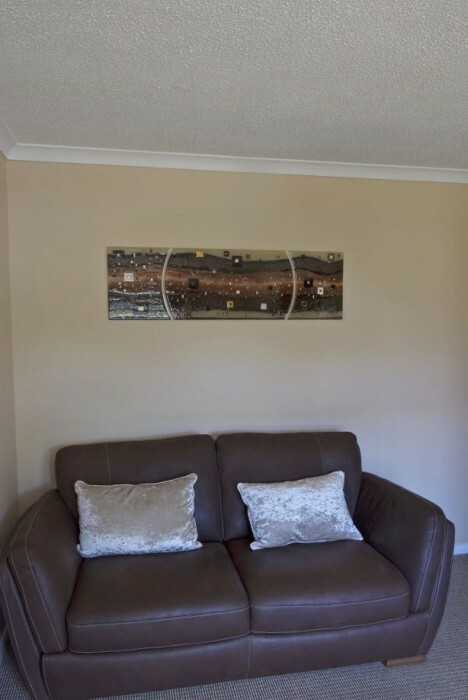 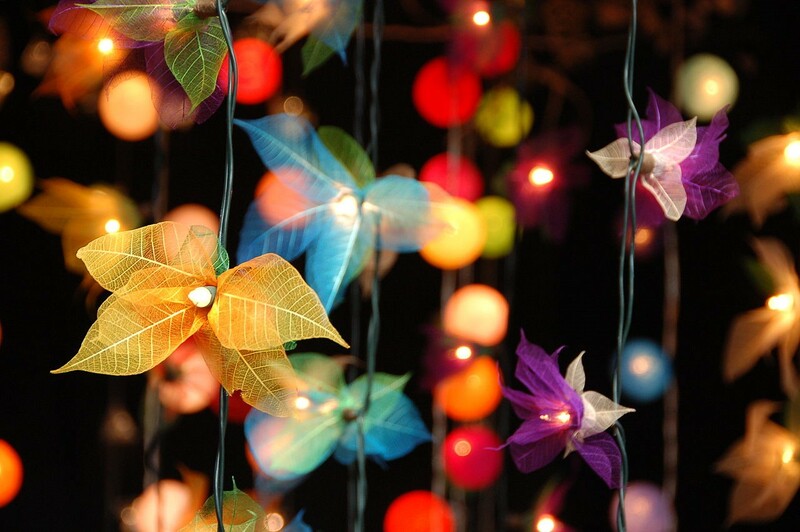 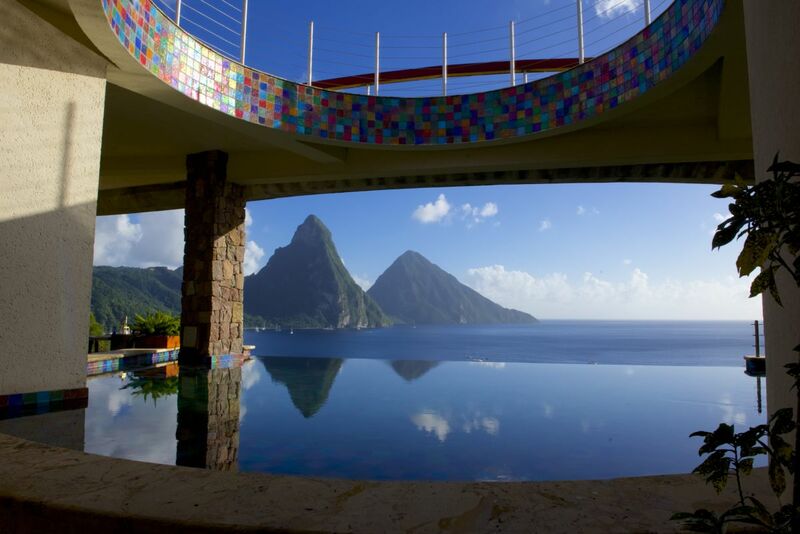 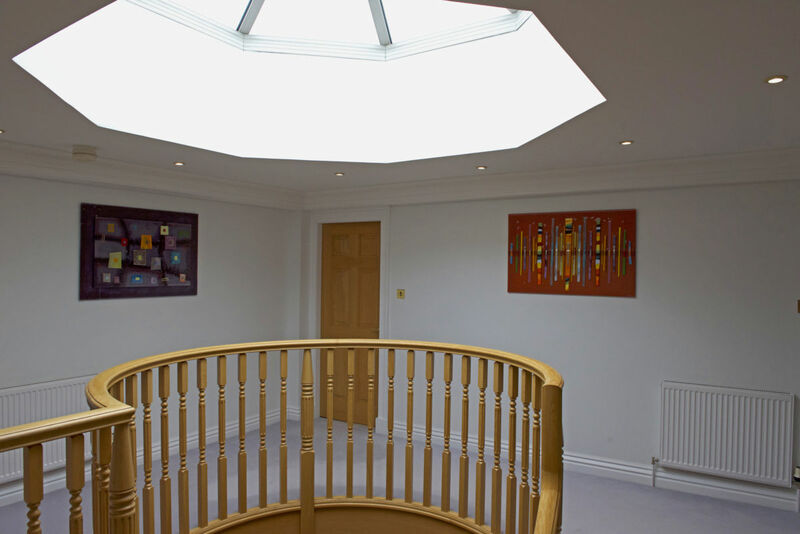 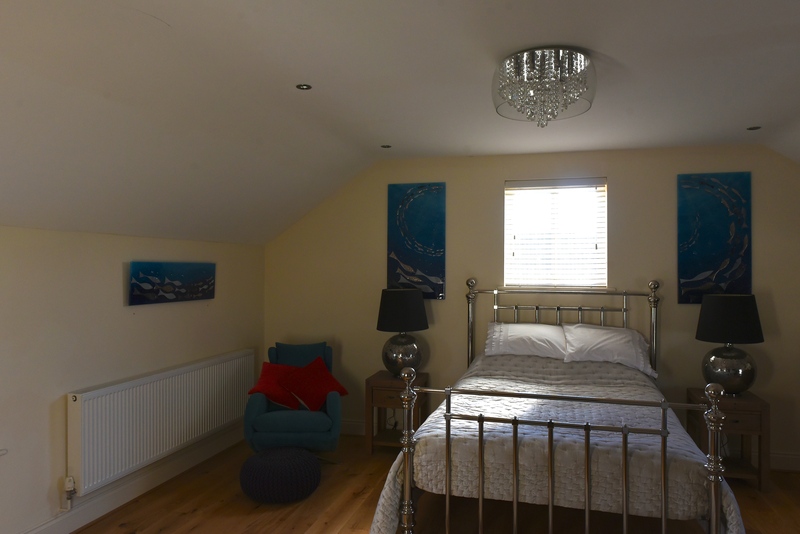 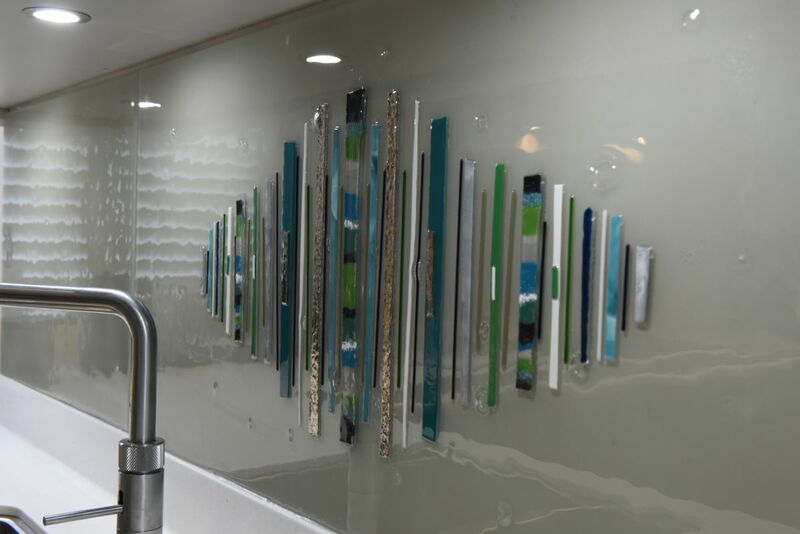 If you want something similar for your home, or something that’s simply guaranteed to stun friends and family every time they see it, then what’s keeping you? 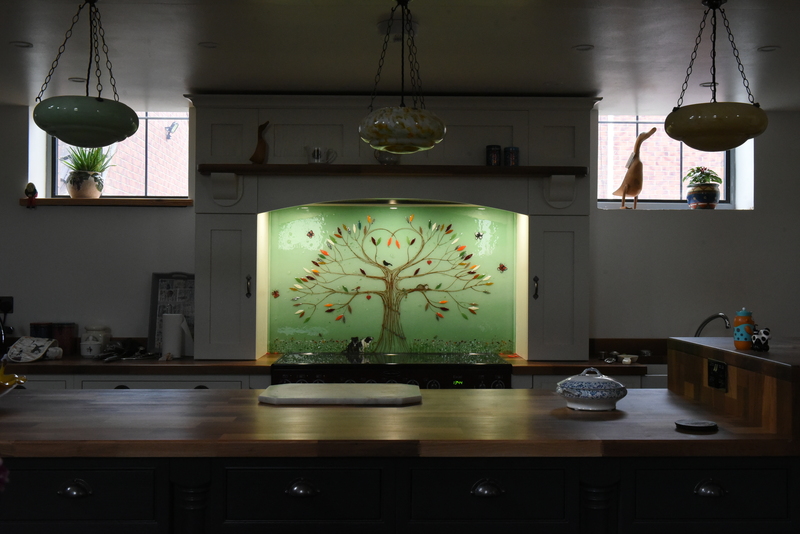 Whether you’re interested in getting your hands on a gorgeous Tree of Life, or you have your eyes on something completely different, make sure you don’t wait to get in contact as soon as you can. 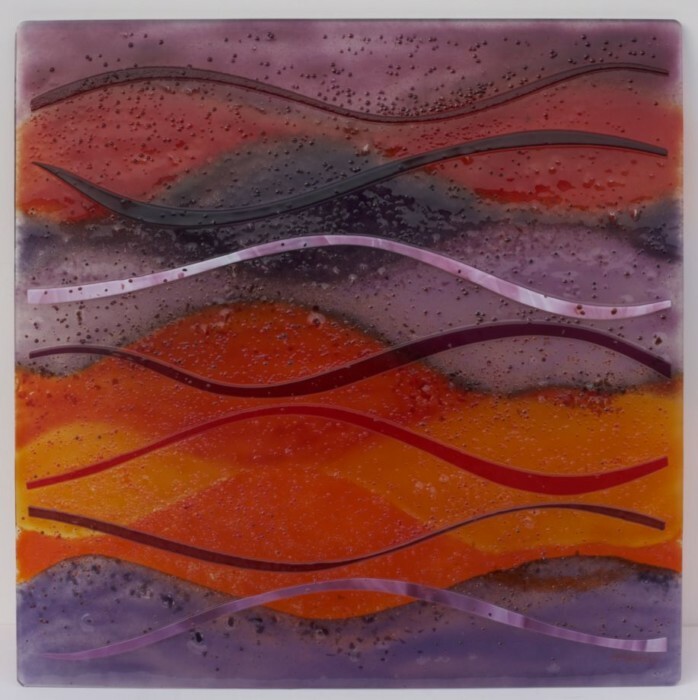 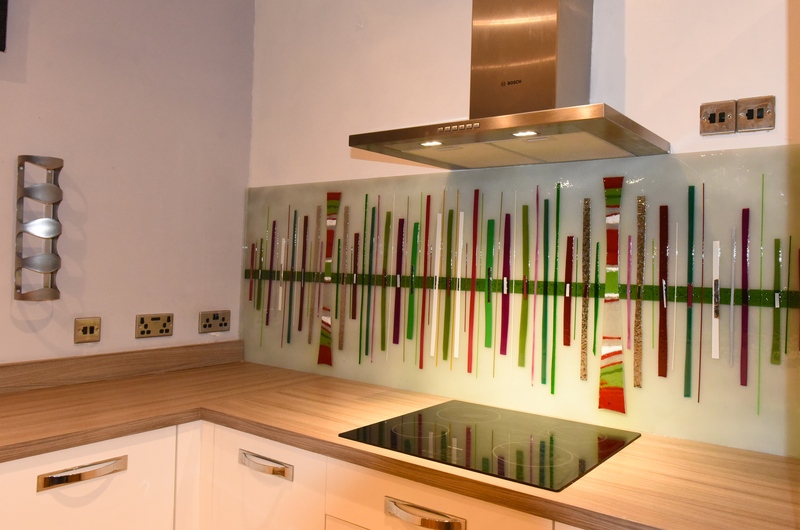 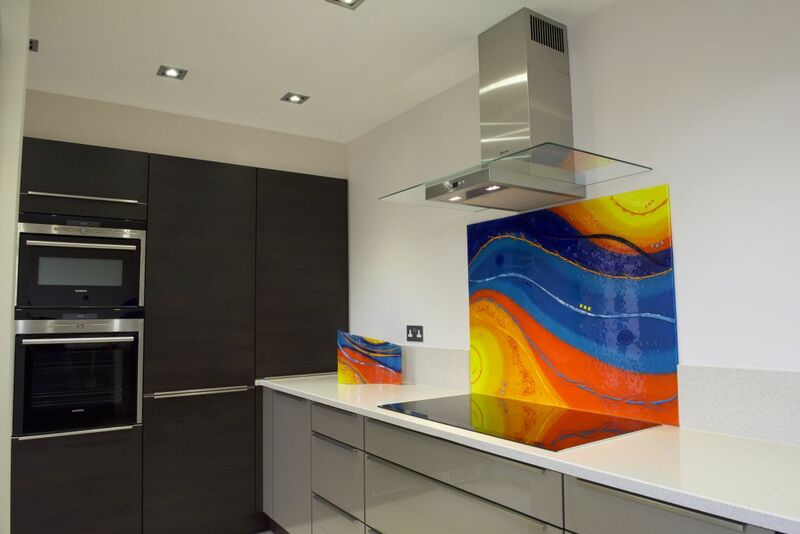 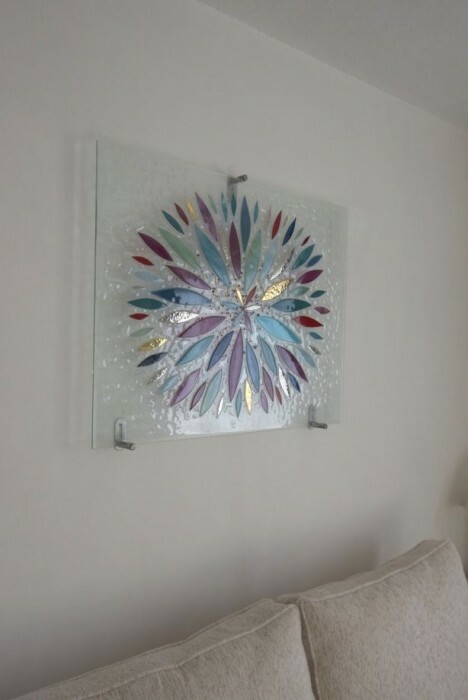 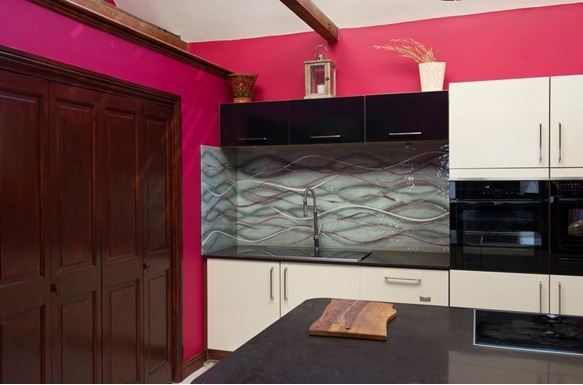 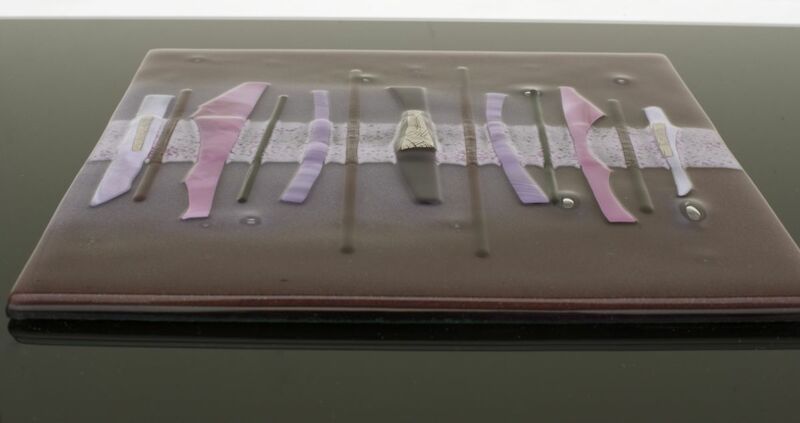 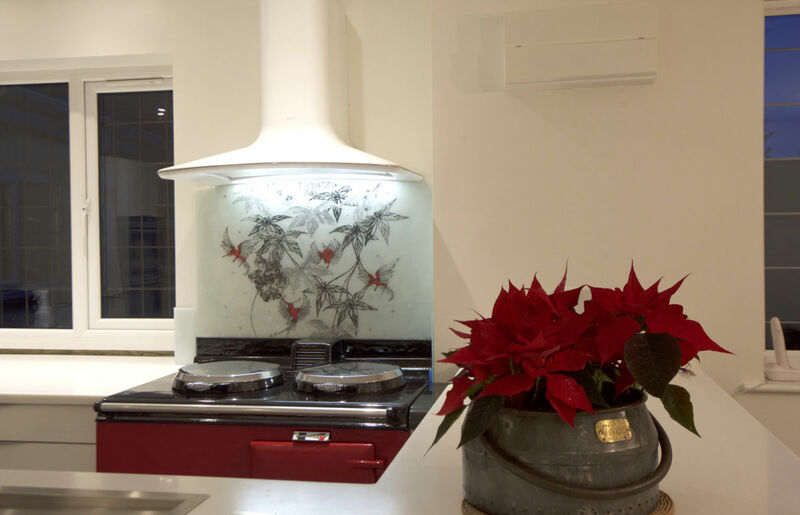 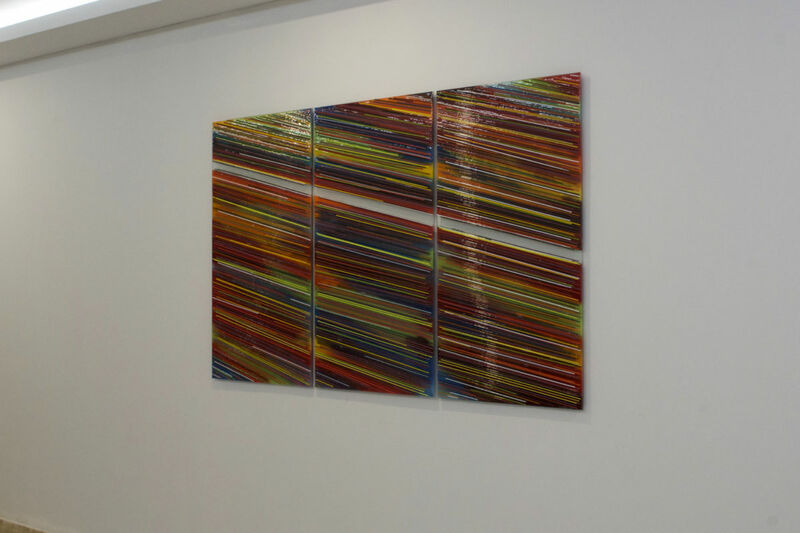 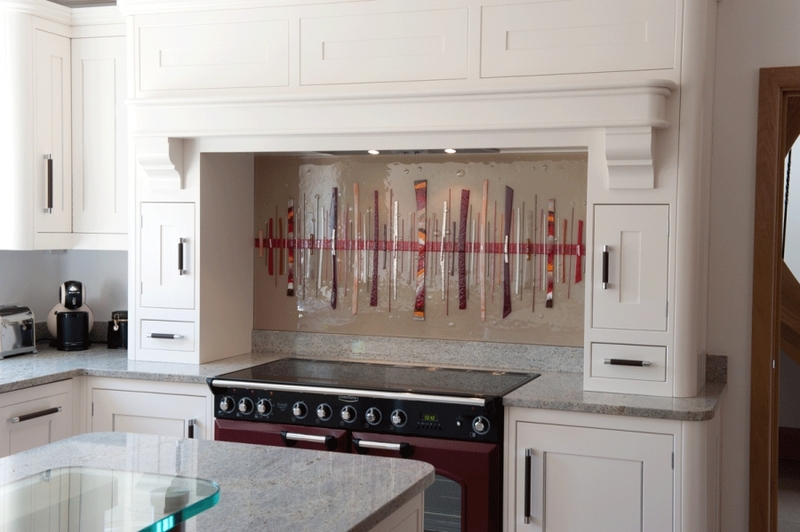 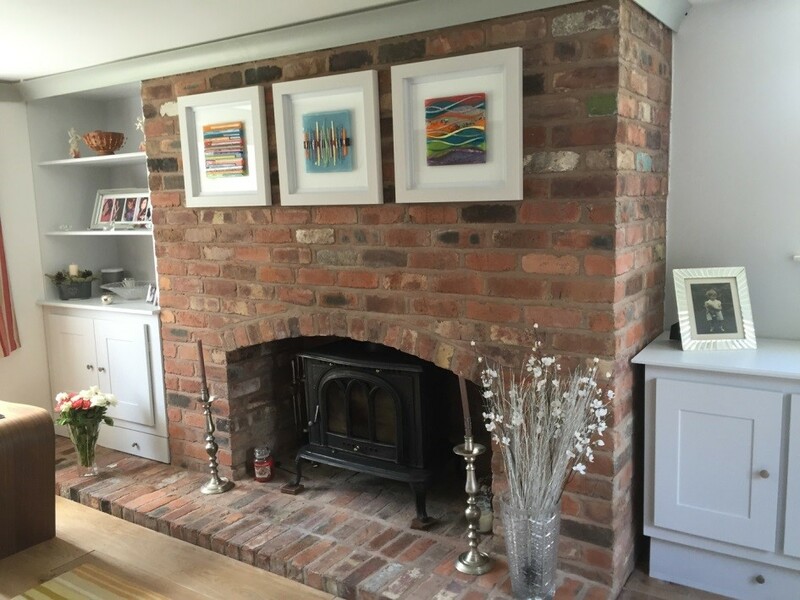 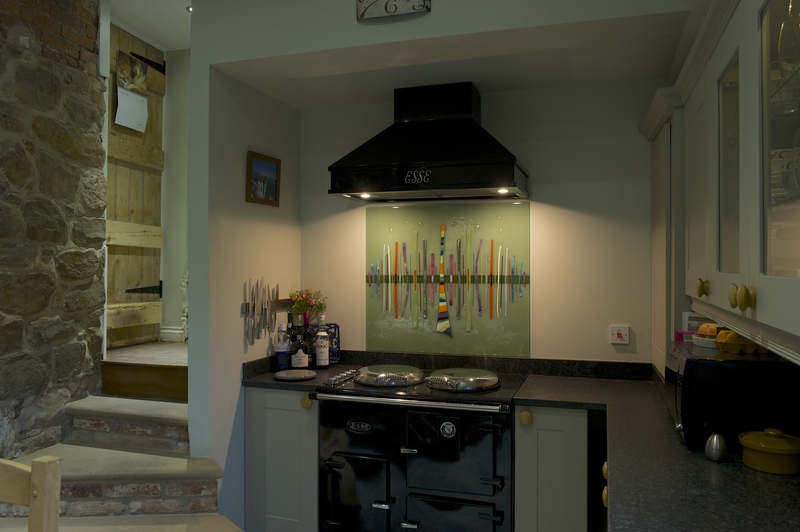 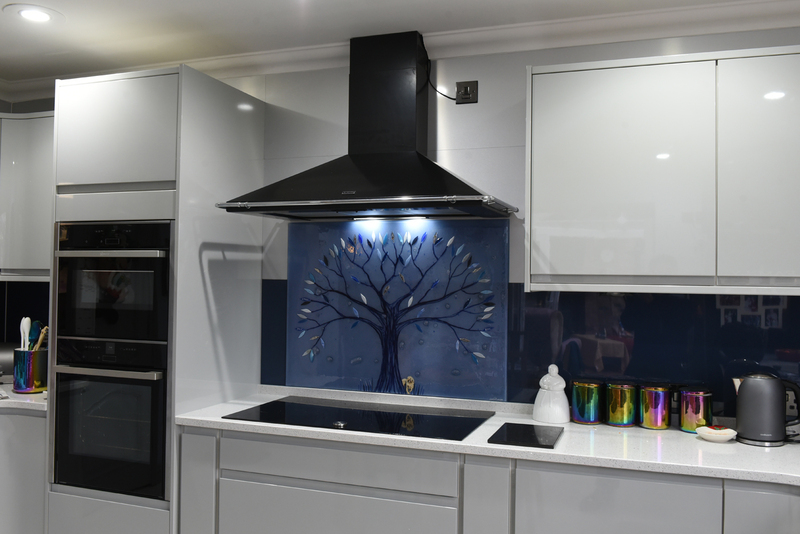 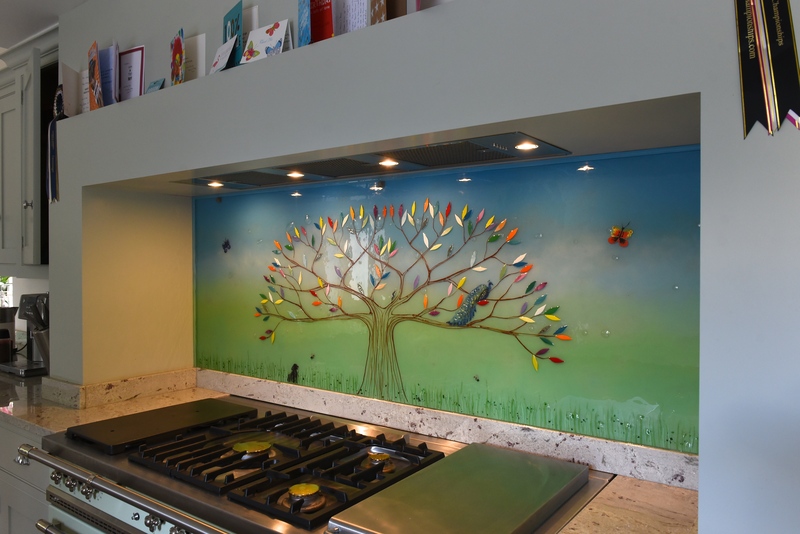 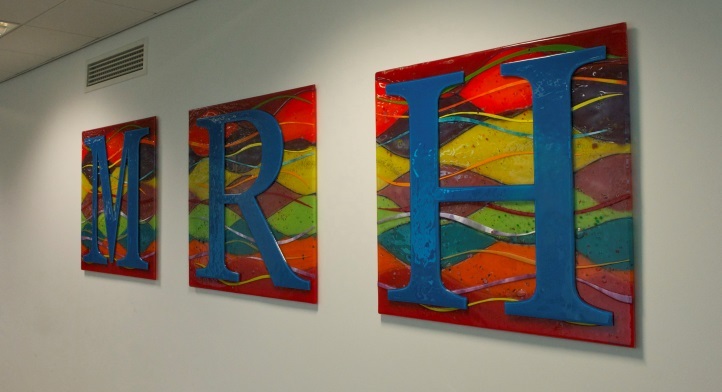 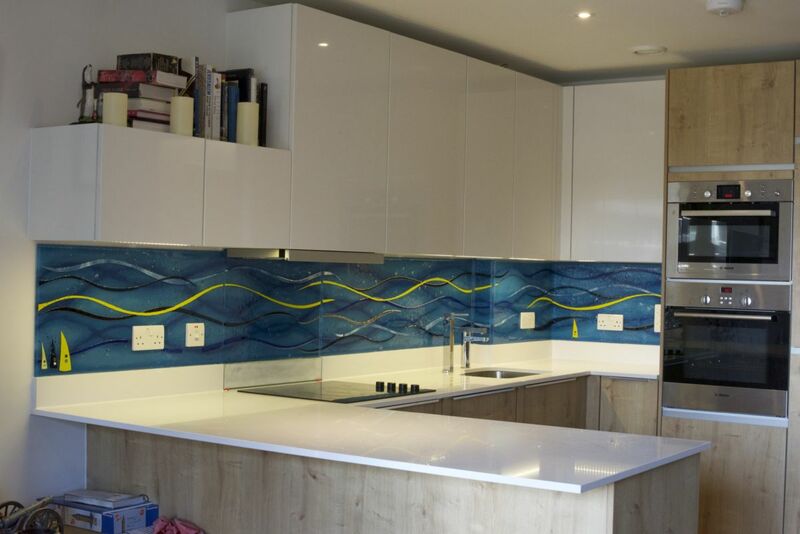 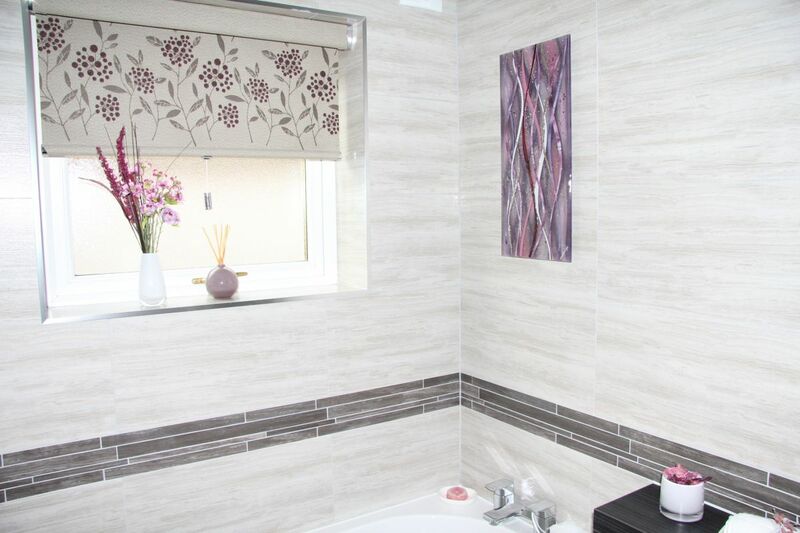 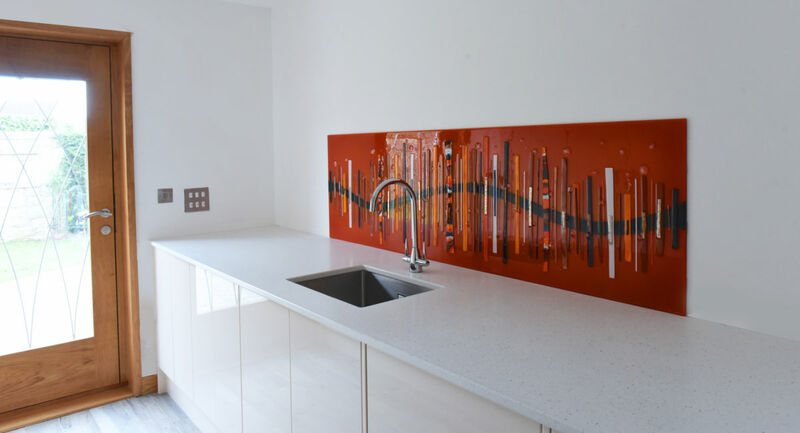 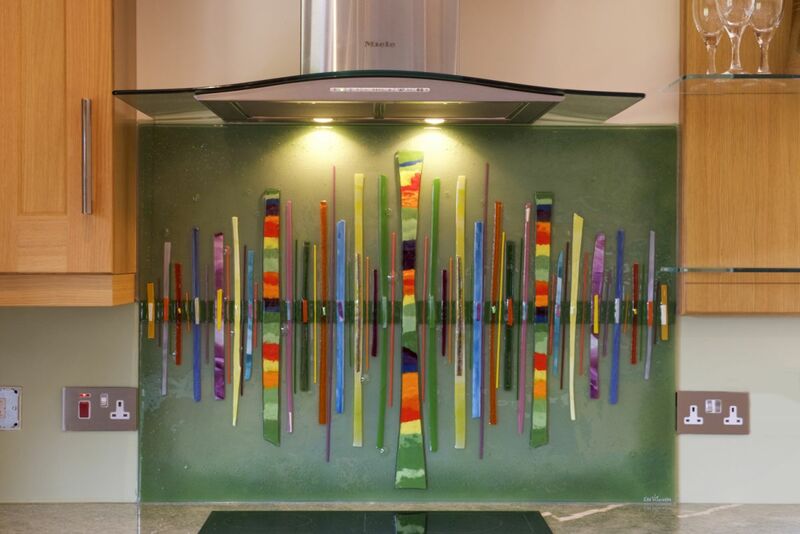 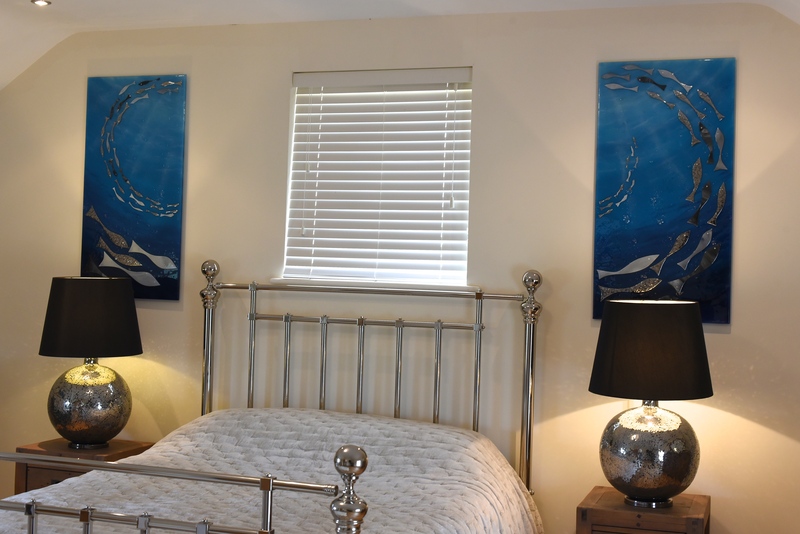 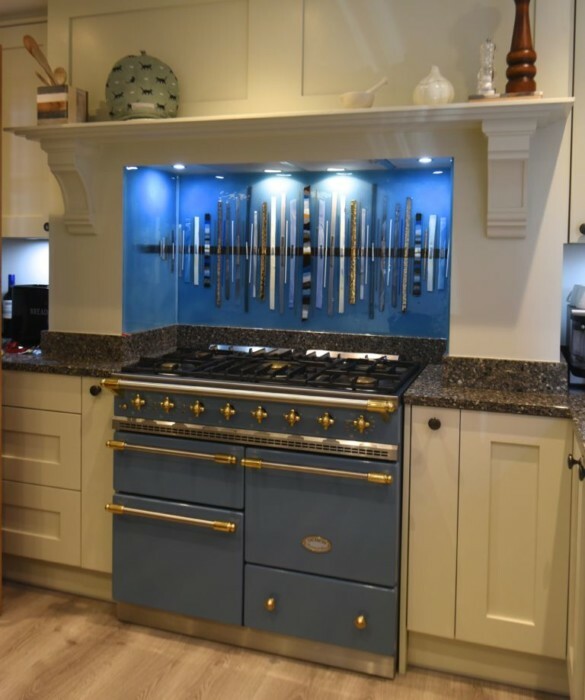 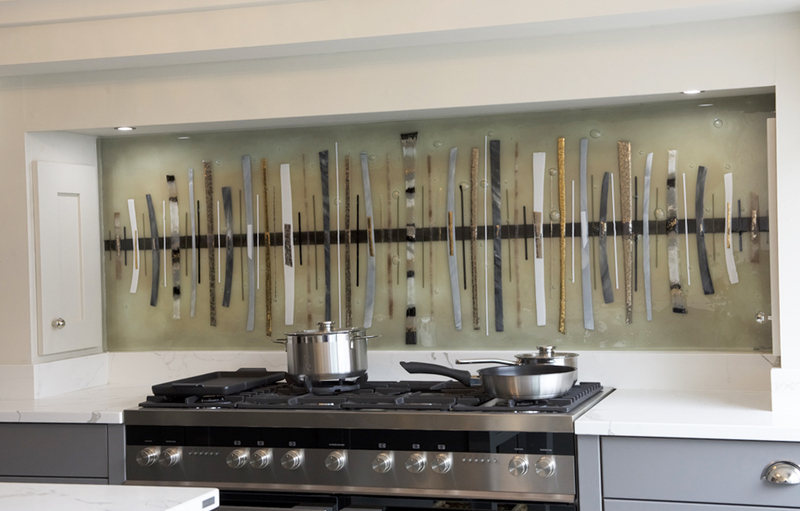 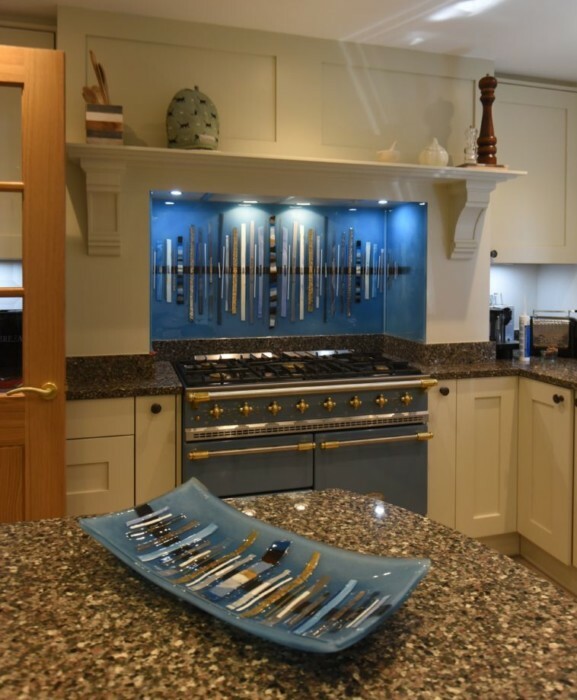 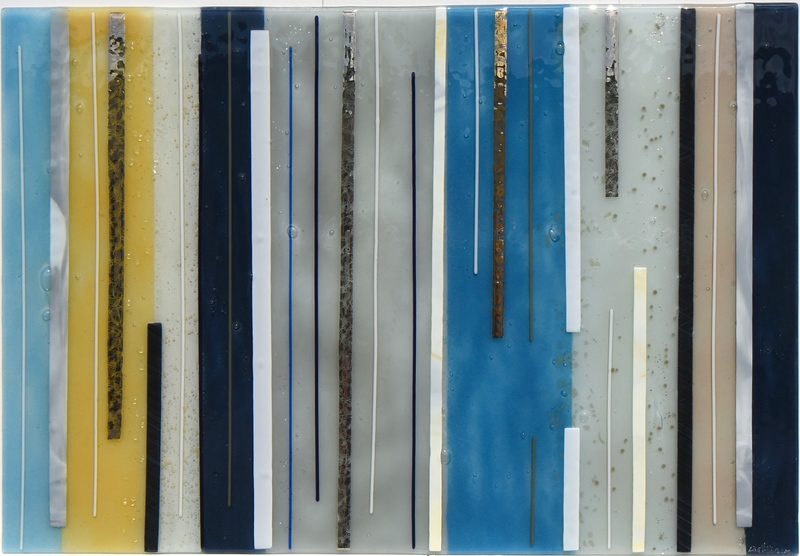 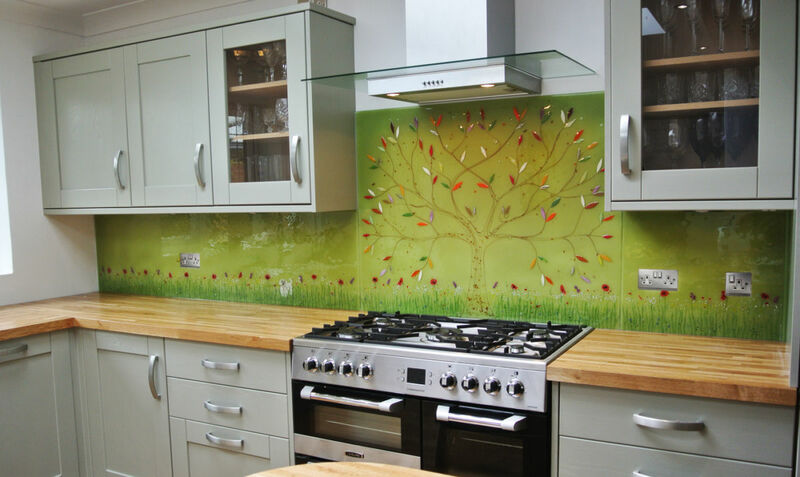 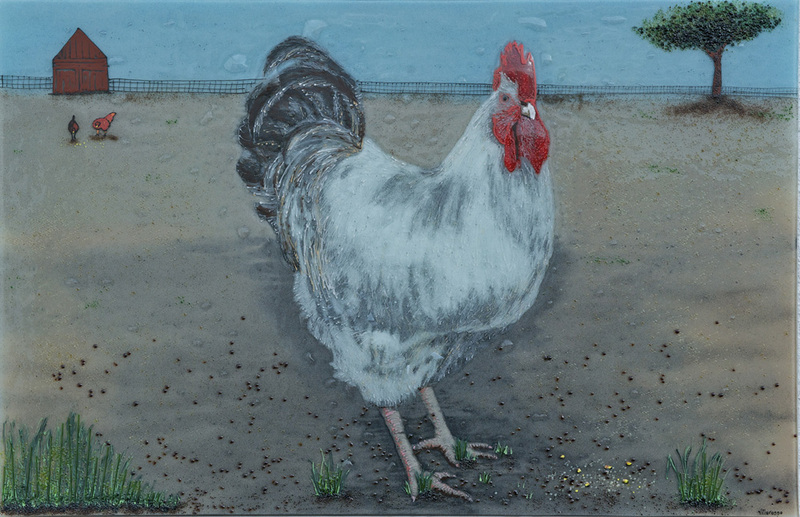 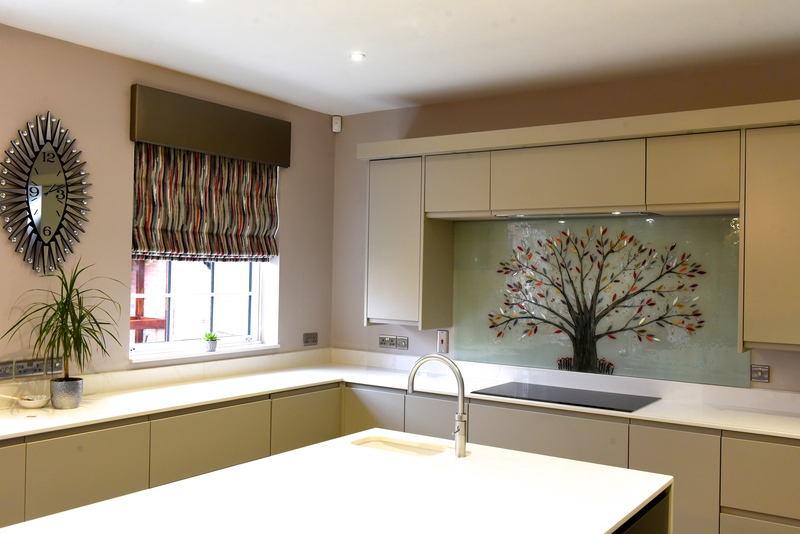 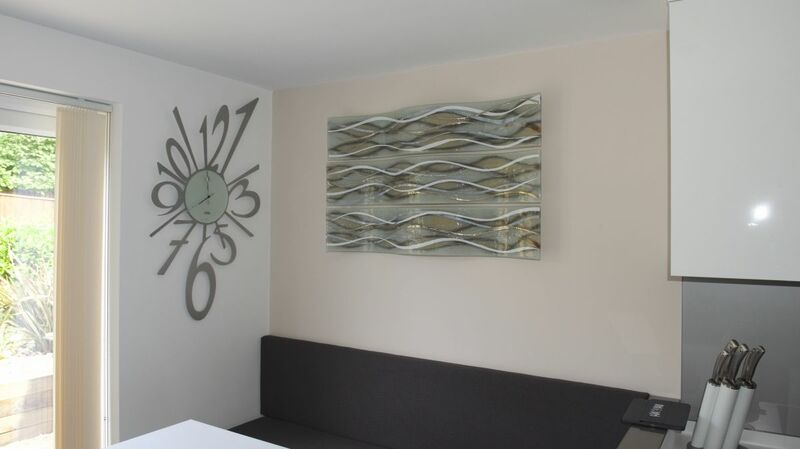 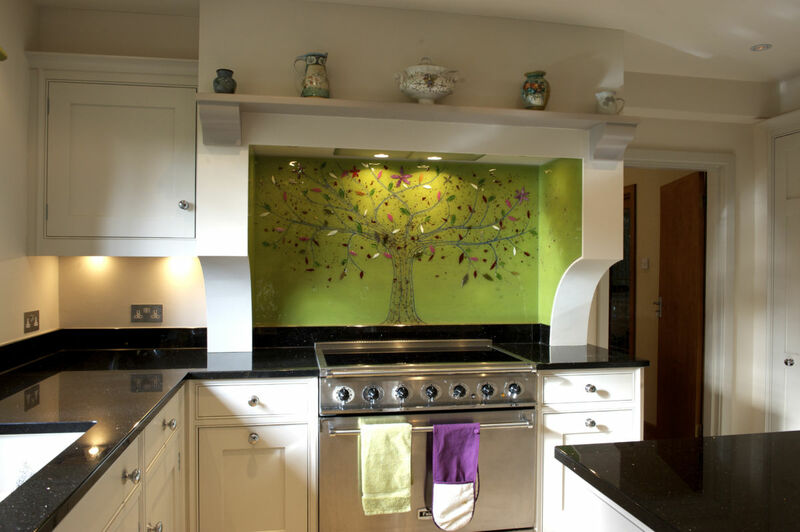 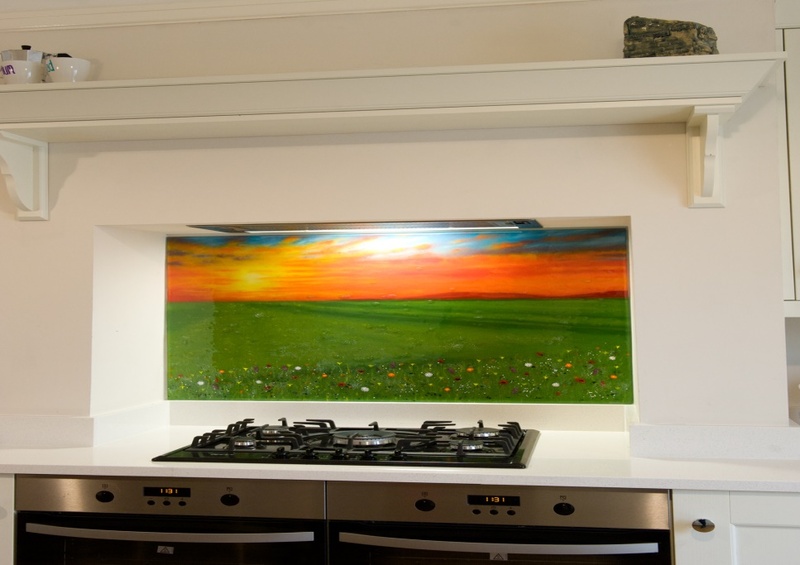 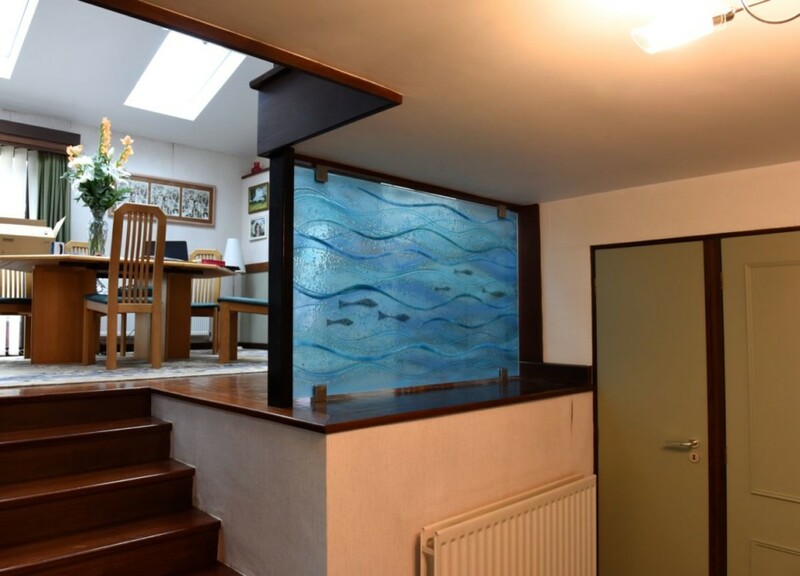 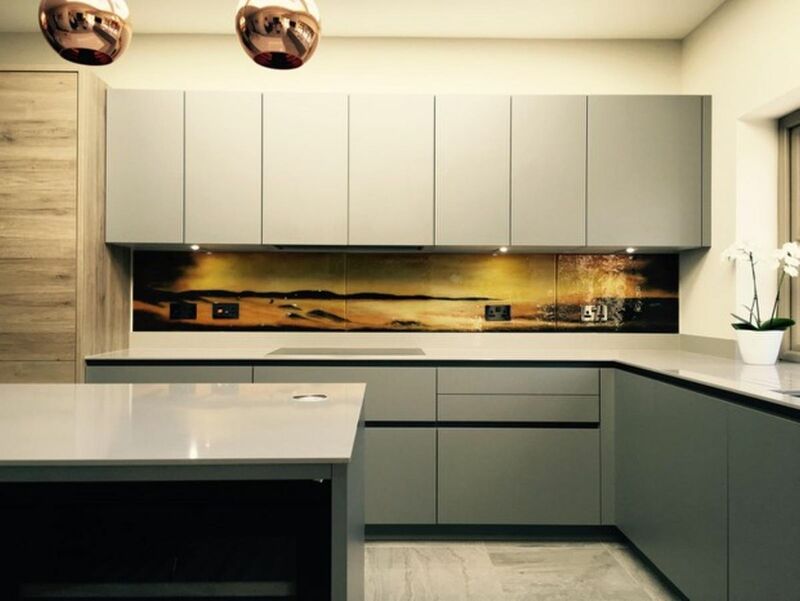 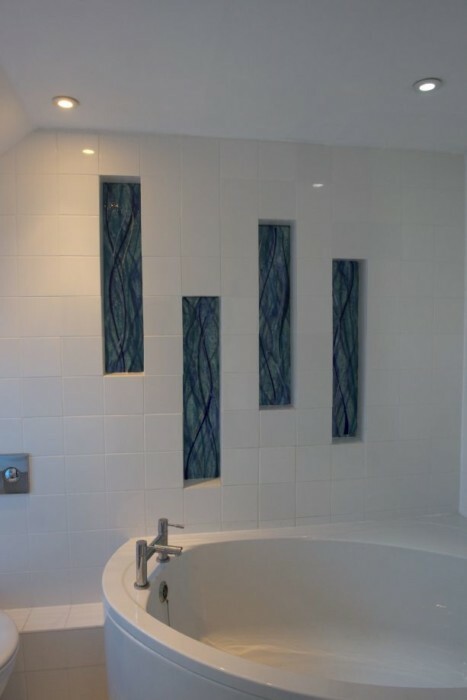 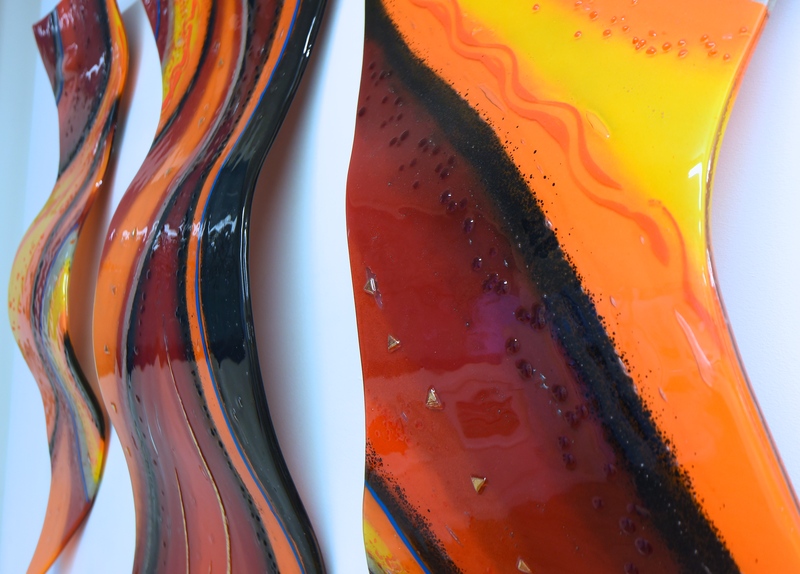 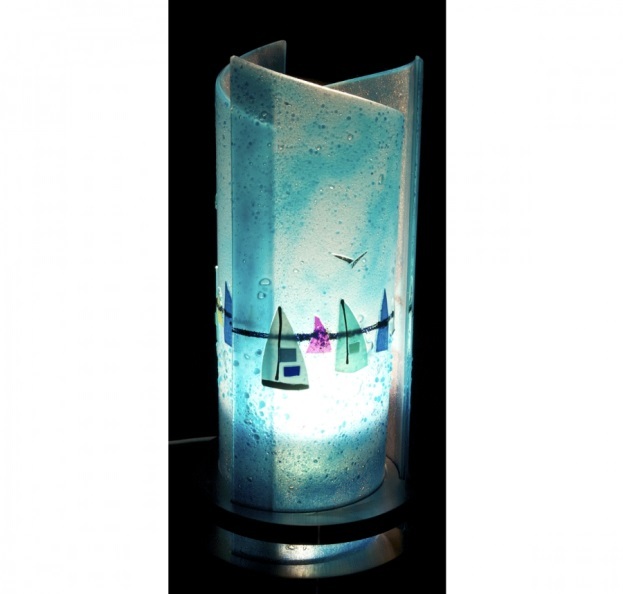 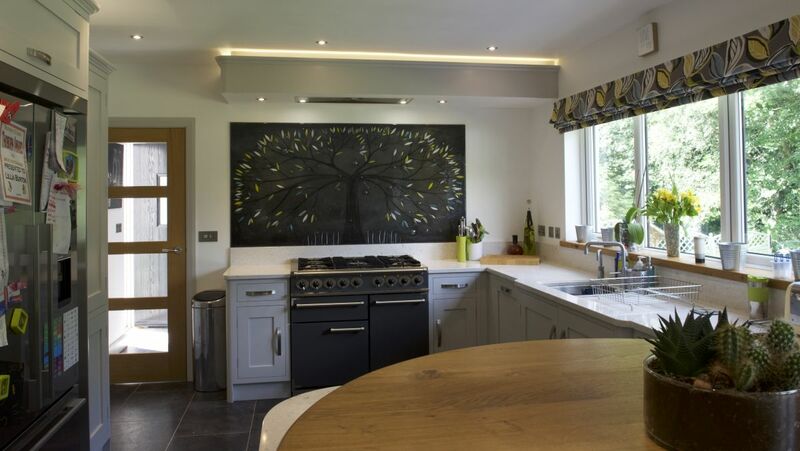 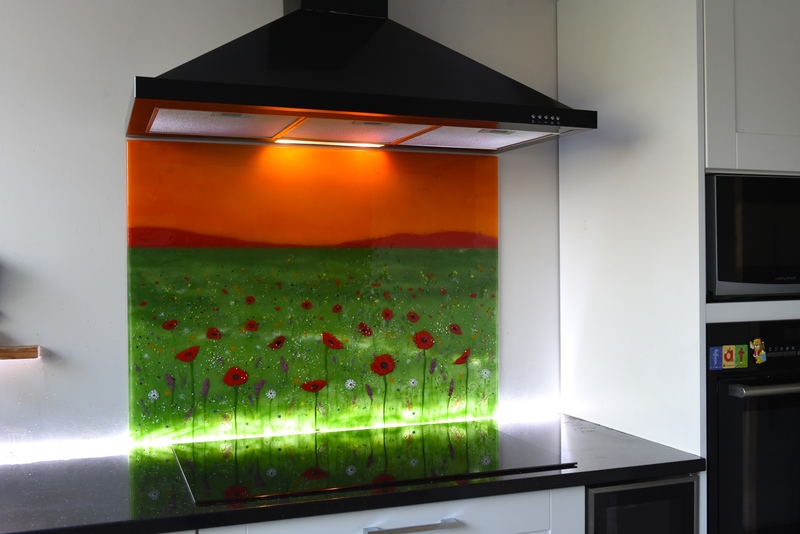 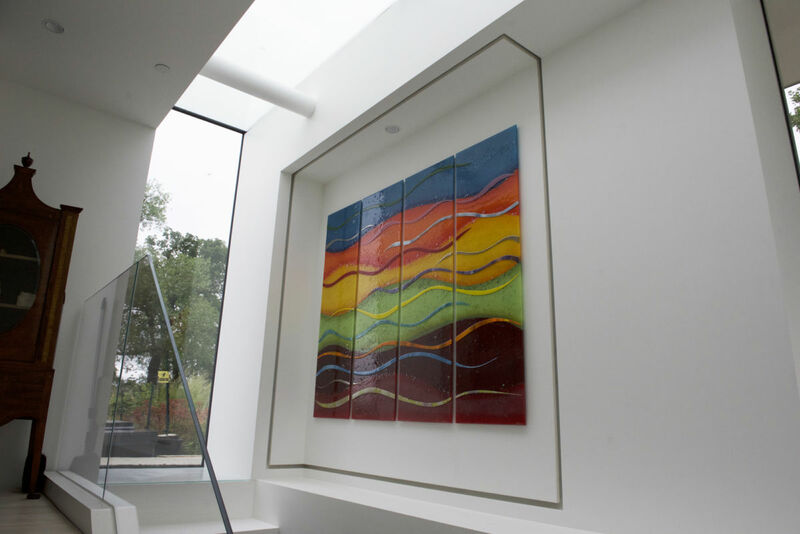 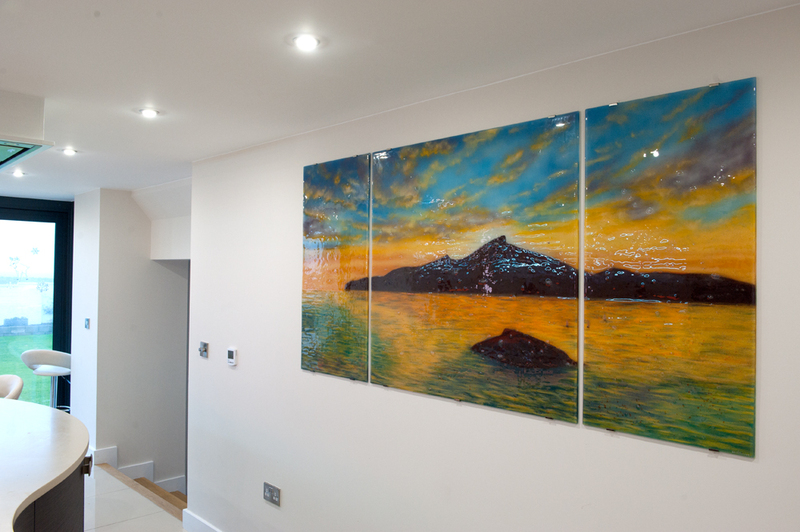 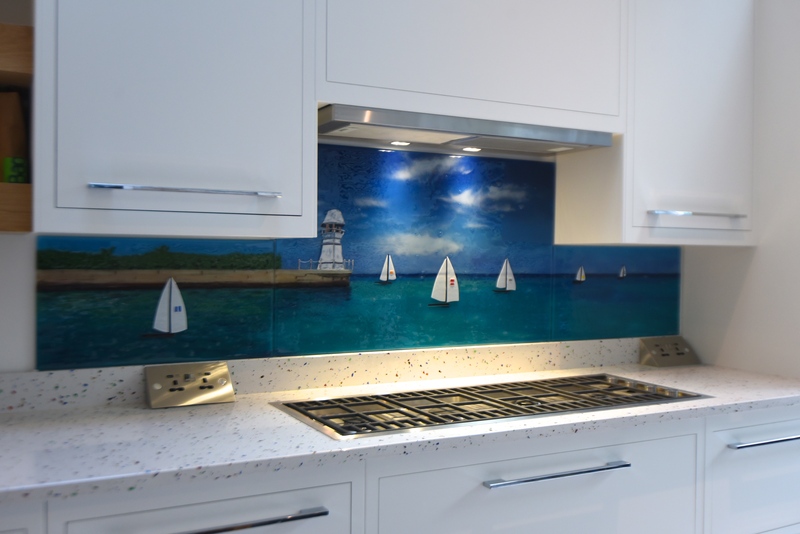 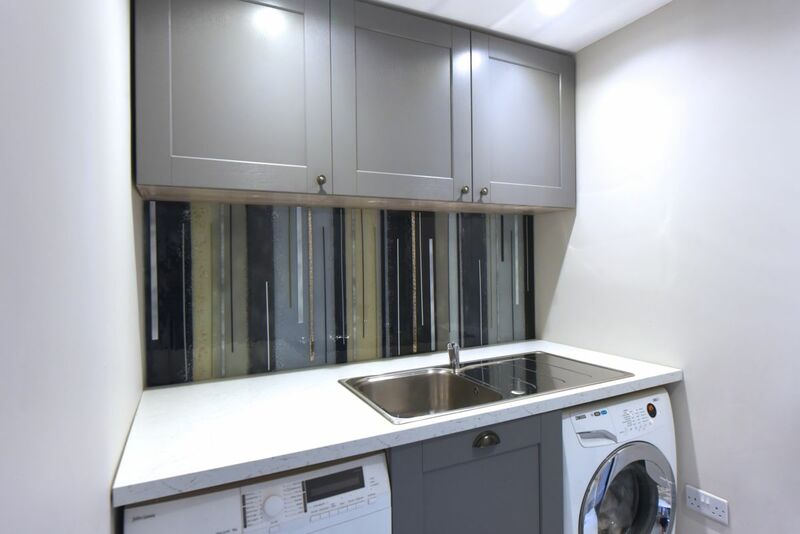 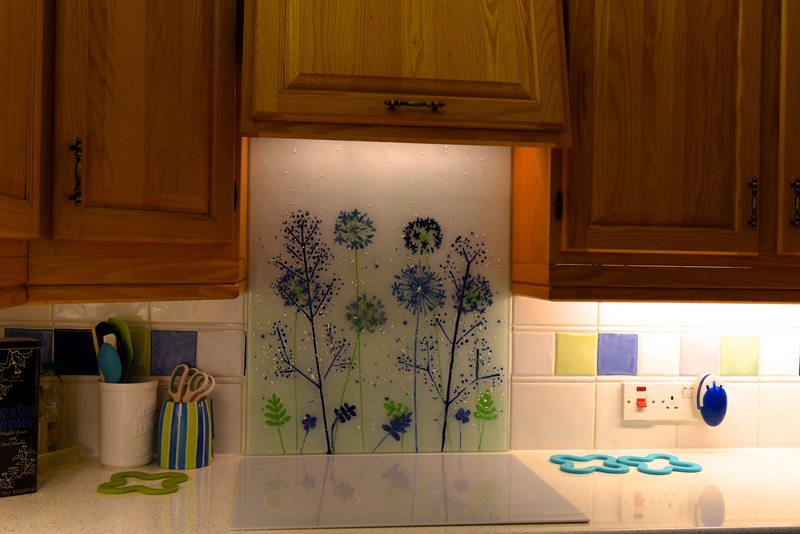 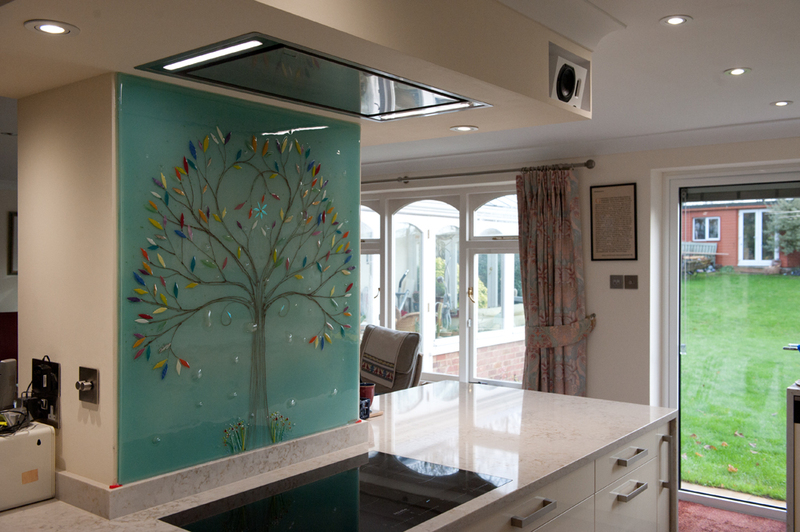 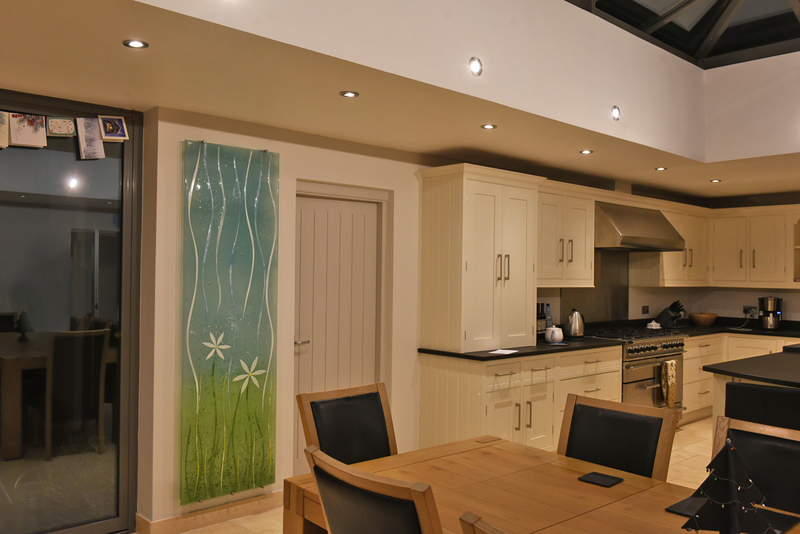 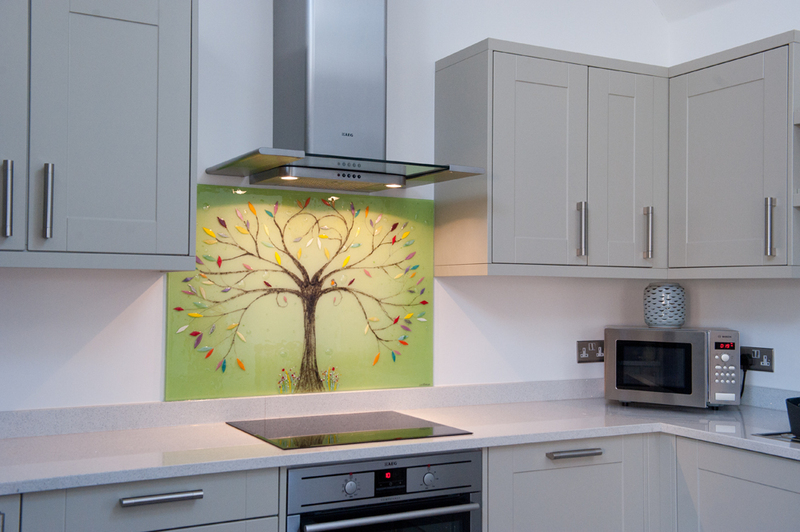 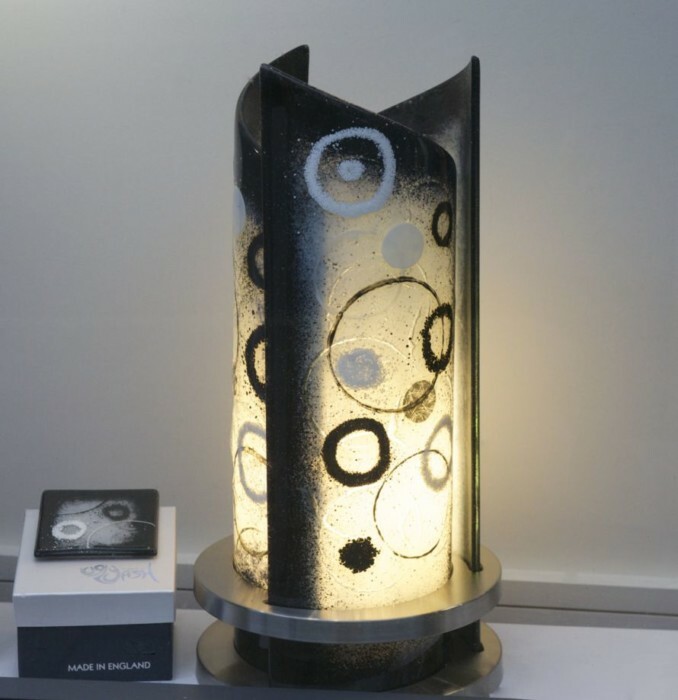 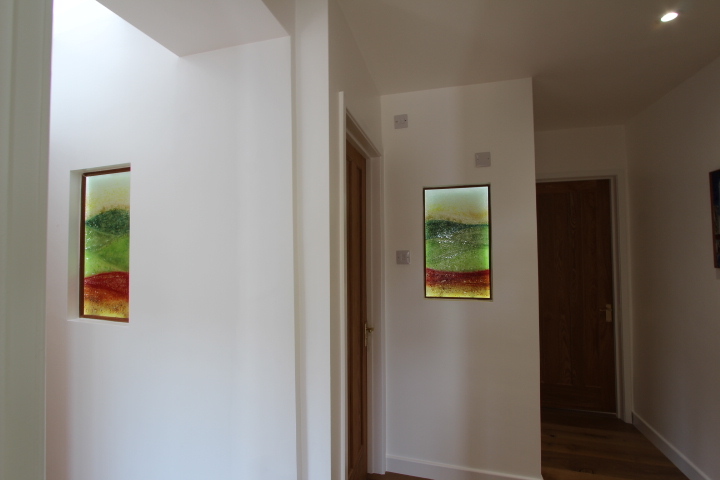 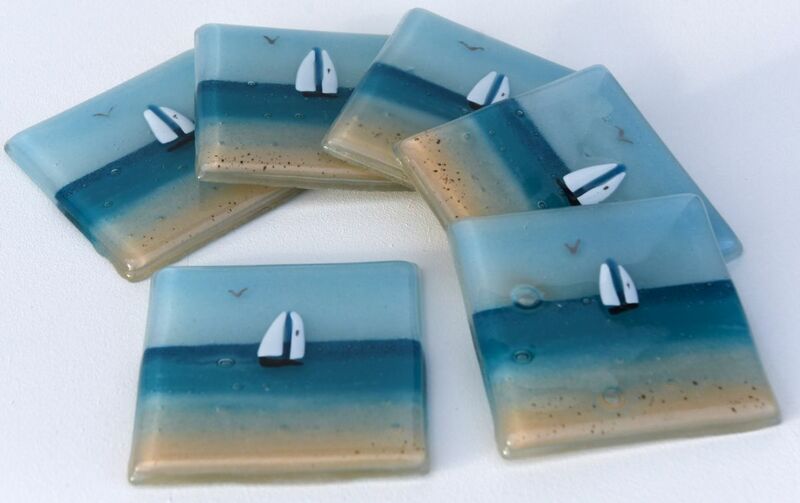 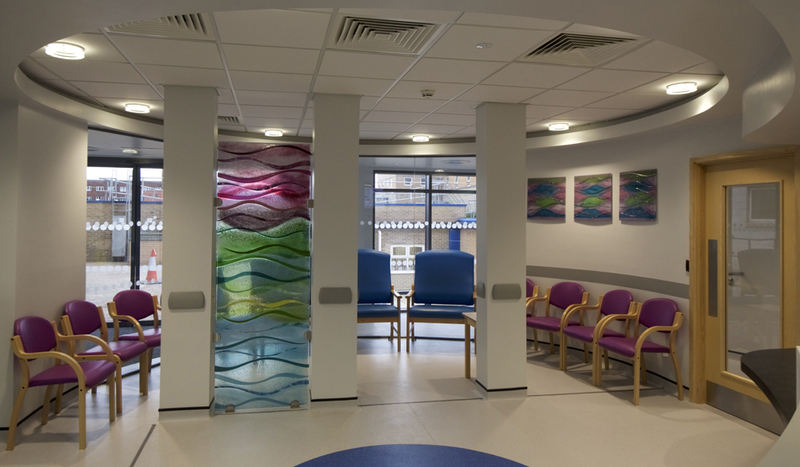 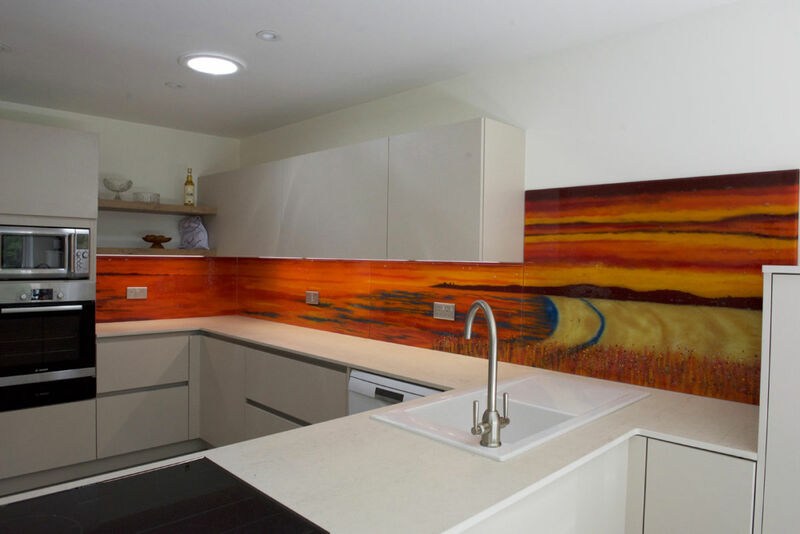 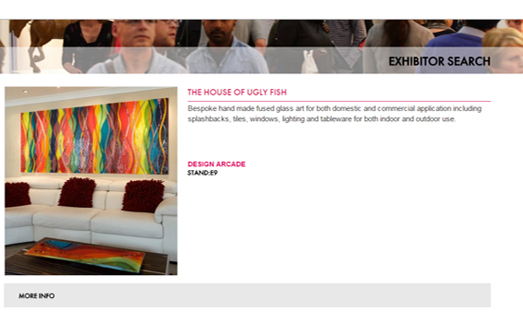 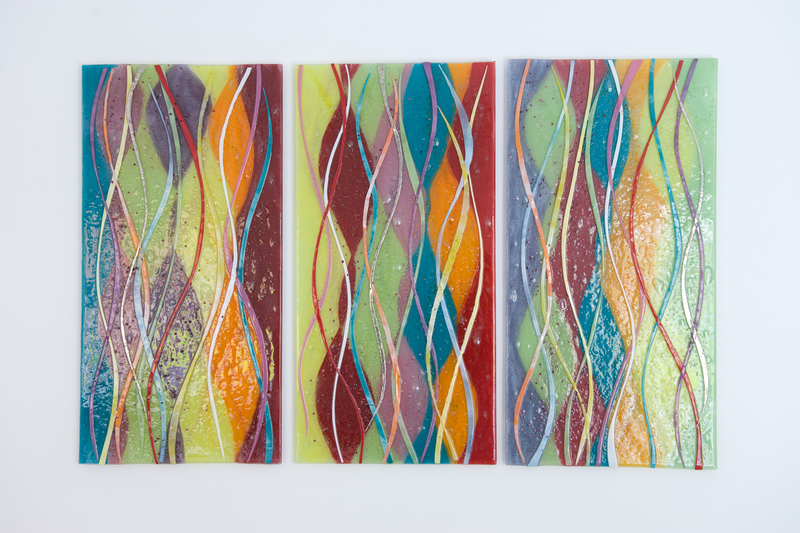 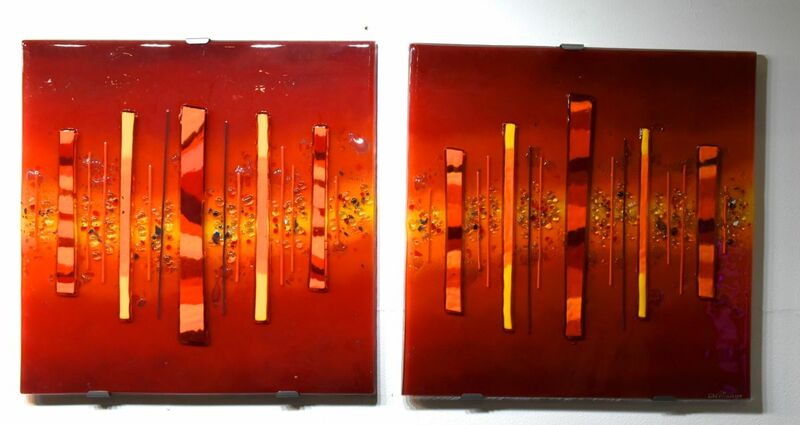 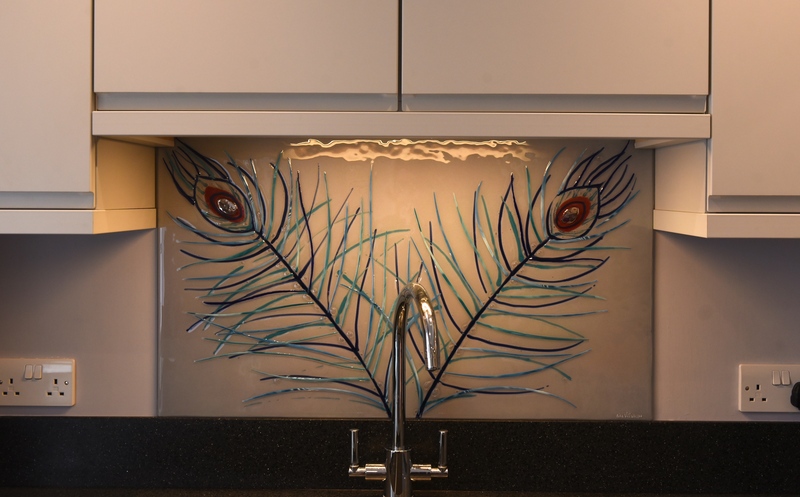 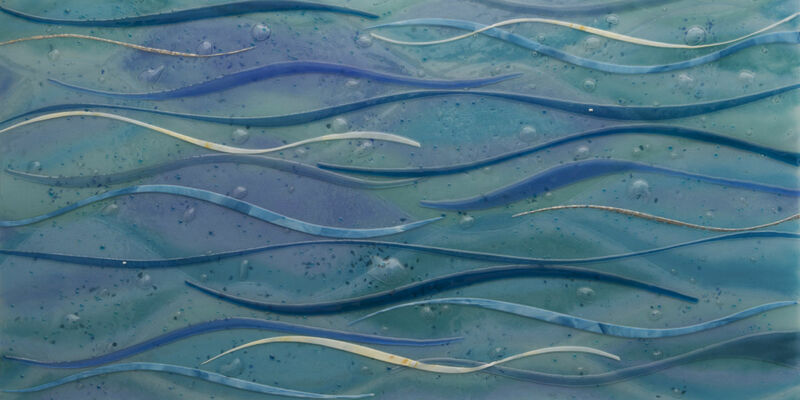 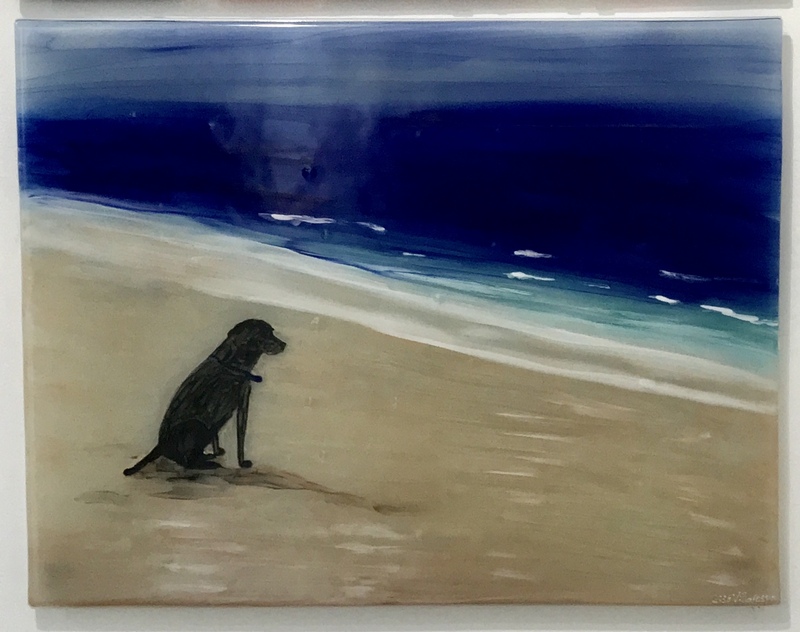 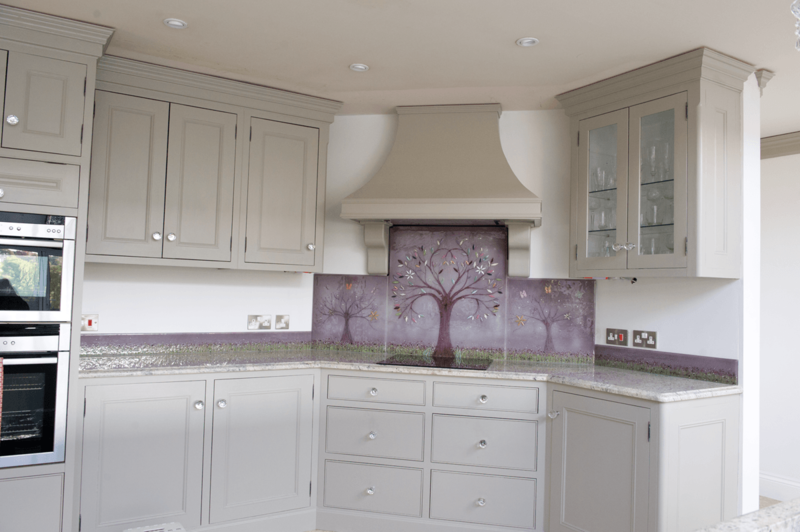 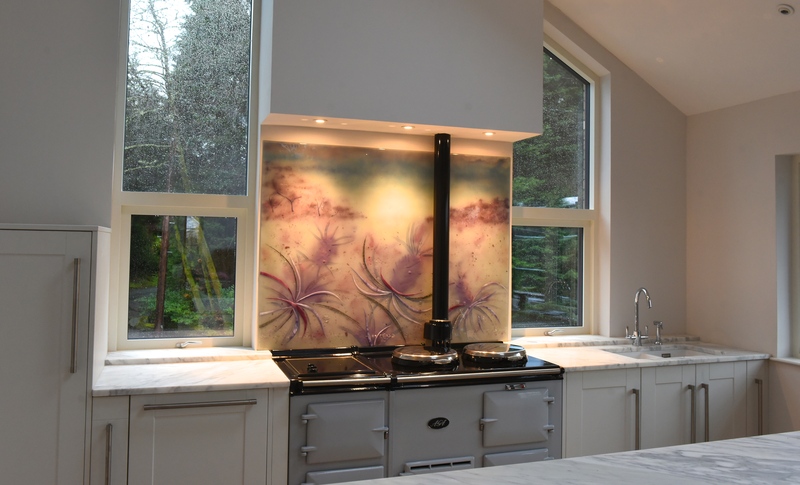 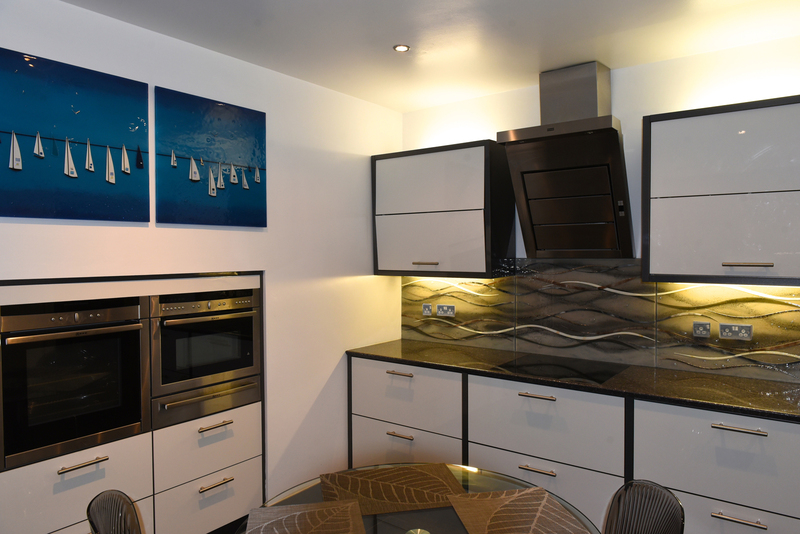 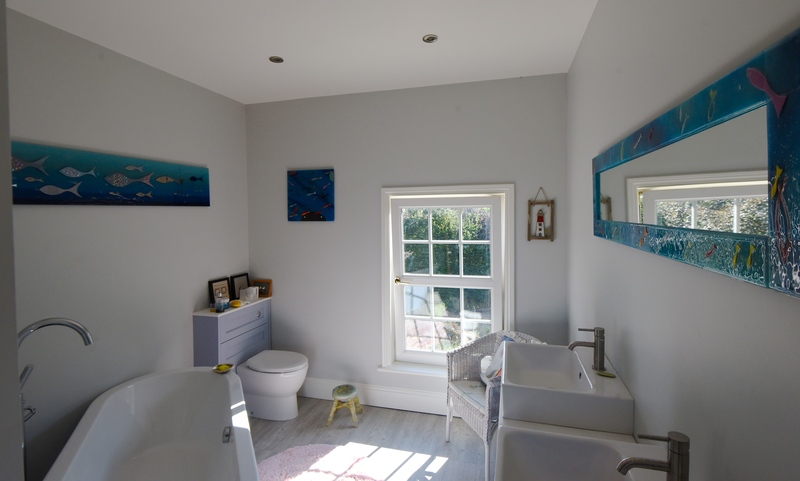 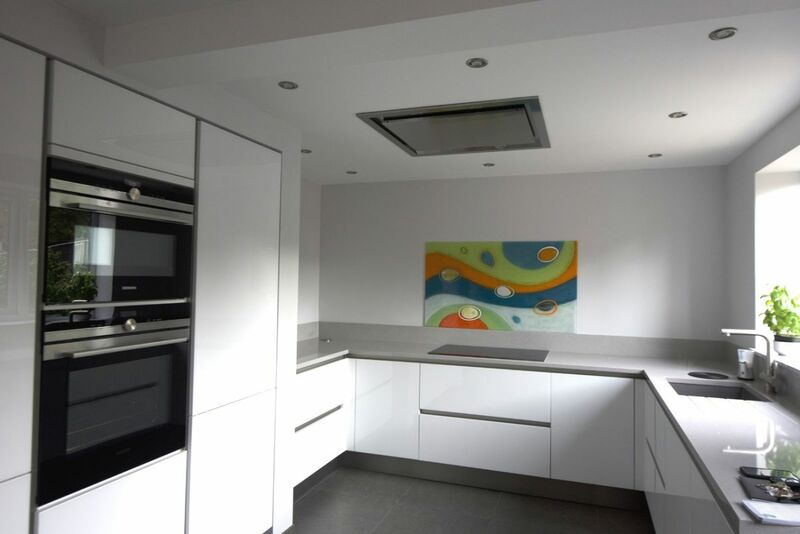 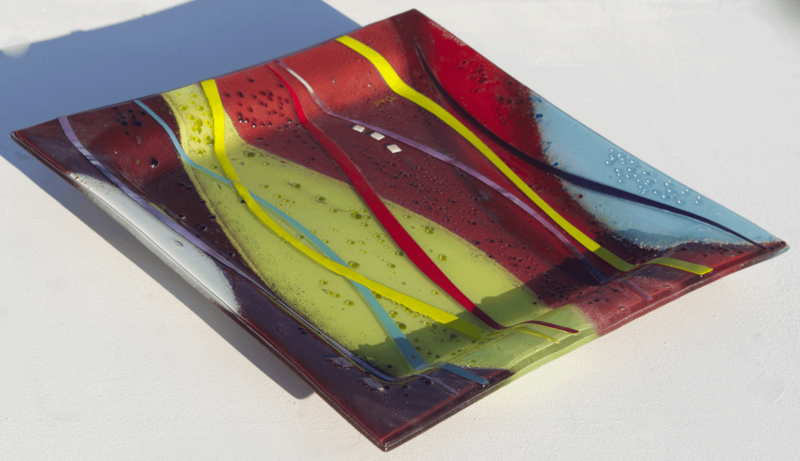 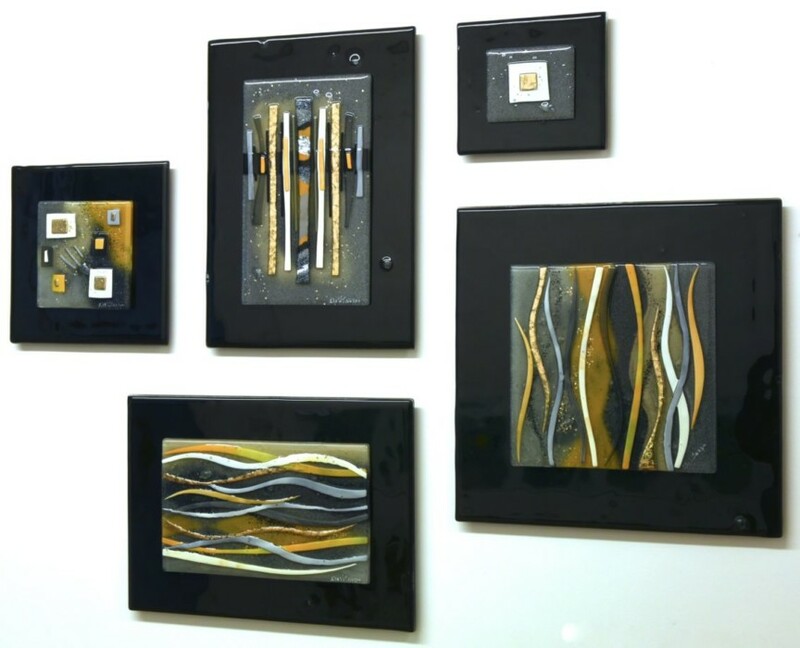 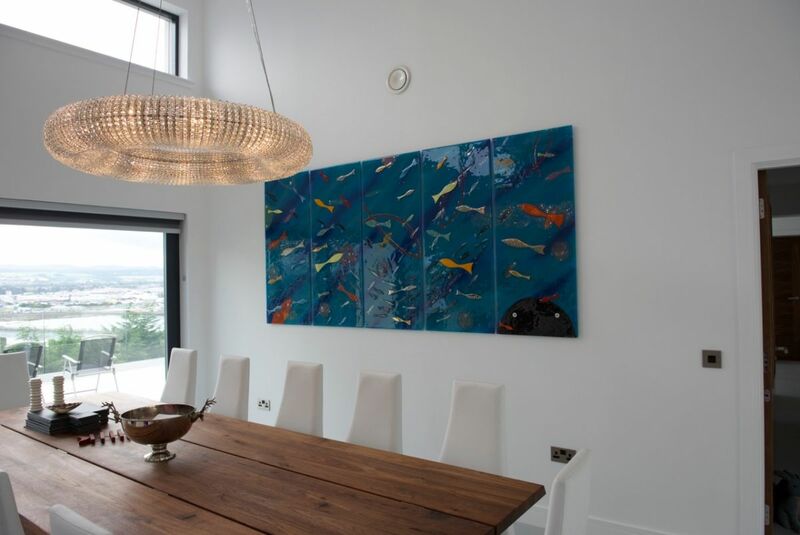 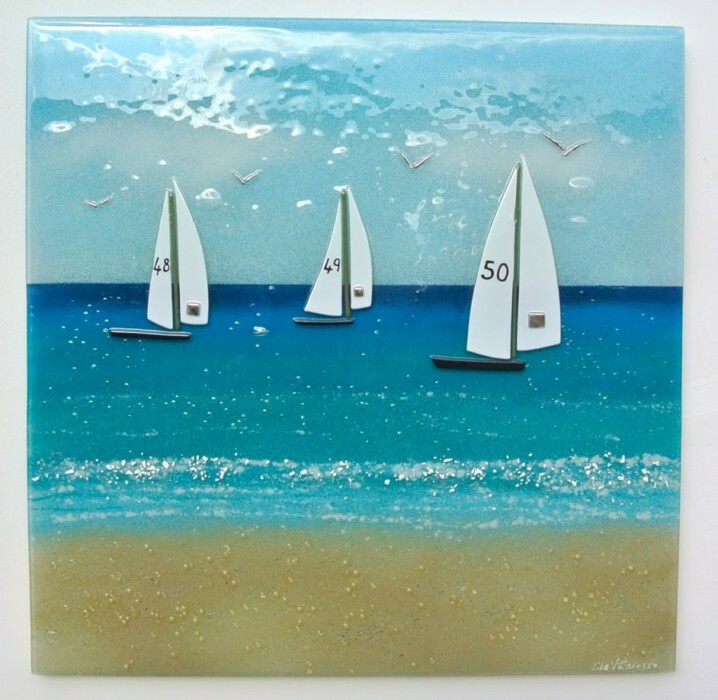 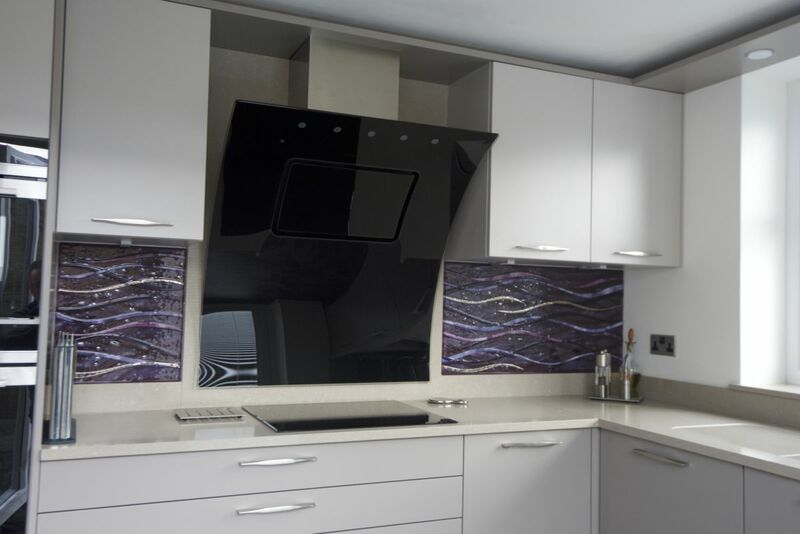 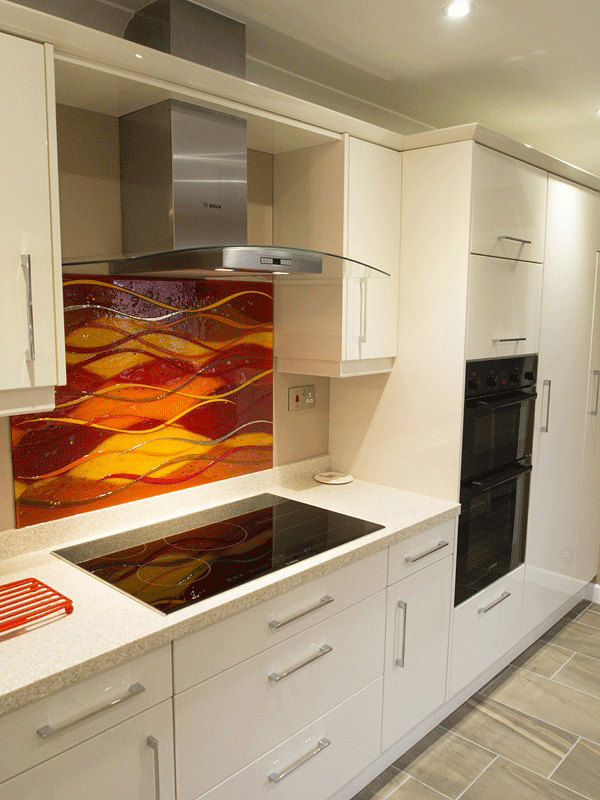 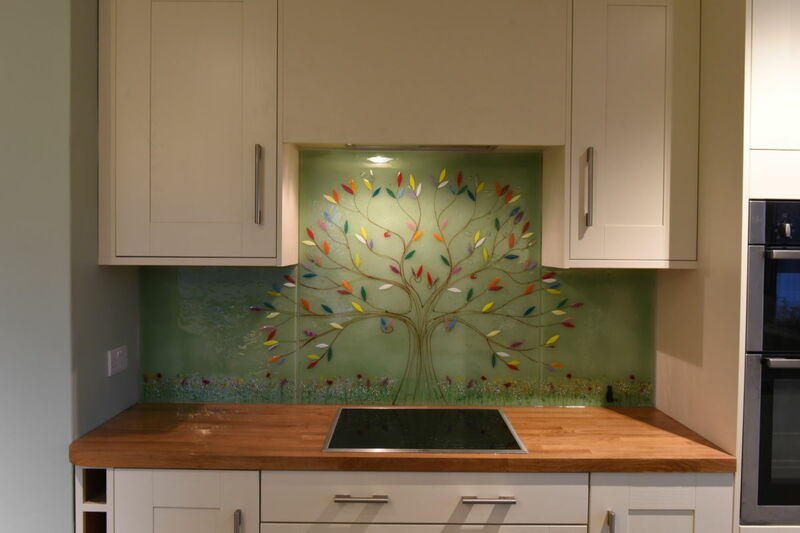 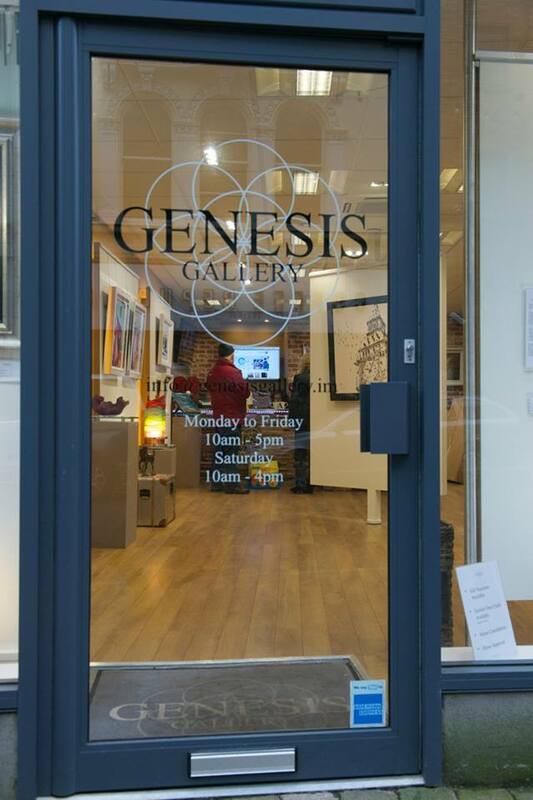 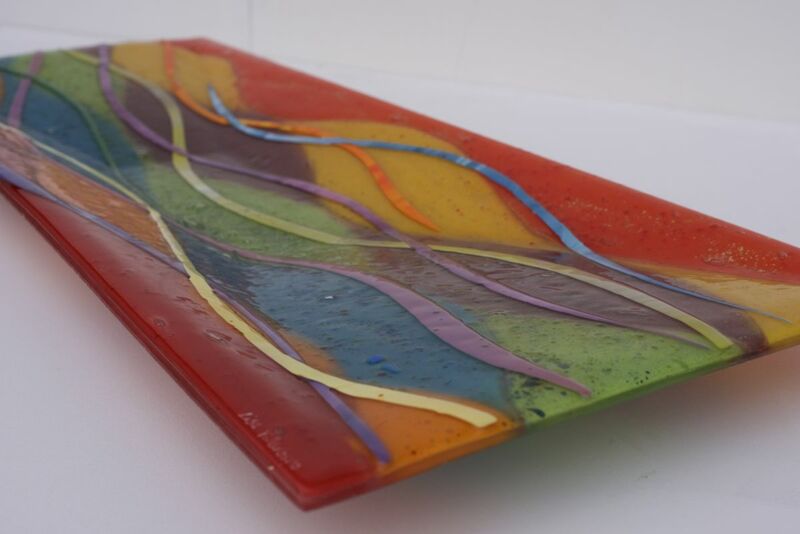 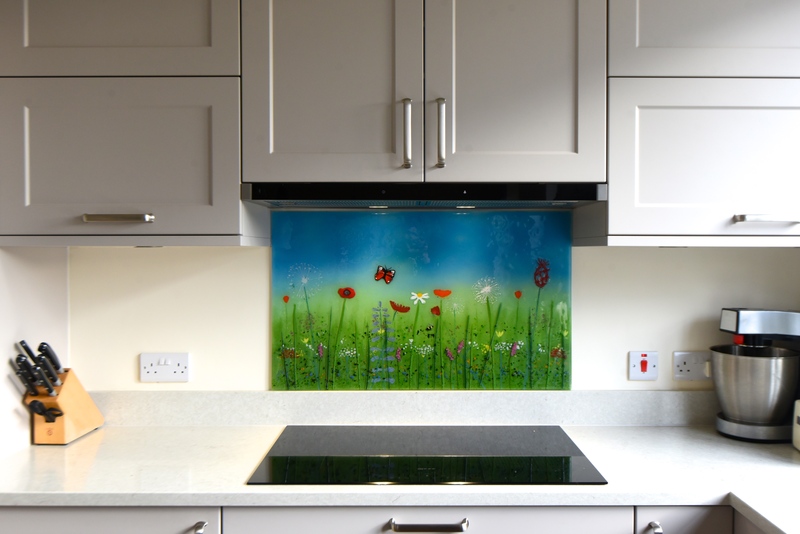 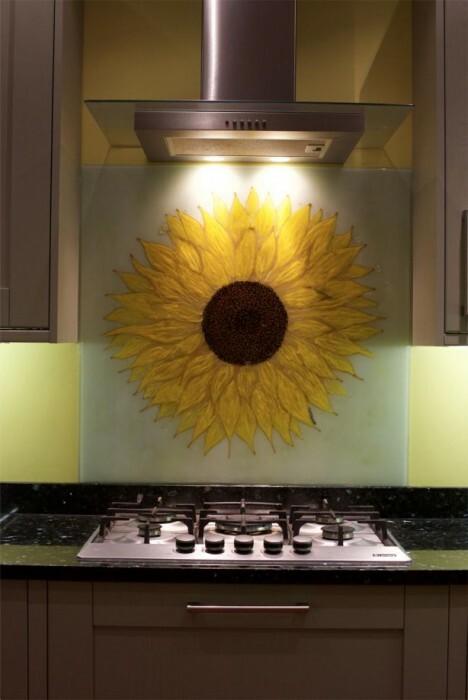 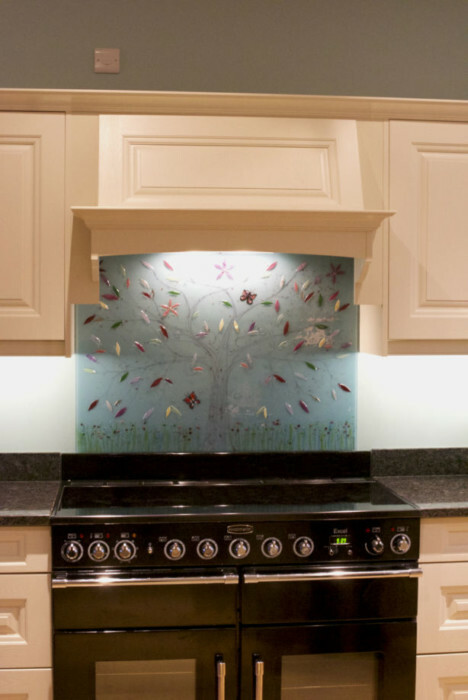 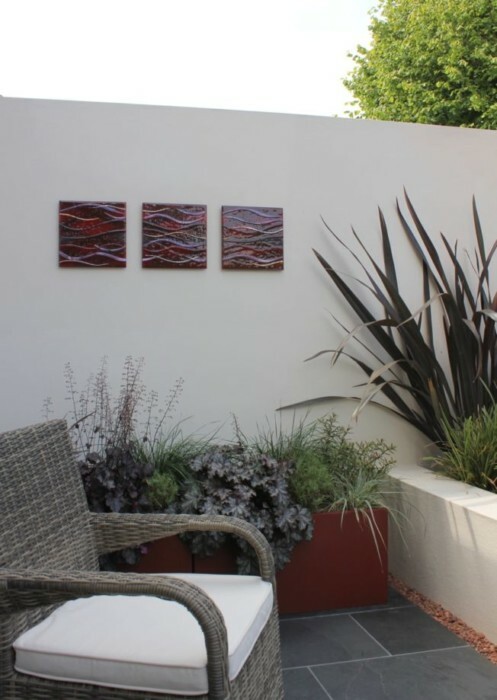 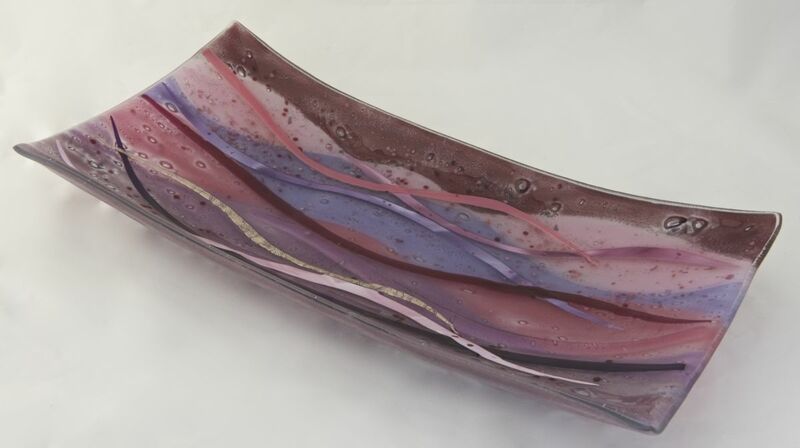 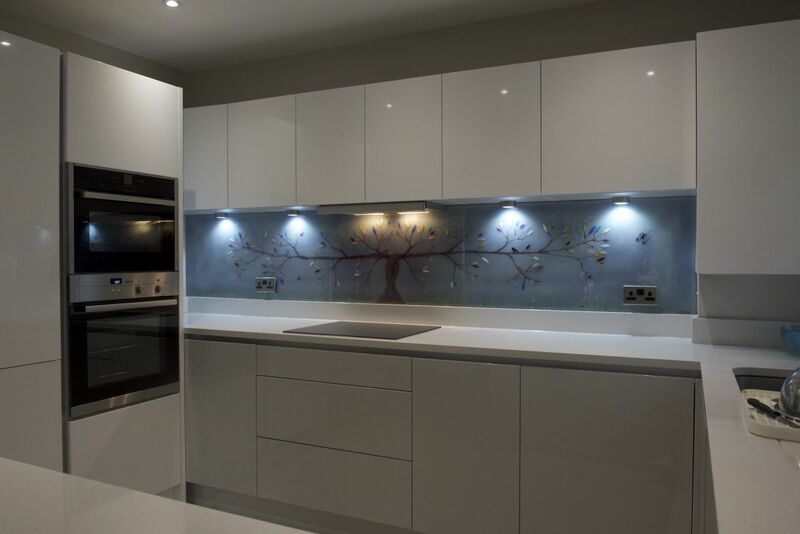 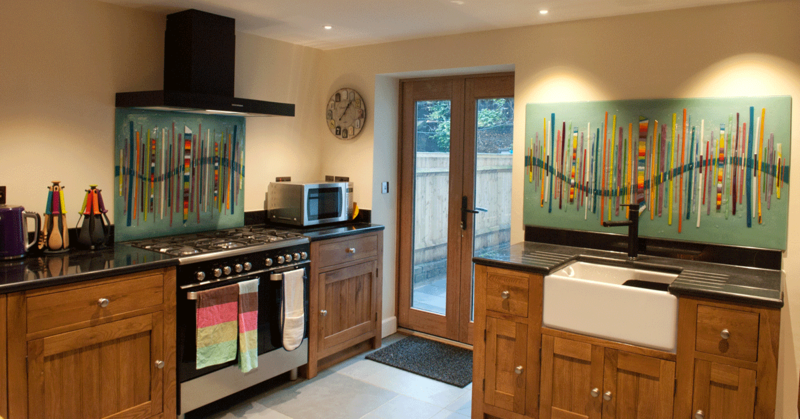 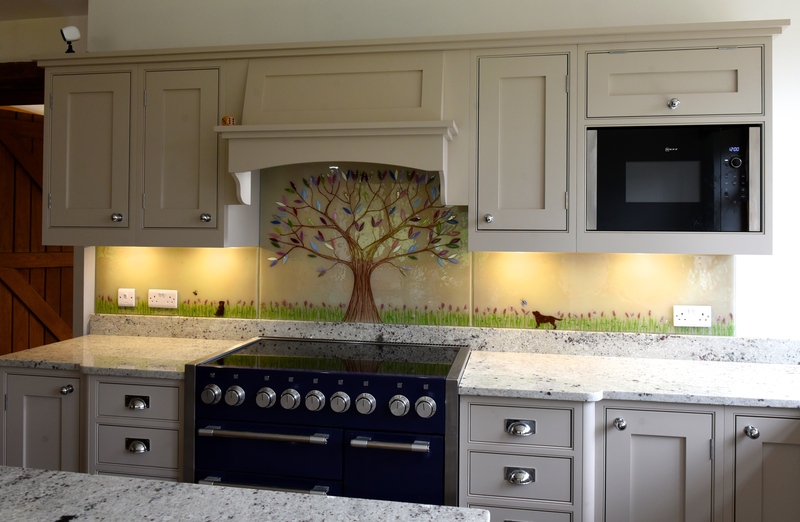 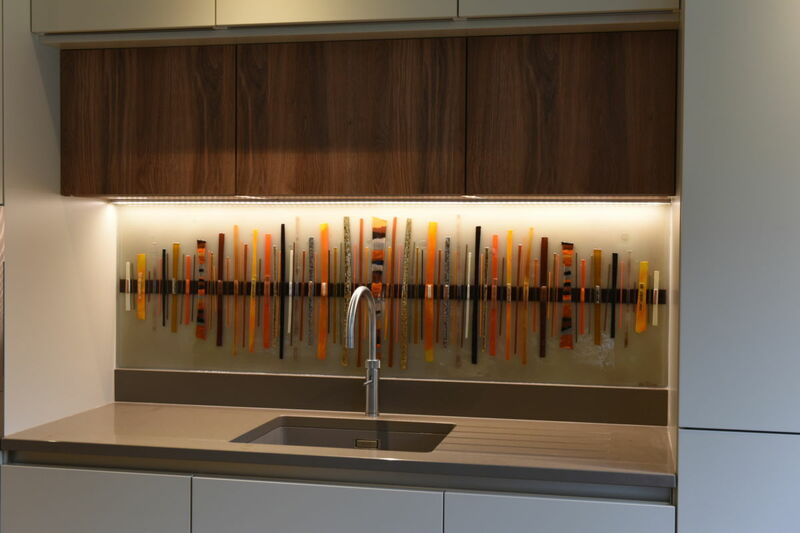 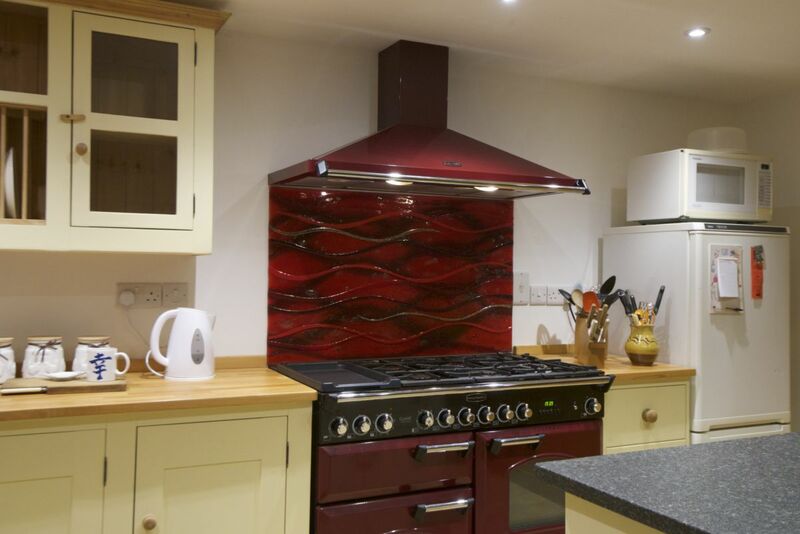 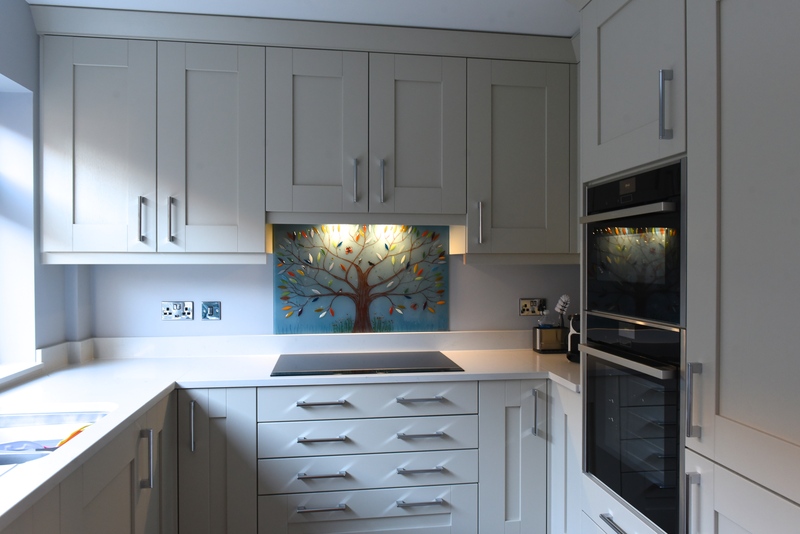 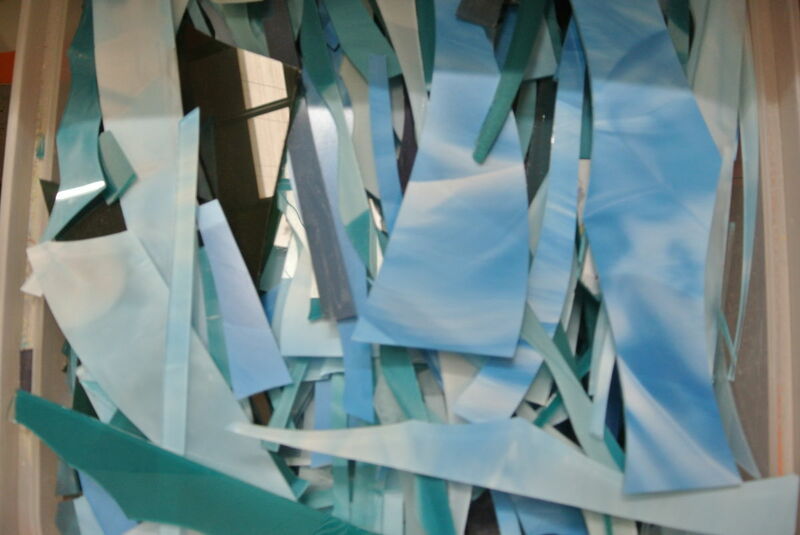 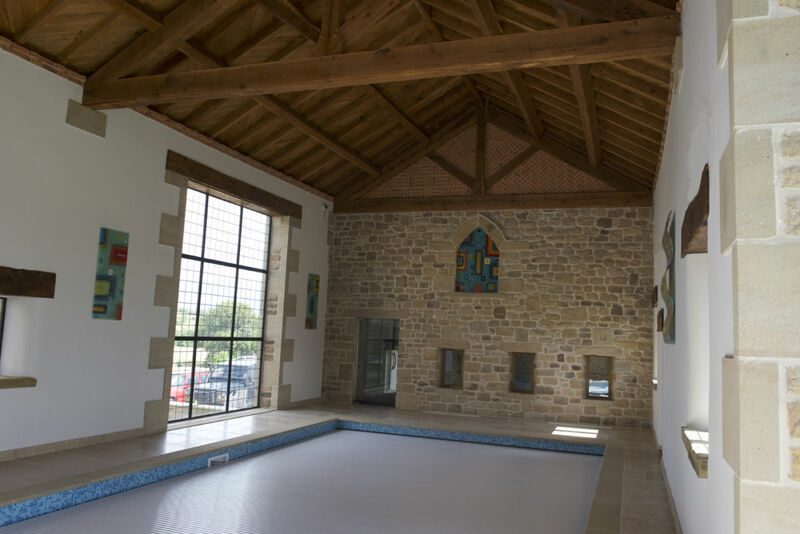 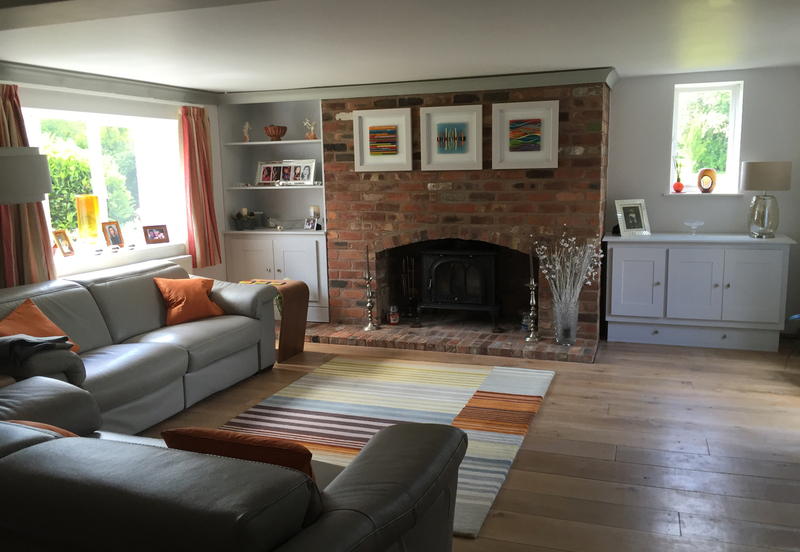 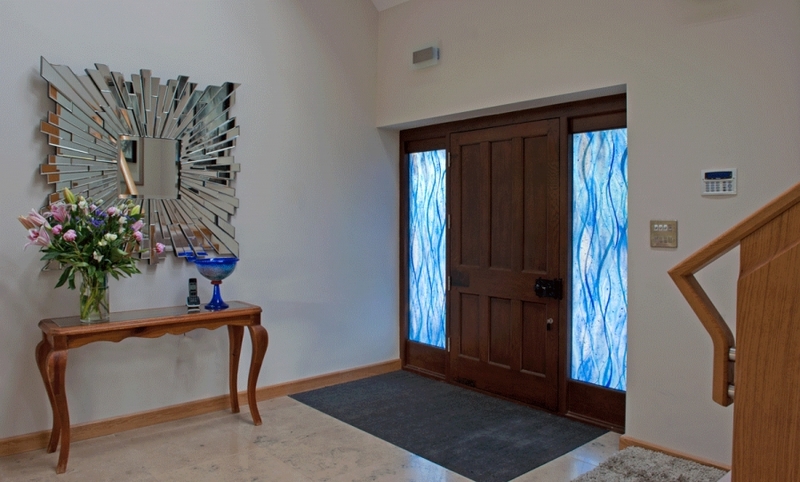 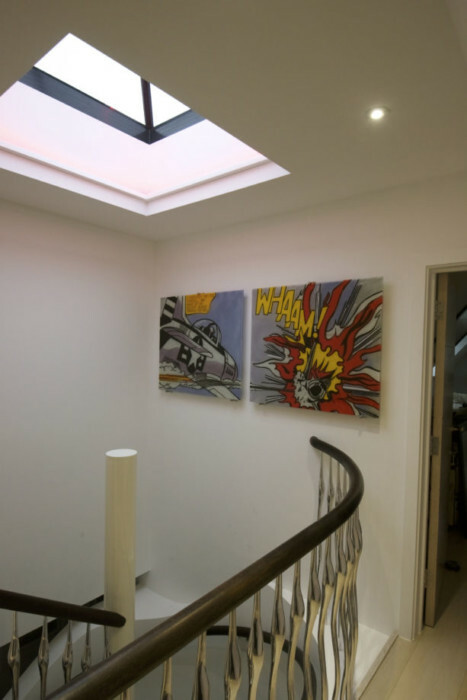 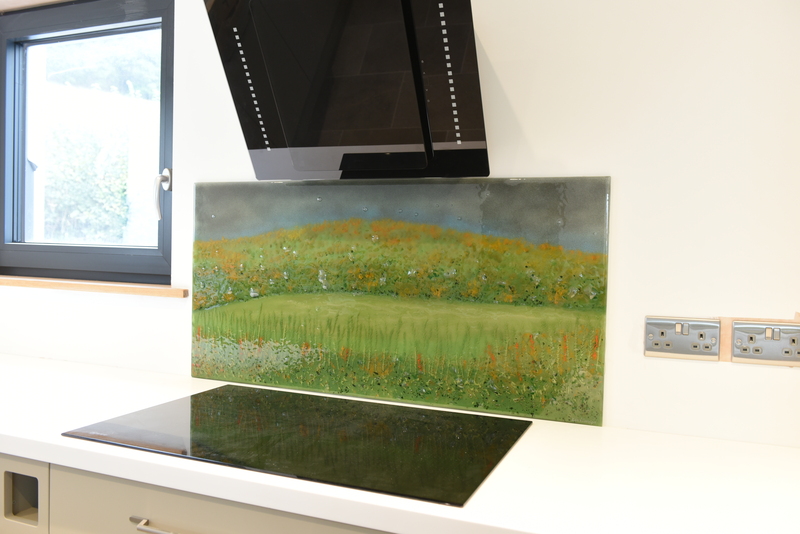 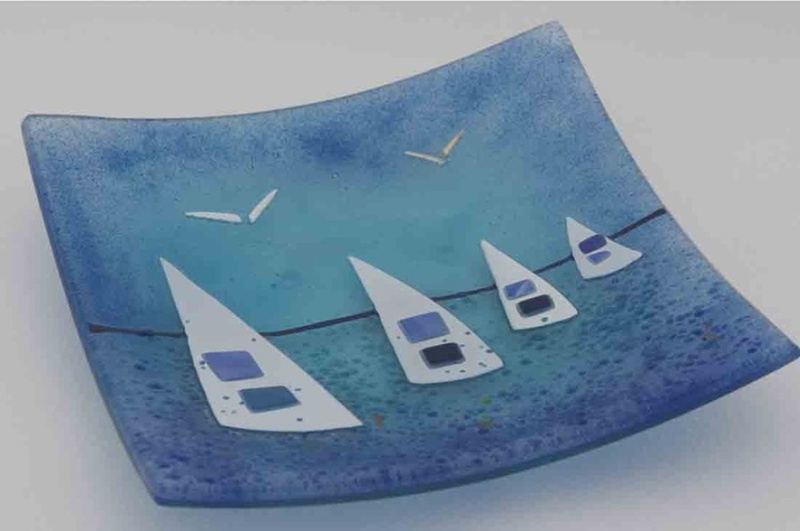 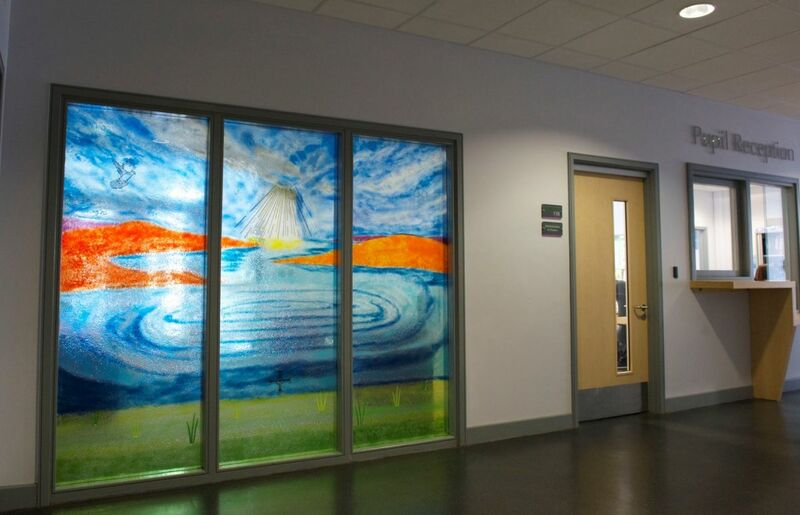 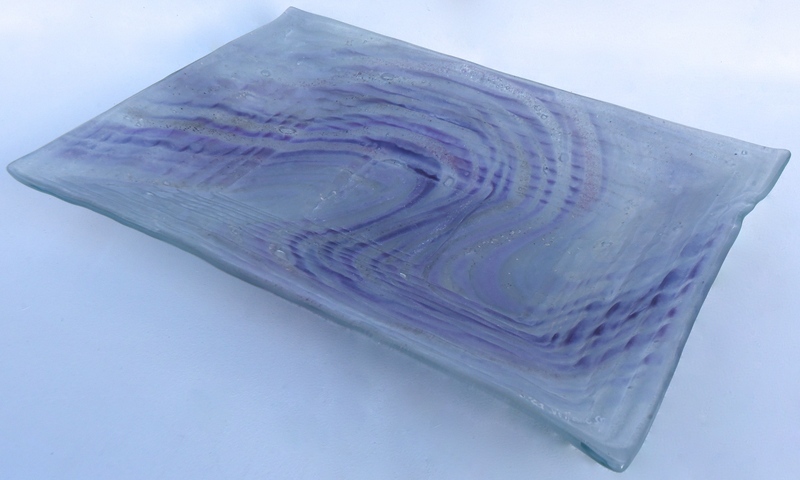 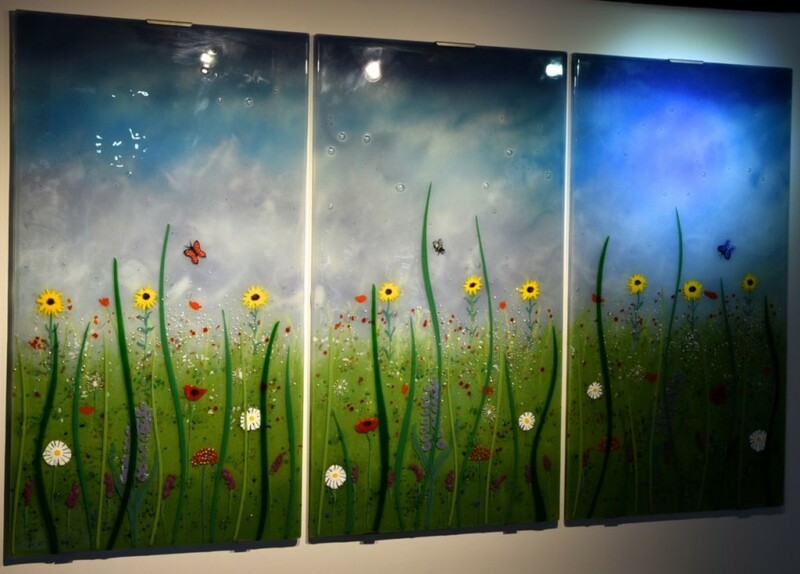 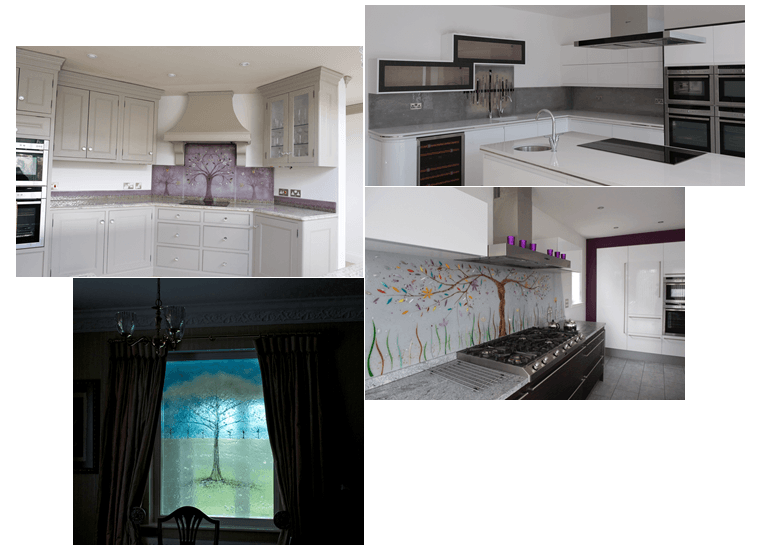 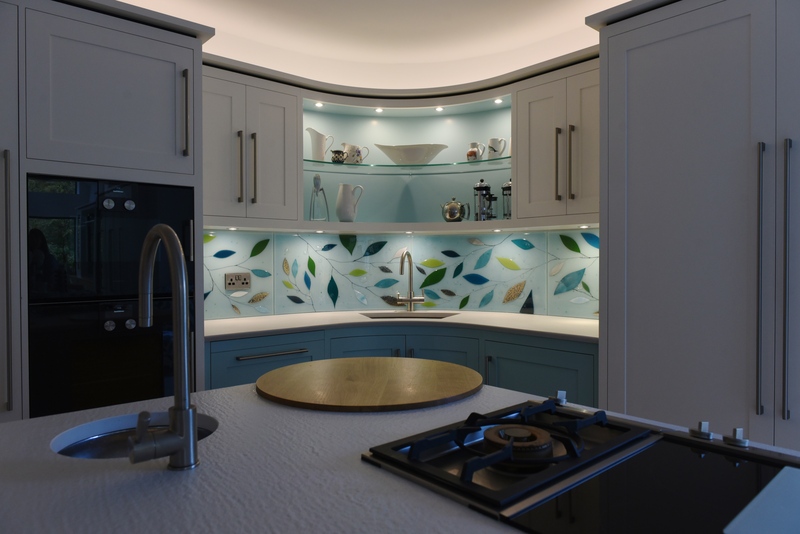 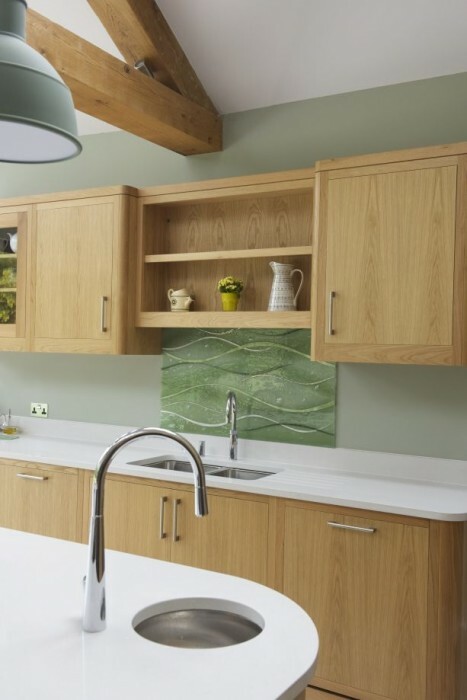 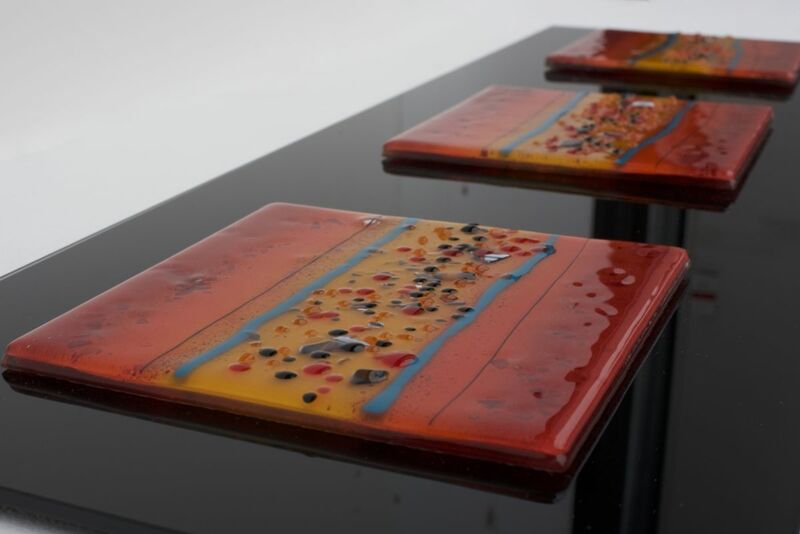 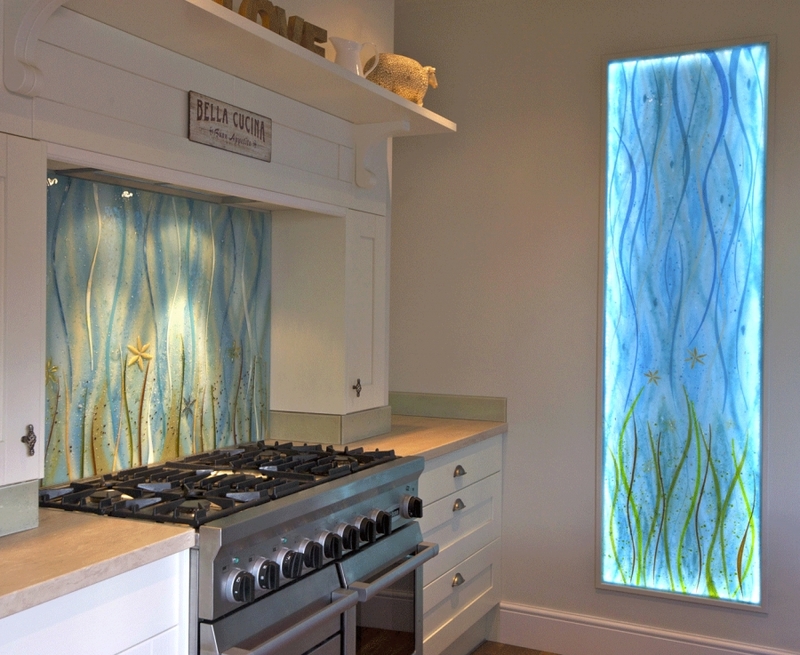 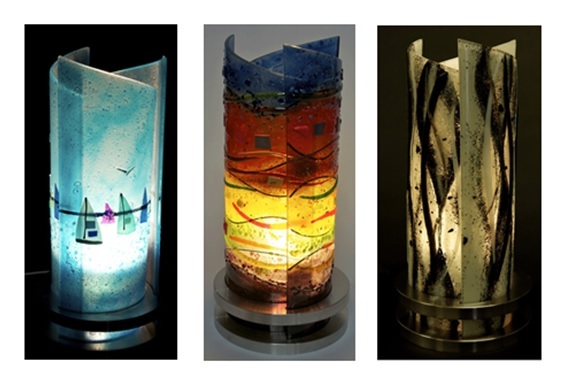 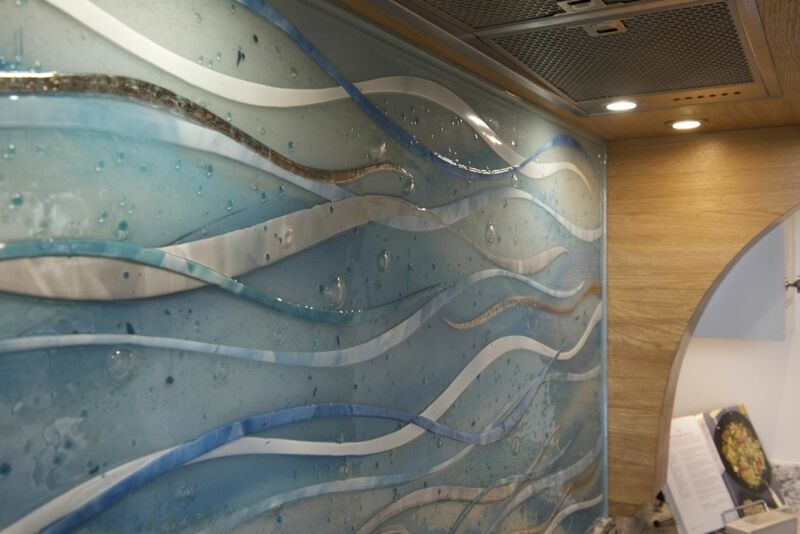 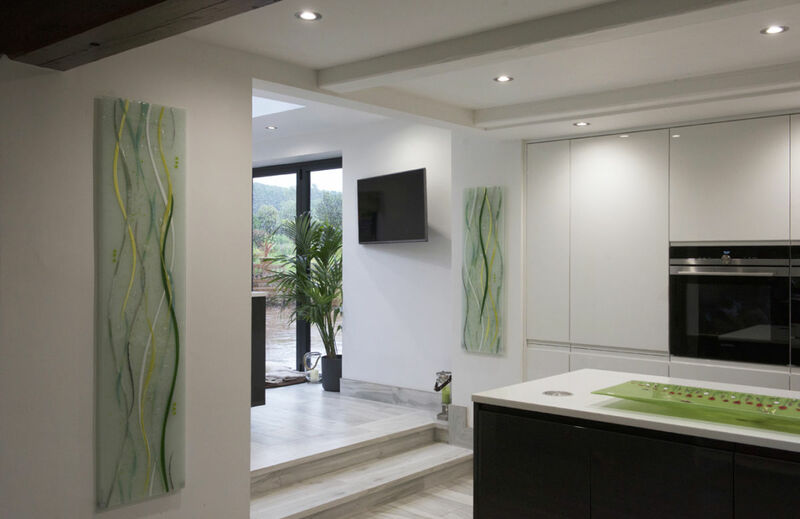 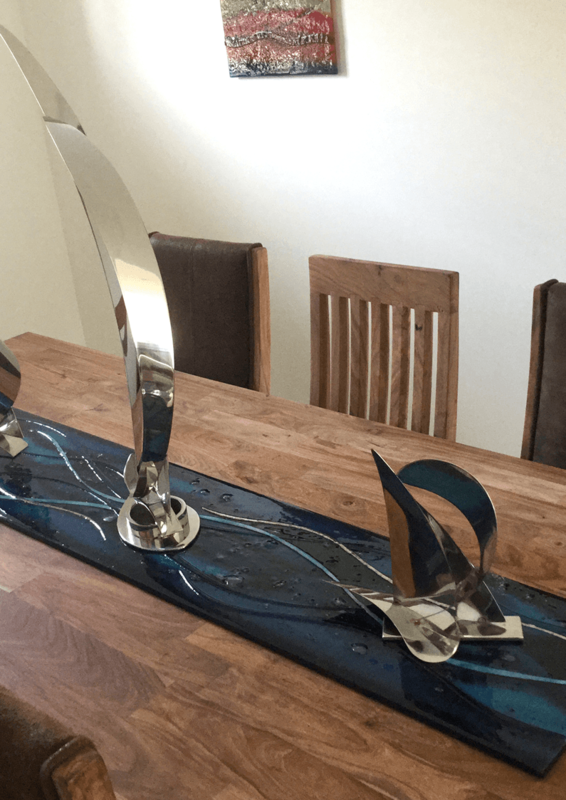 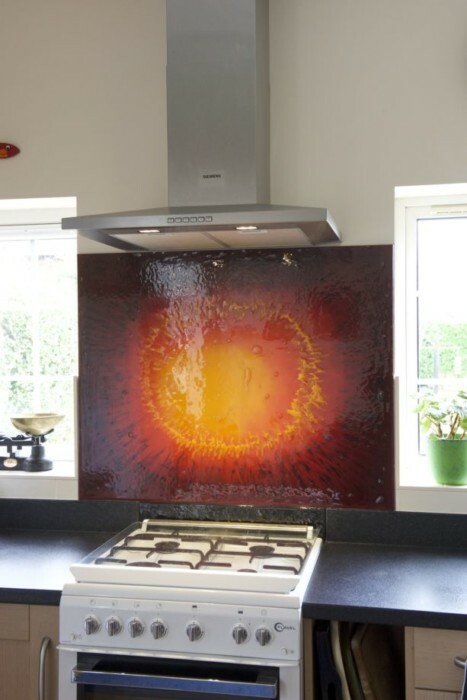 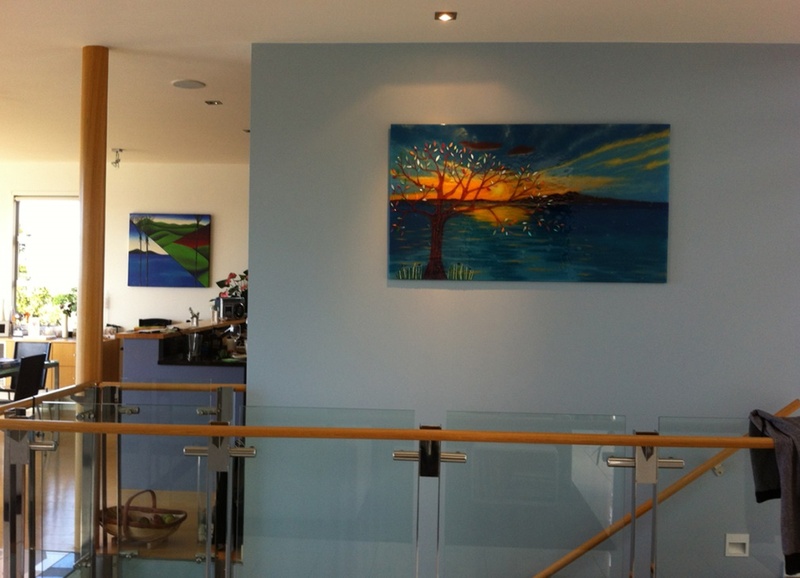 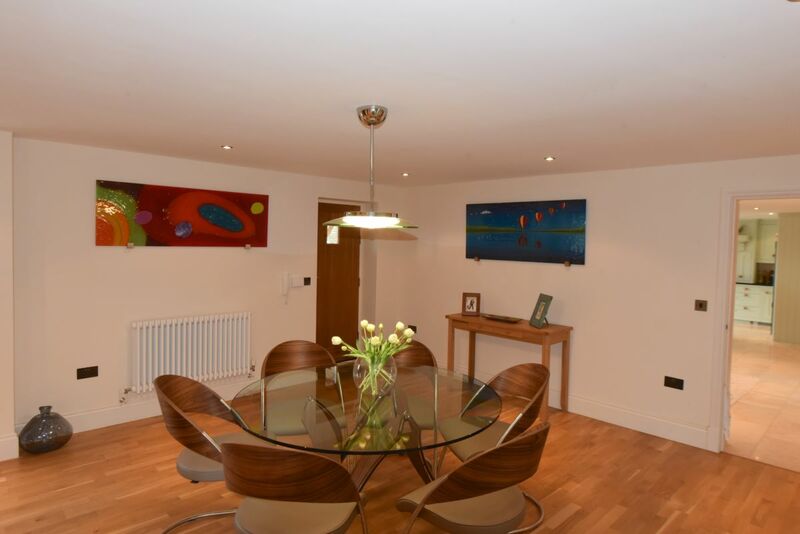 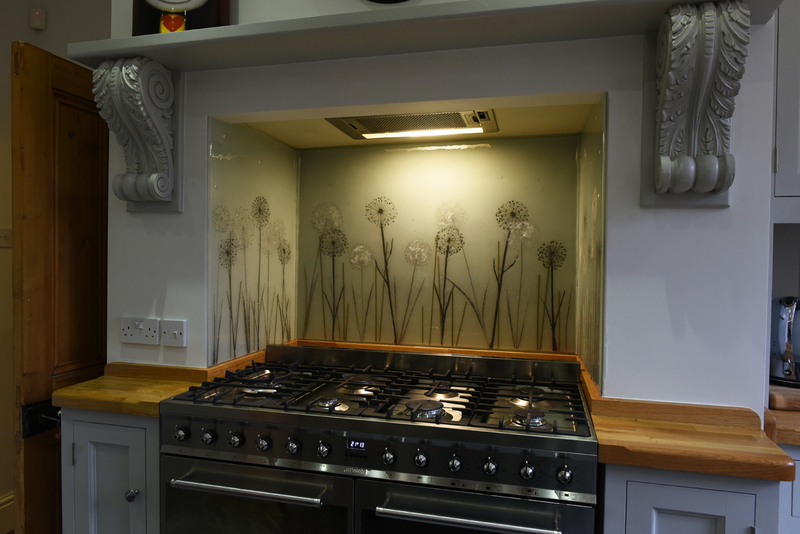 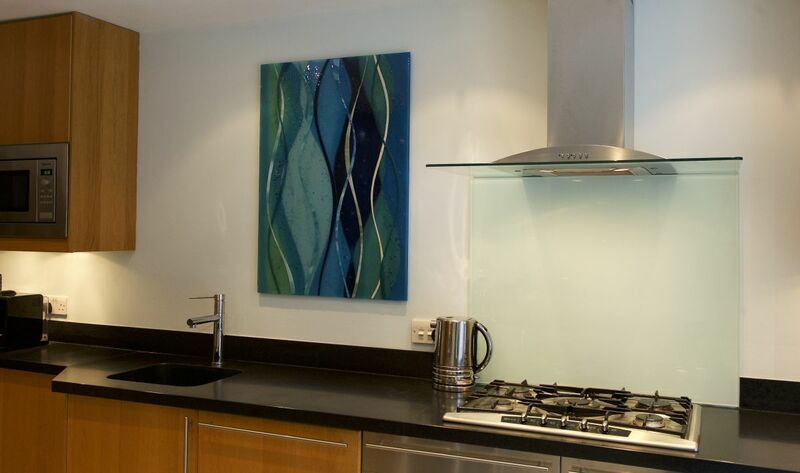 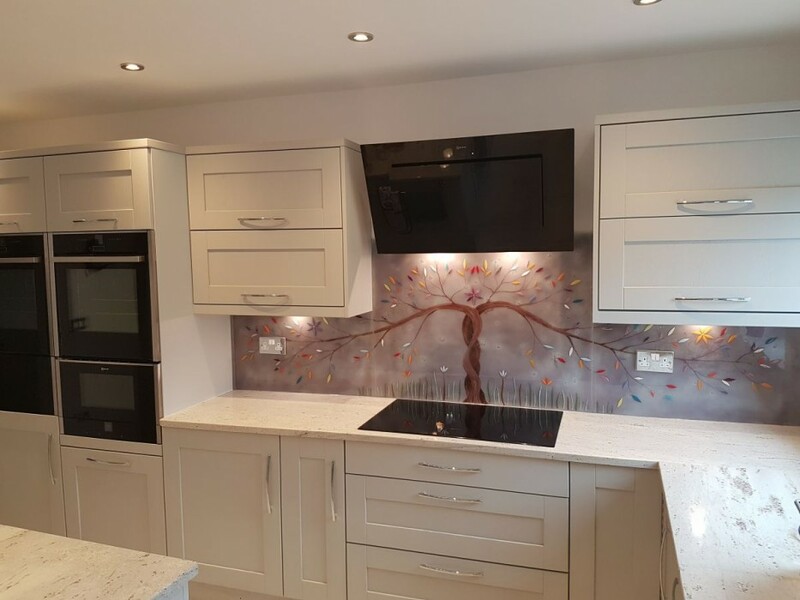 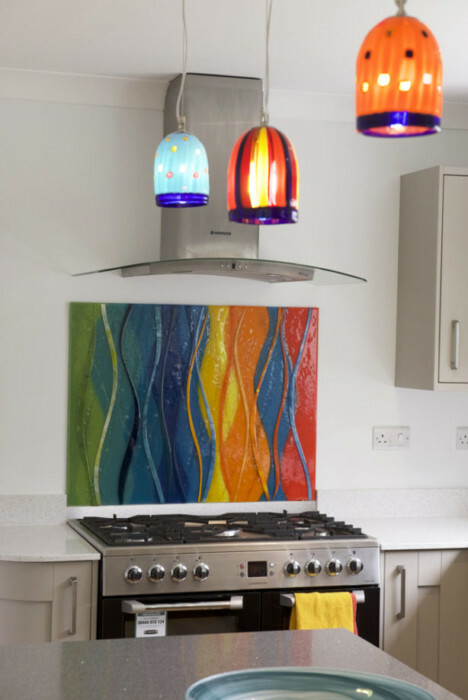 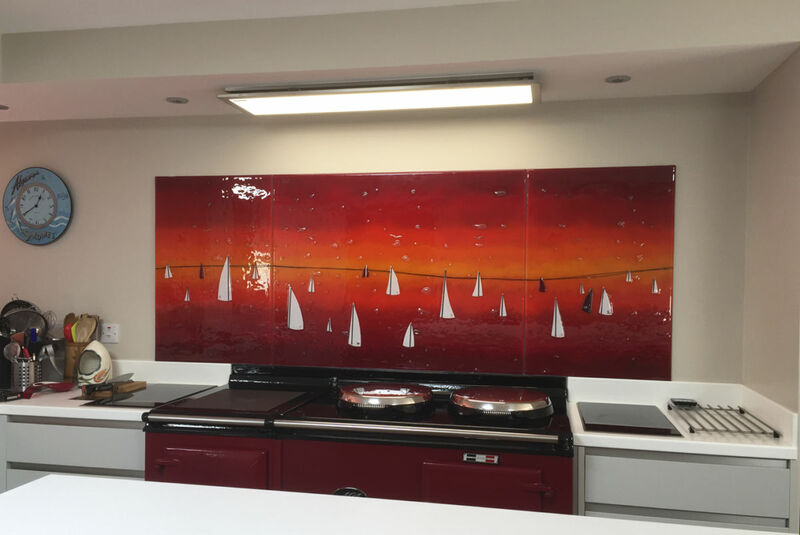 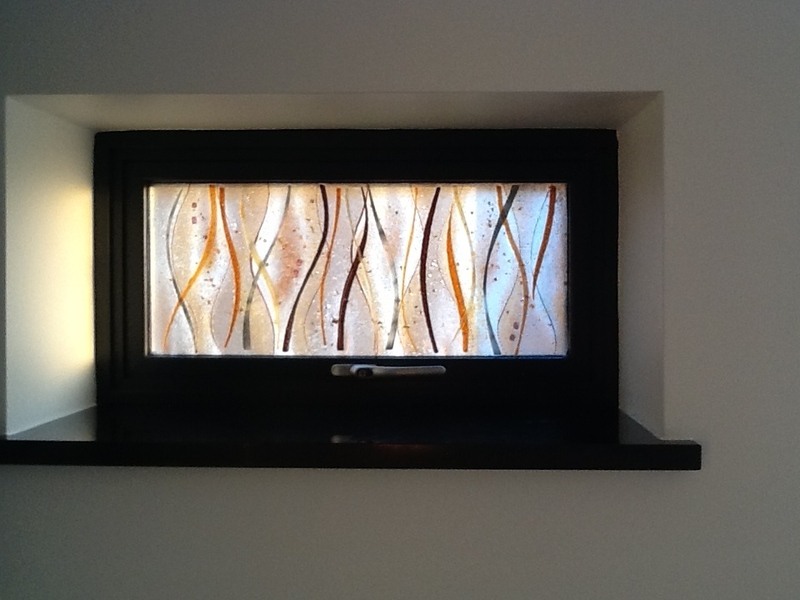 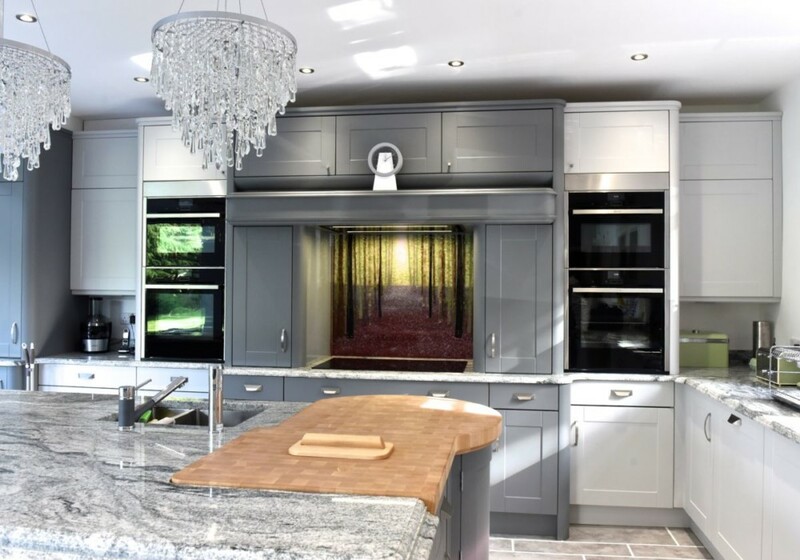 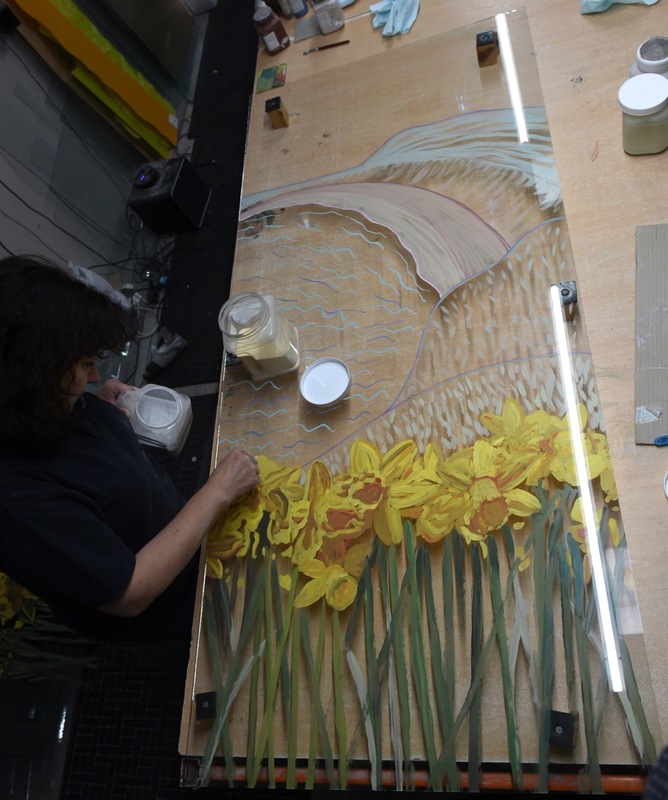 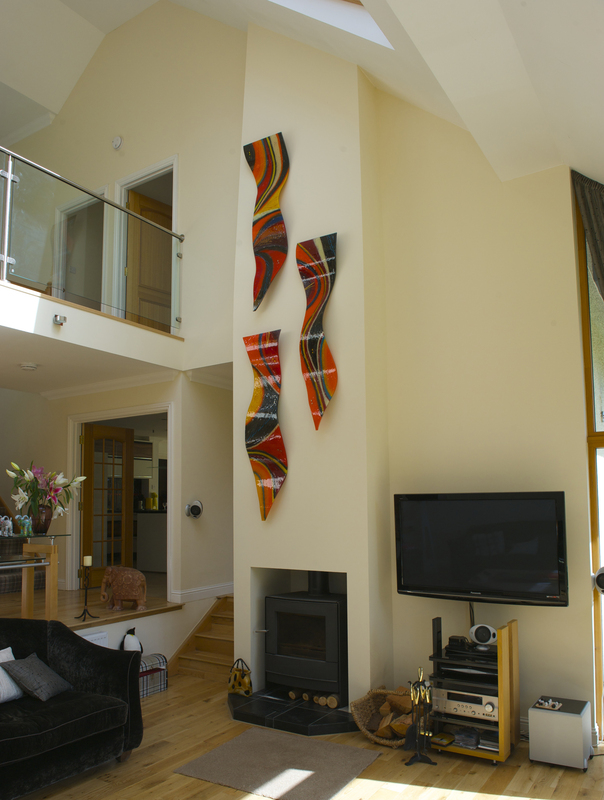 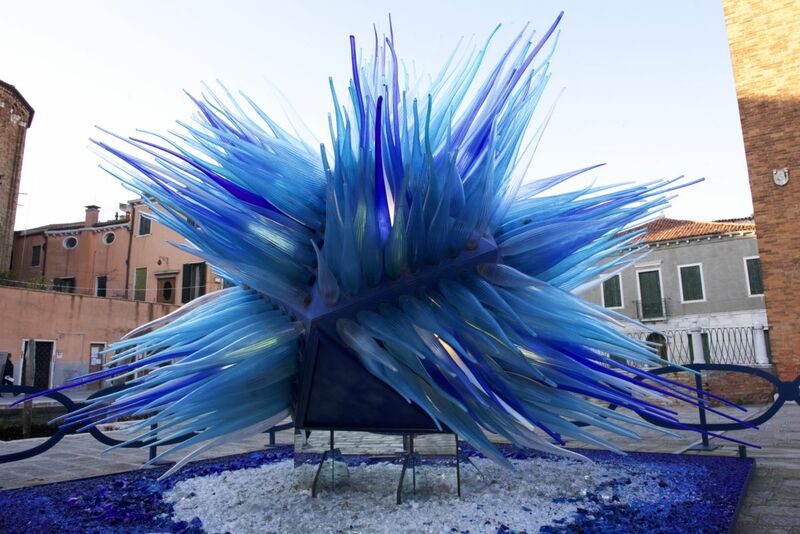 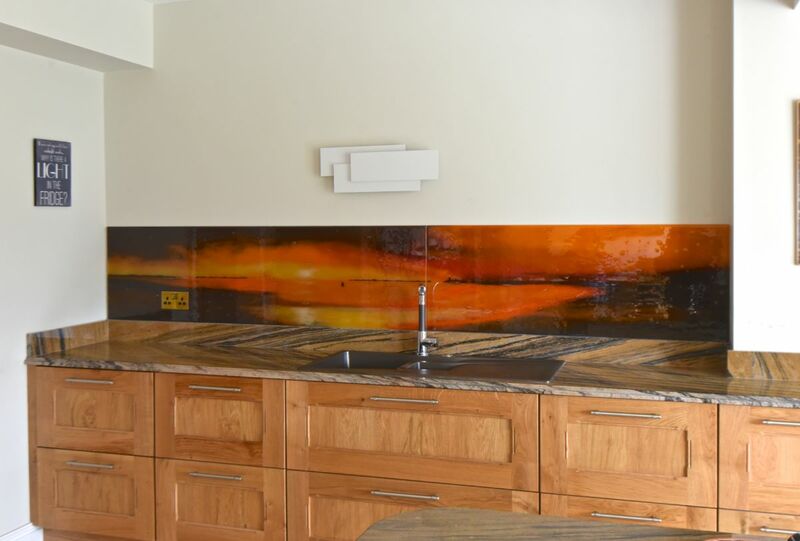 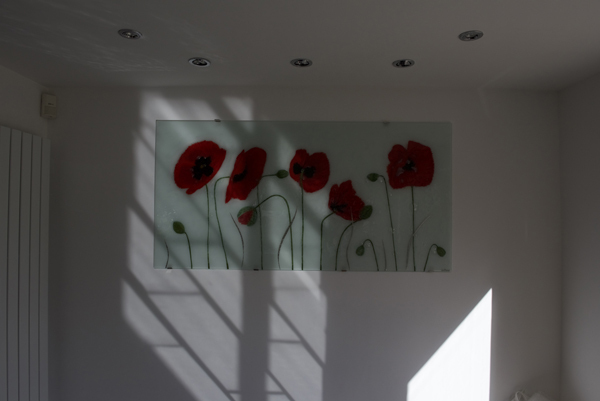 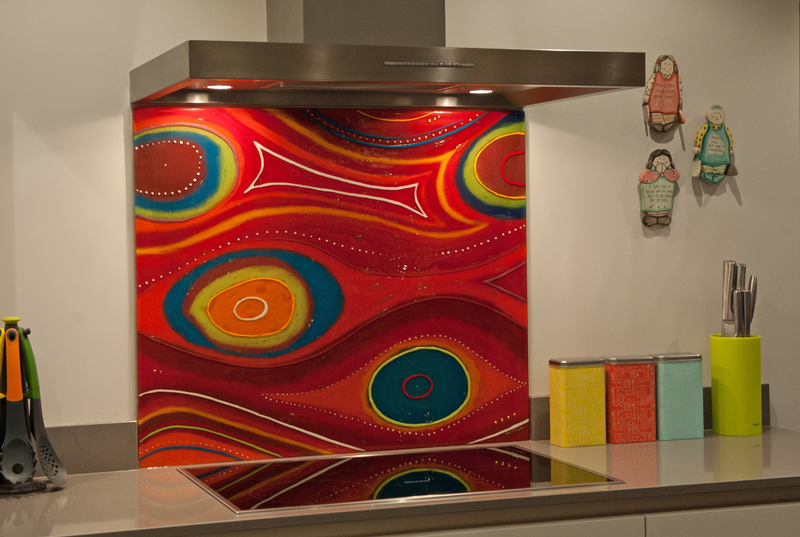 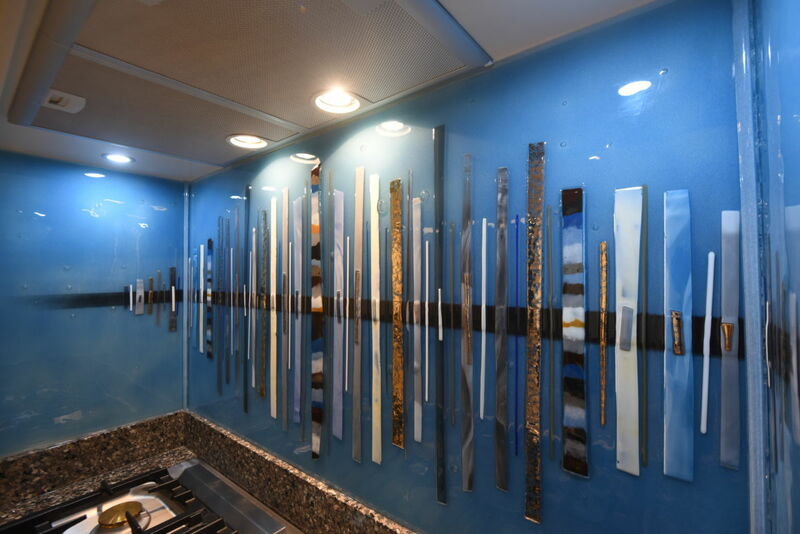 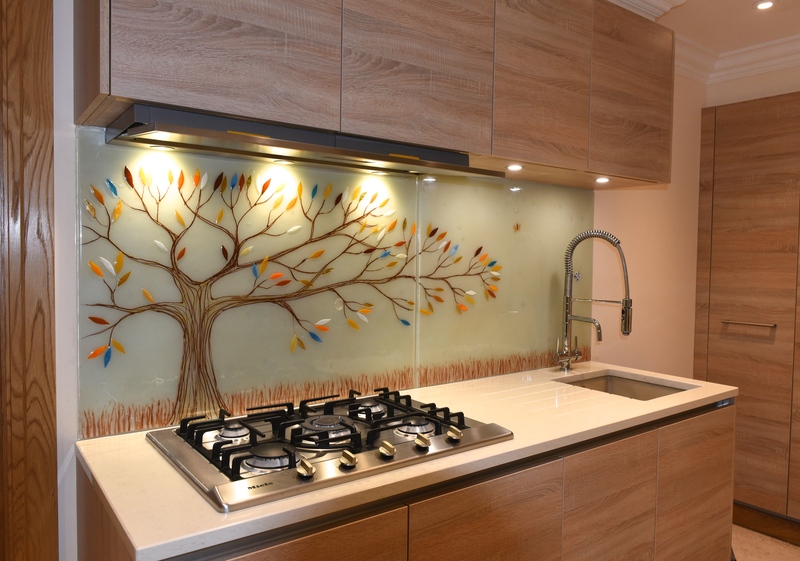 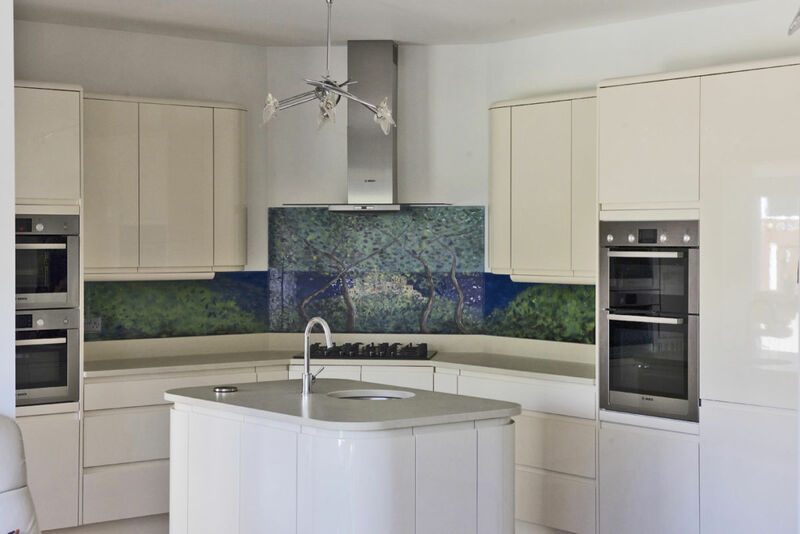 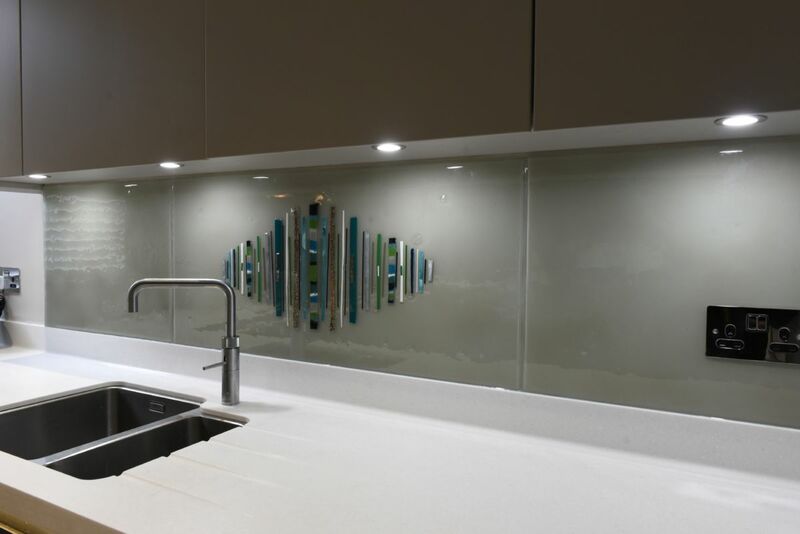 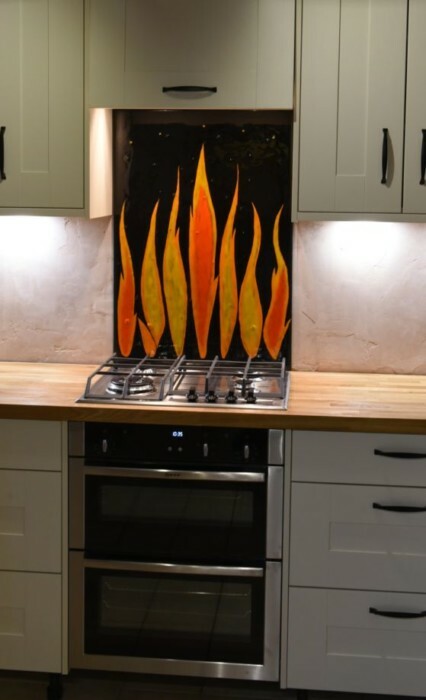 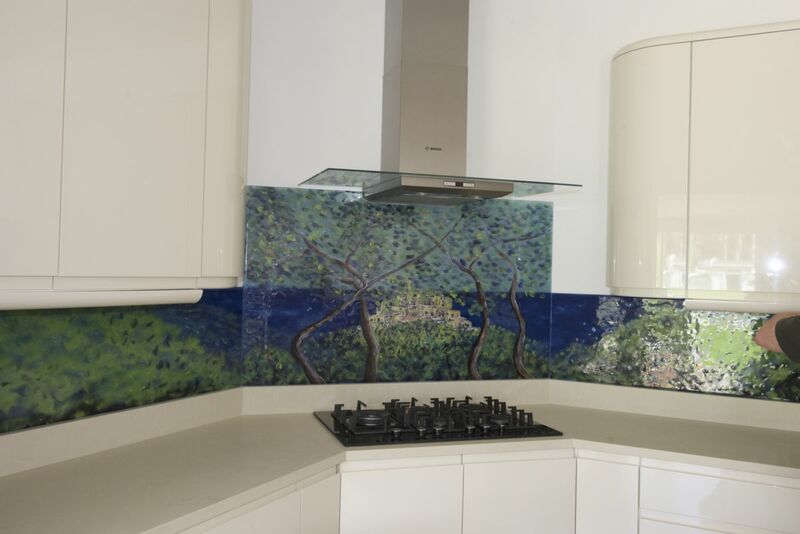 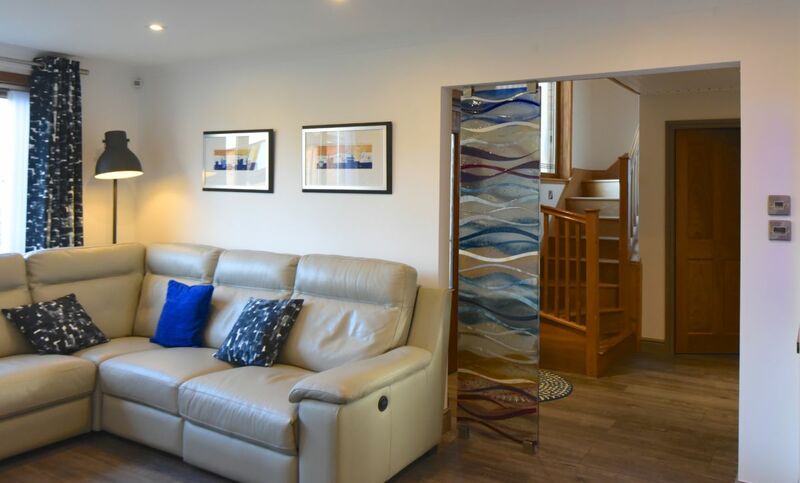 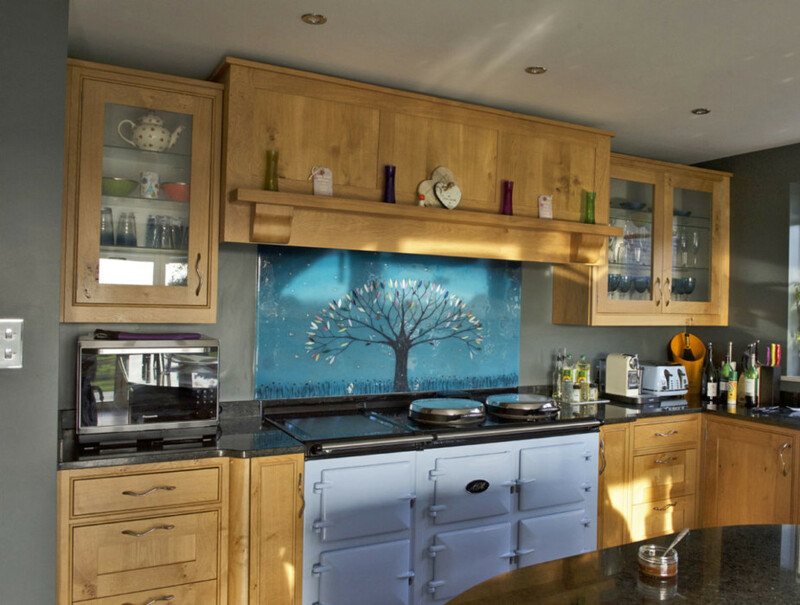 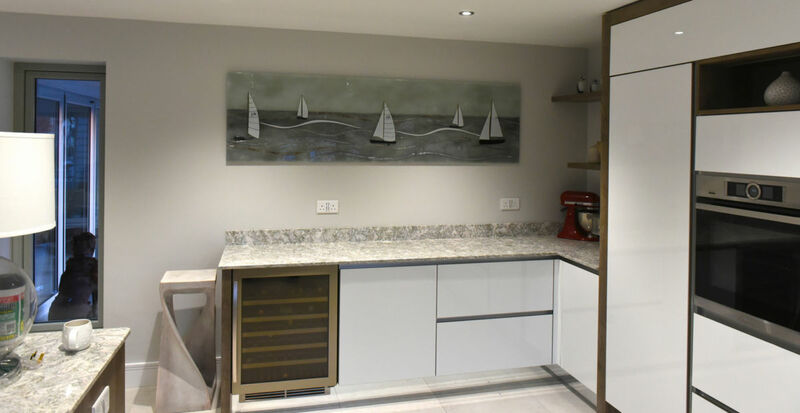 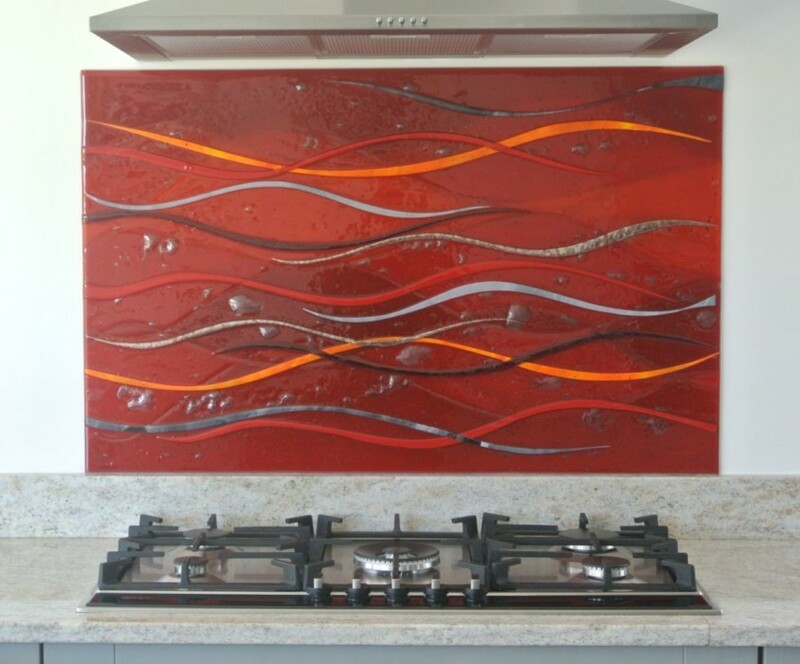 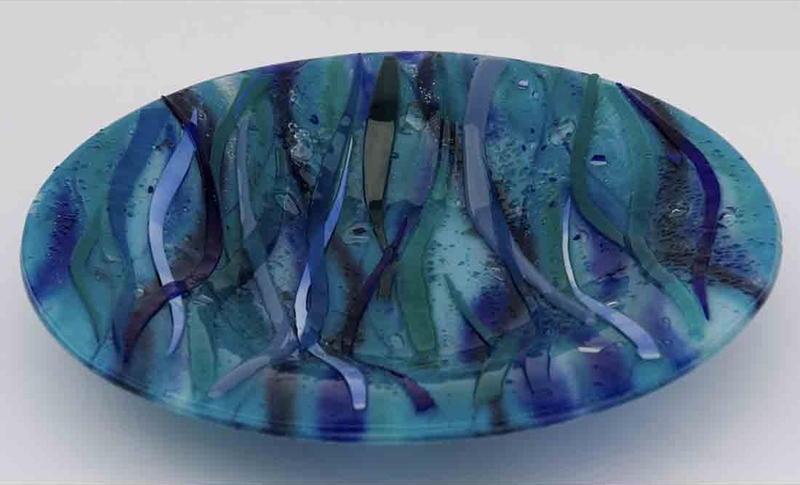 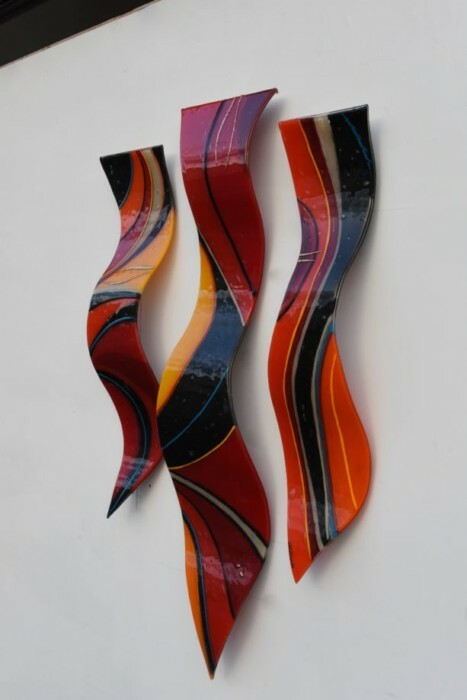 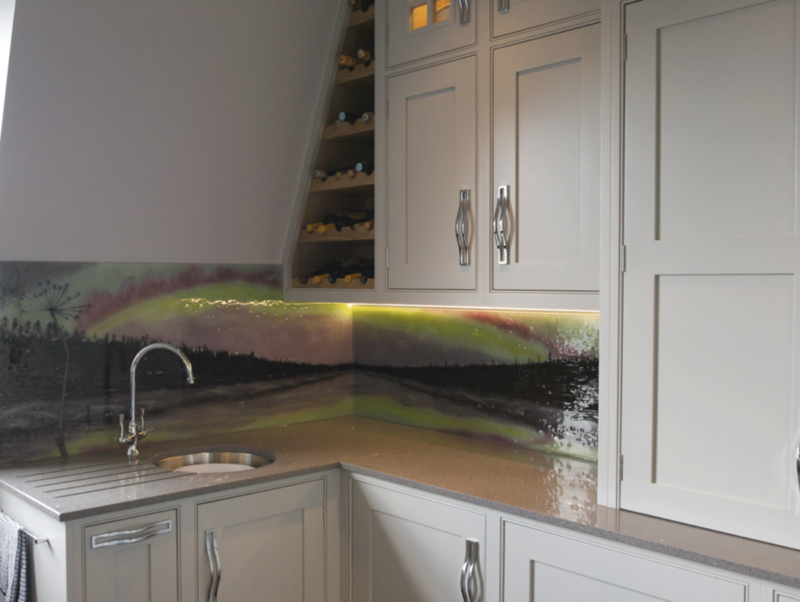 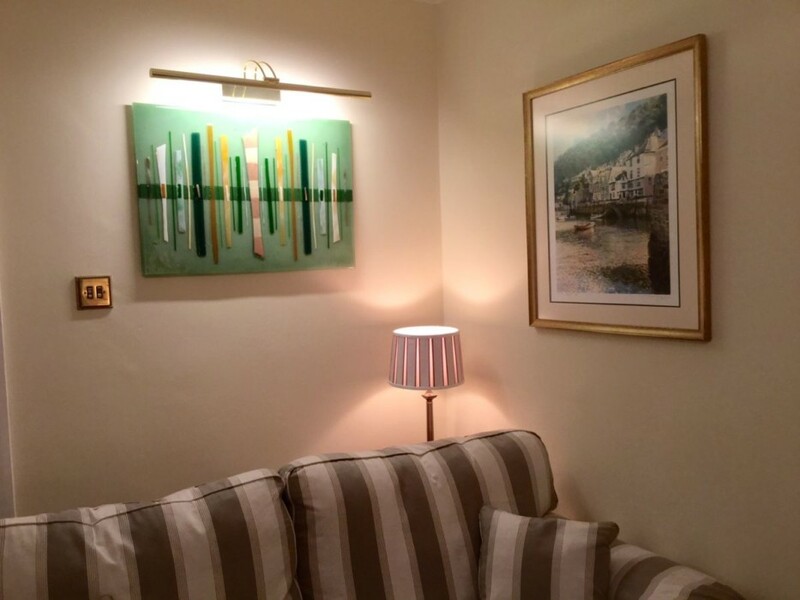 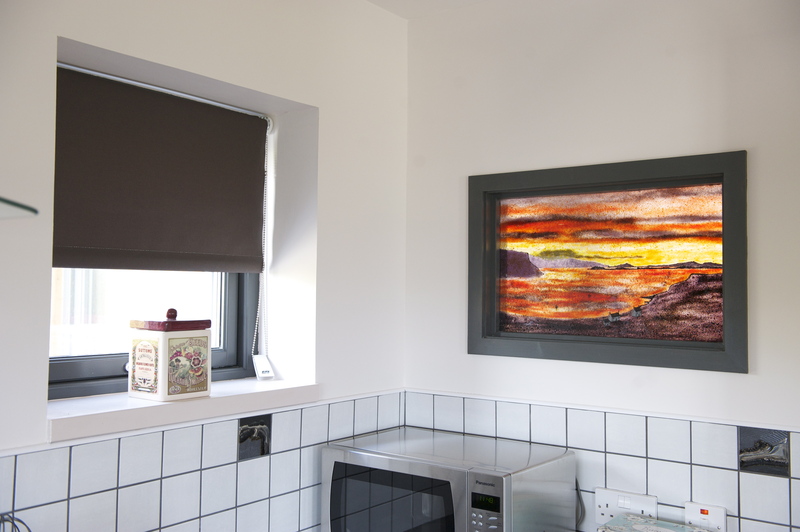 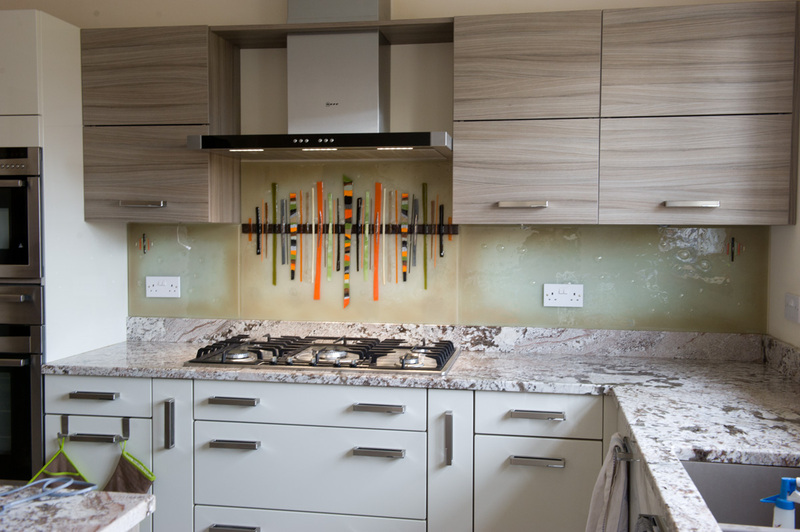 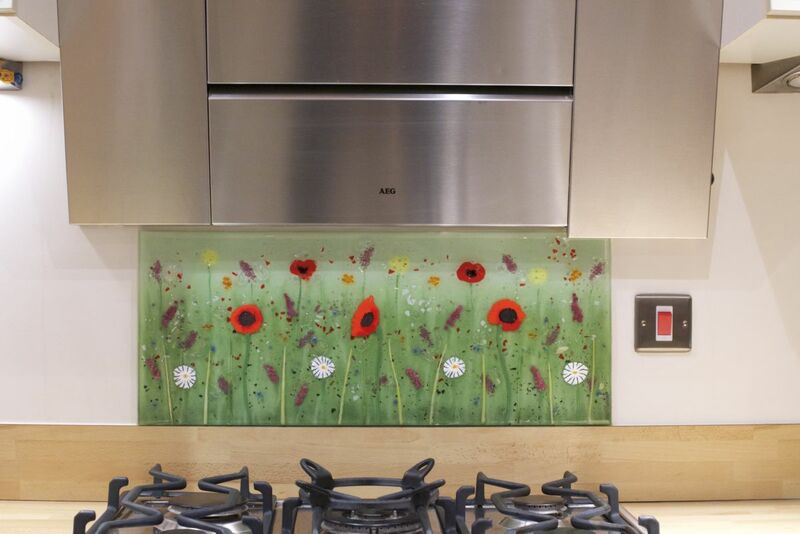 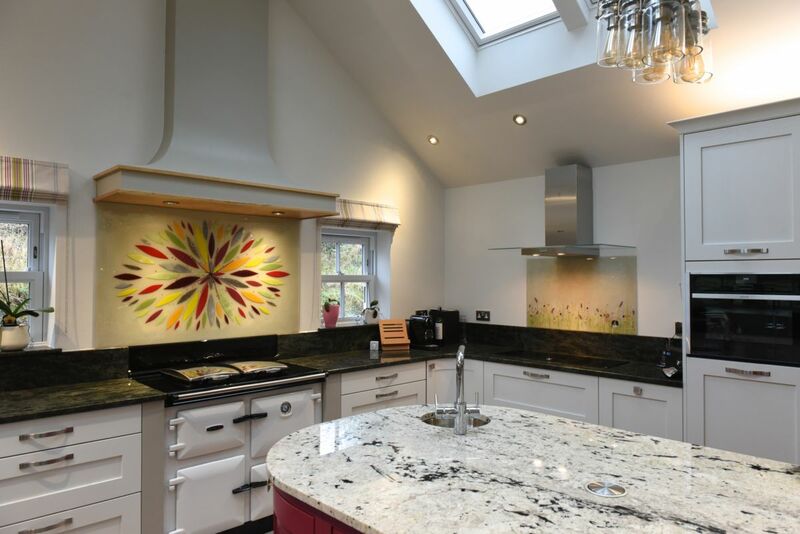 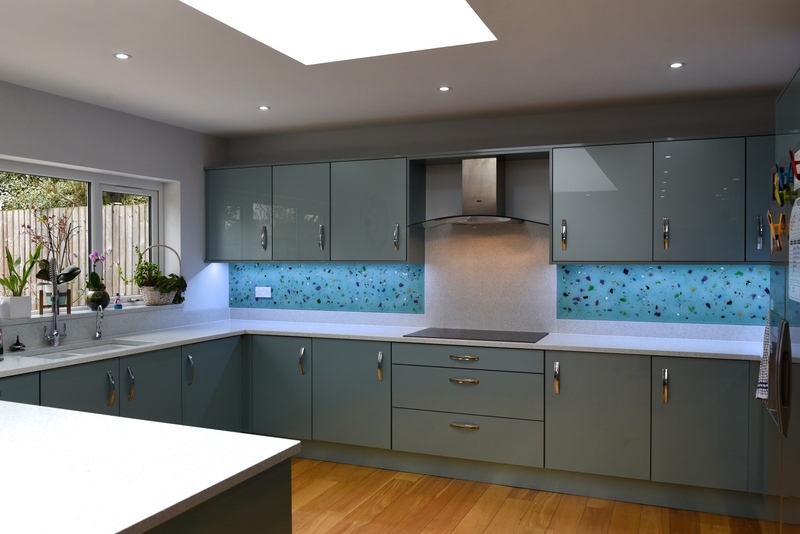 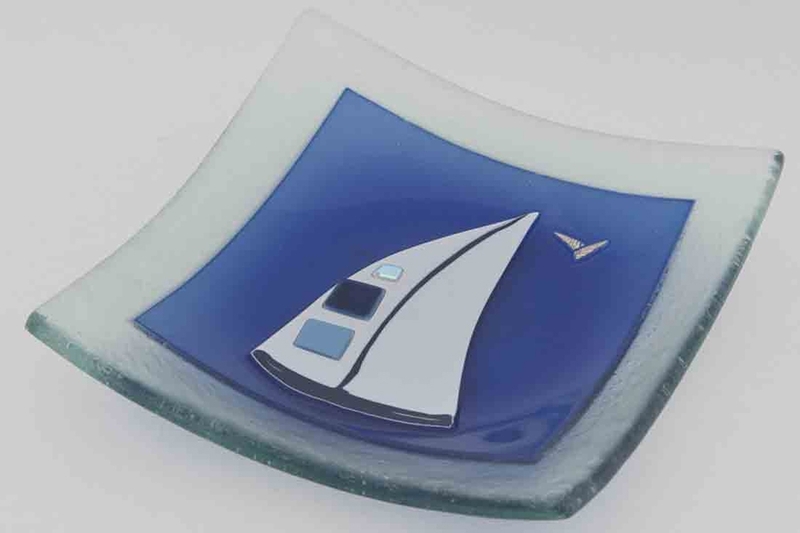 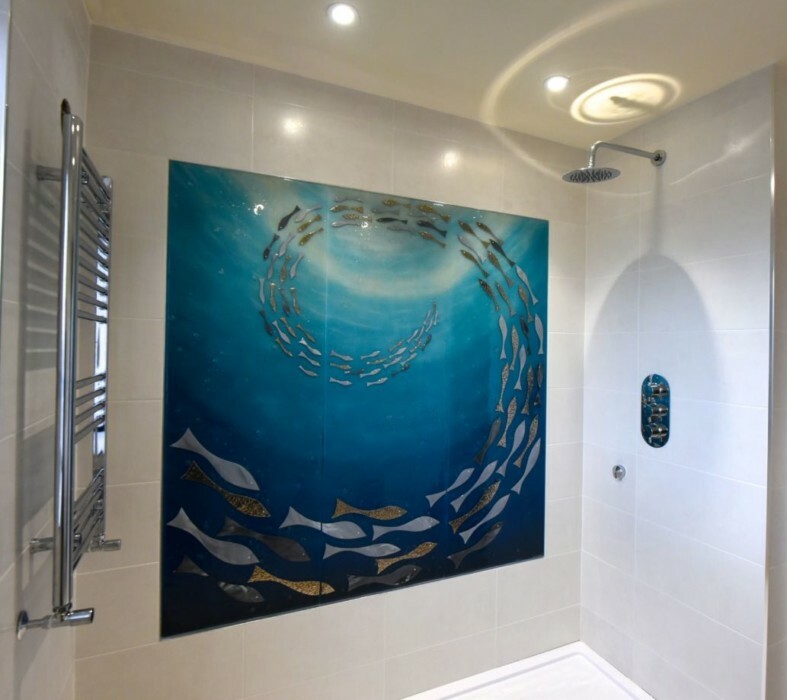 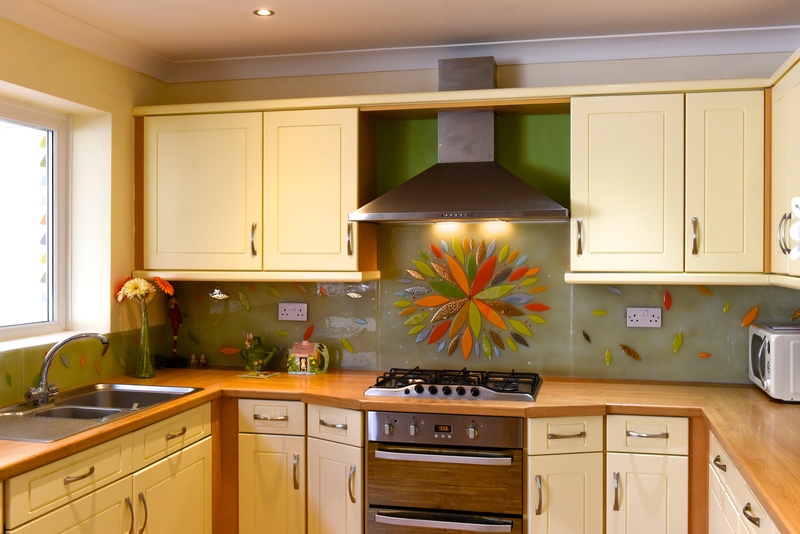 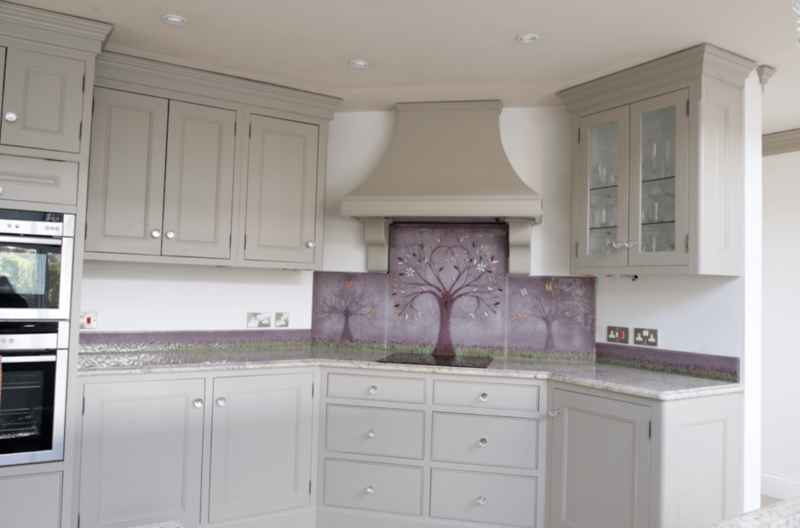 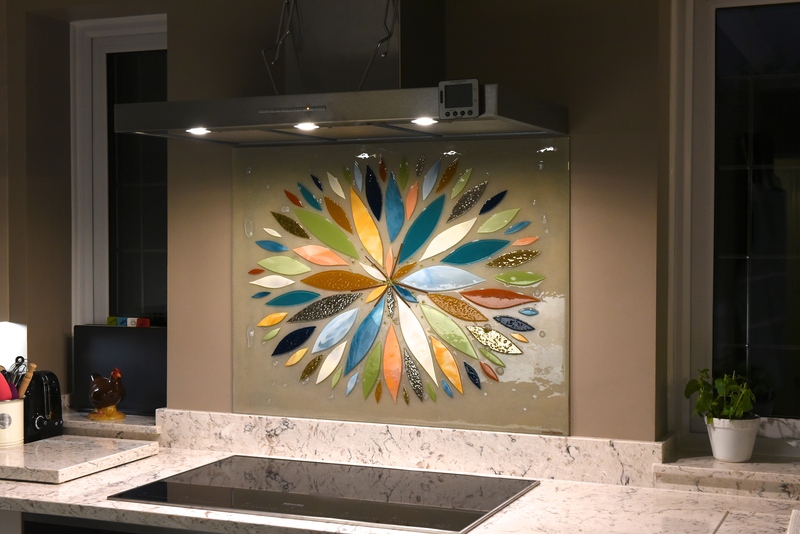 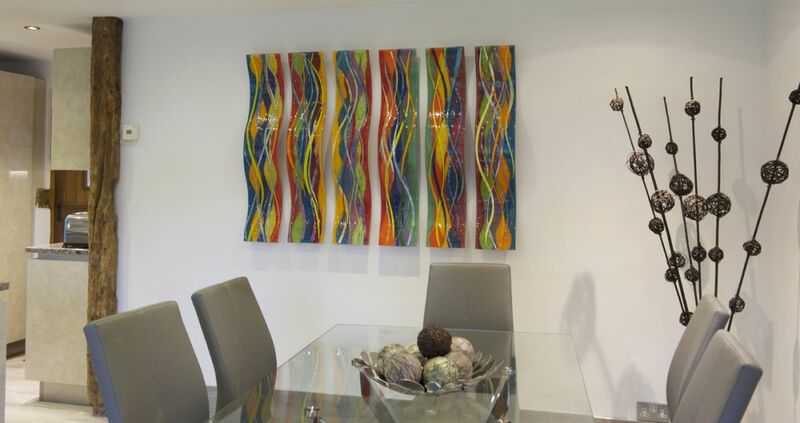 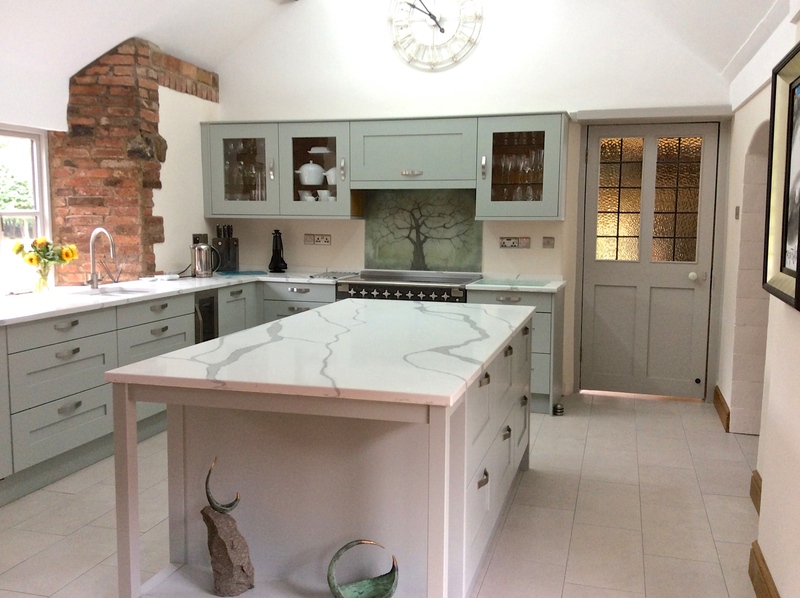 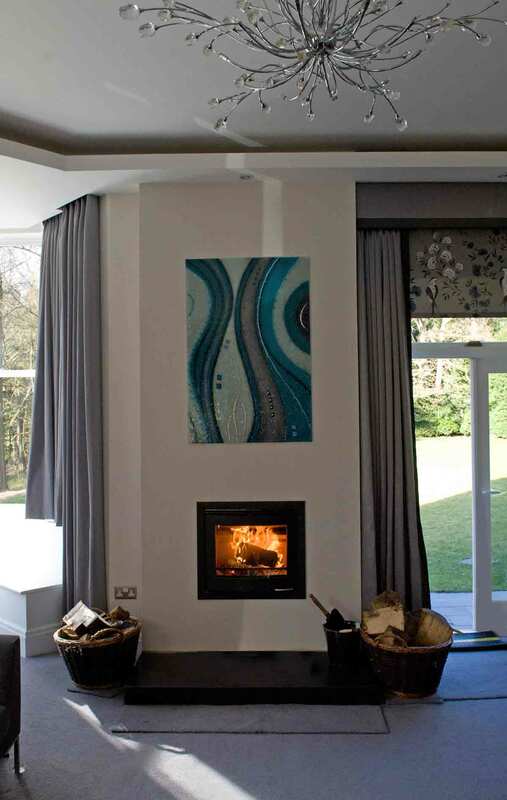 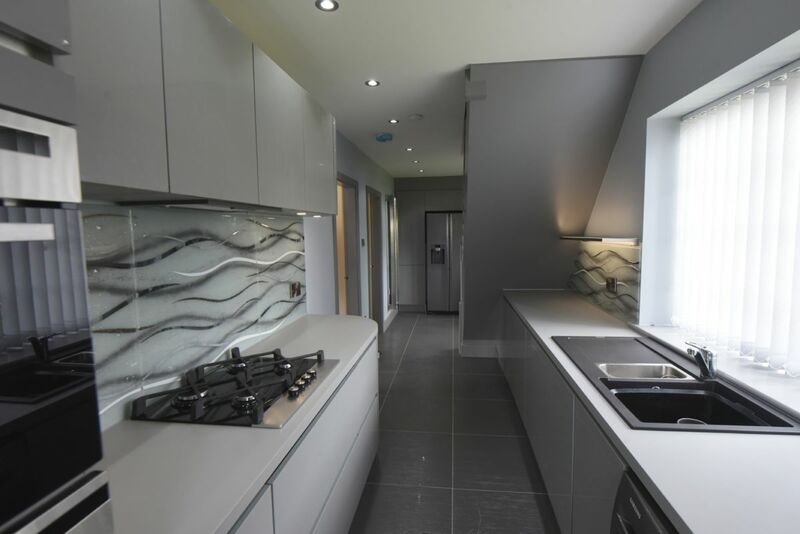 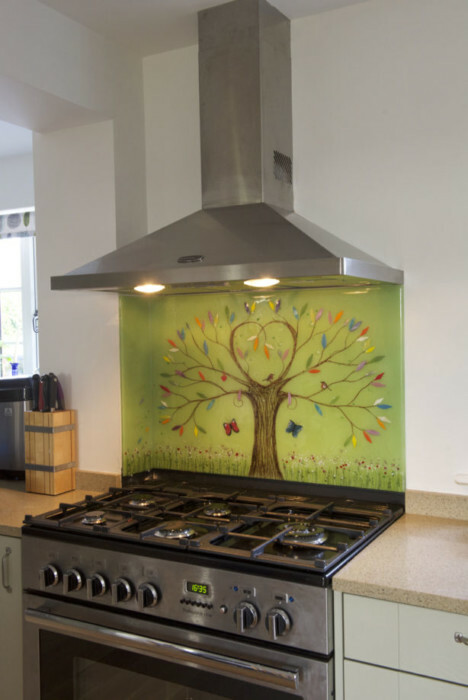 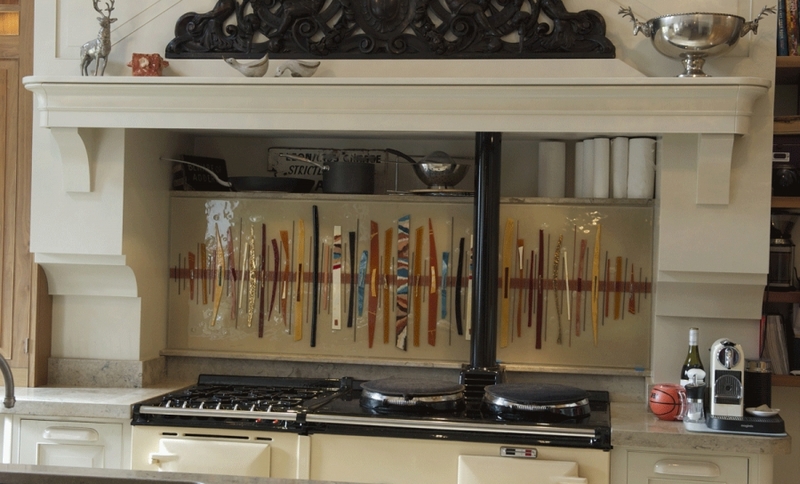 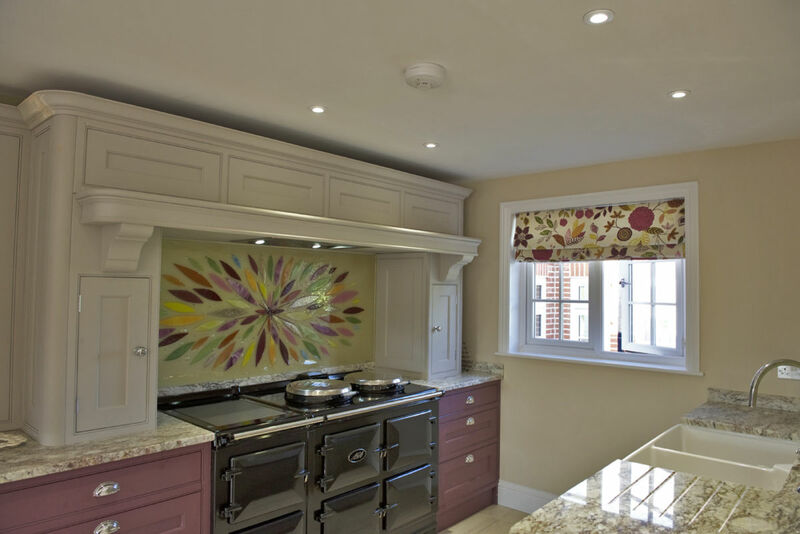 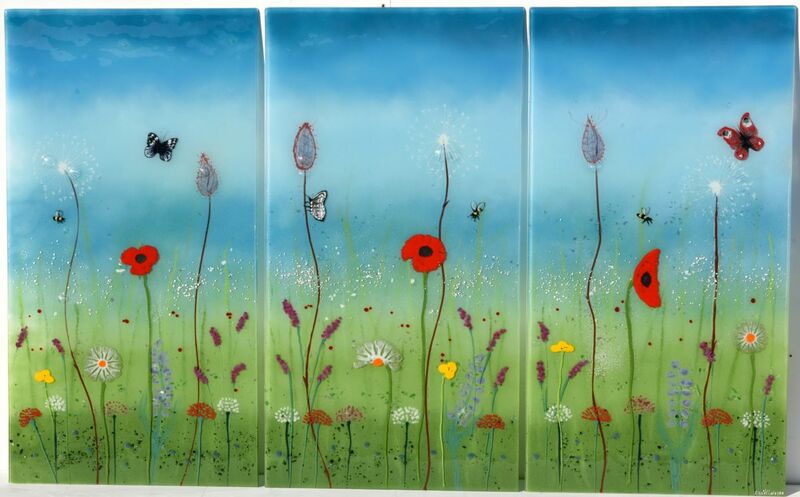 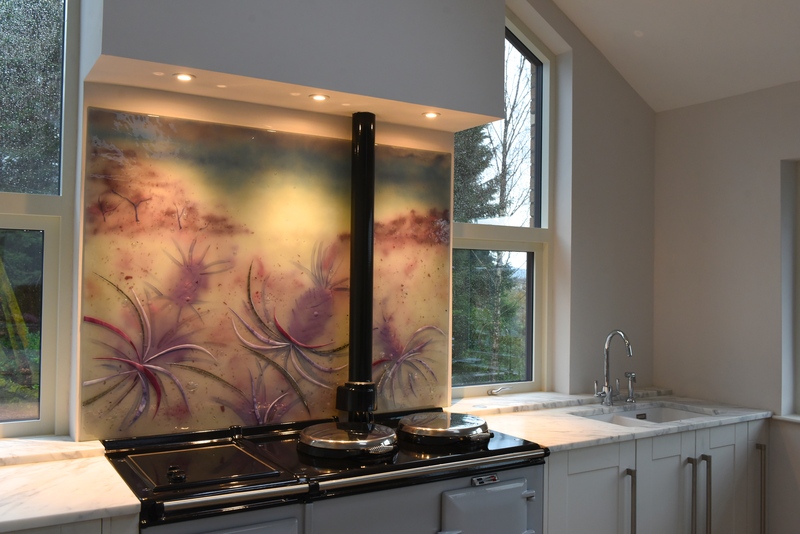 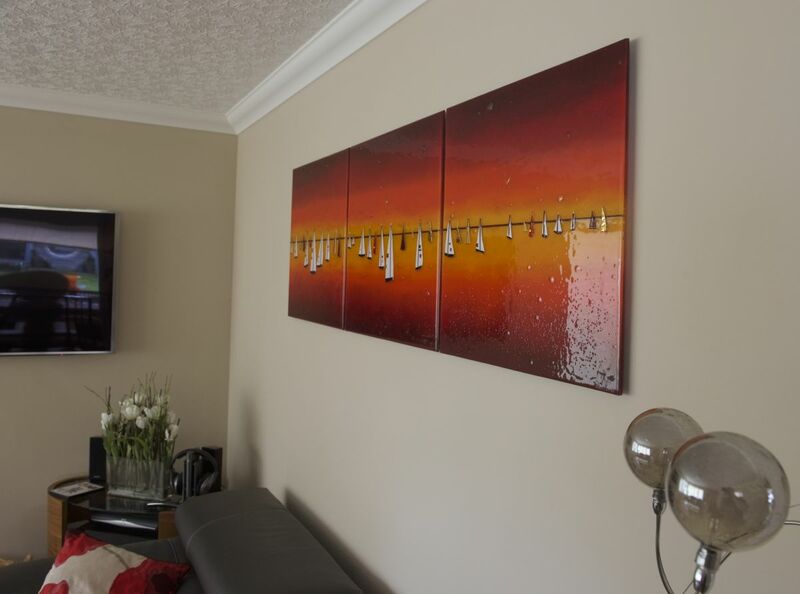 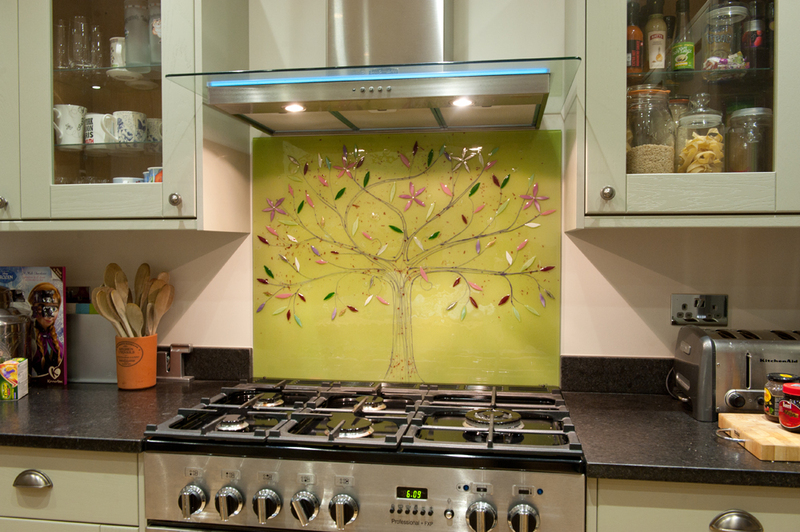 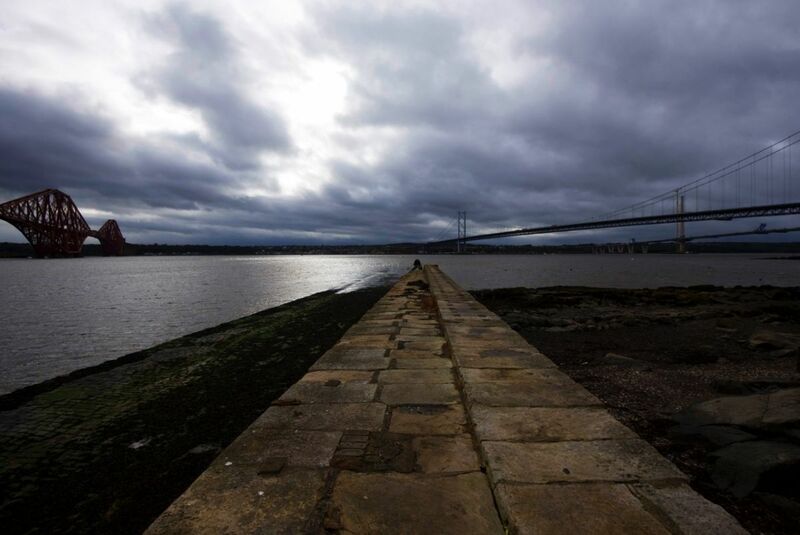 Our team is always ready and waiting to hear from you, and we have not only a tremendous stock of bespoke glass splashbacks but a kiln that can produce just about any design of bespoke glass art you could think of. 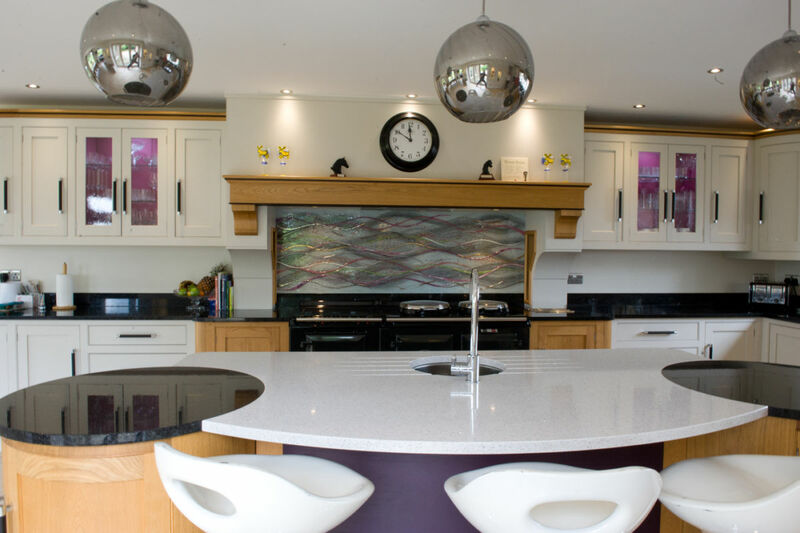 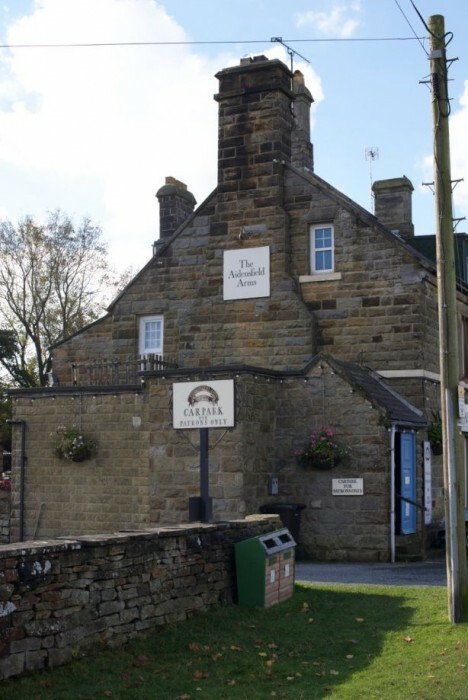 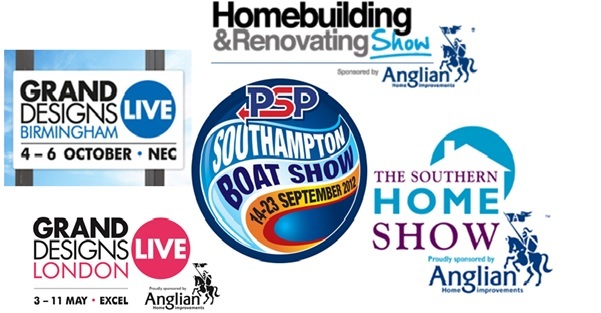 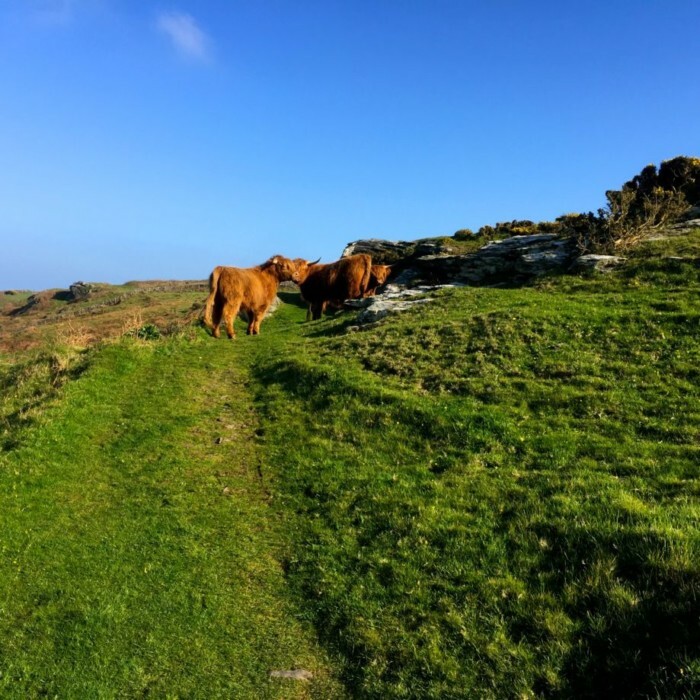 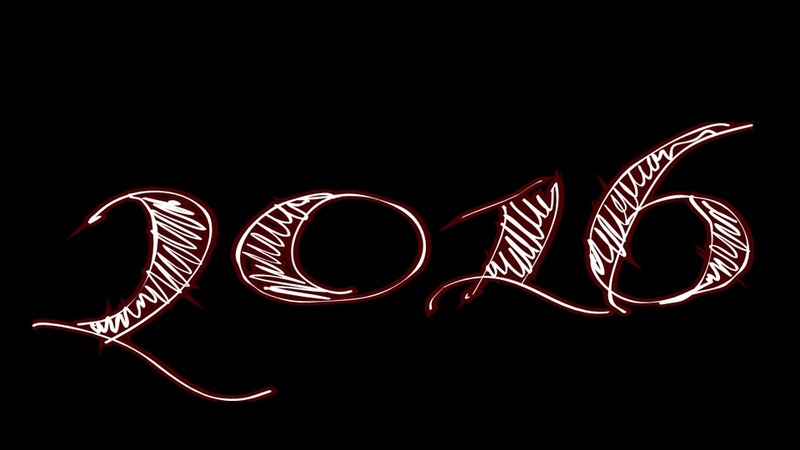 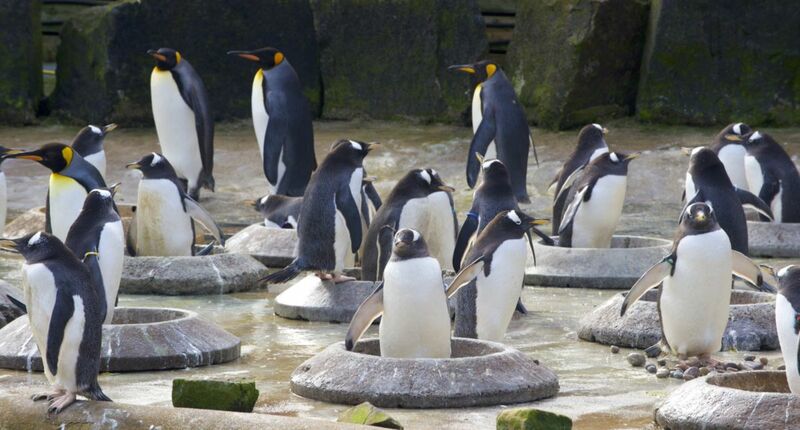 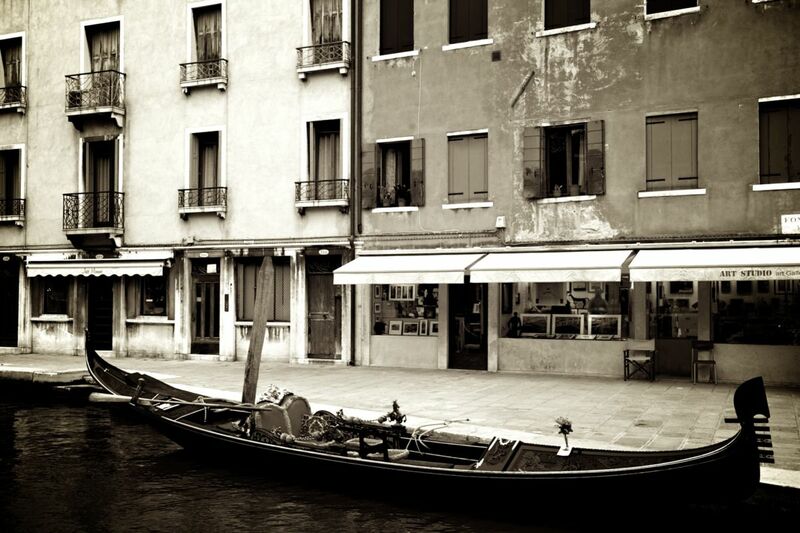 There’s no reason to wait, so make sure you pick up the phone or drop us an email as soon as you can!